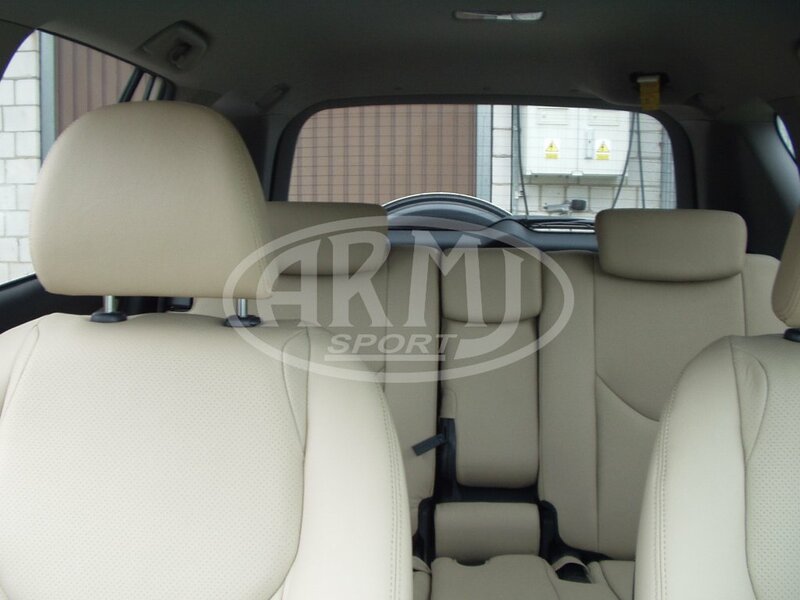 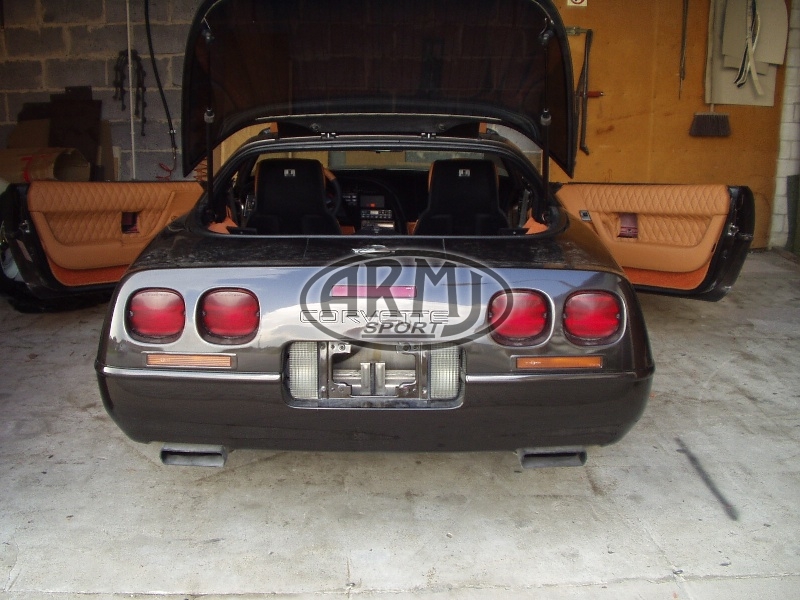 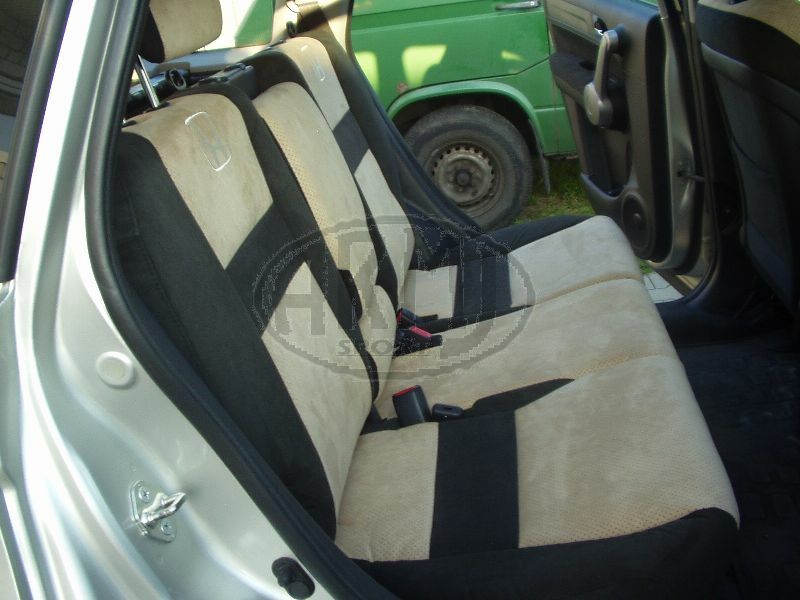 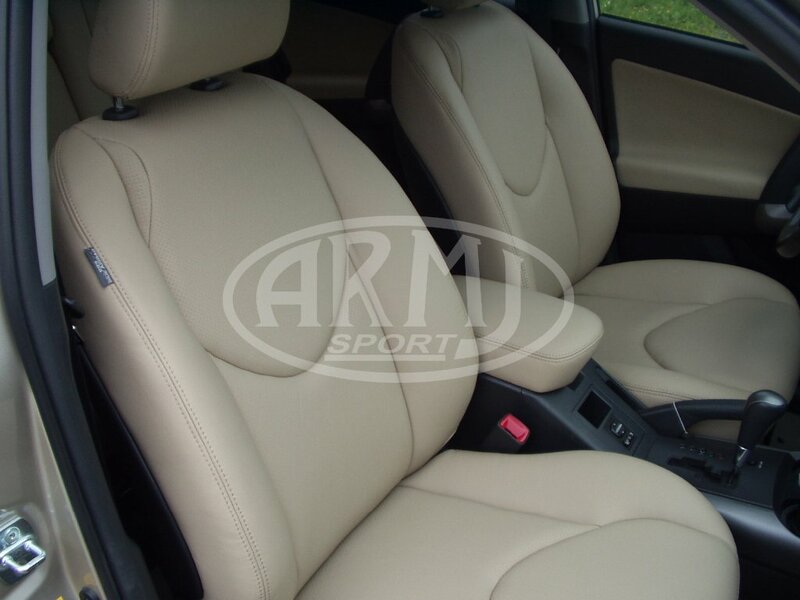 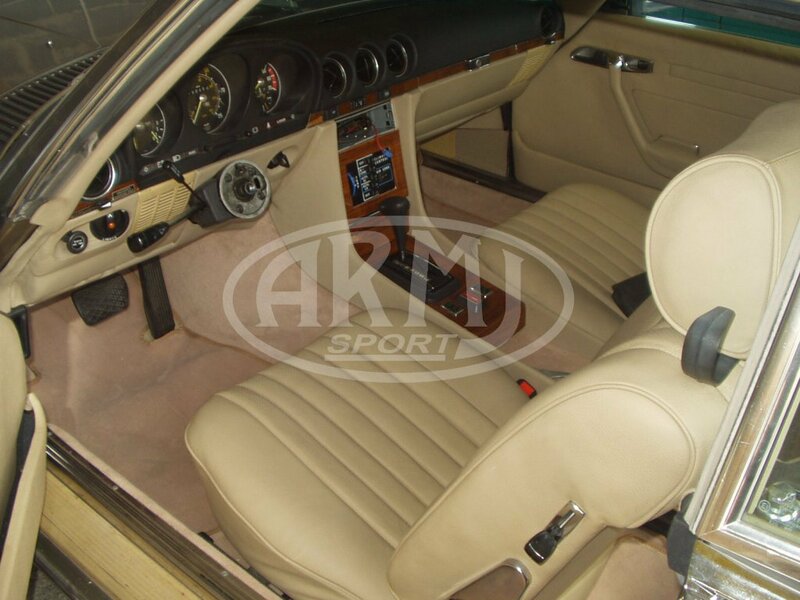 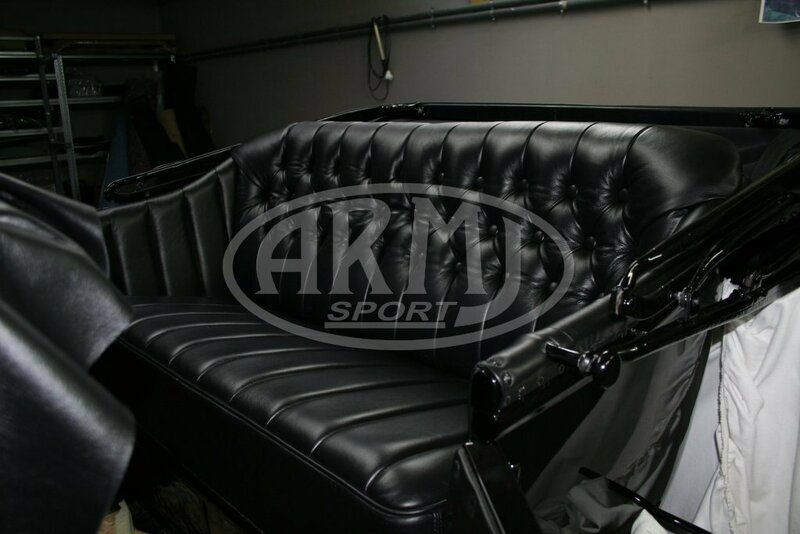 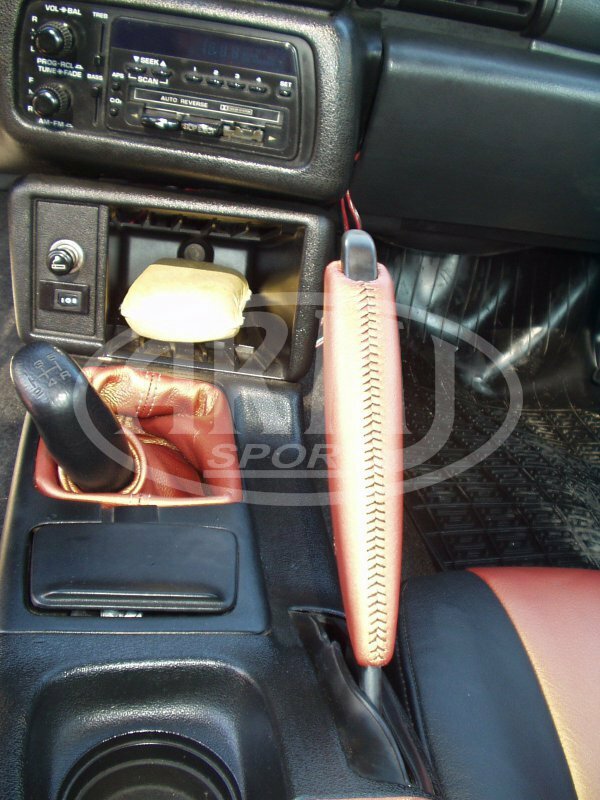 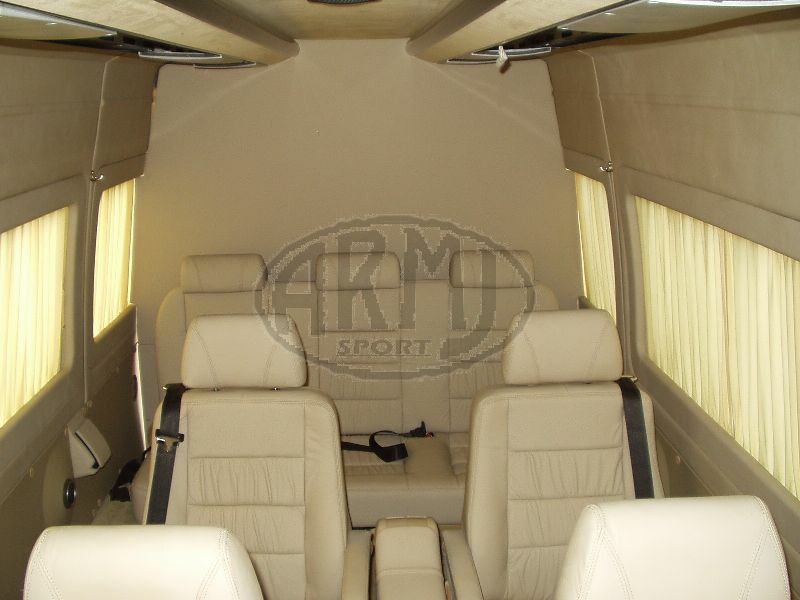 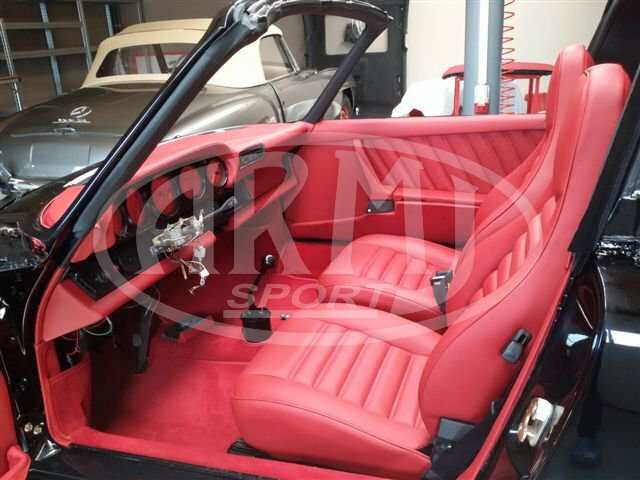 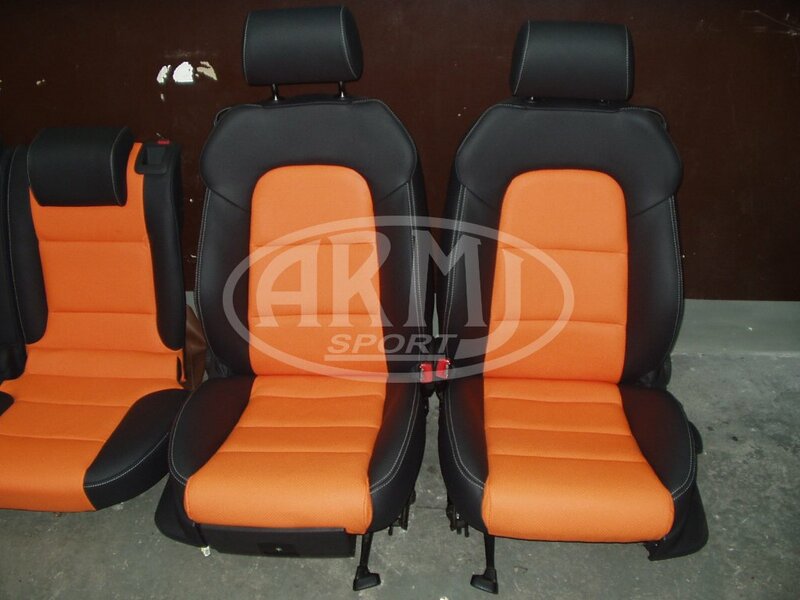 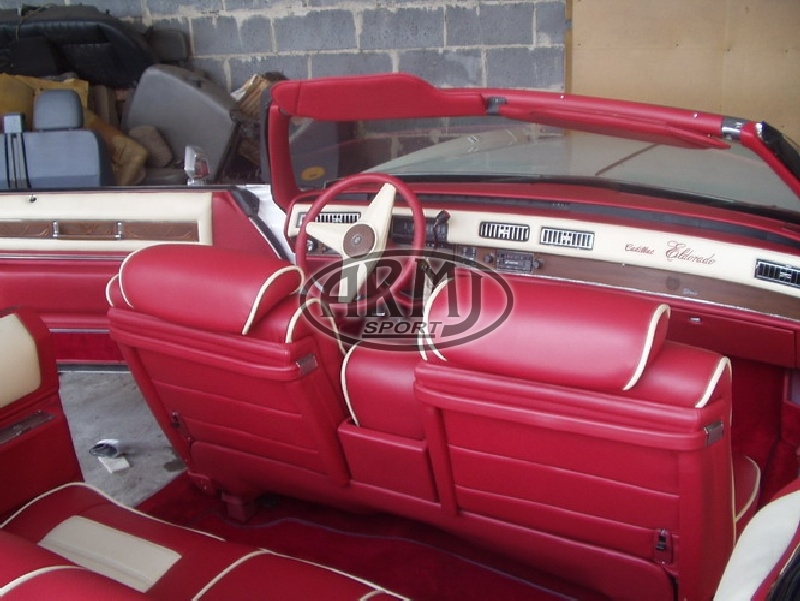 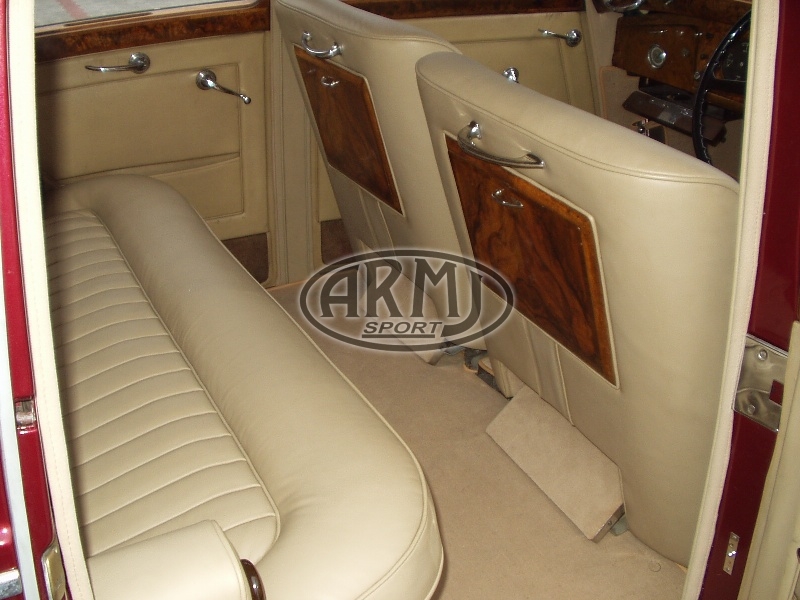 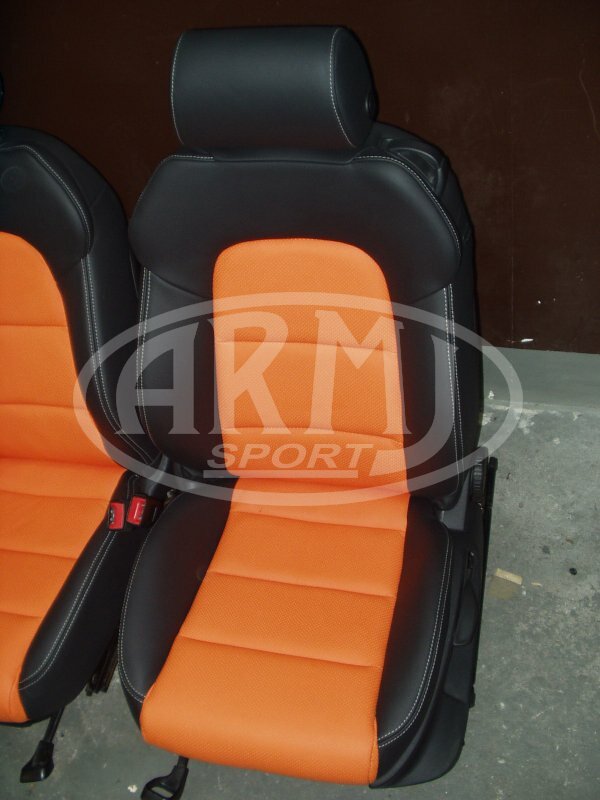 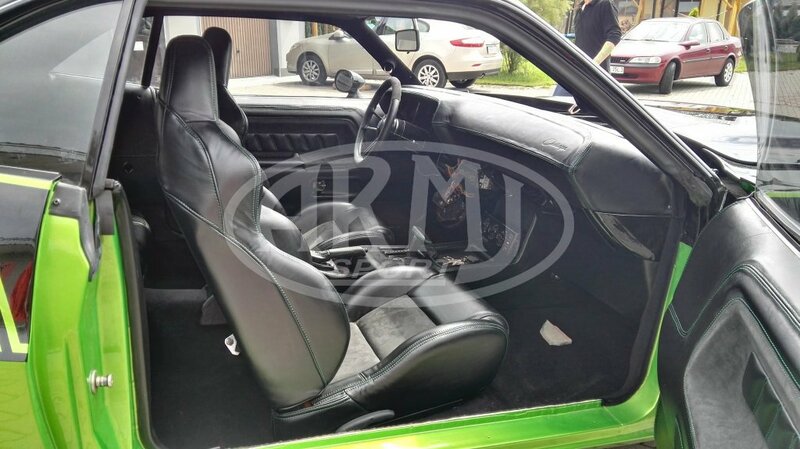 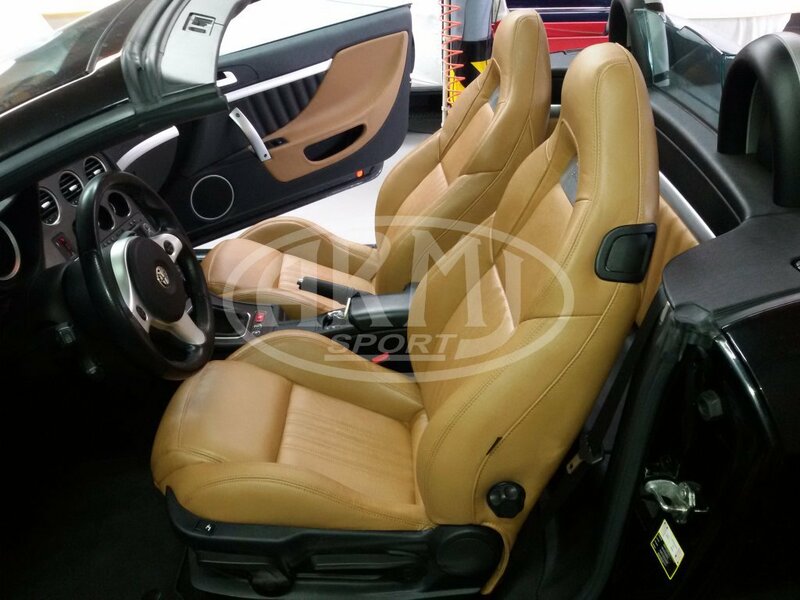 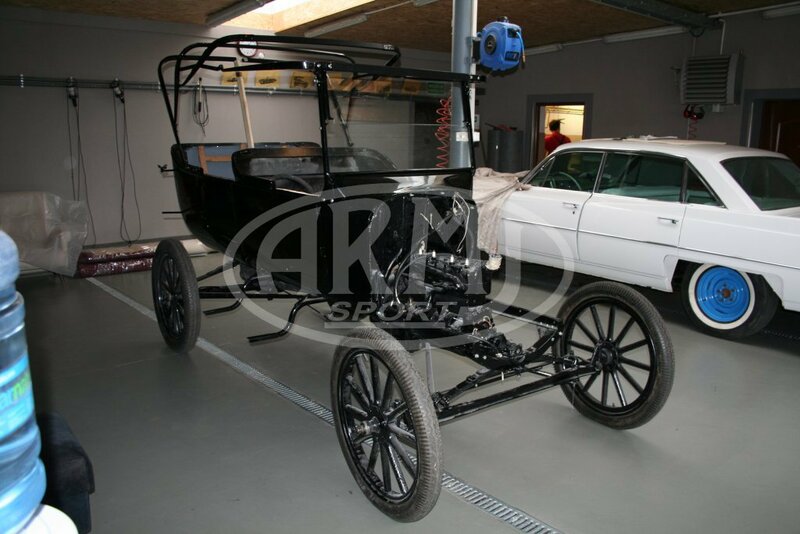 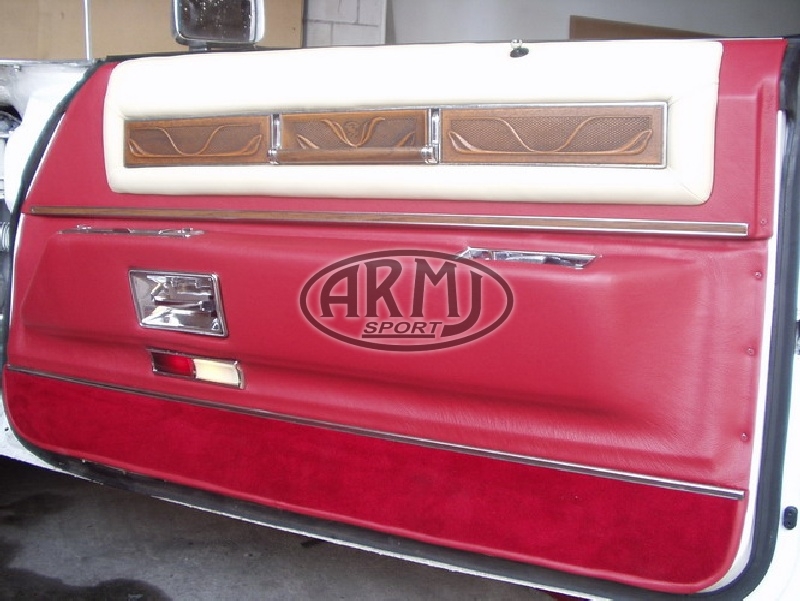 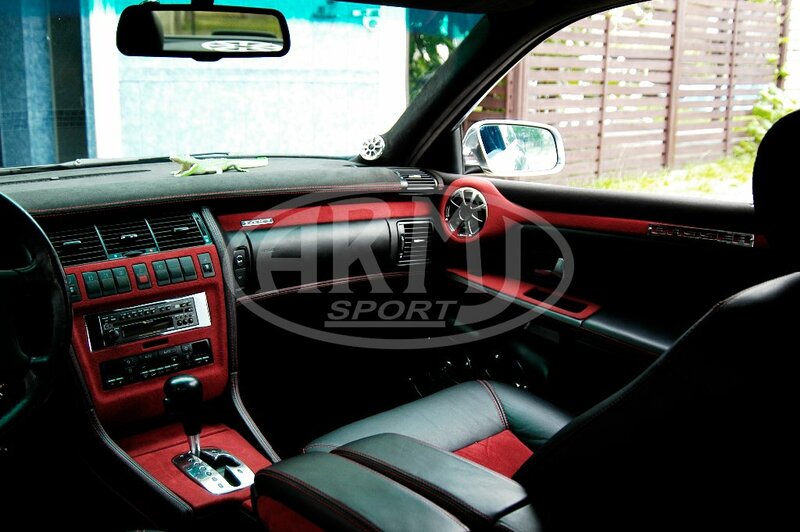 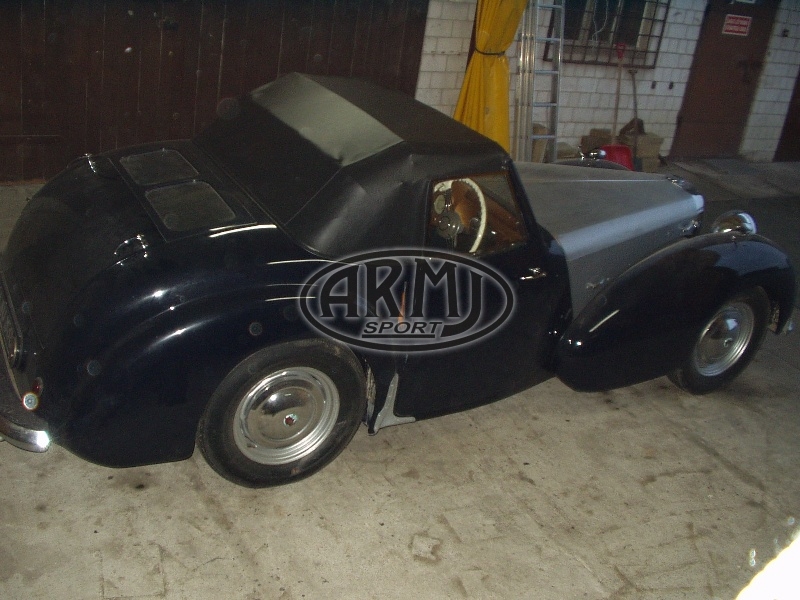 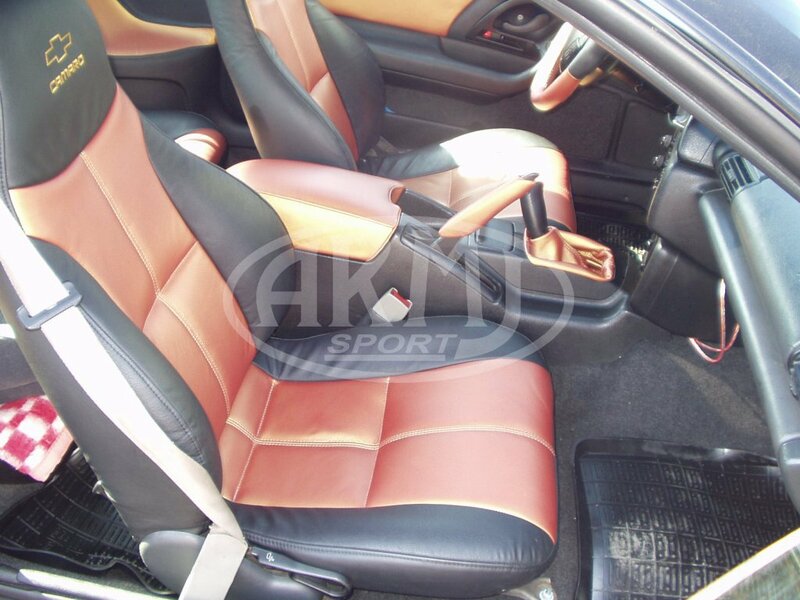 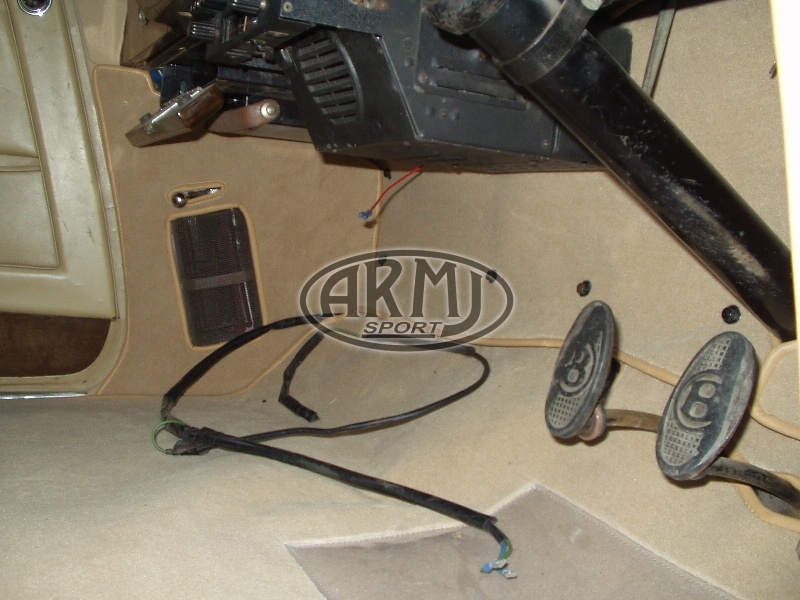 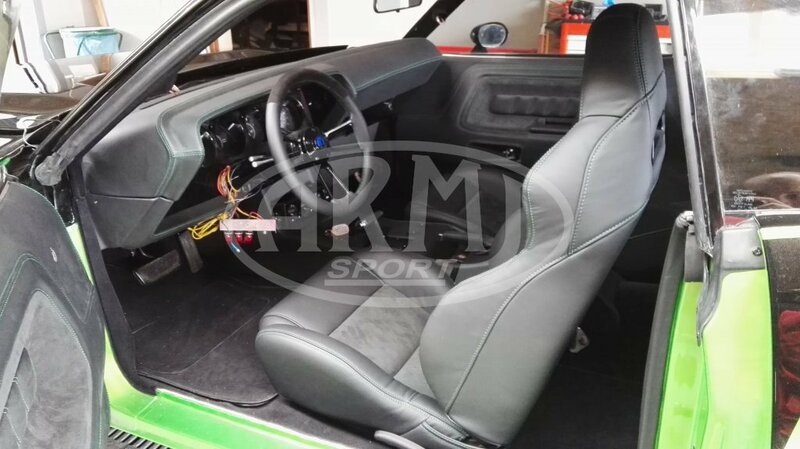 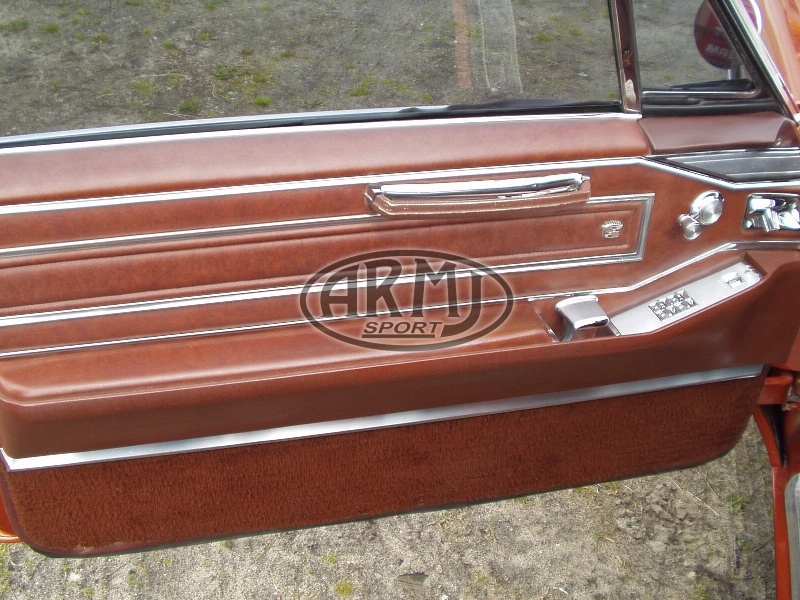 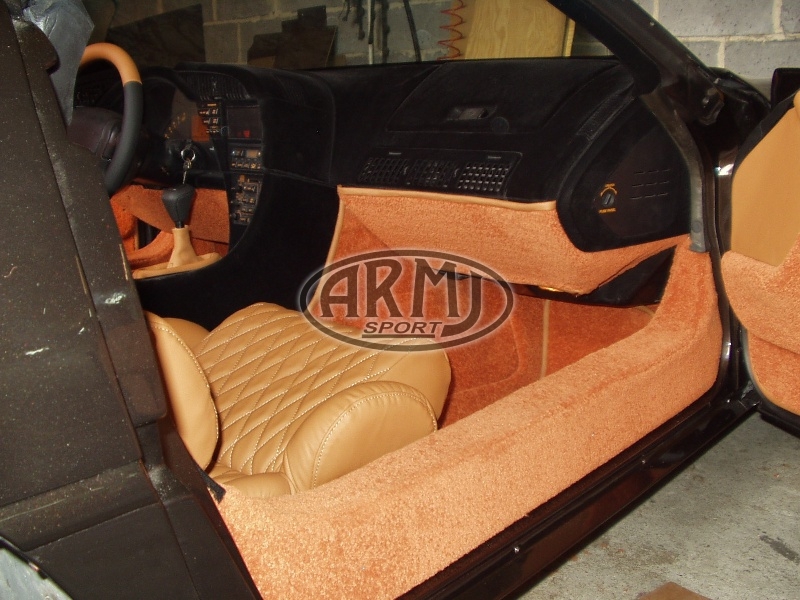 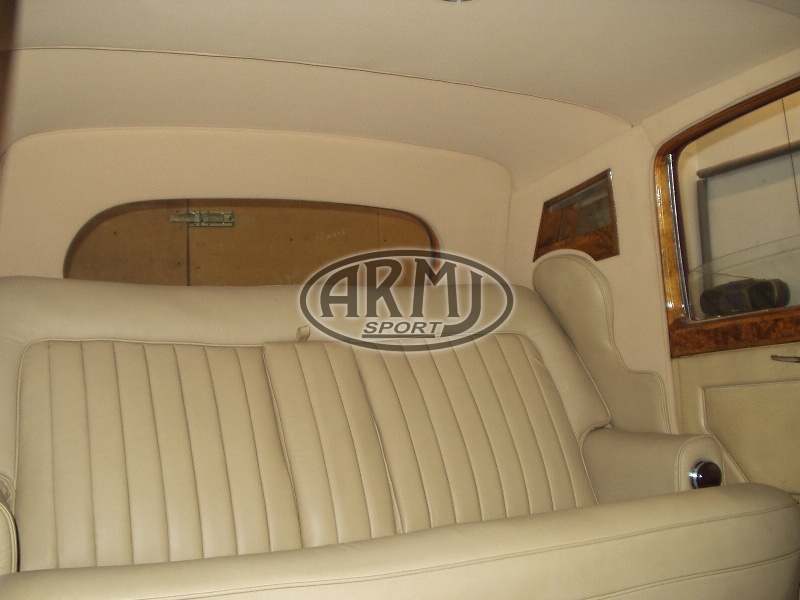 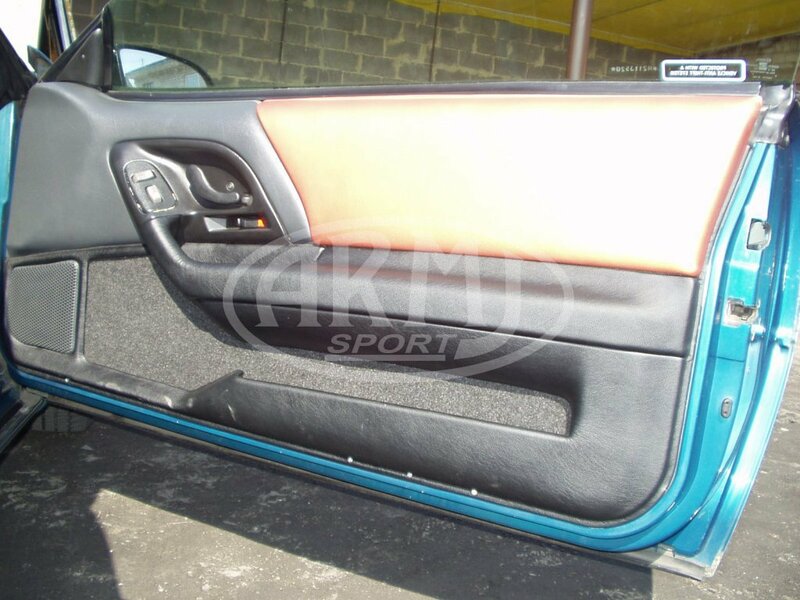 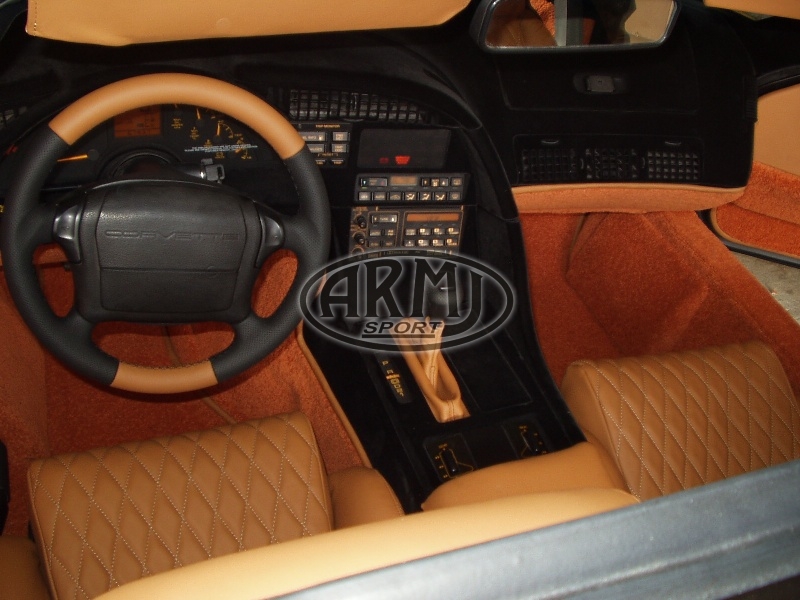 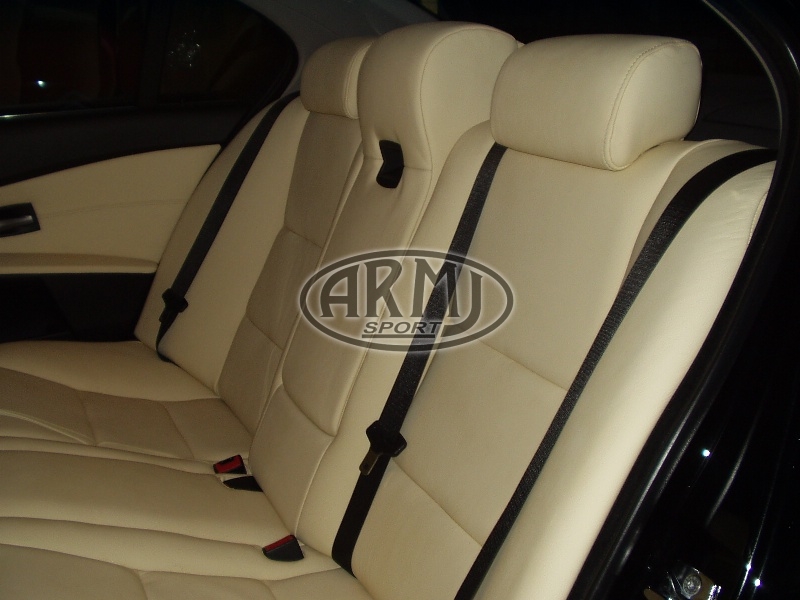 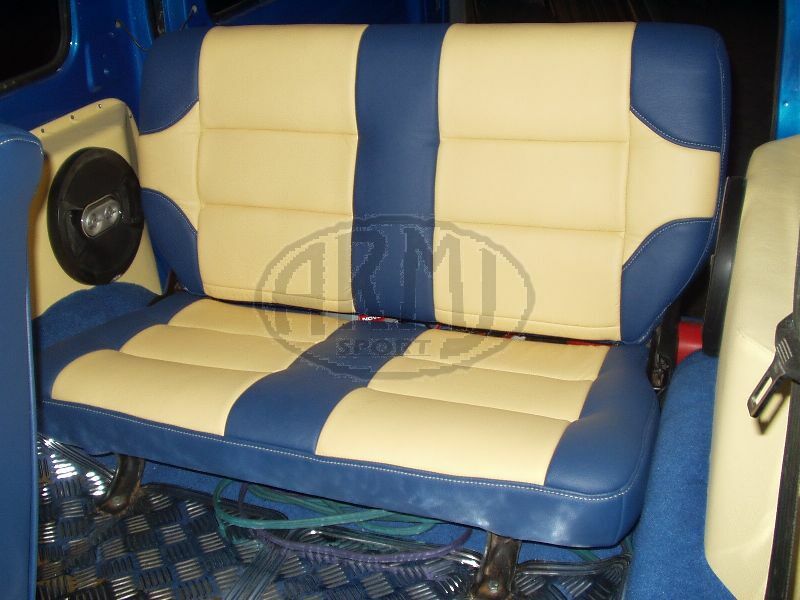 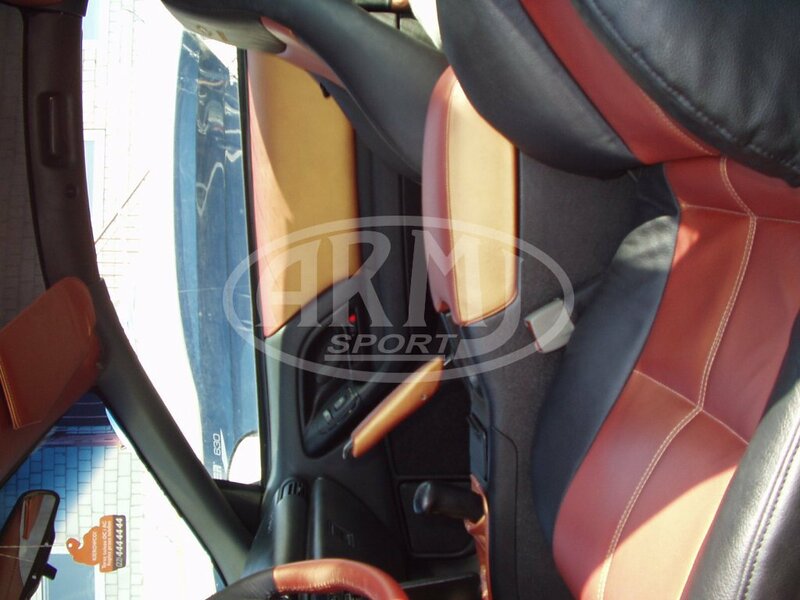 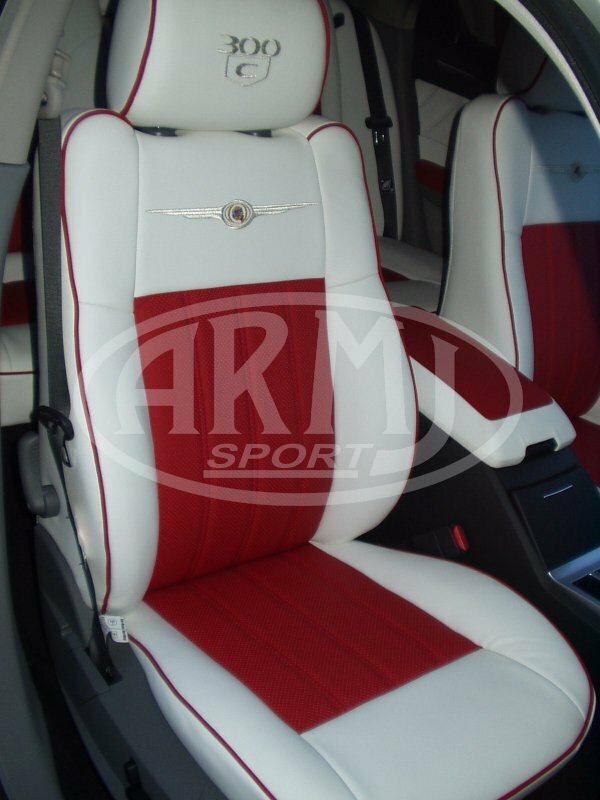 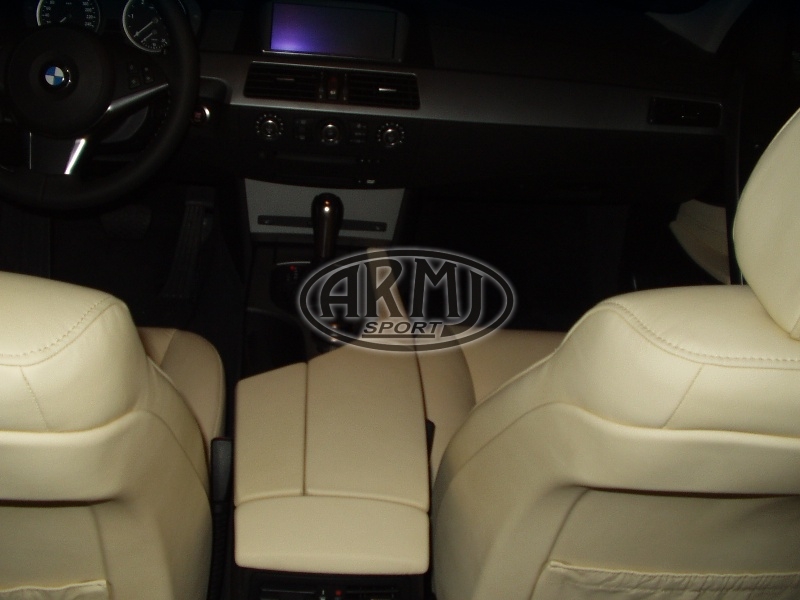 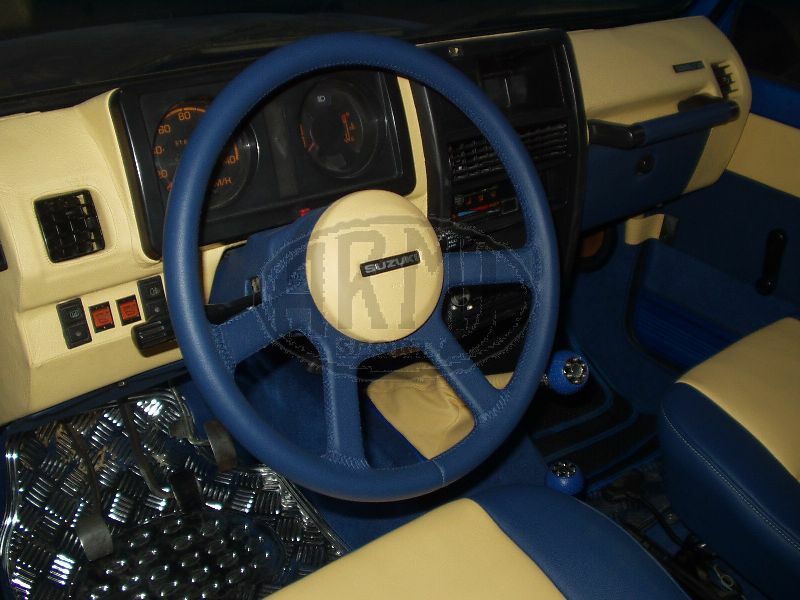 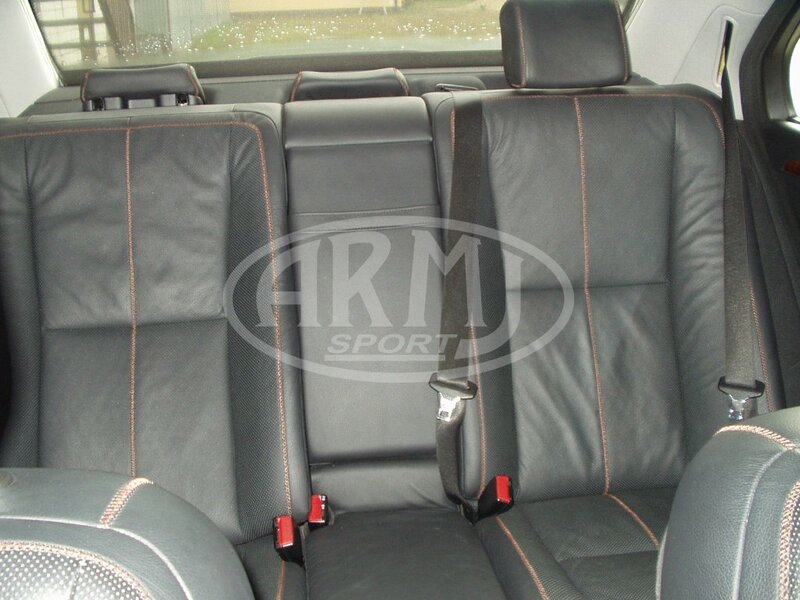 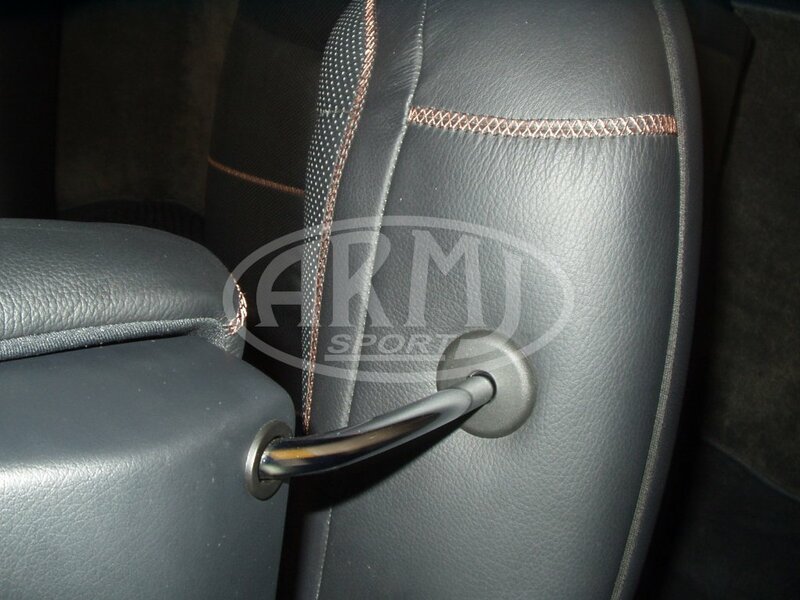 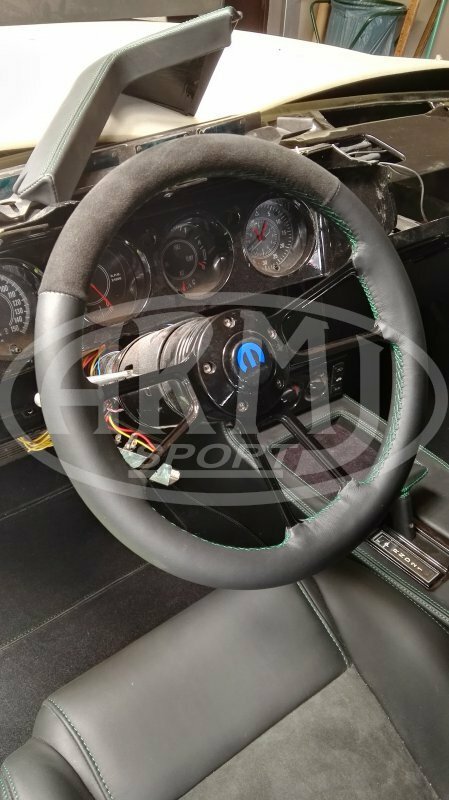 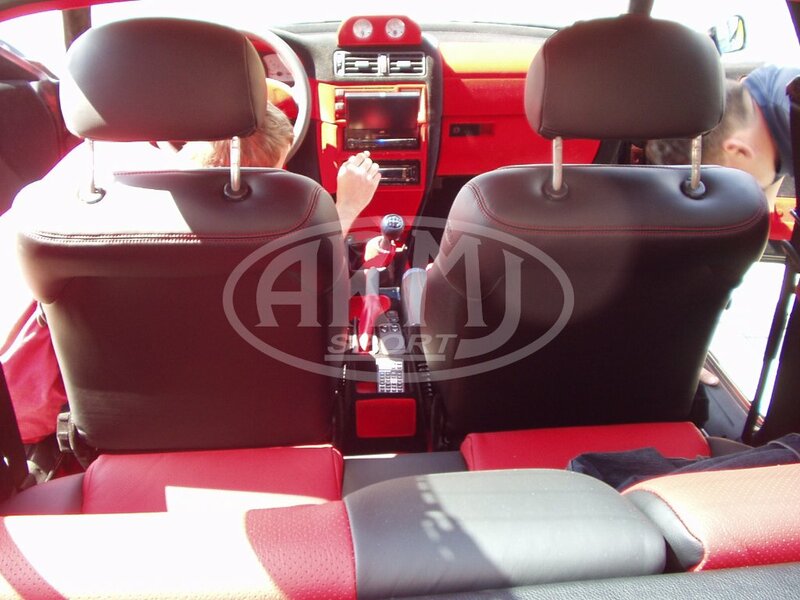 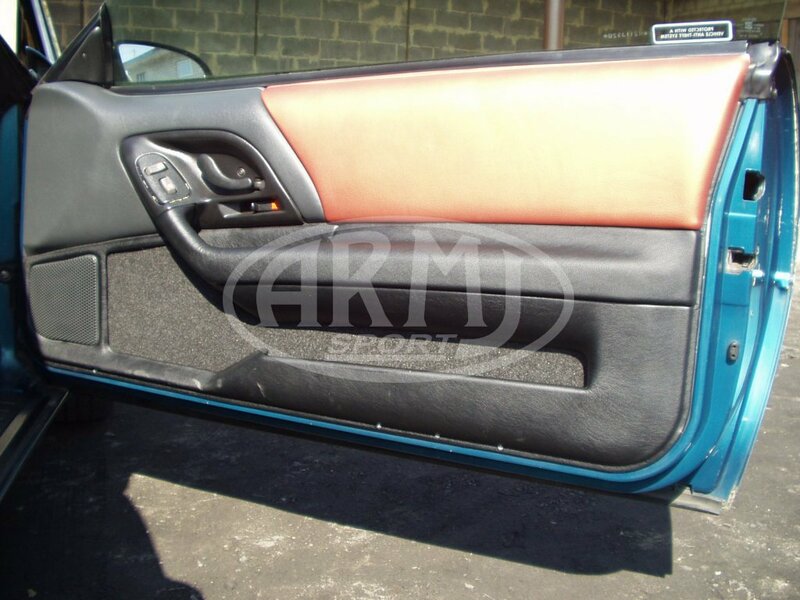 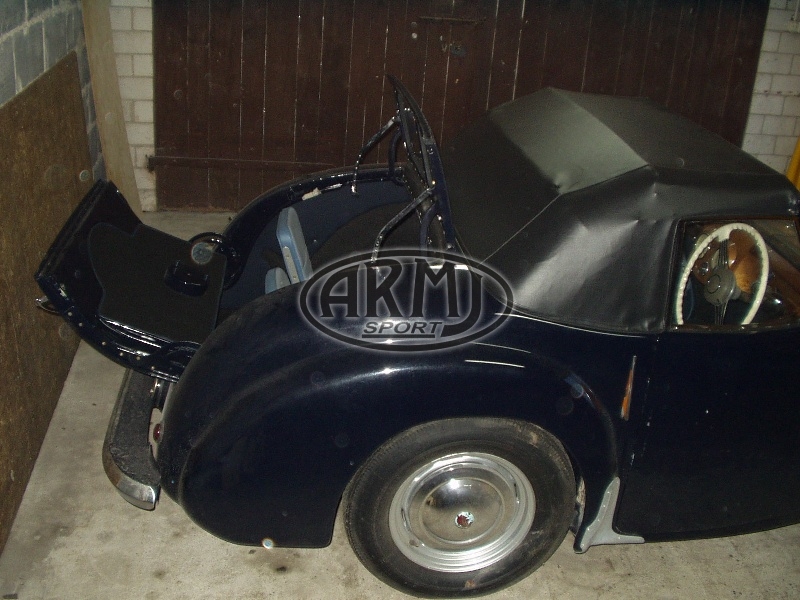 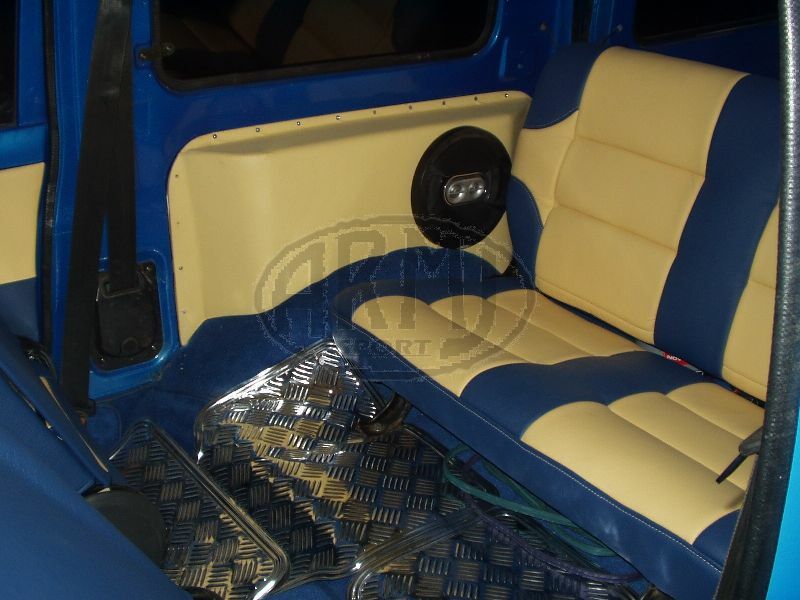 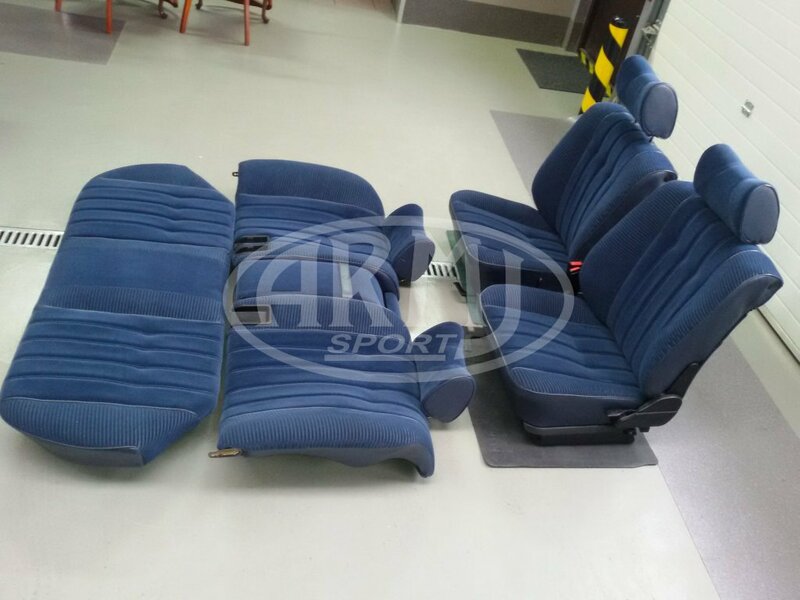 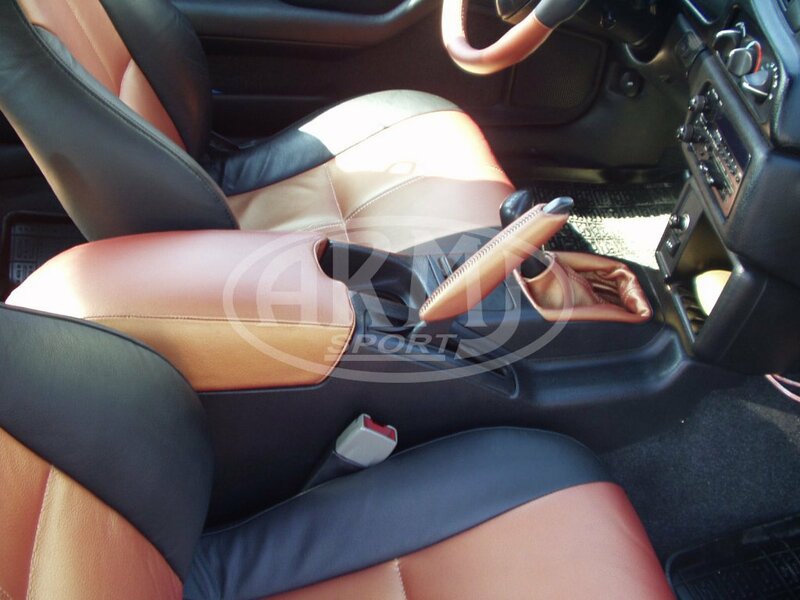 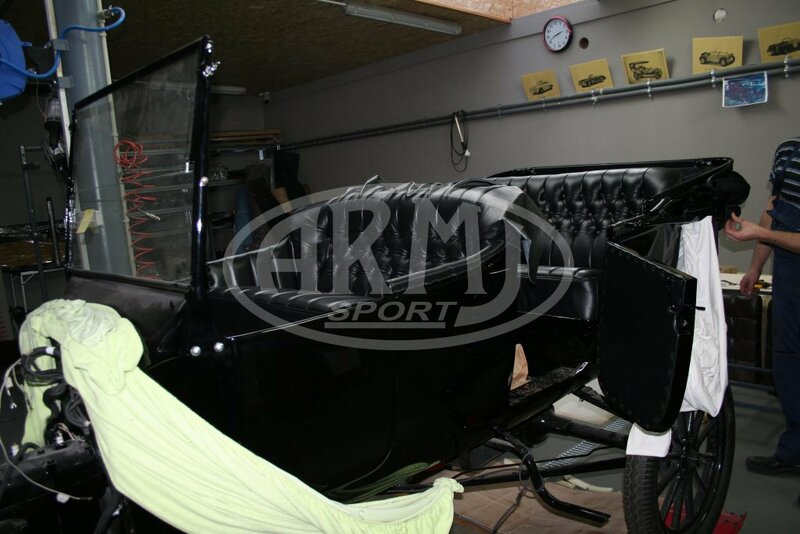 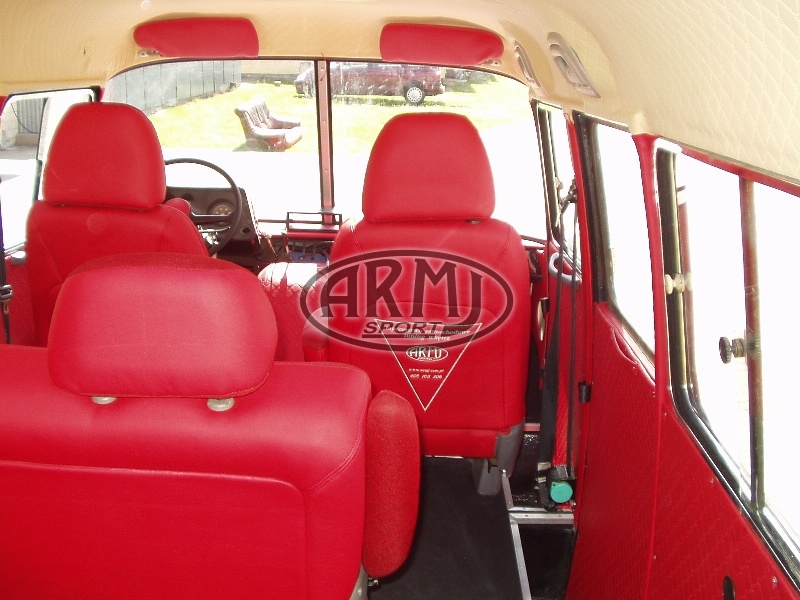 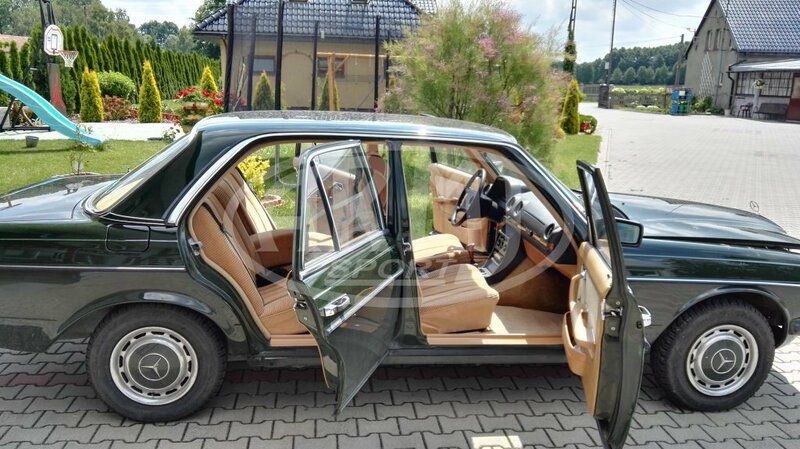 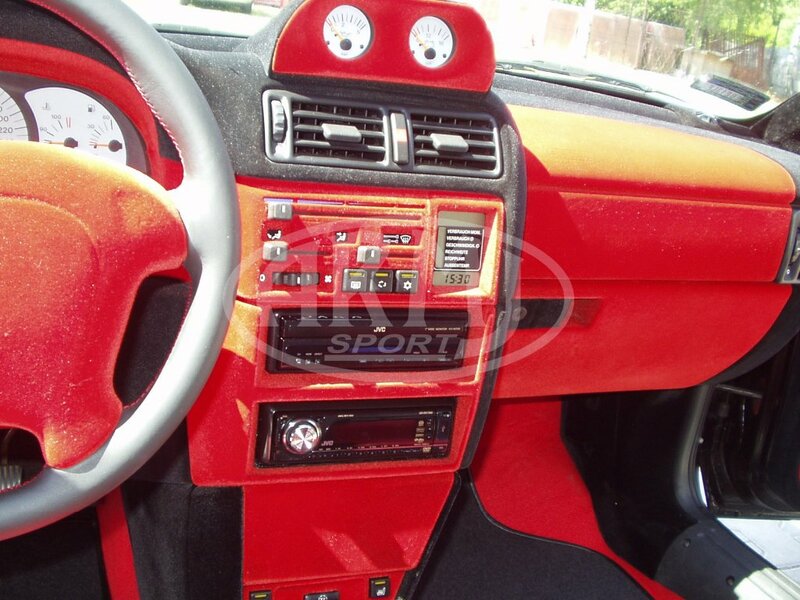 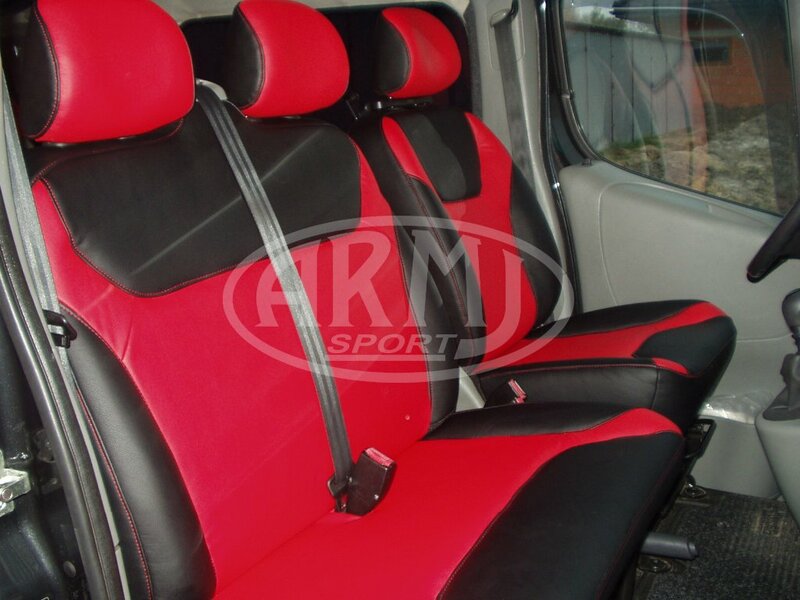 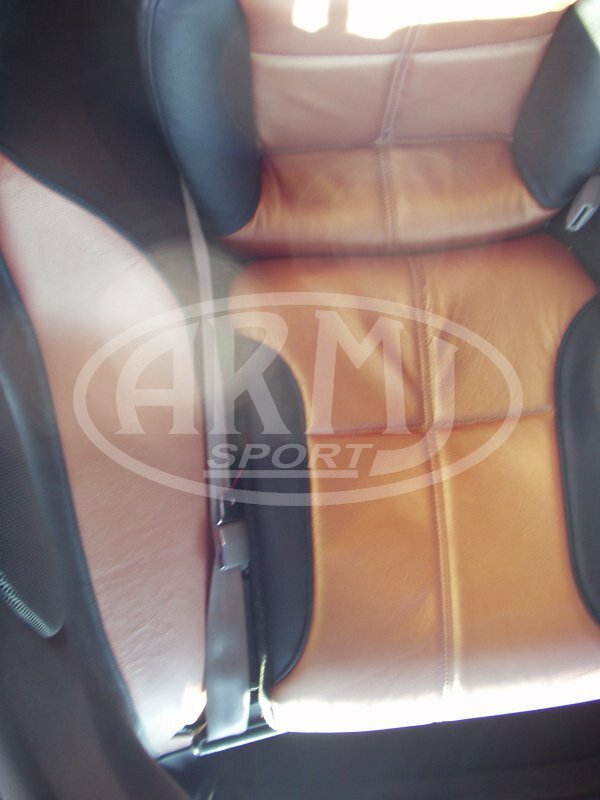 Full interior works, including trimmin the seats with leather. 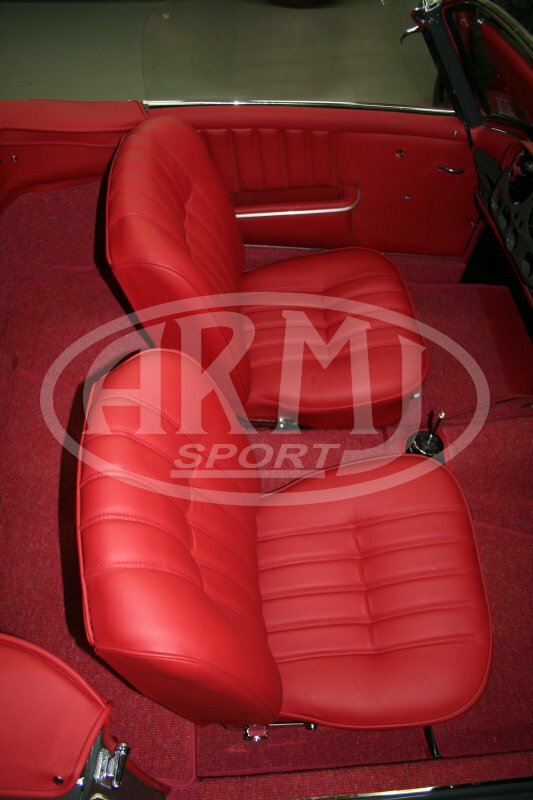 Complete upholstery made of nappa leather from the original. 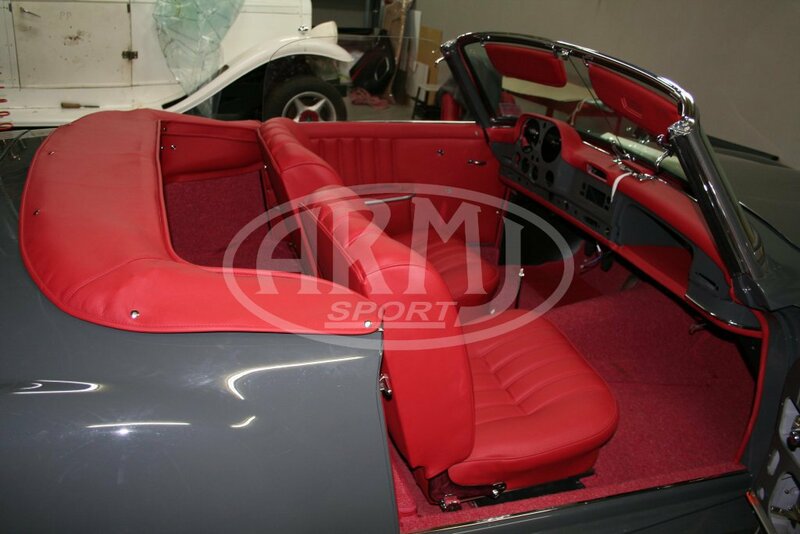 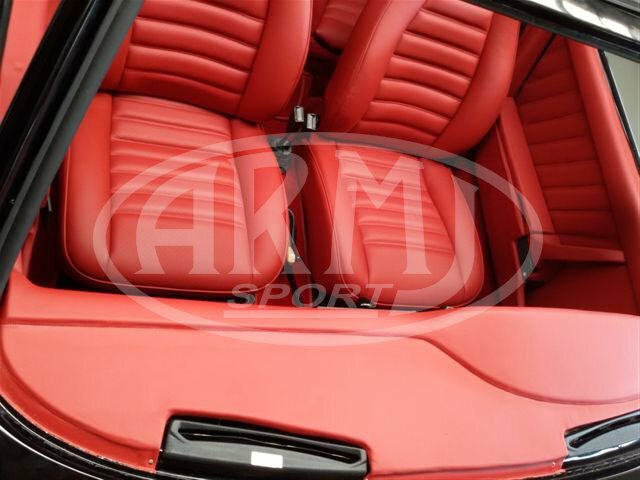 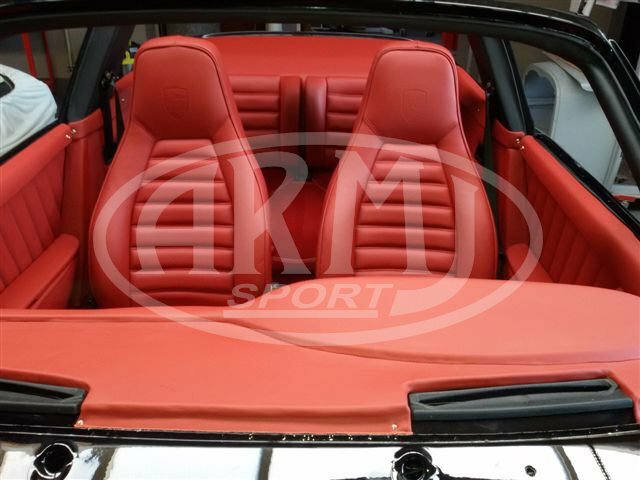 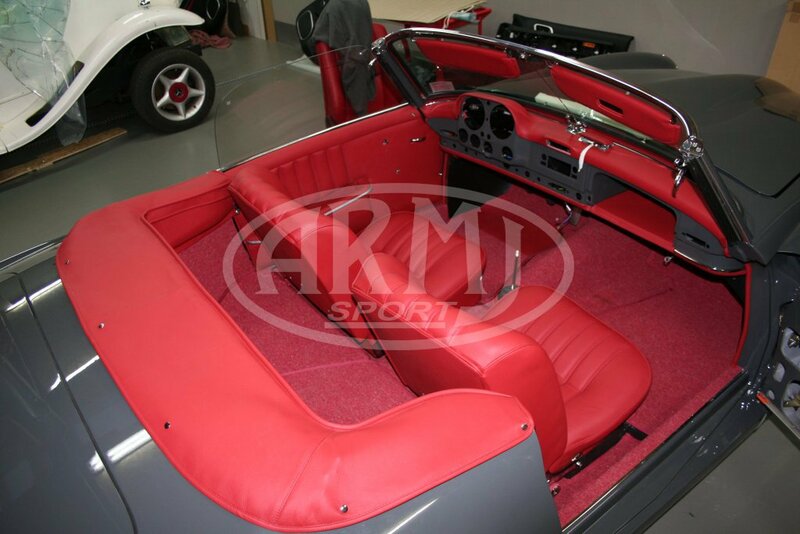 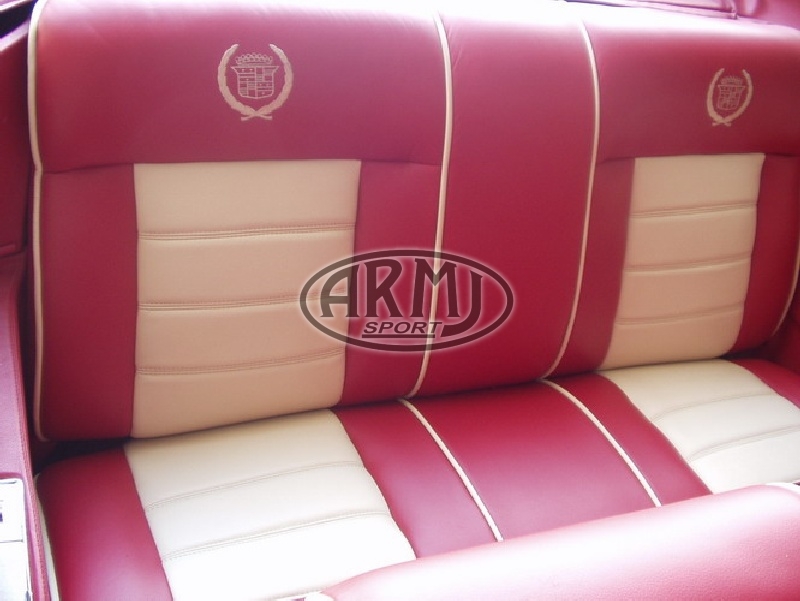 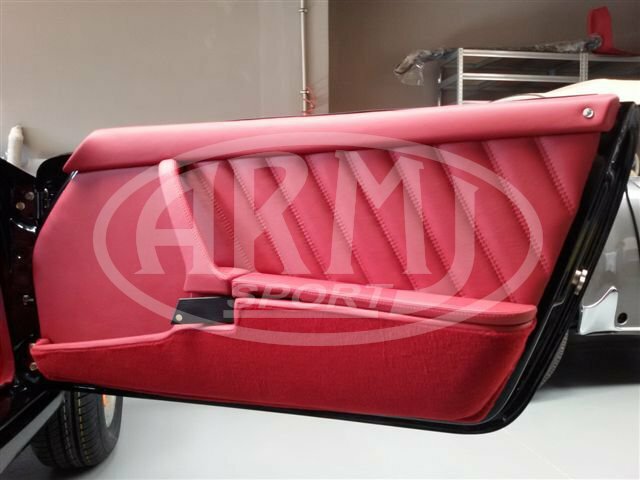 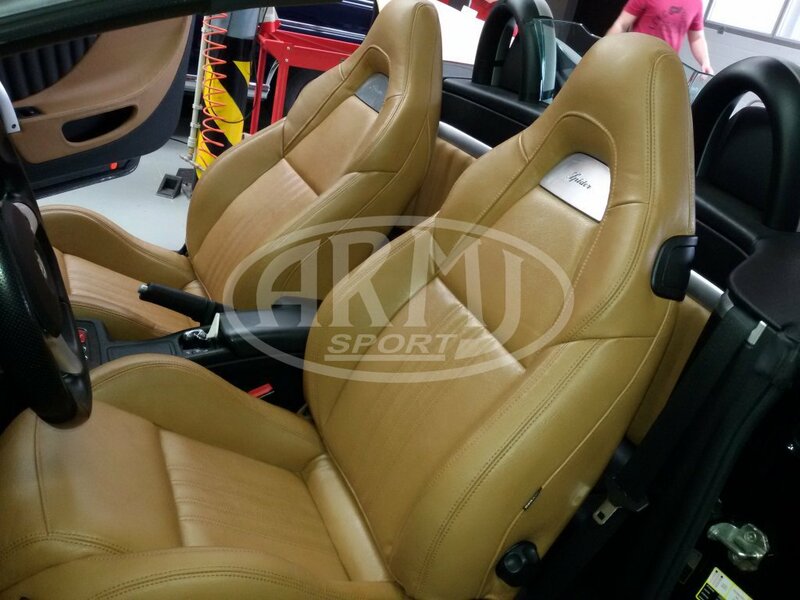 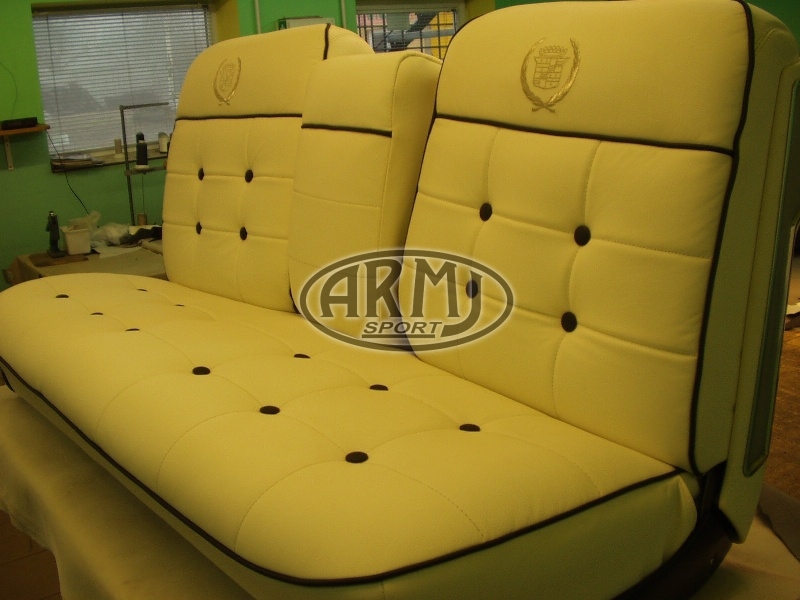 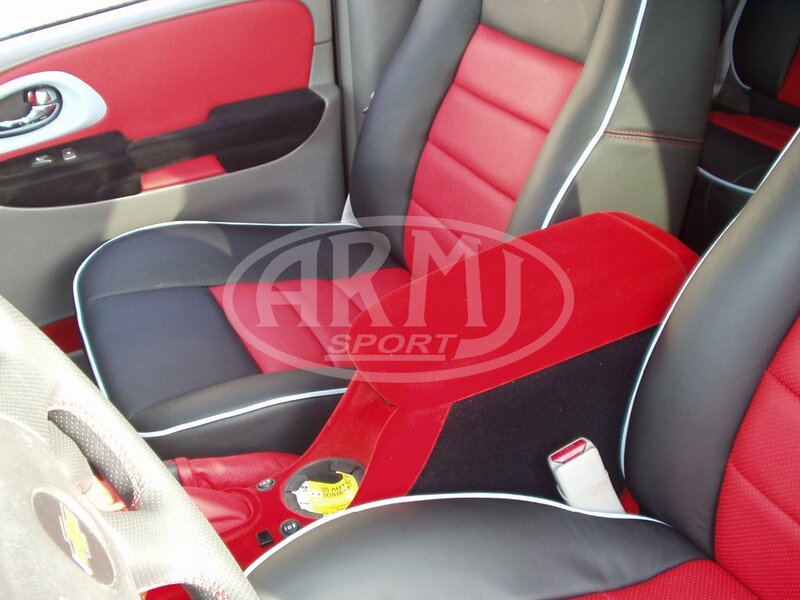 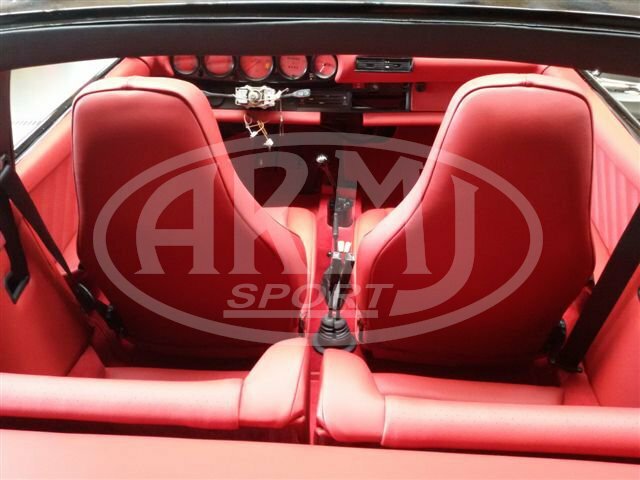 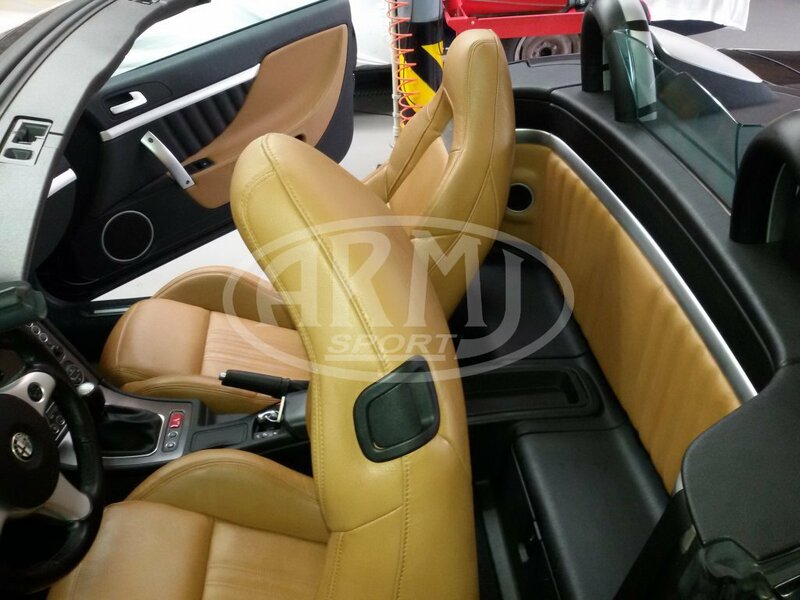 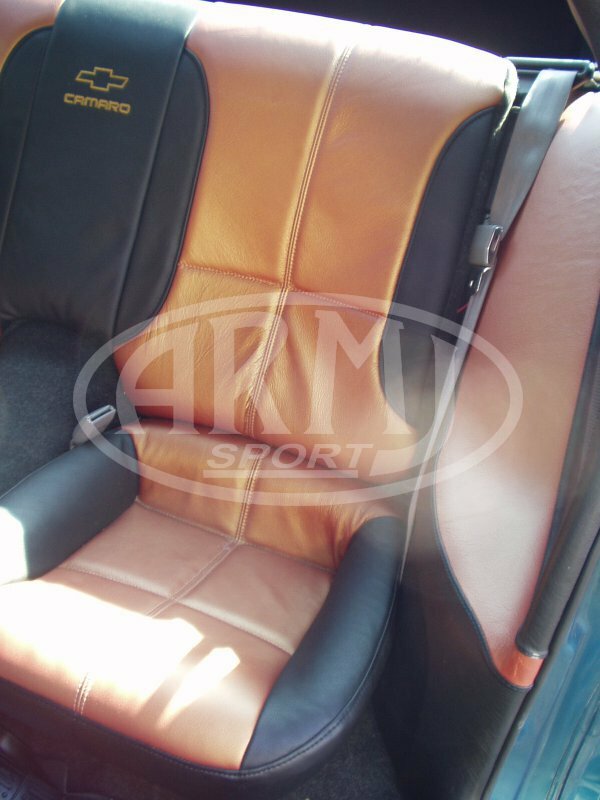 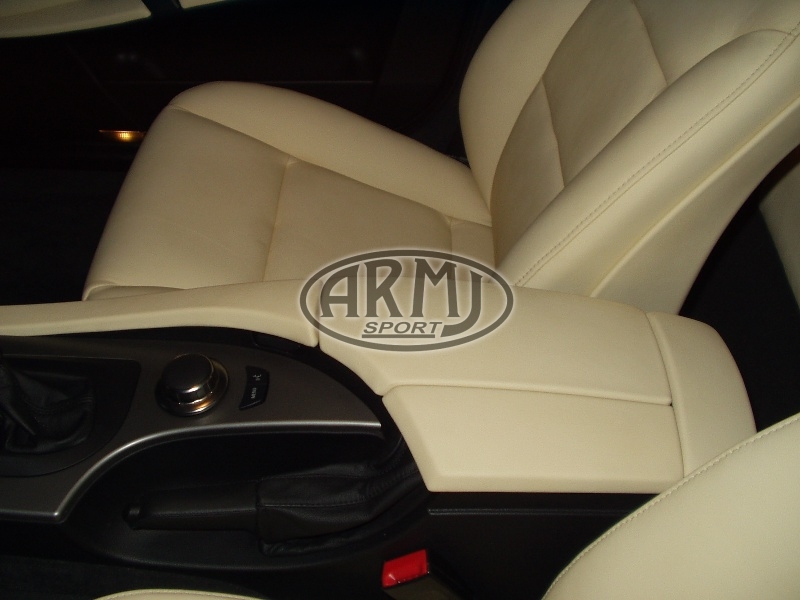 Alfa Romeo Spider - Complete upholstery made in the skin. 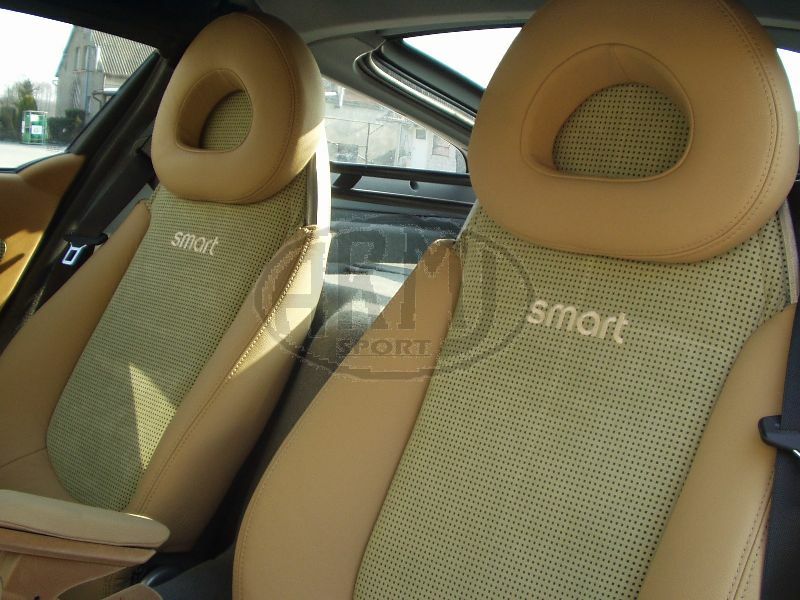 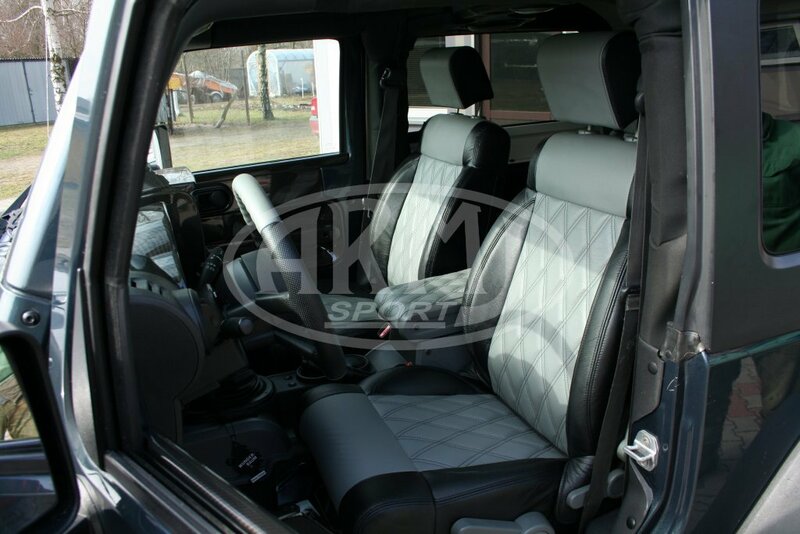 The works focused on replacing the upholstery with leather one (with a combination of perforated alcantara). 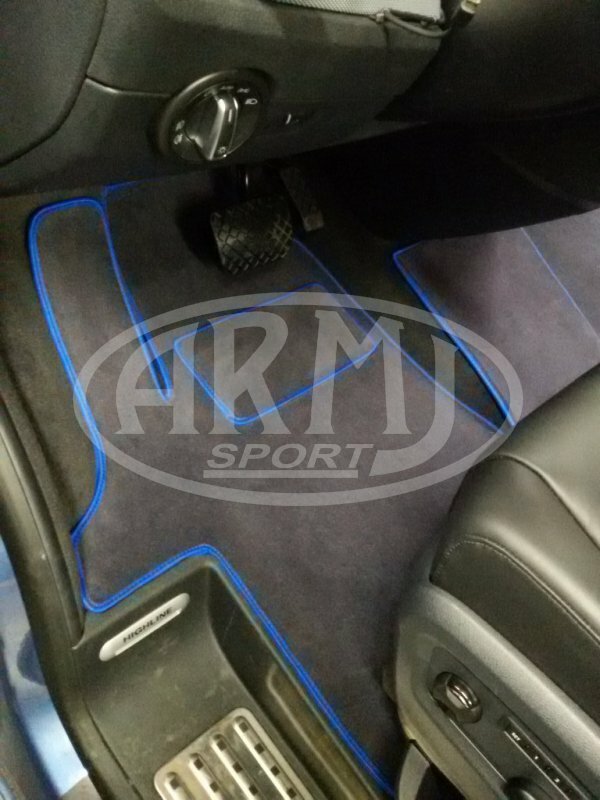 Trimming all elements with nappa leather and alcantara. 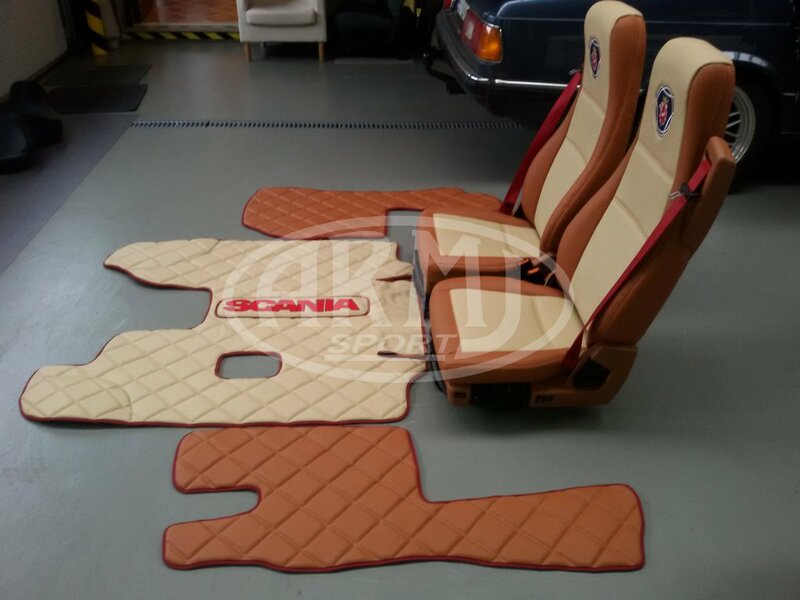 Trimming the set of seats with natural nappa leather. 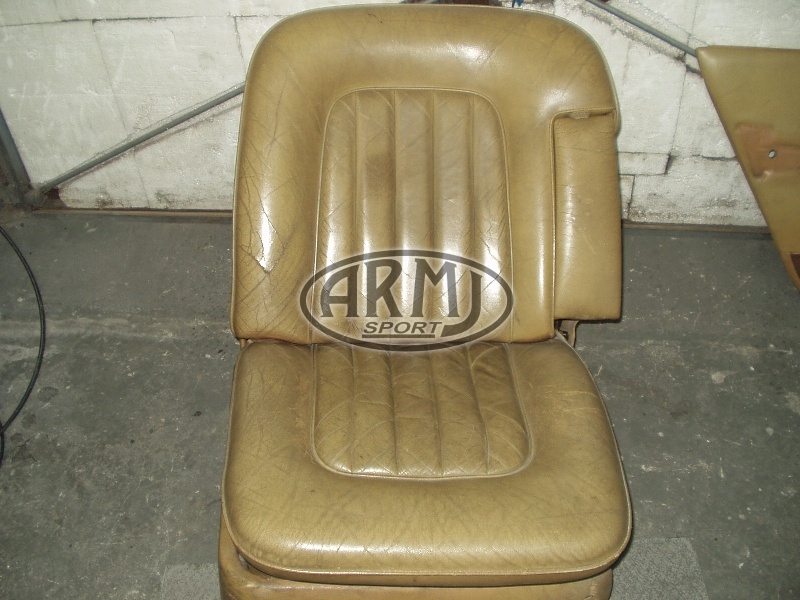 Upholstery made for the original. 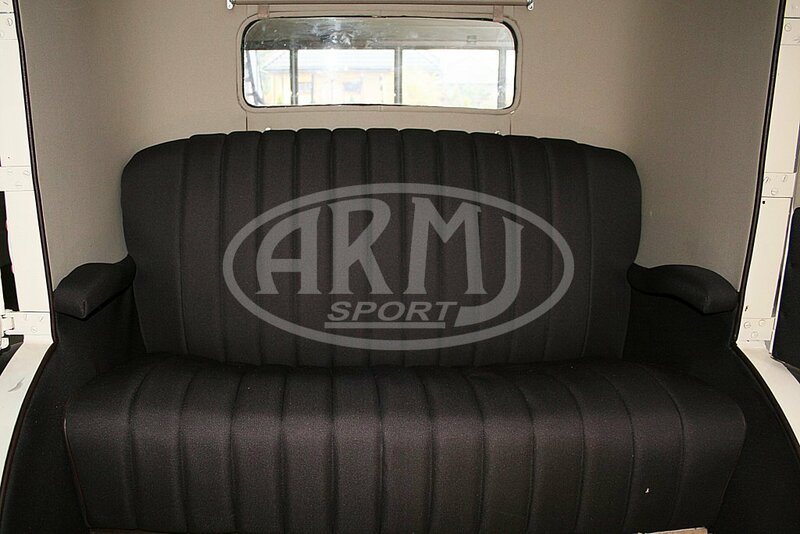 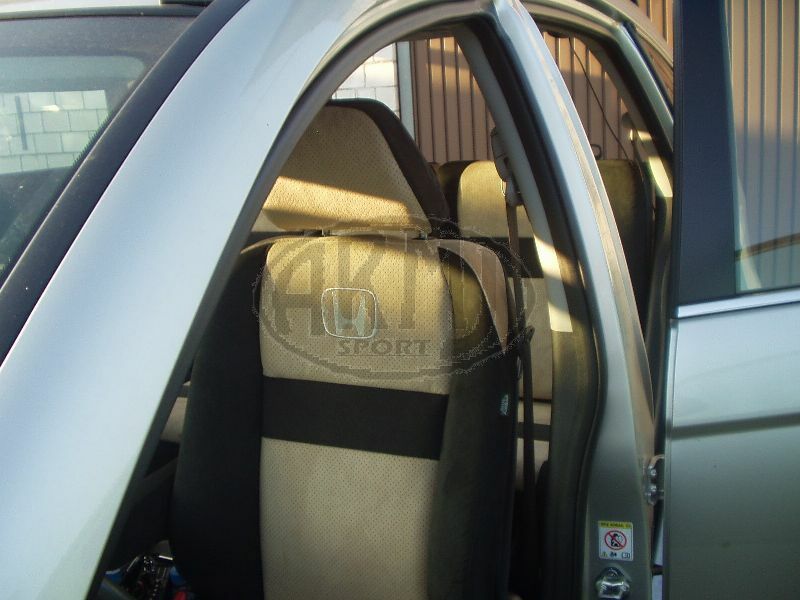 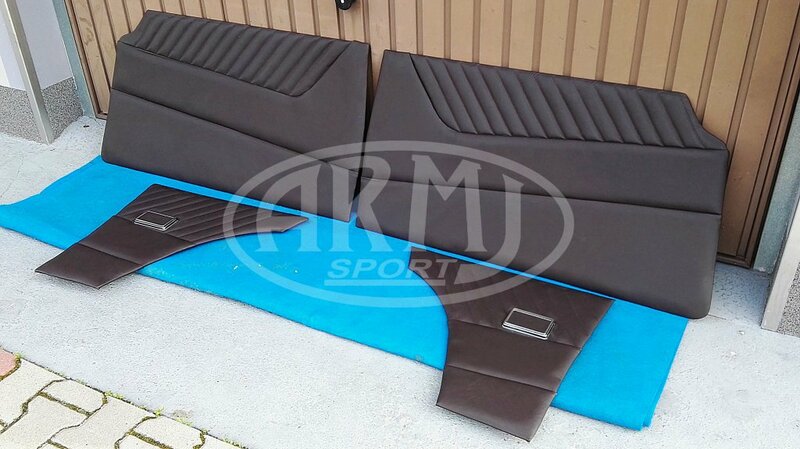 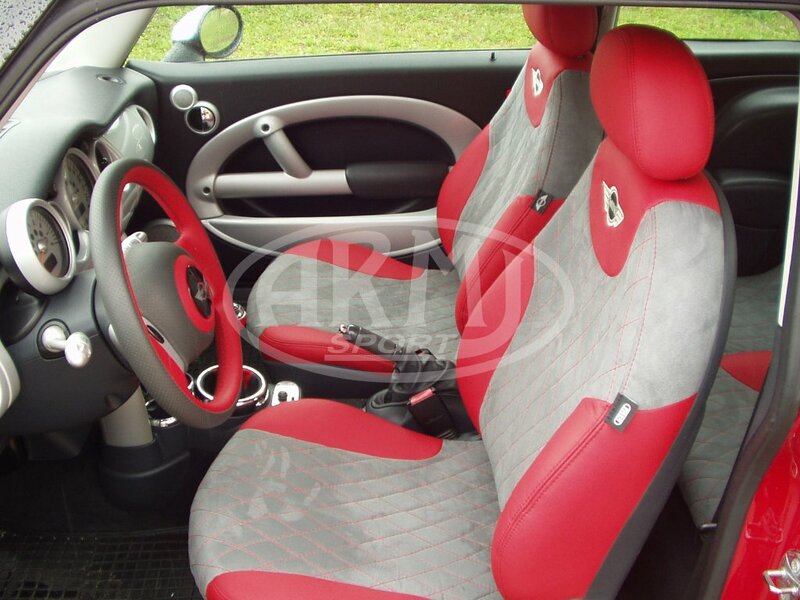 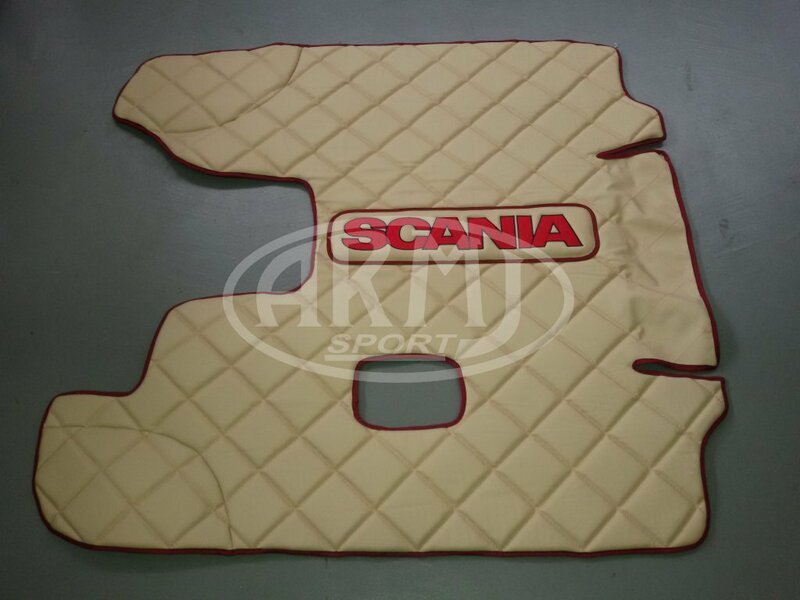 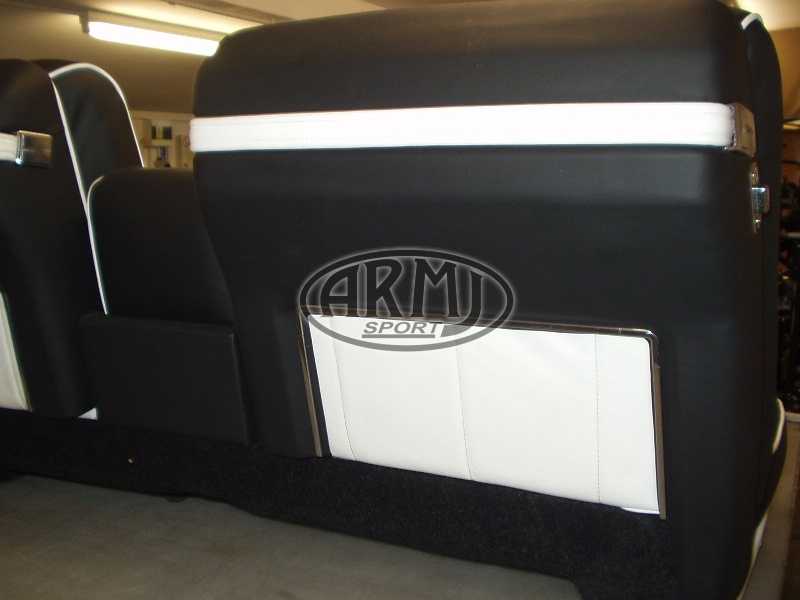 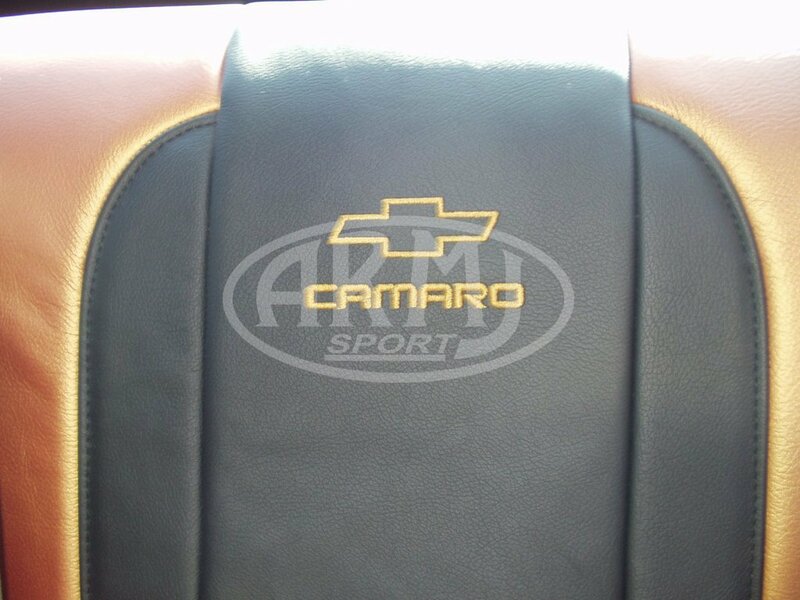 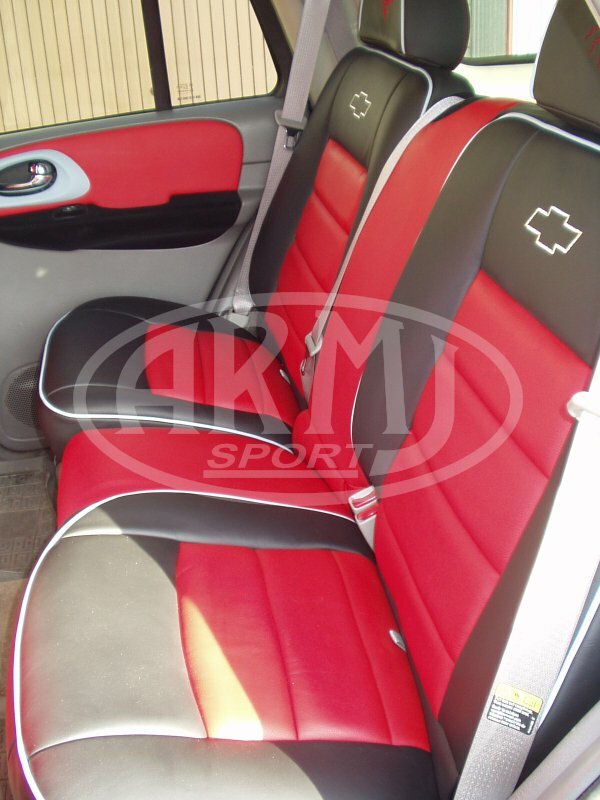 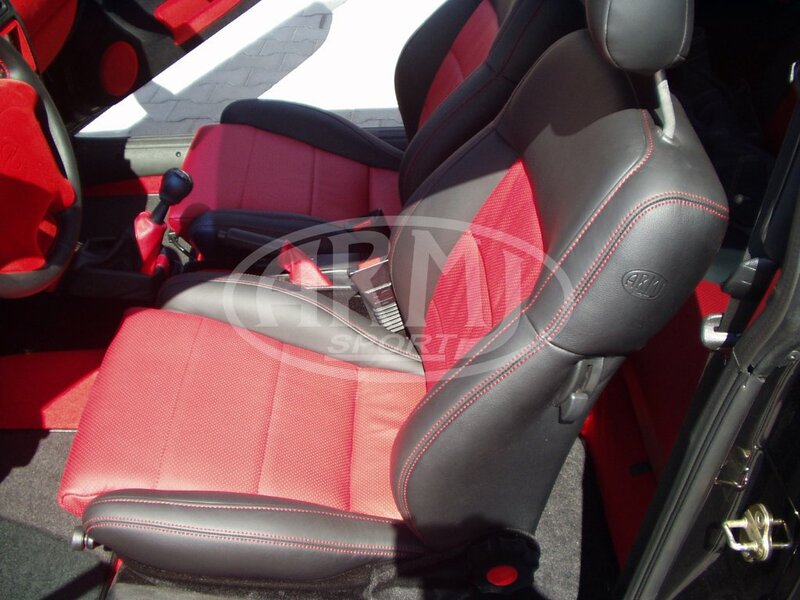 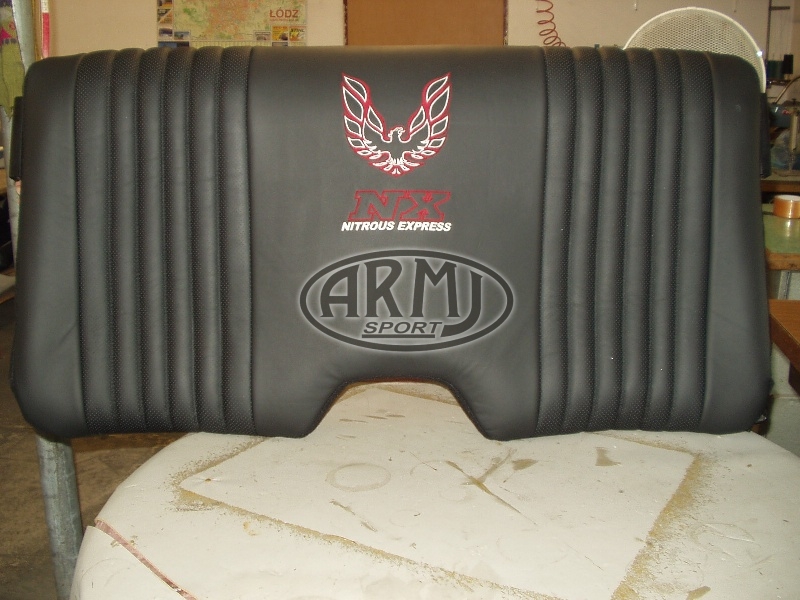 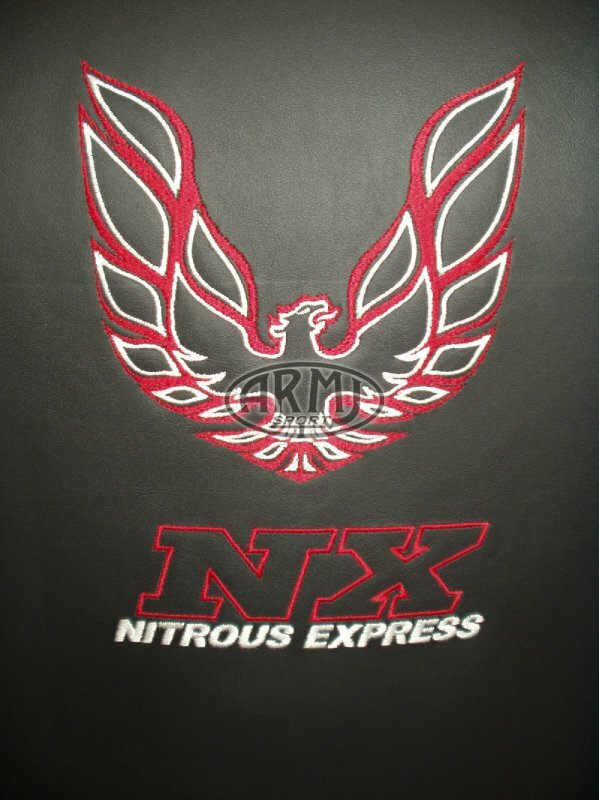 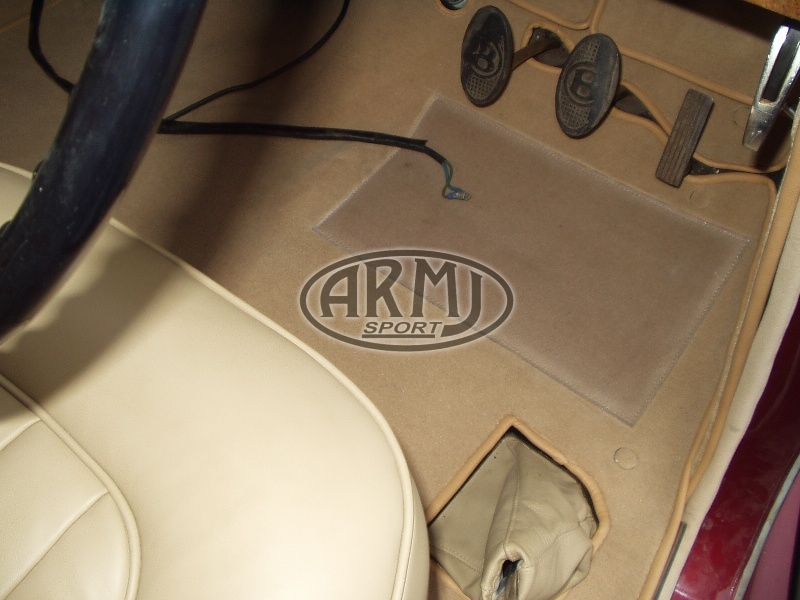 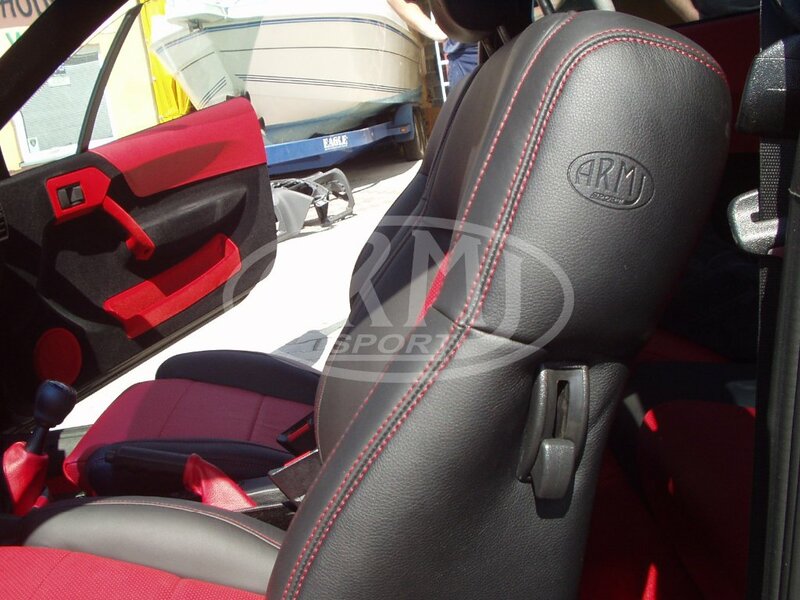 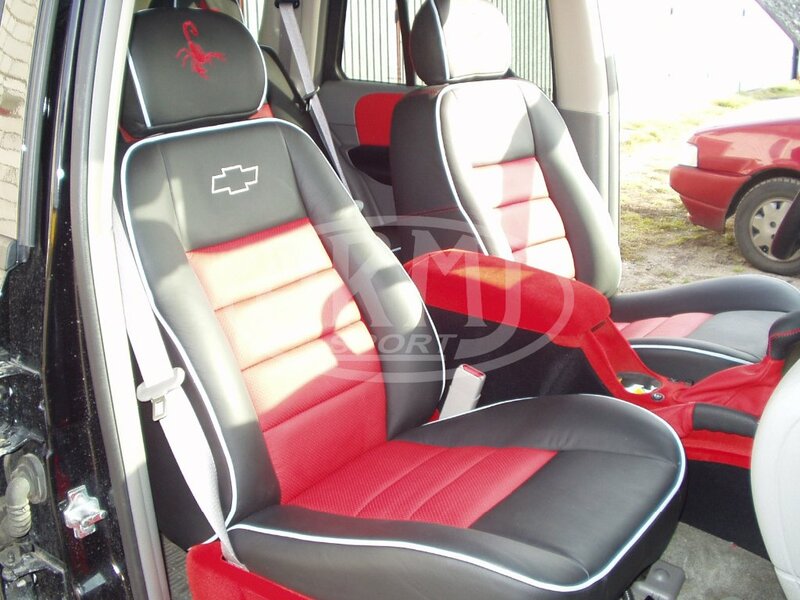 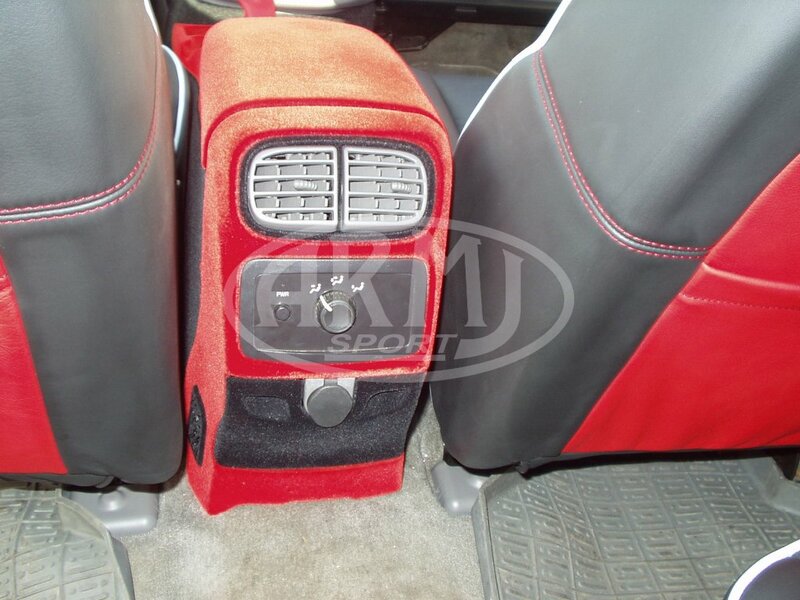 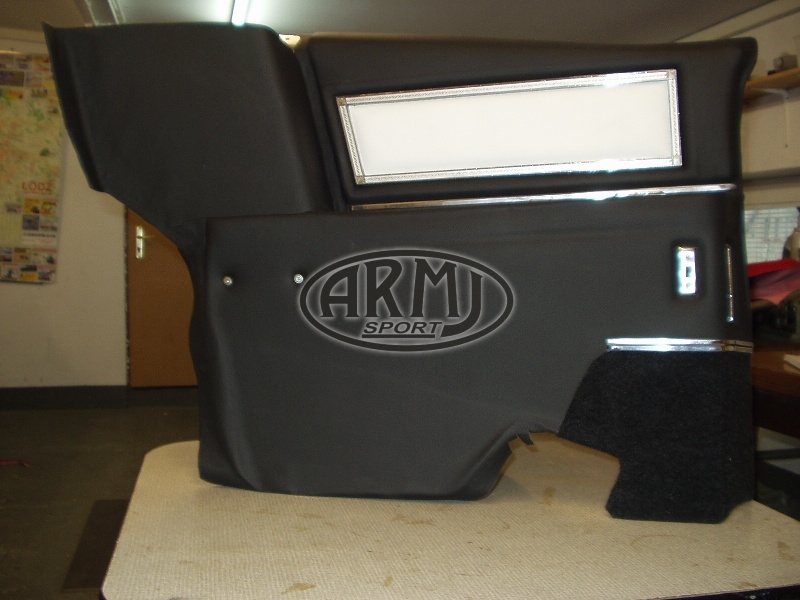 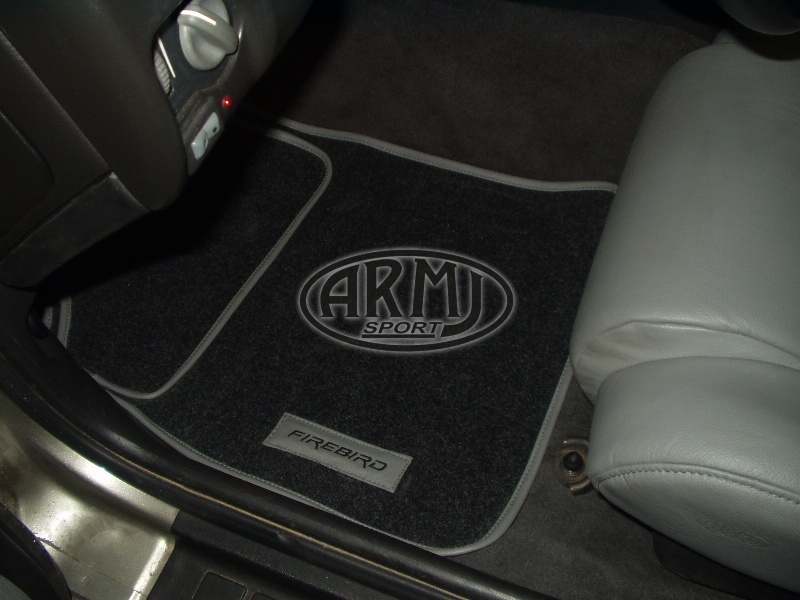 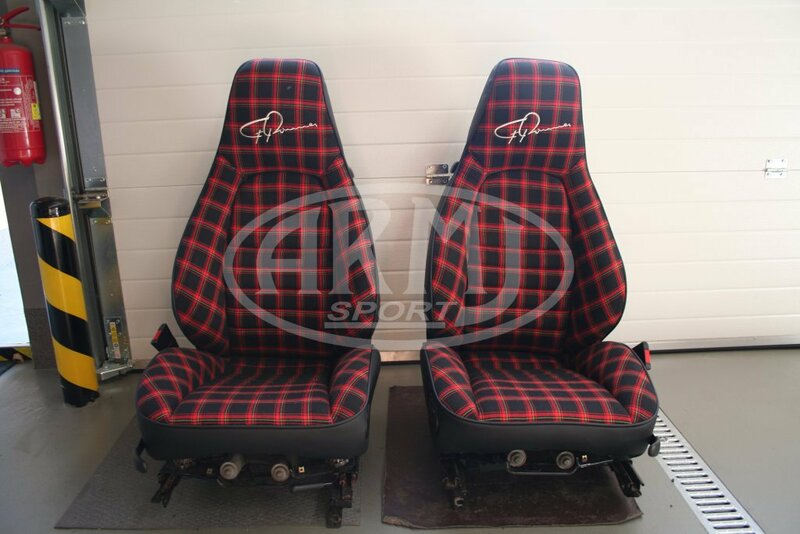 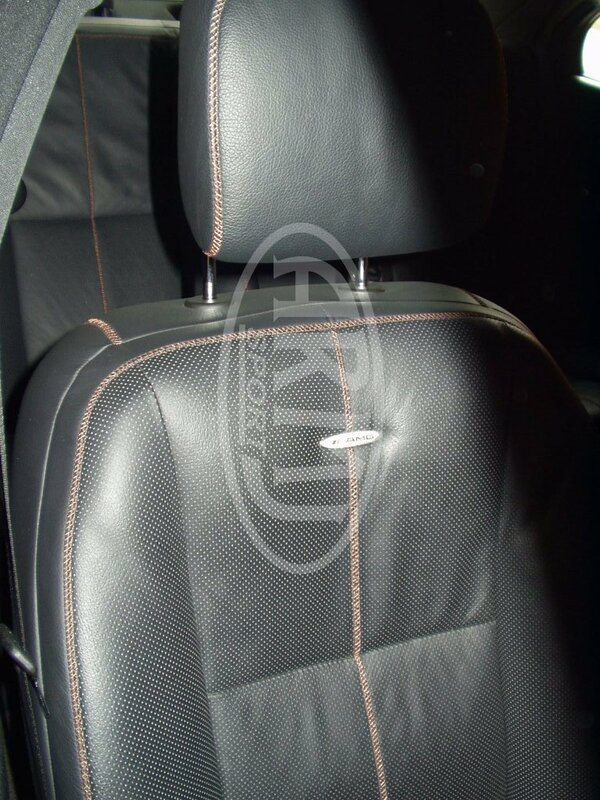 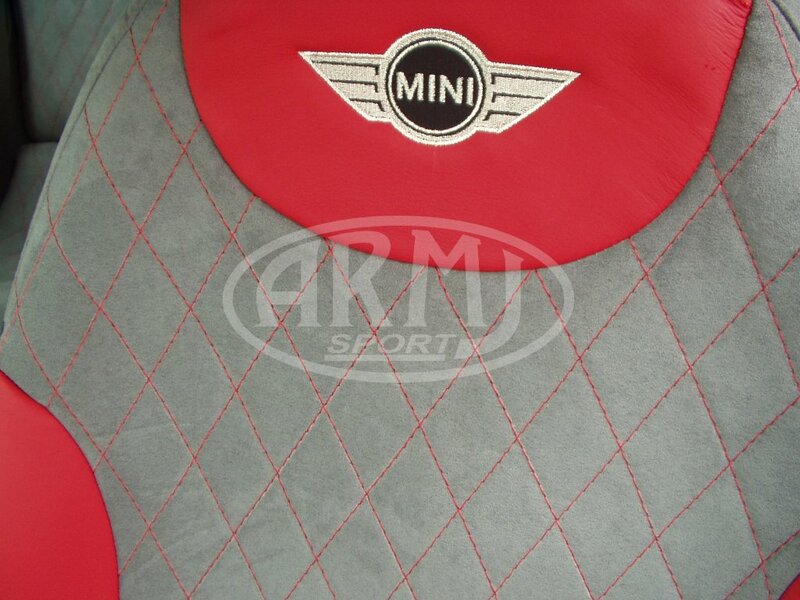 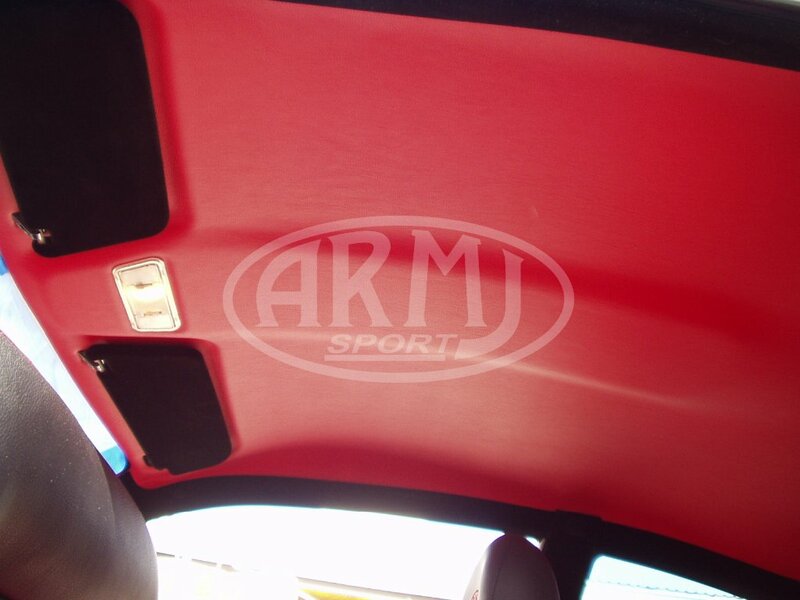 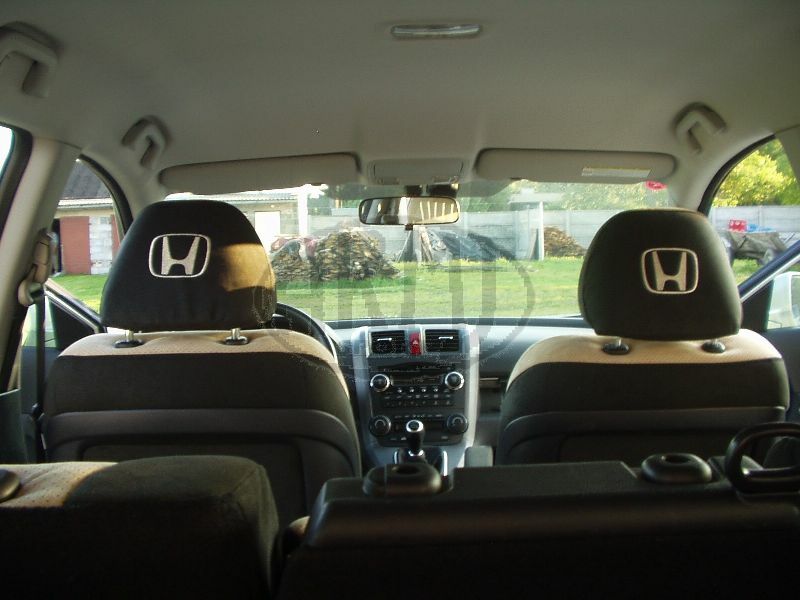 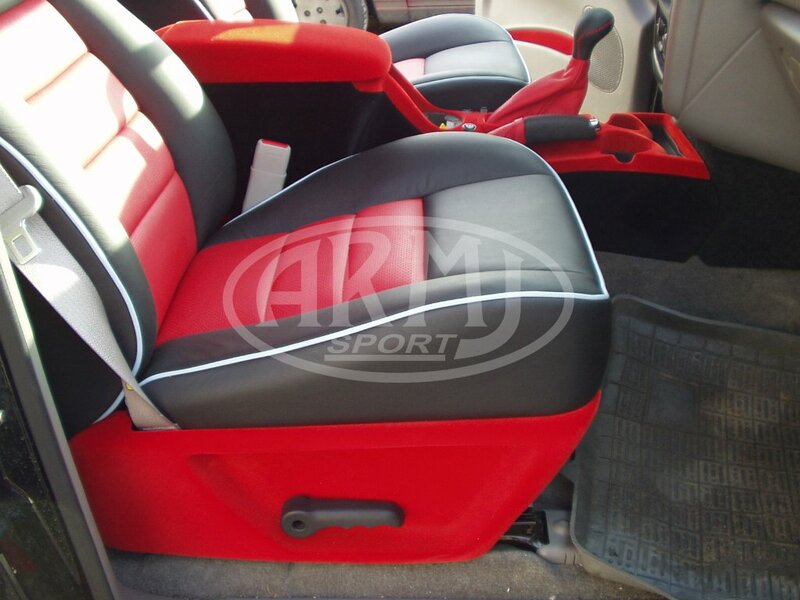 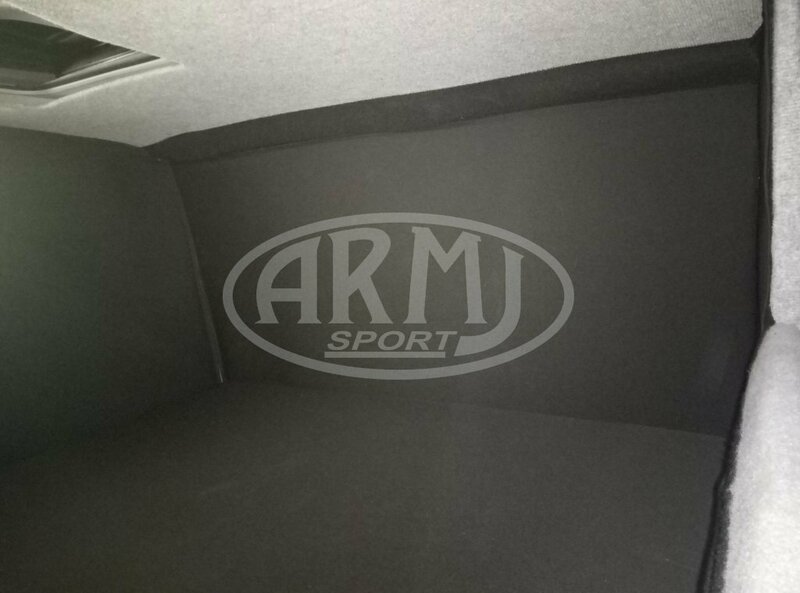 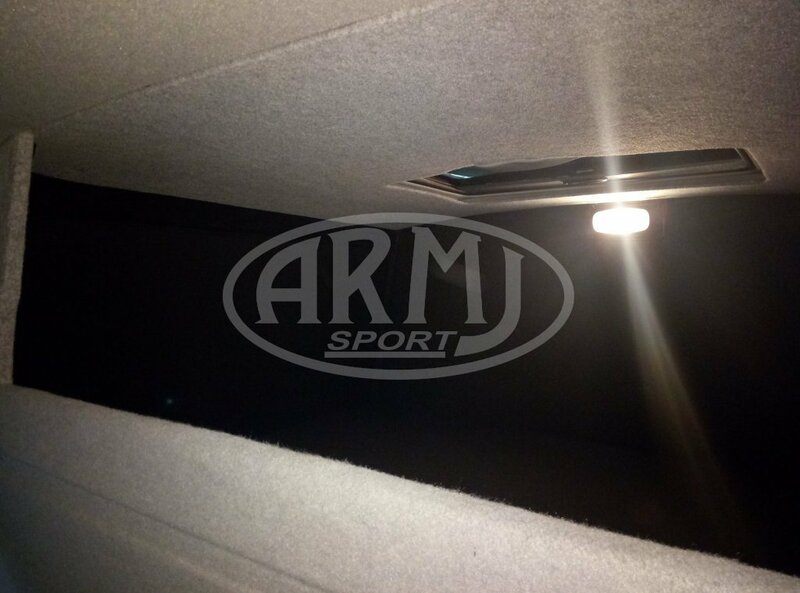 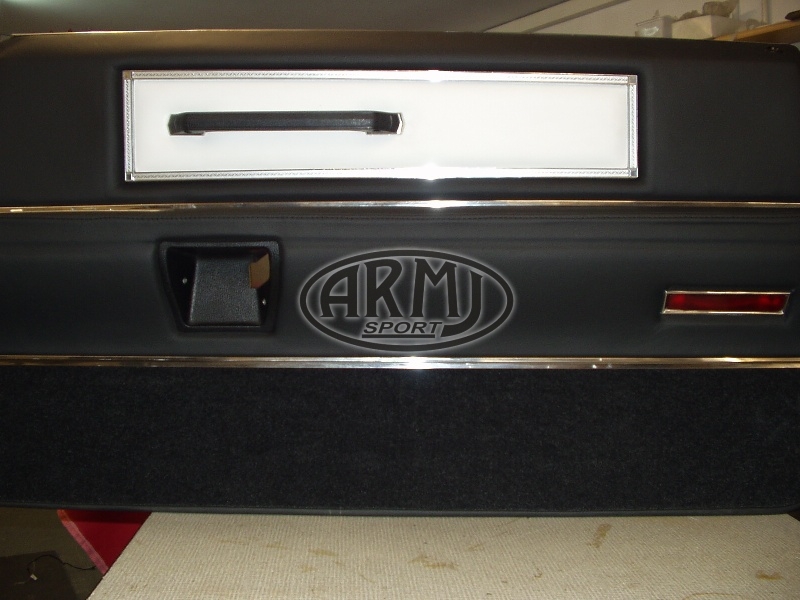 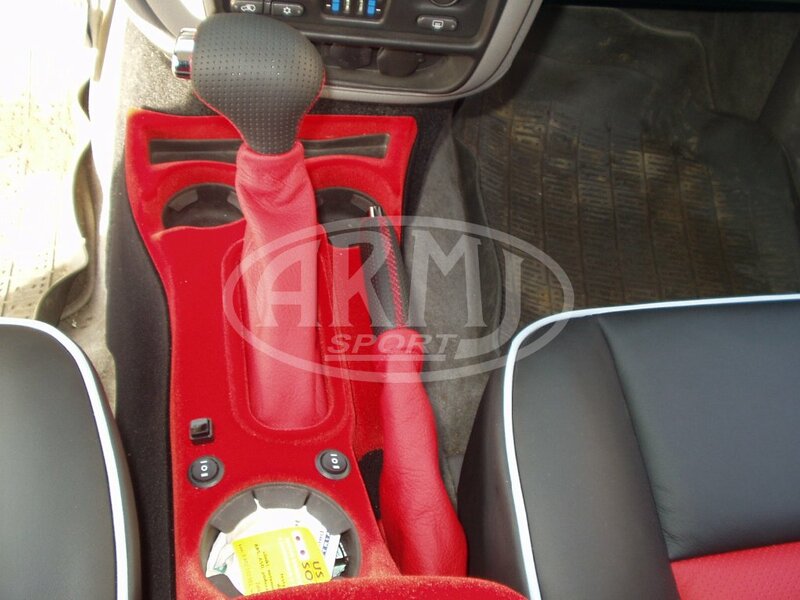 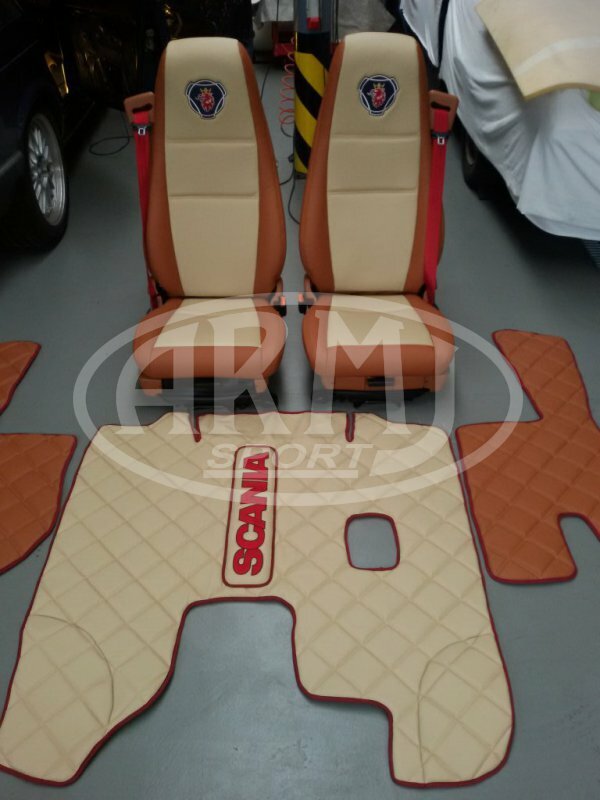 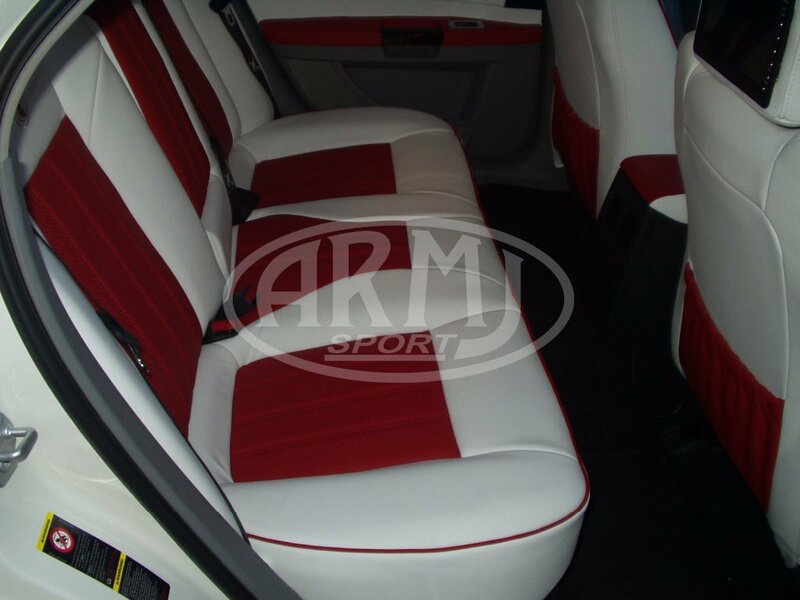 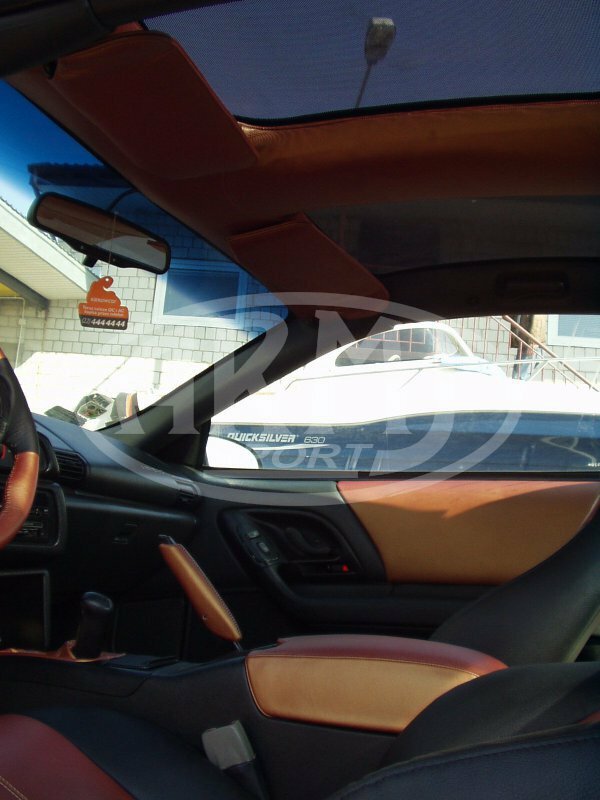 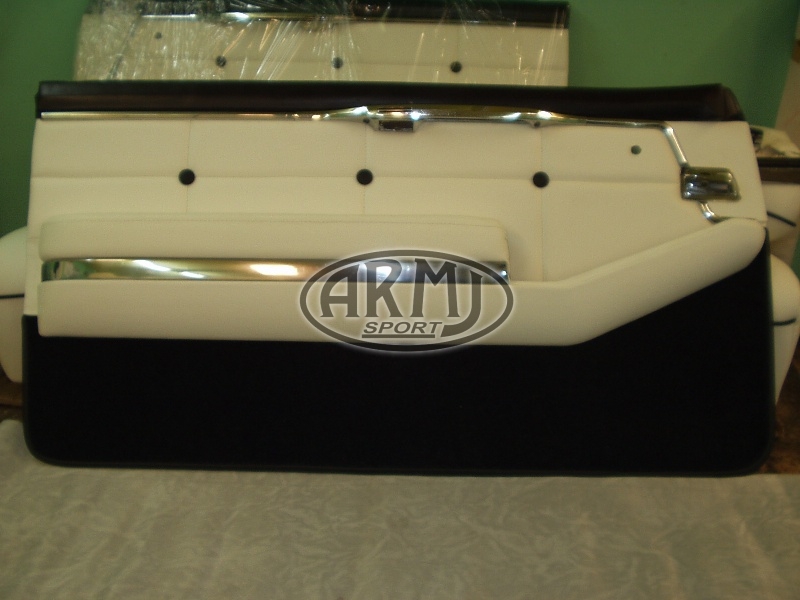 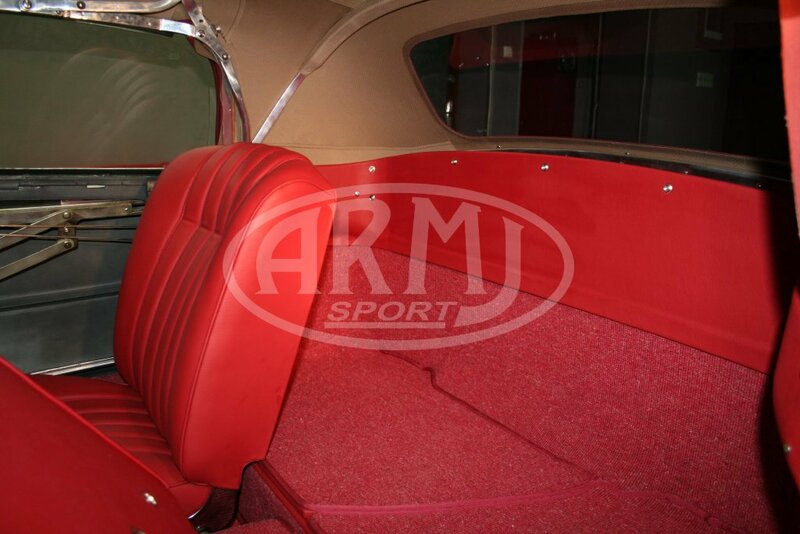 Make a complete upholstery (seats, door panels, floor mats, headliner) in the fabric of the original. 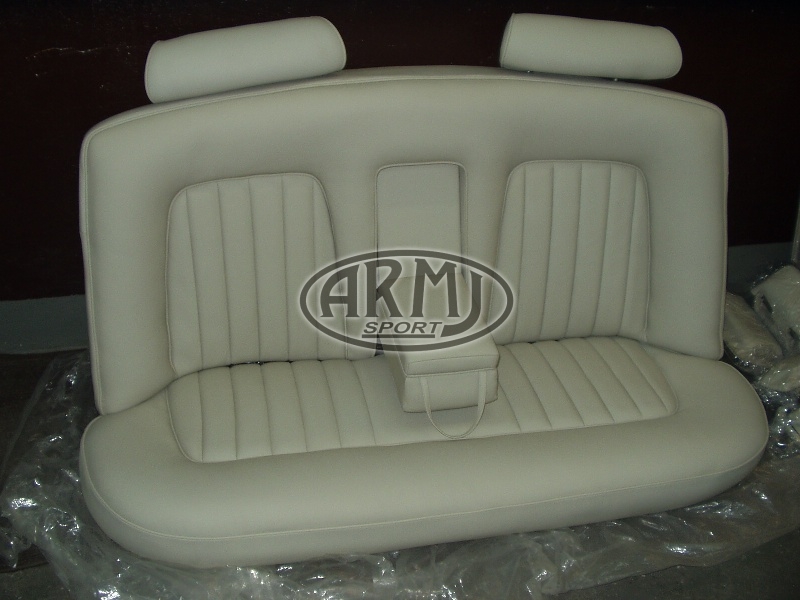 In this model, light leather was used to brighten the interior of the car. 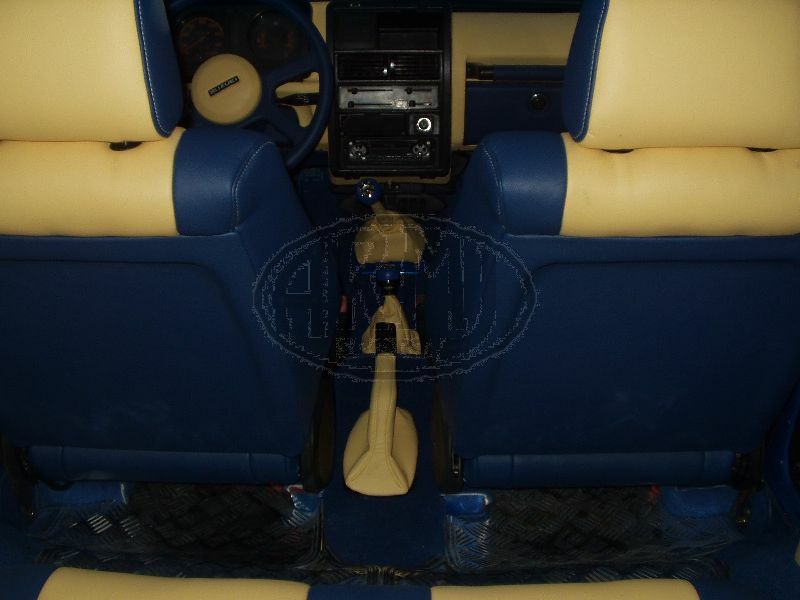 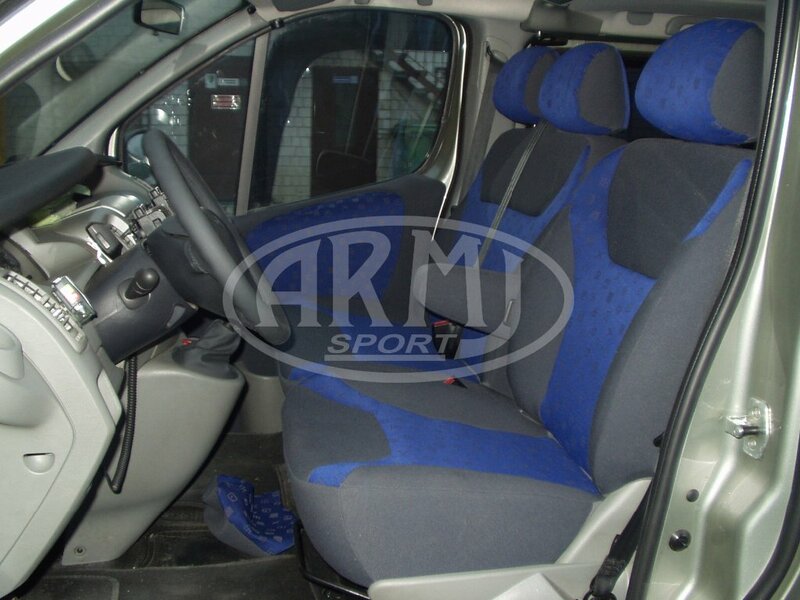 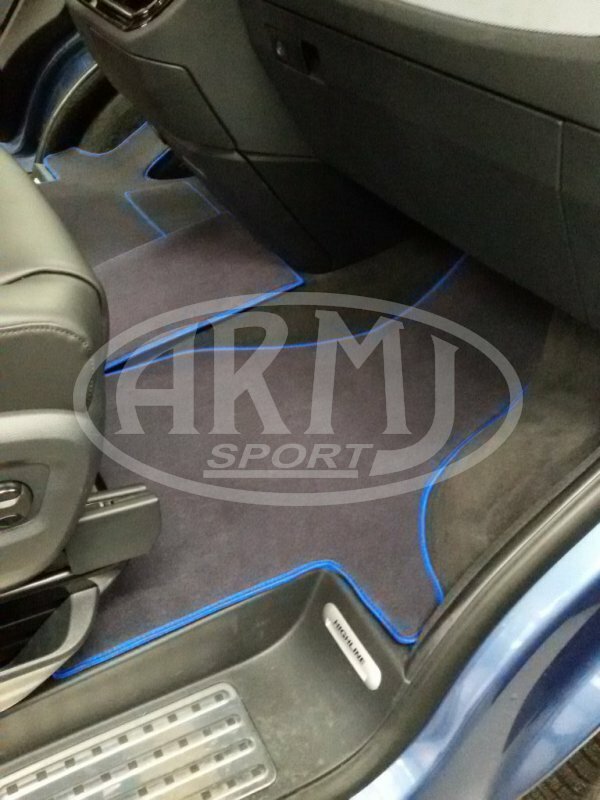 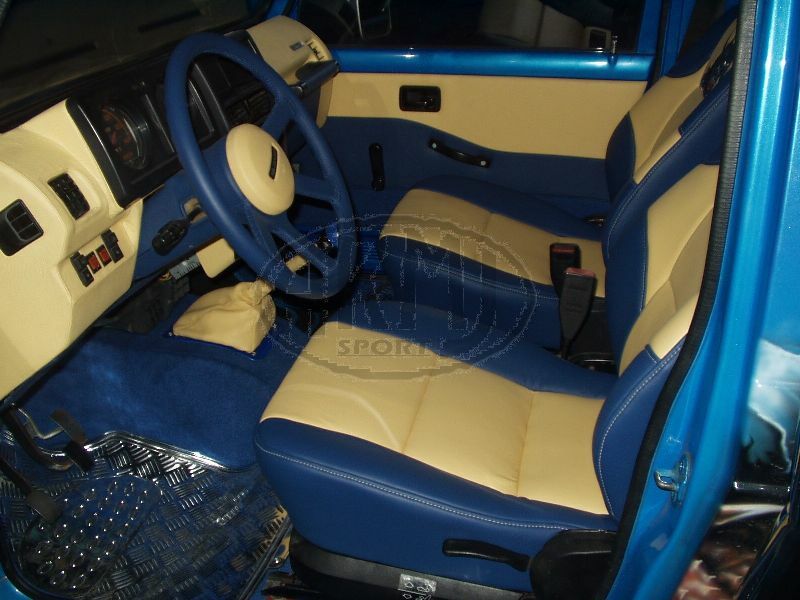 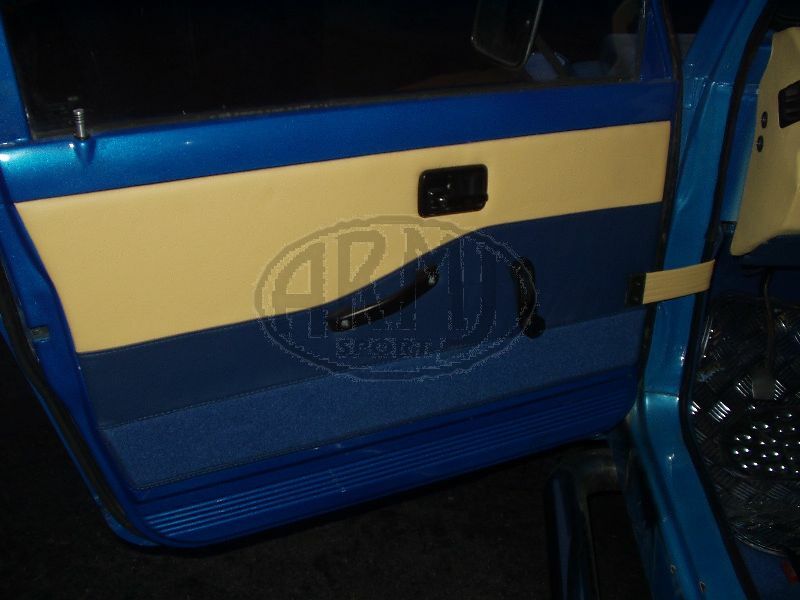 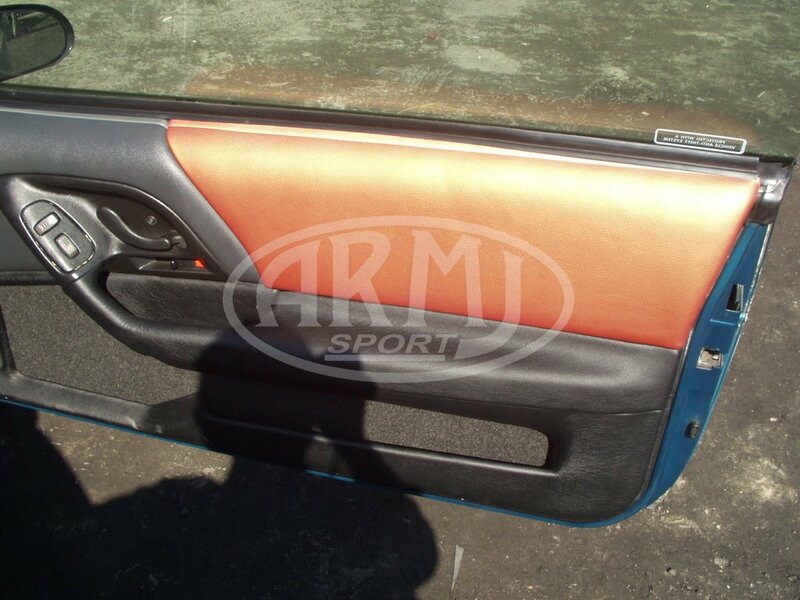 Light leather and blue alcantara in the color of the paint. 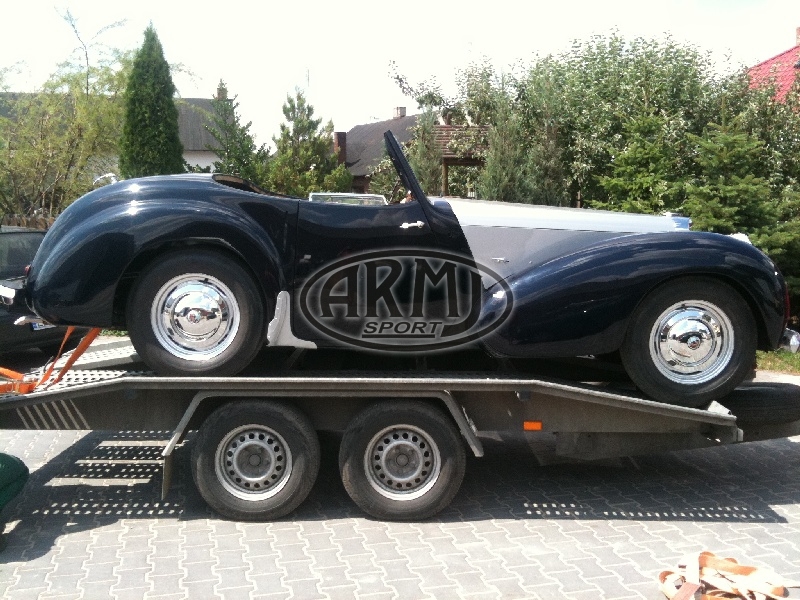 This was one of our first major projects - it was a big challenge. 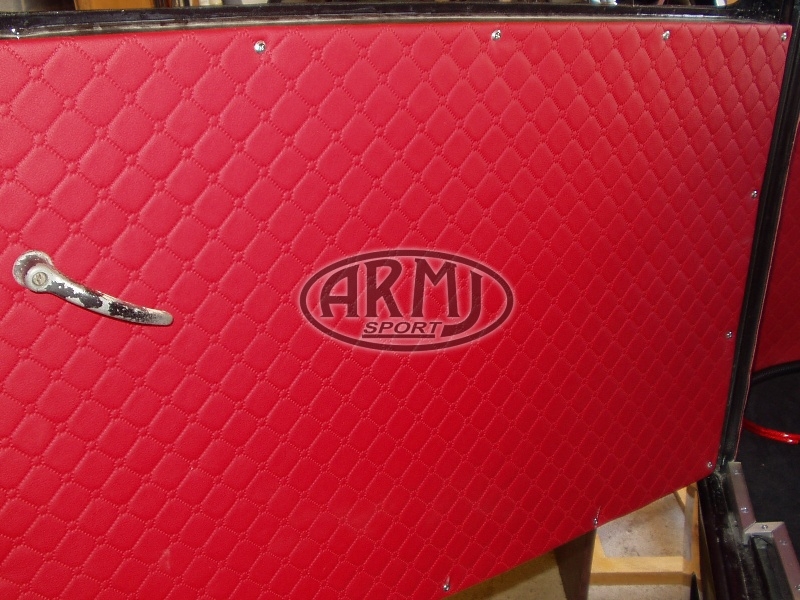 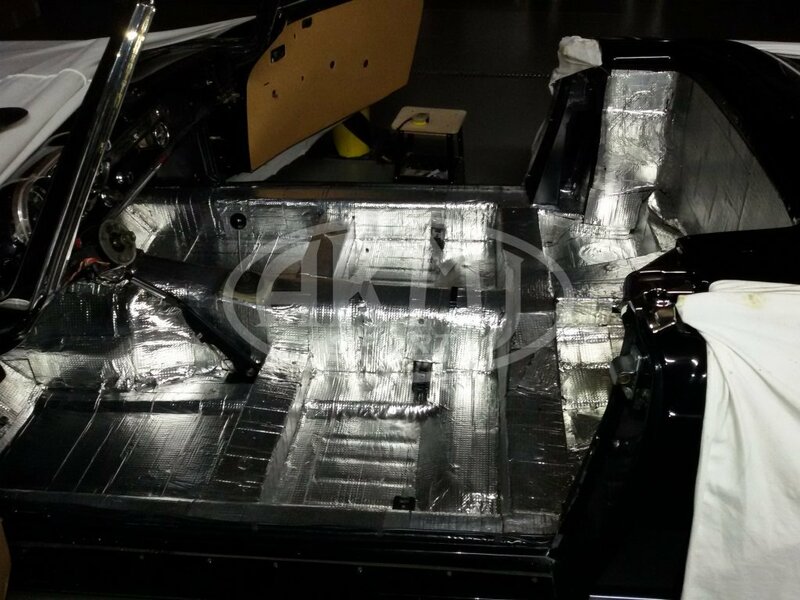 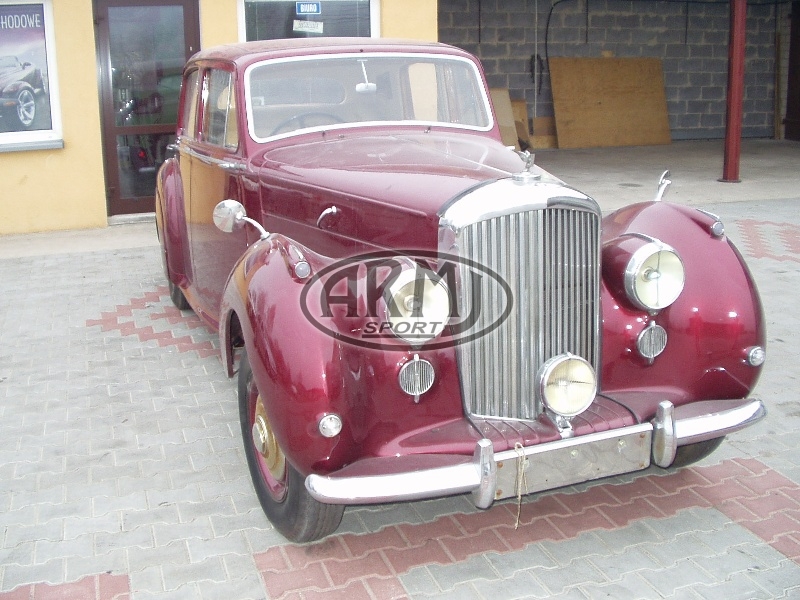 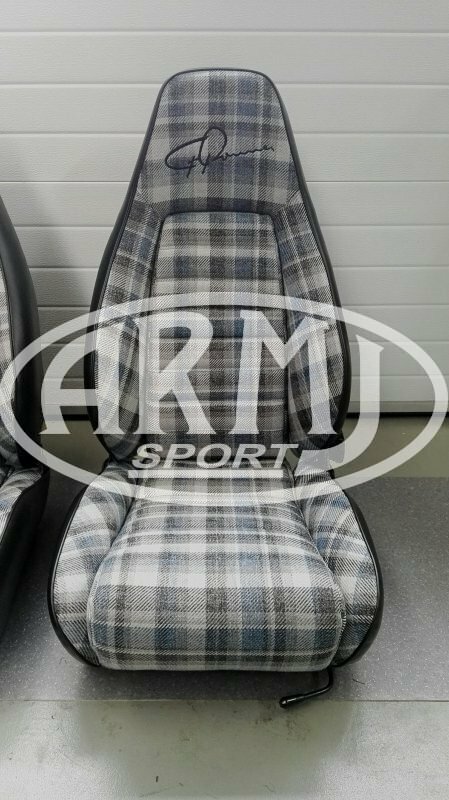 Making upholstery for these cars is time consuming and requires considerable skills. 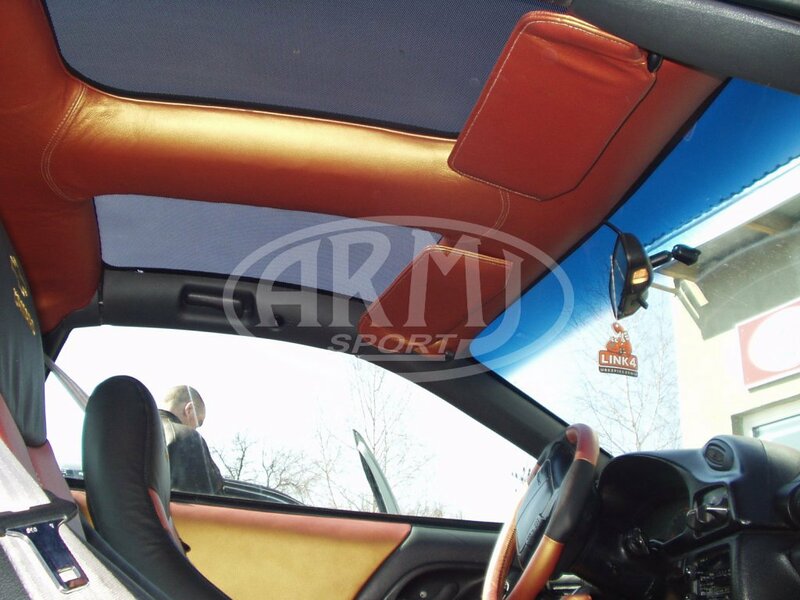 Trimming the car interior with natural nappa leather combined with flock. 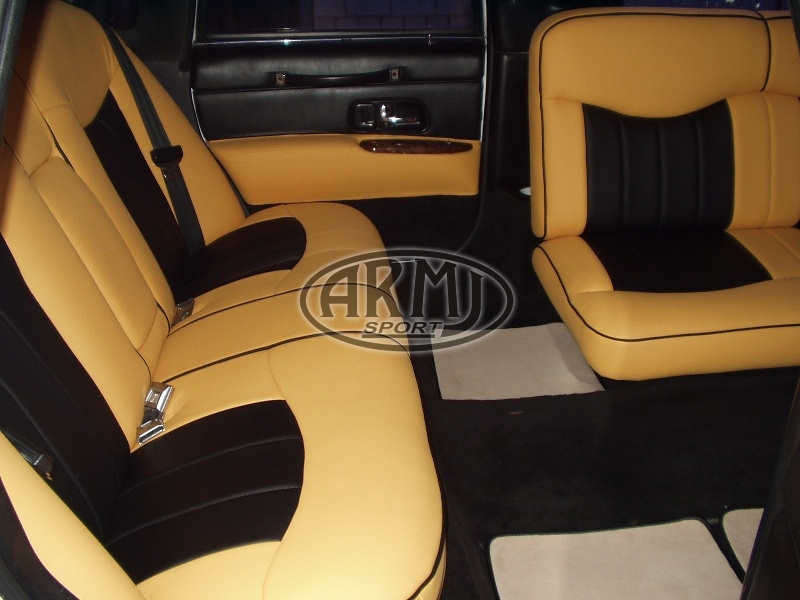 For this upholstery, leather in an unusual golden color was used. 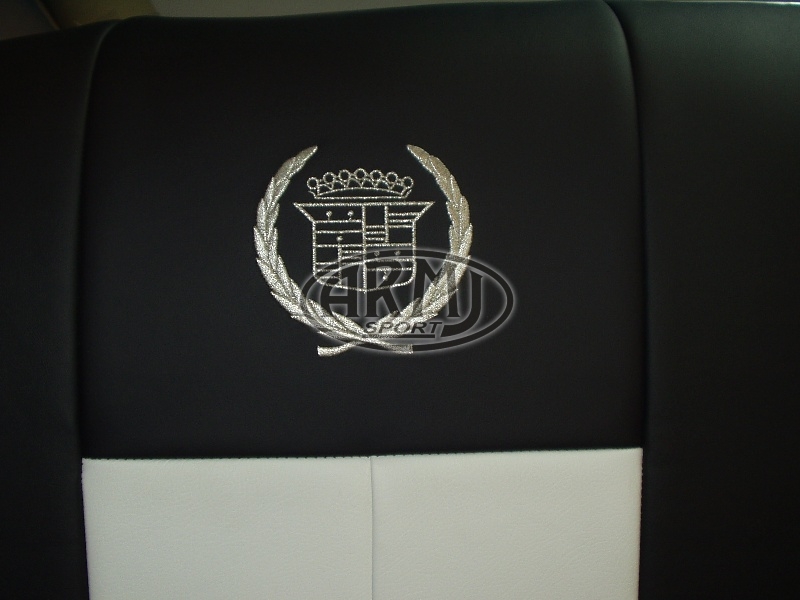 Complete execution of interior fabrics of the original. 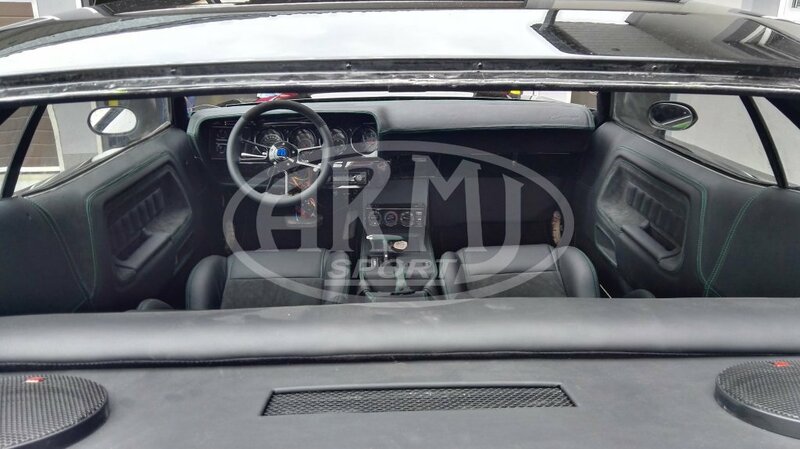 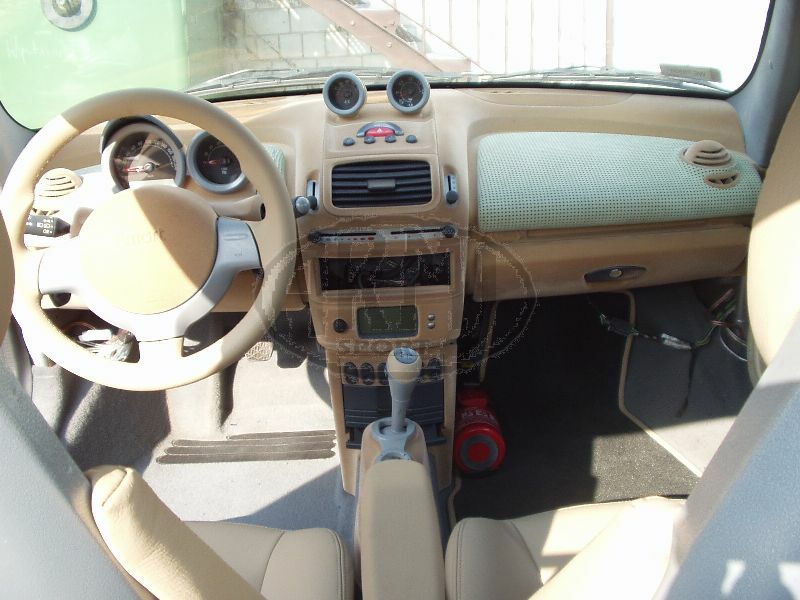 The car interior, i.e. 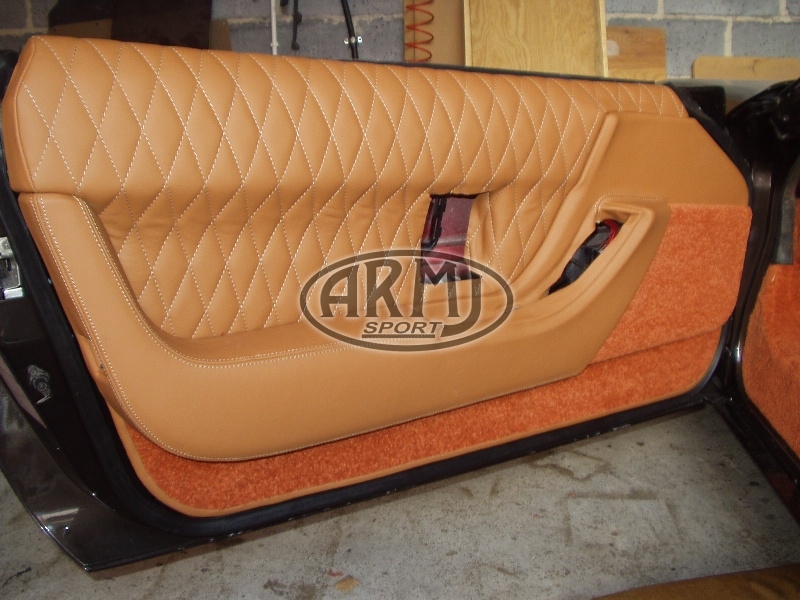 the seats and door cover, trimmed with whole and perforated natural leather. 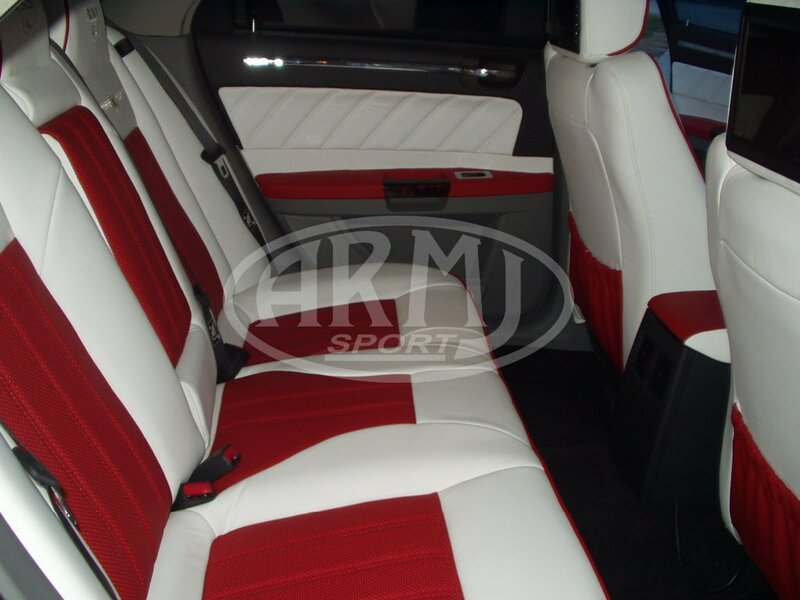 Leather color changed from red to reddish and diamond stitching added. 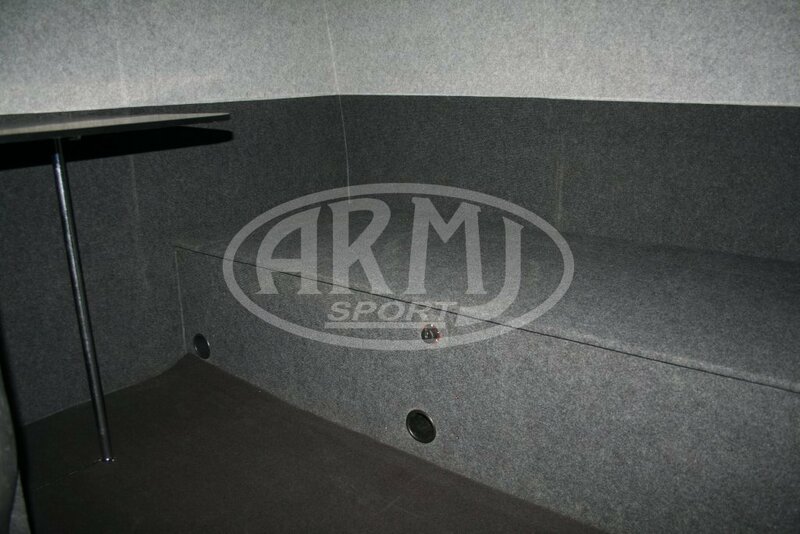 Dashboard, back of the seats and the tunnel covered with flock. 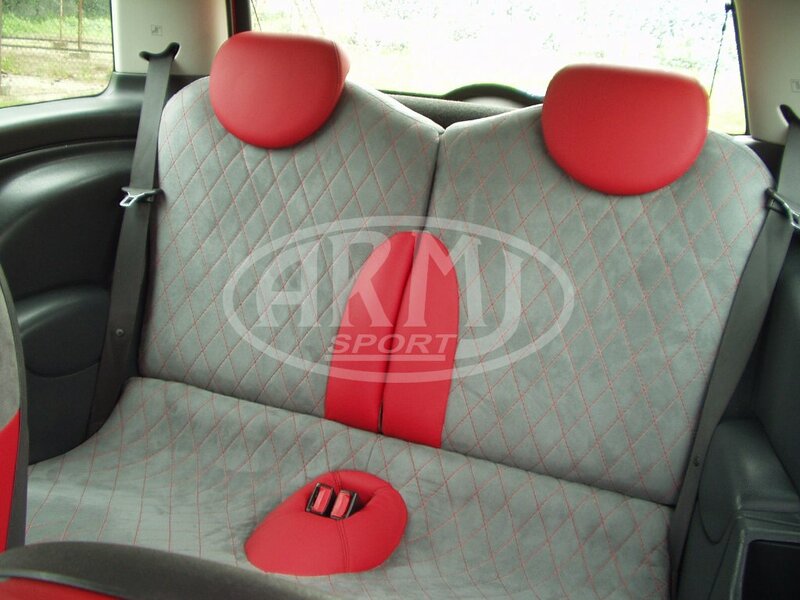 The whole upholstery is made in the skin and alcantarze. 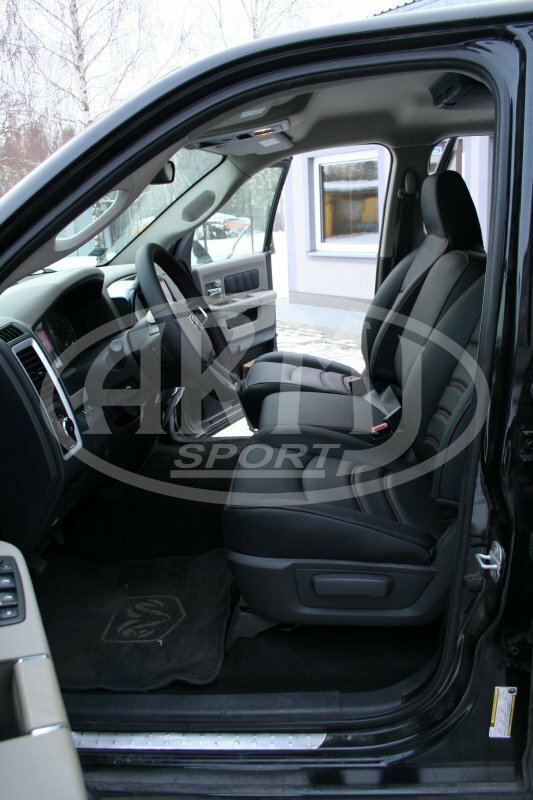 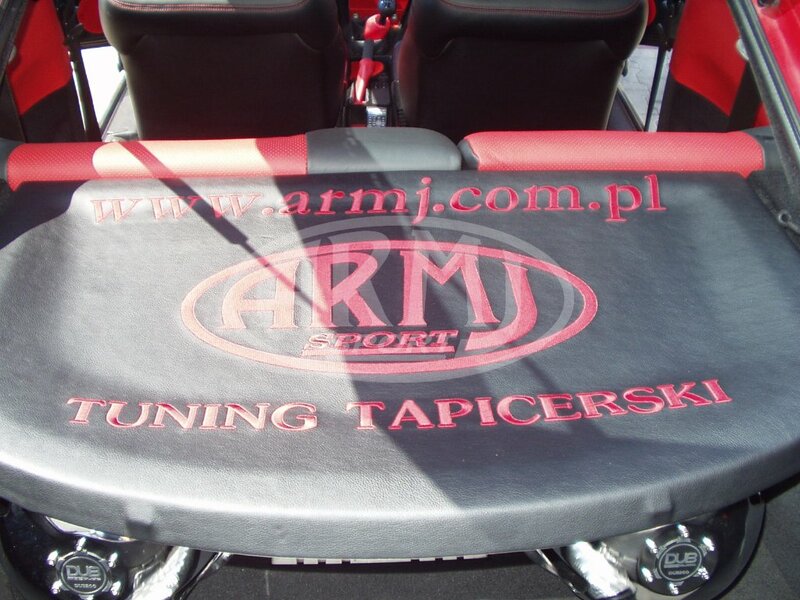 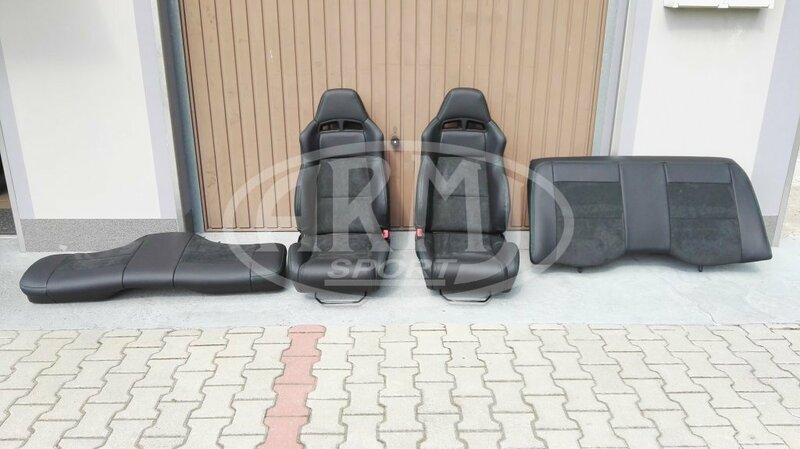 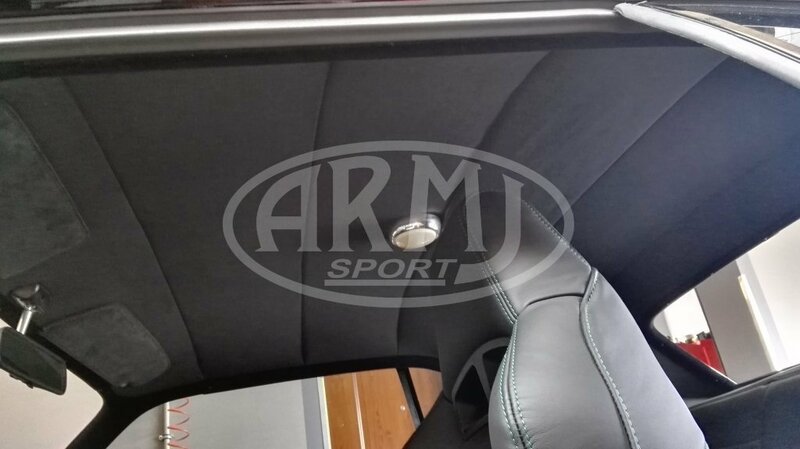 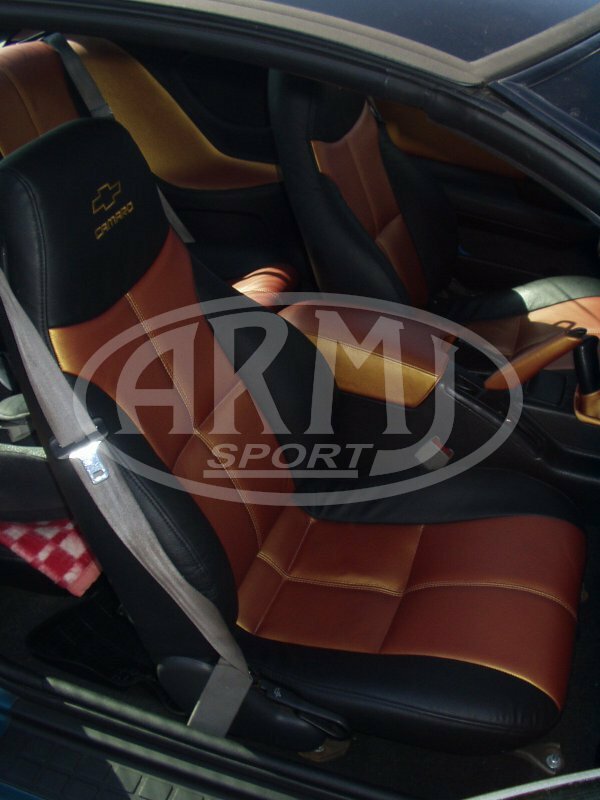 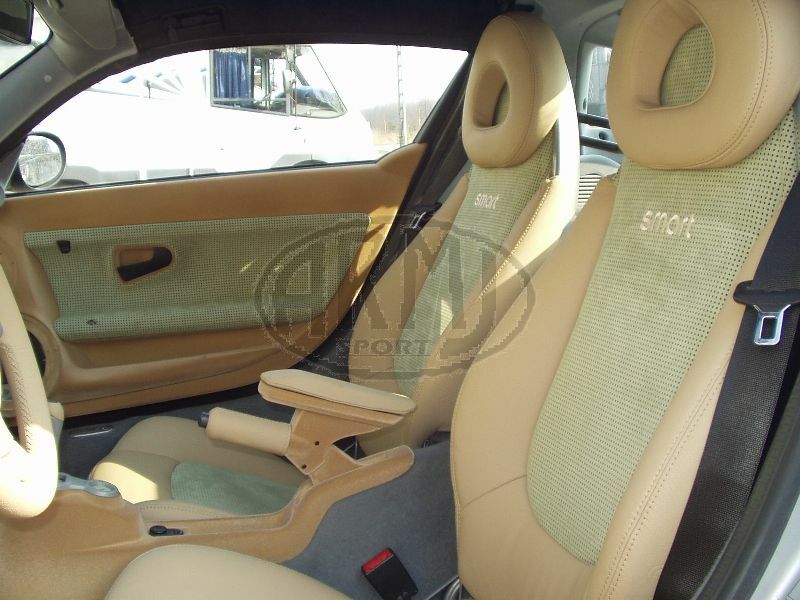 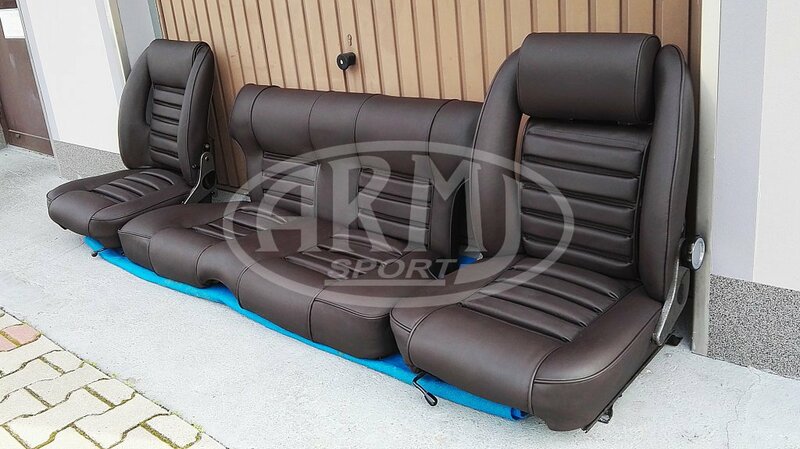 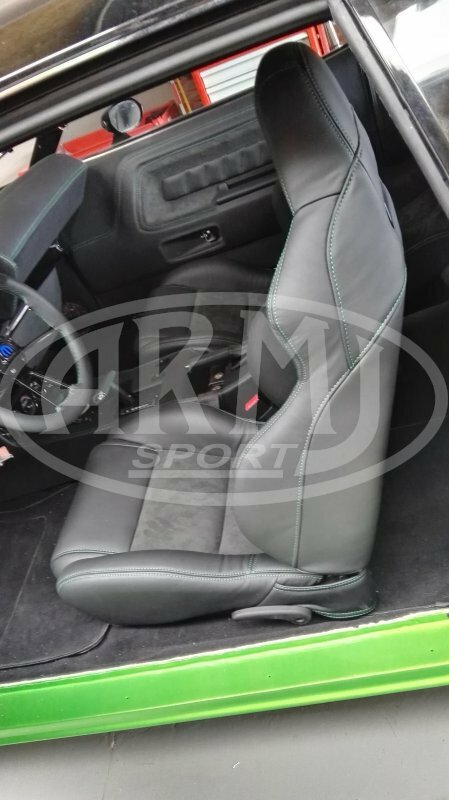 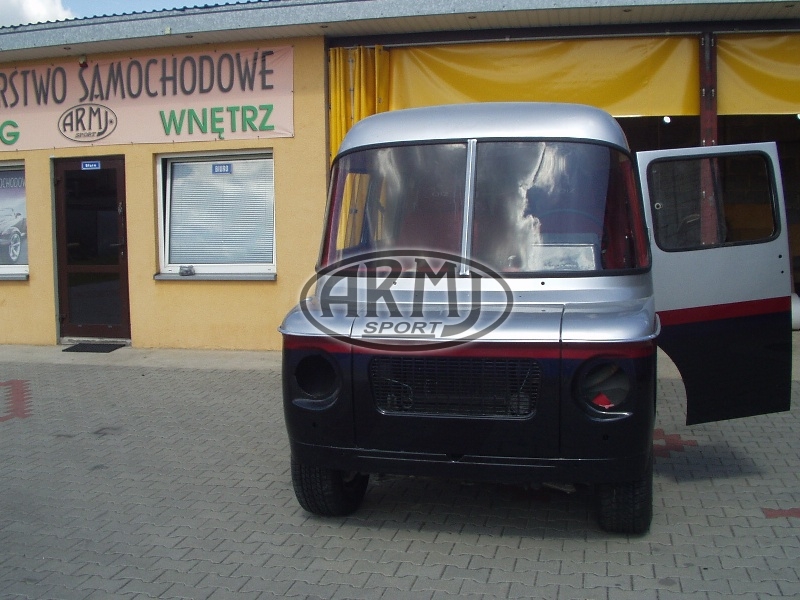 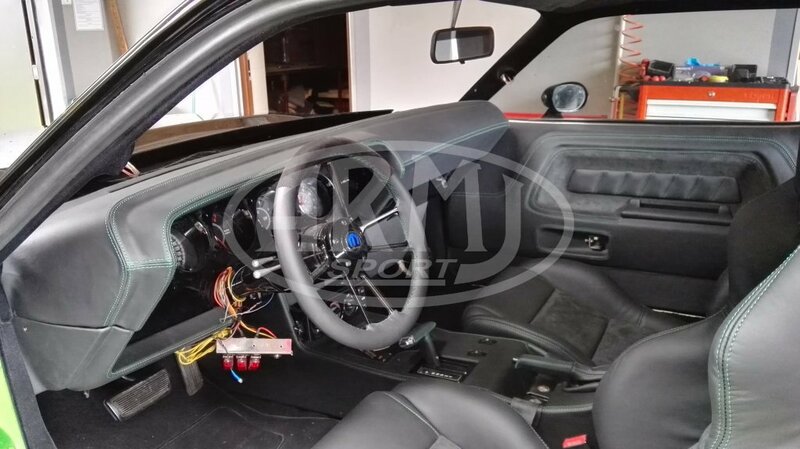 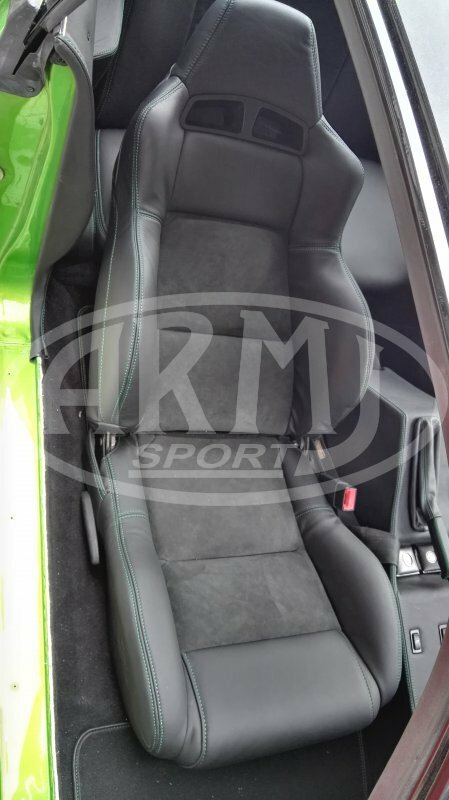 This project was made processing rack seats under a new shape, wrapping the whole seat with armrest in leather with Alcantara, the dashboard is made in the skin, the service made ​​on the basis of a draft made ​​by Wojciech Sielczak. 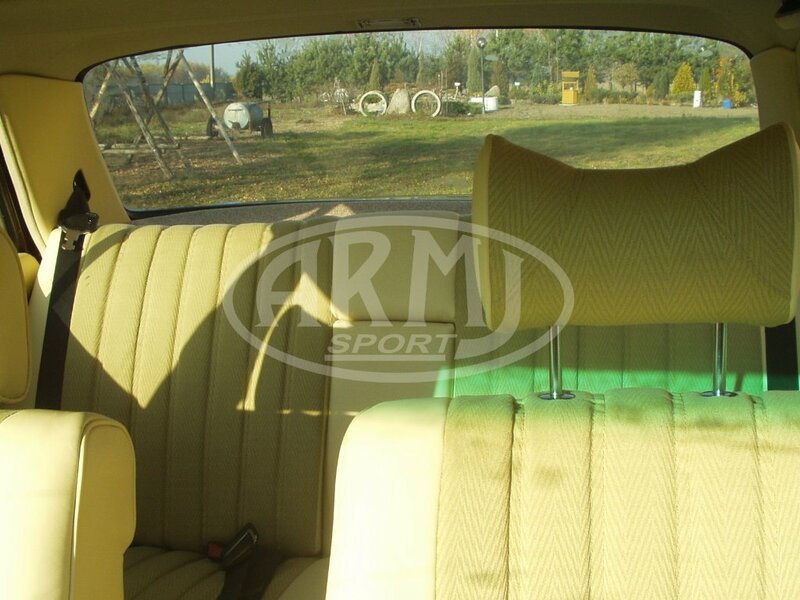 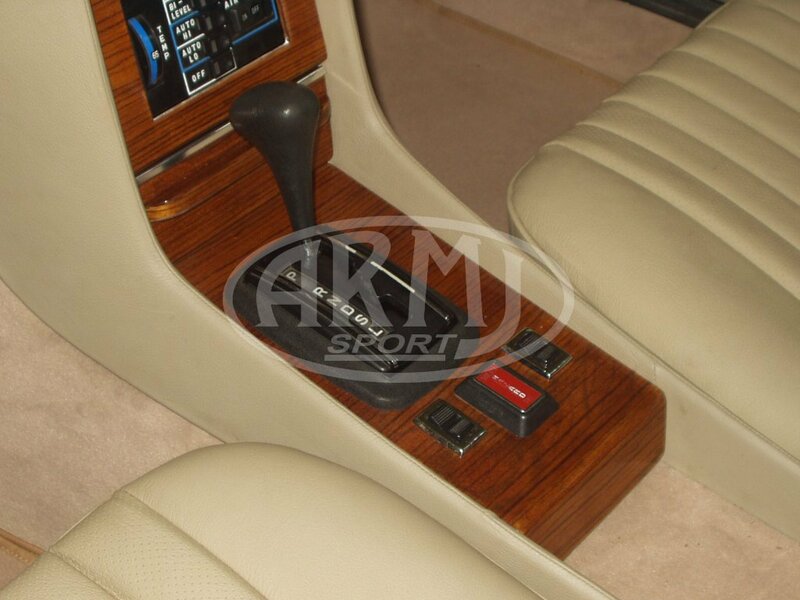 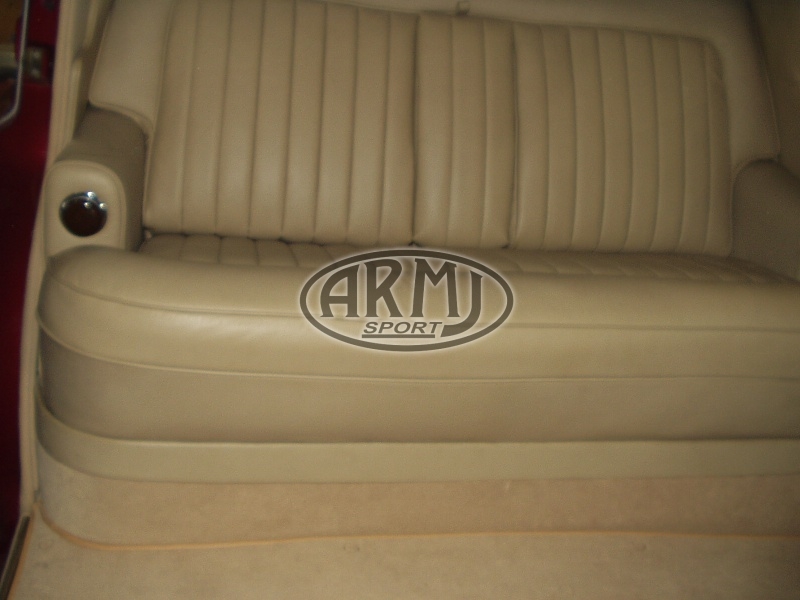 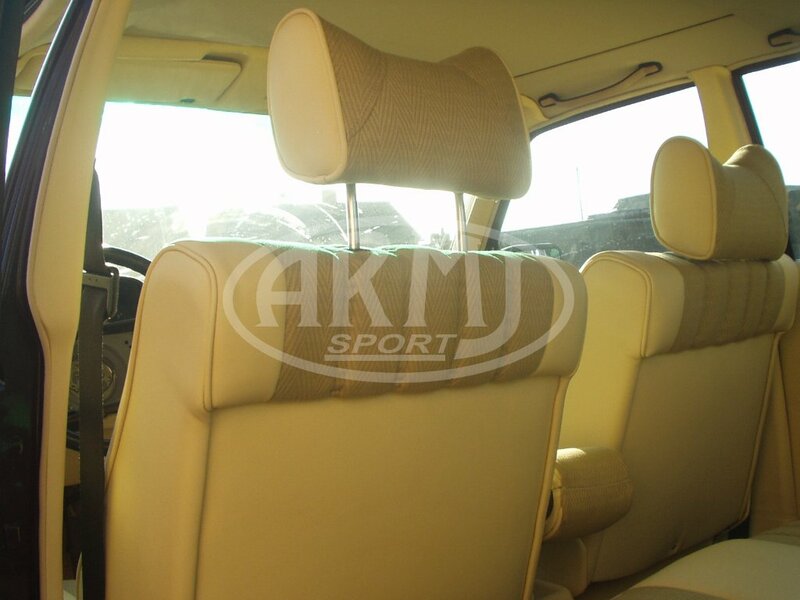 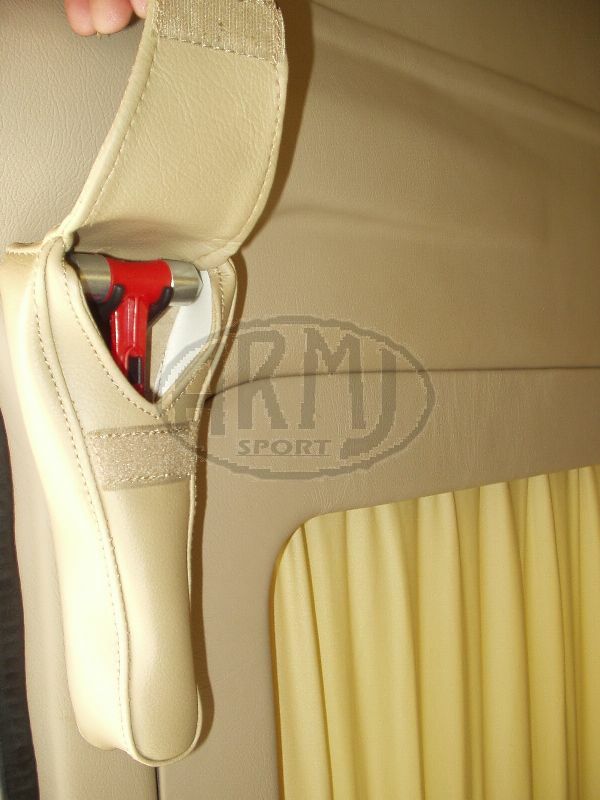 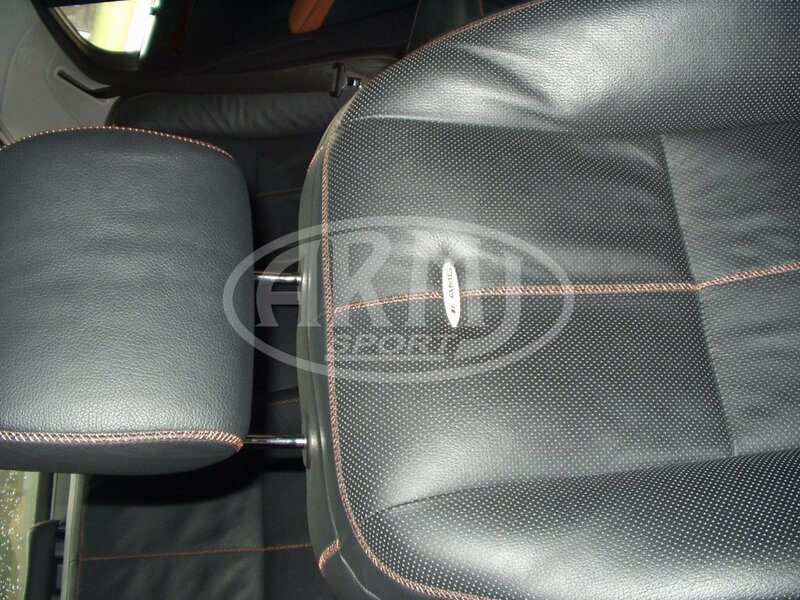 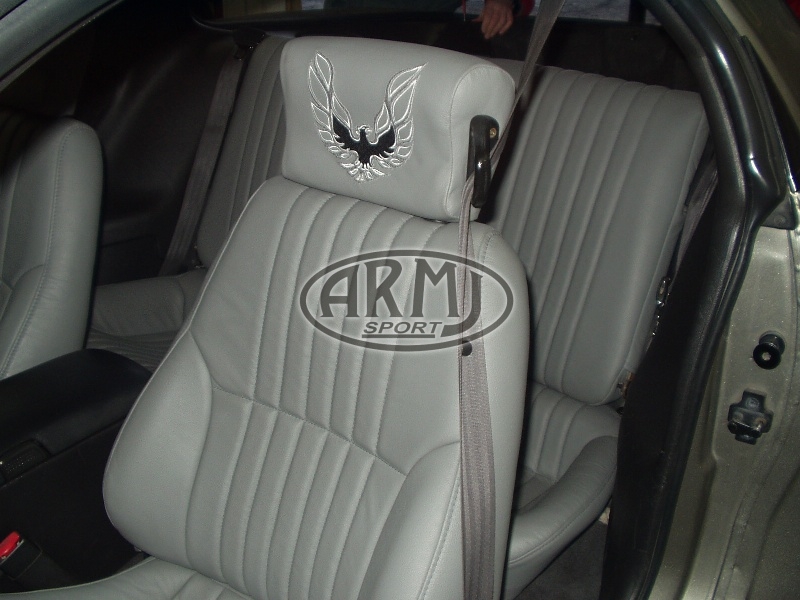 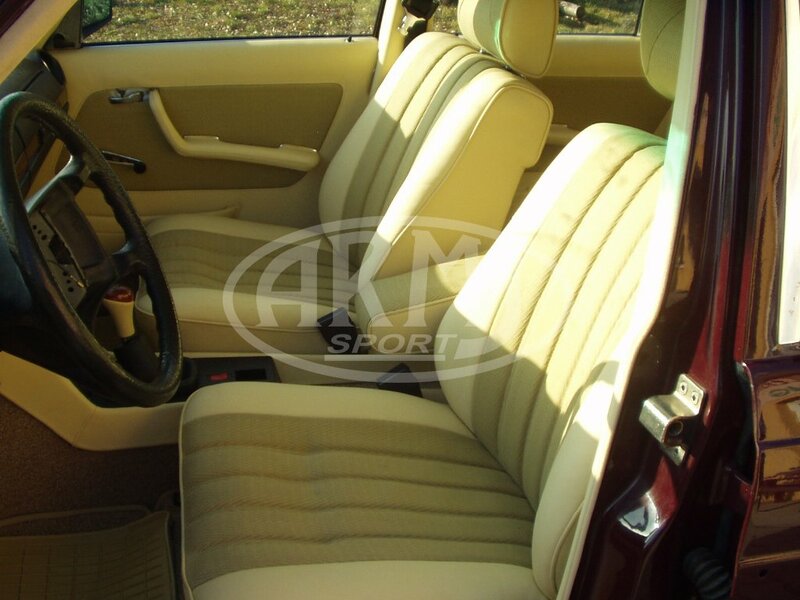 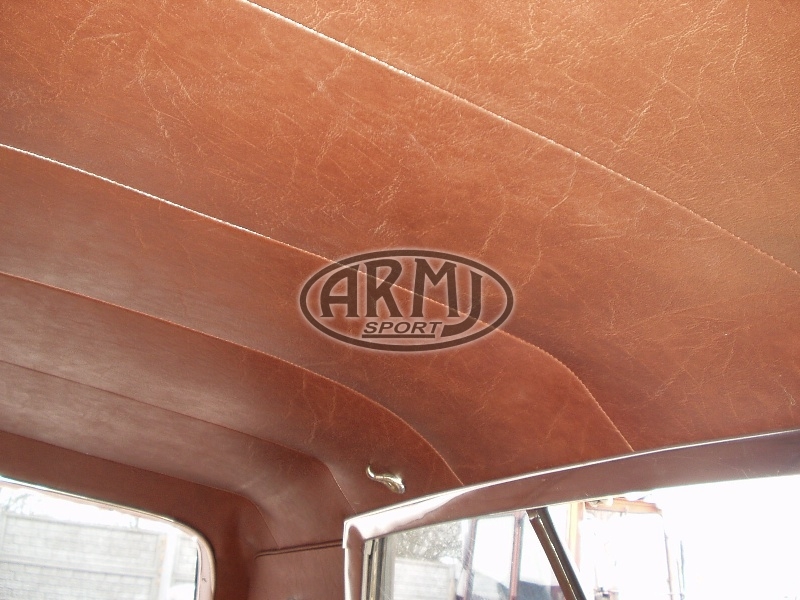 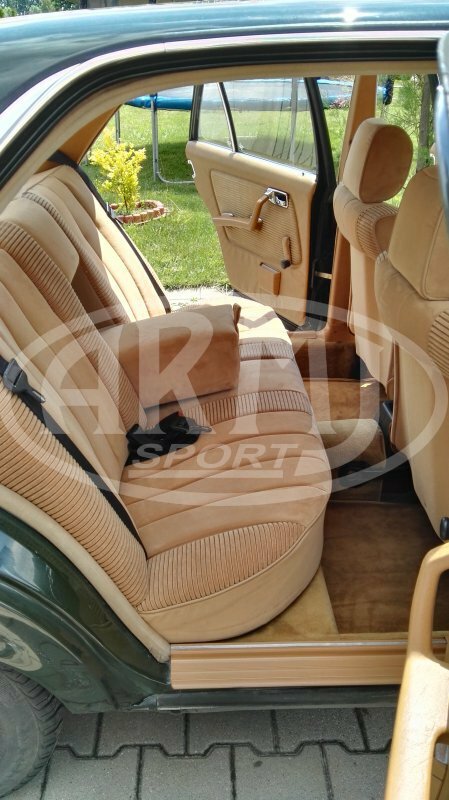 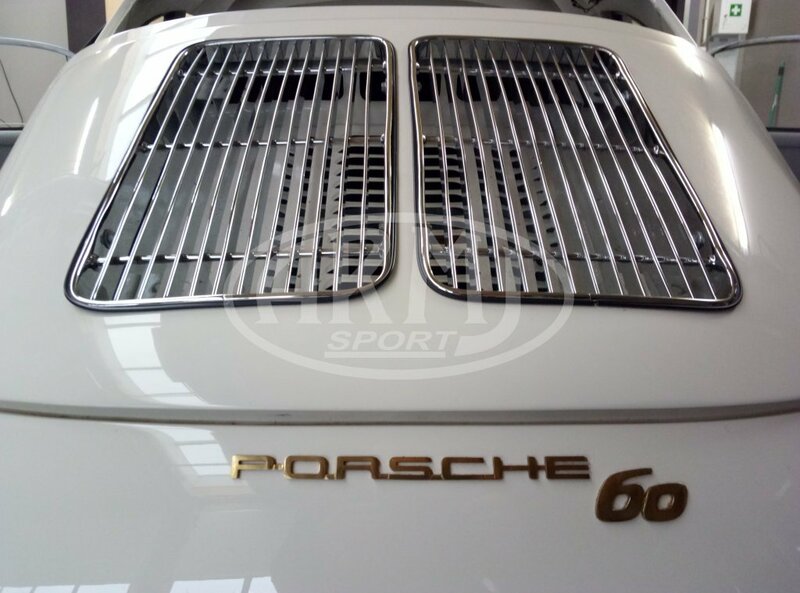 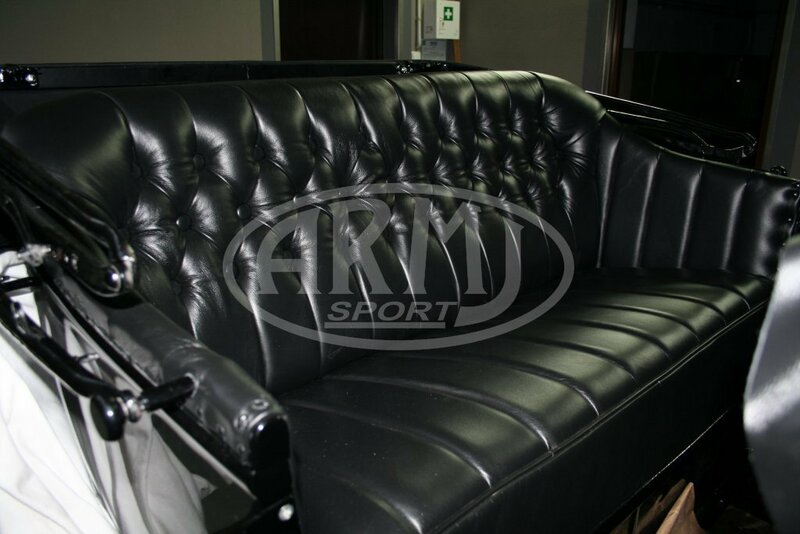 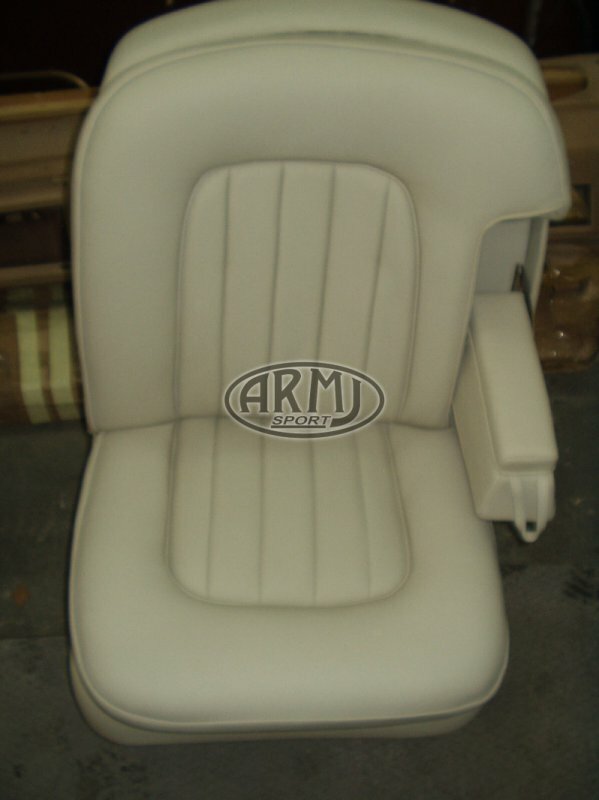 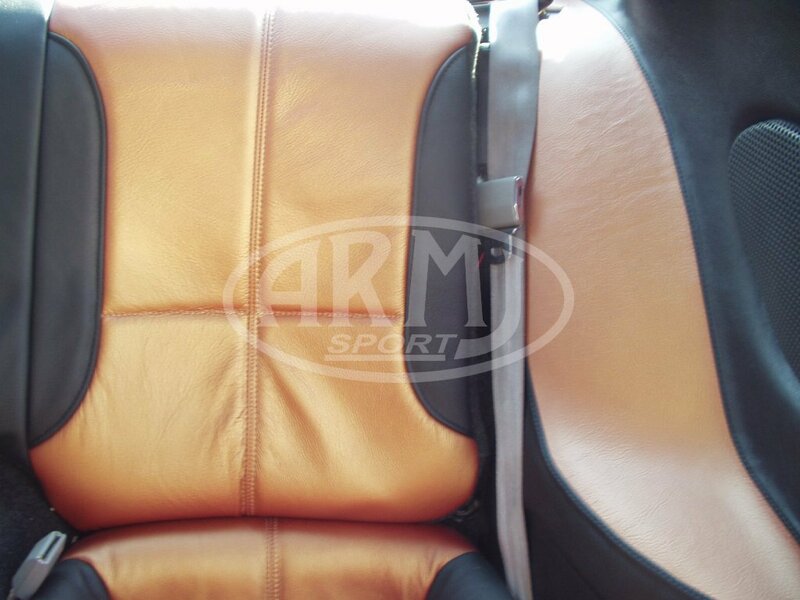 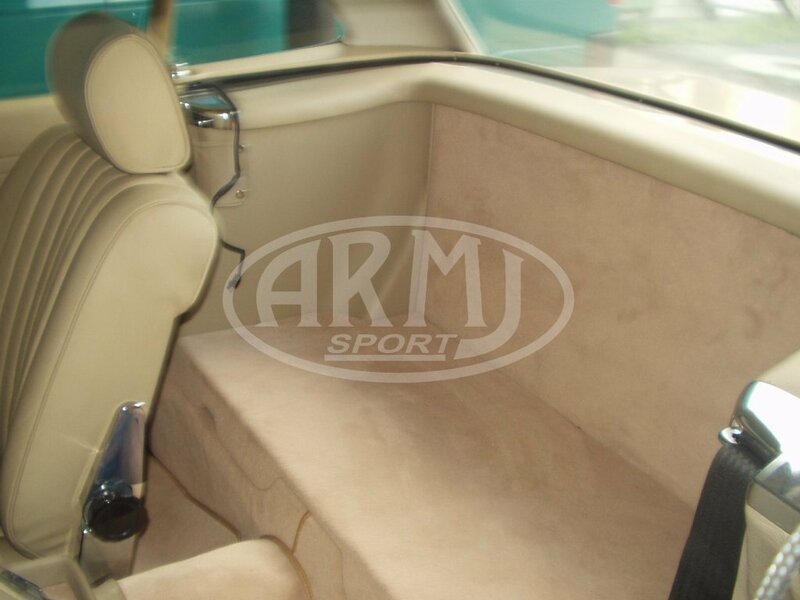 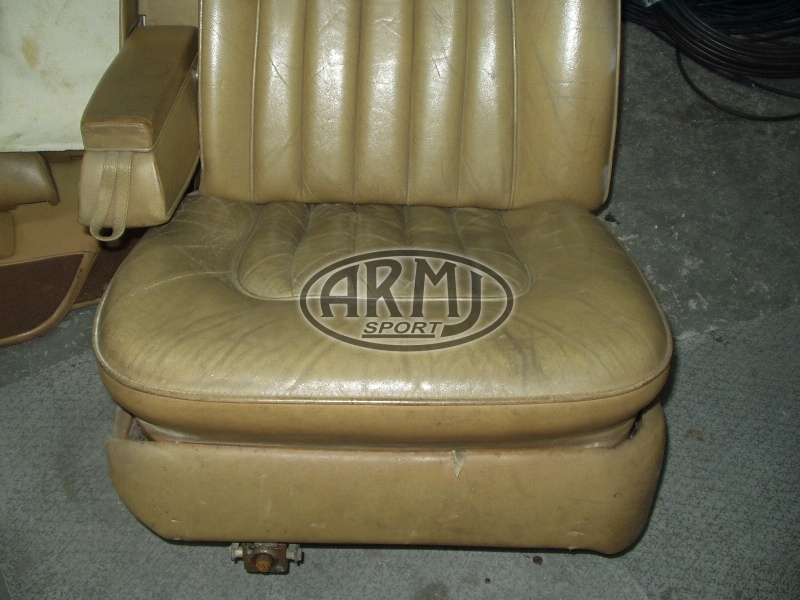 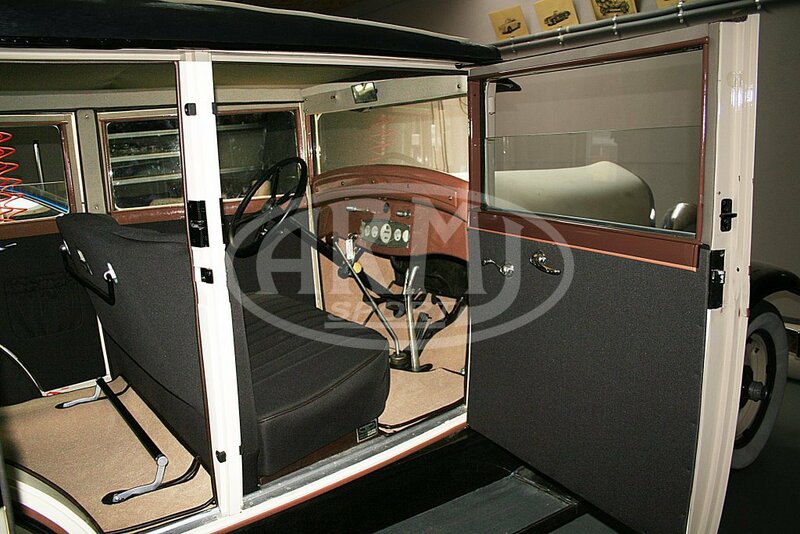 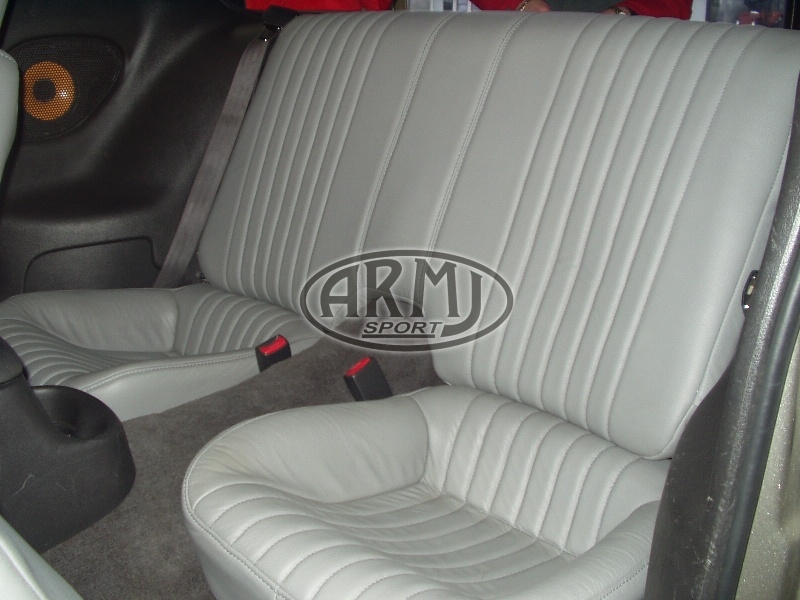 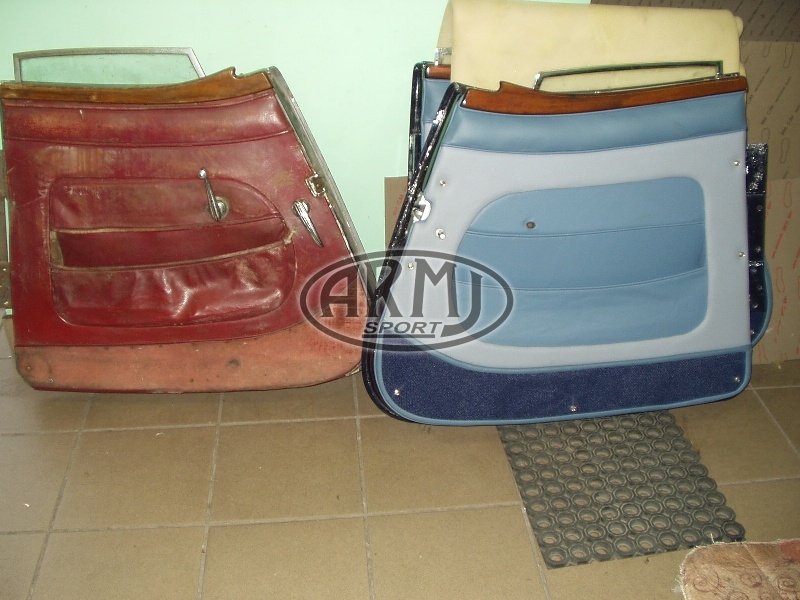 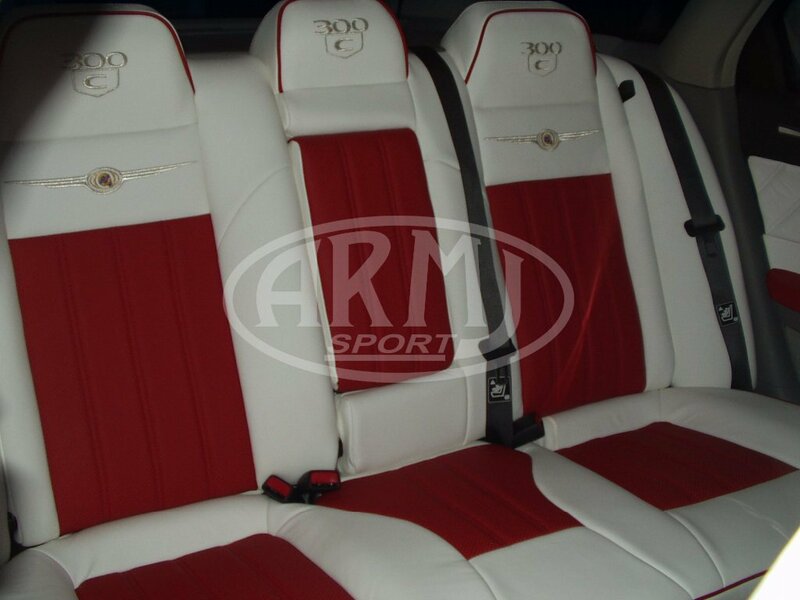 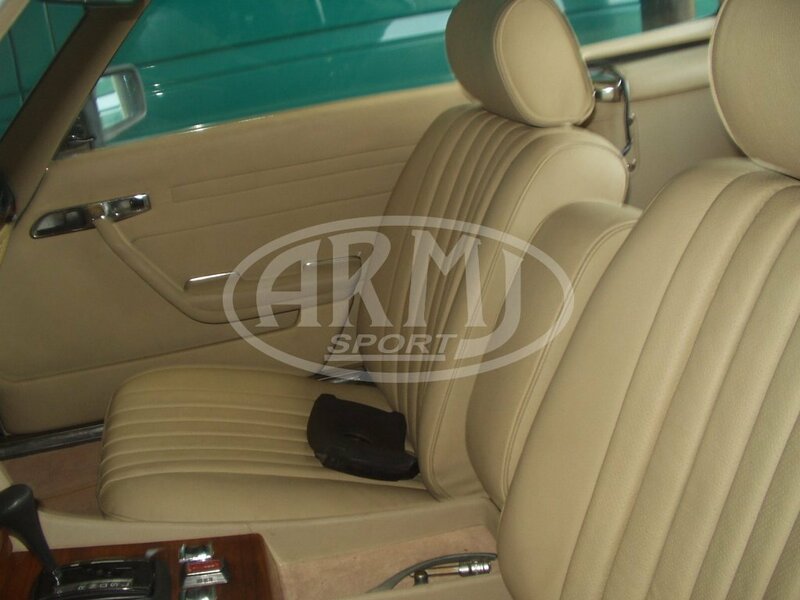 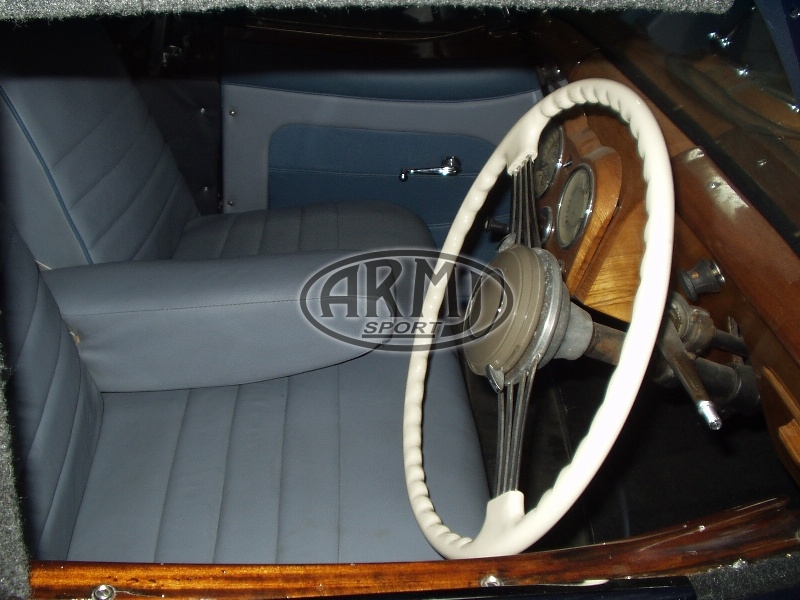 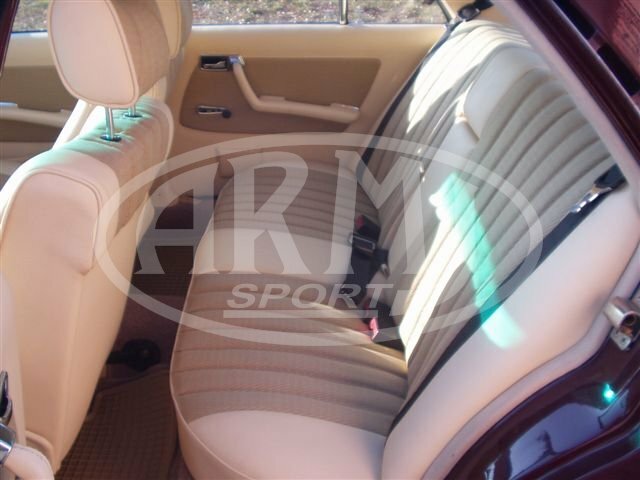 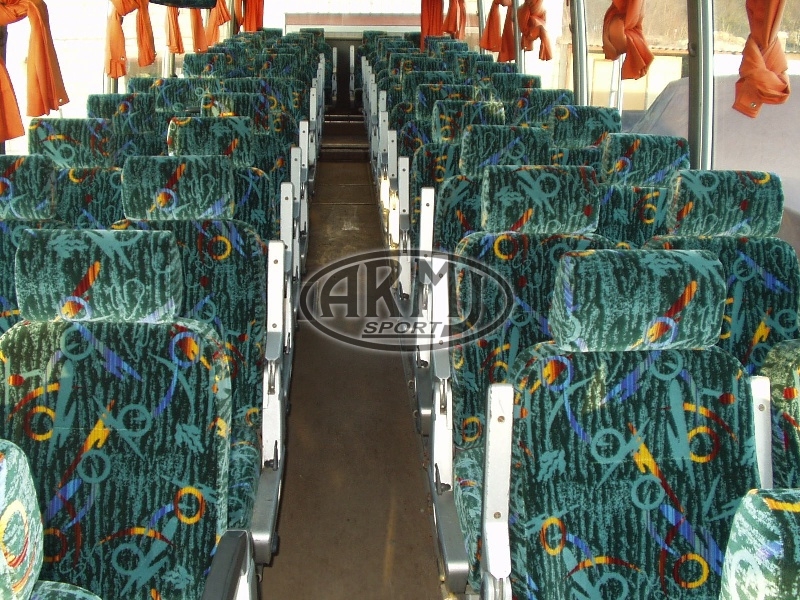 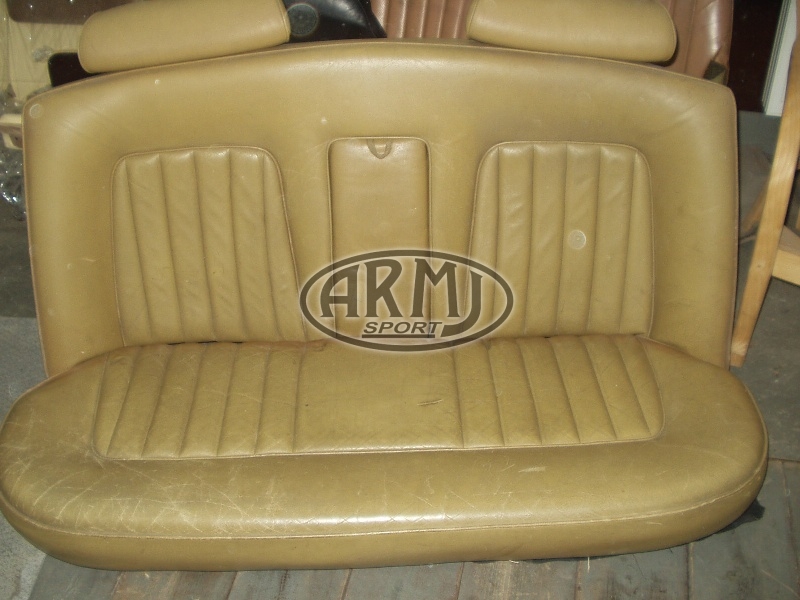 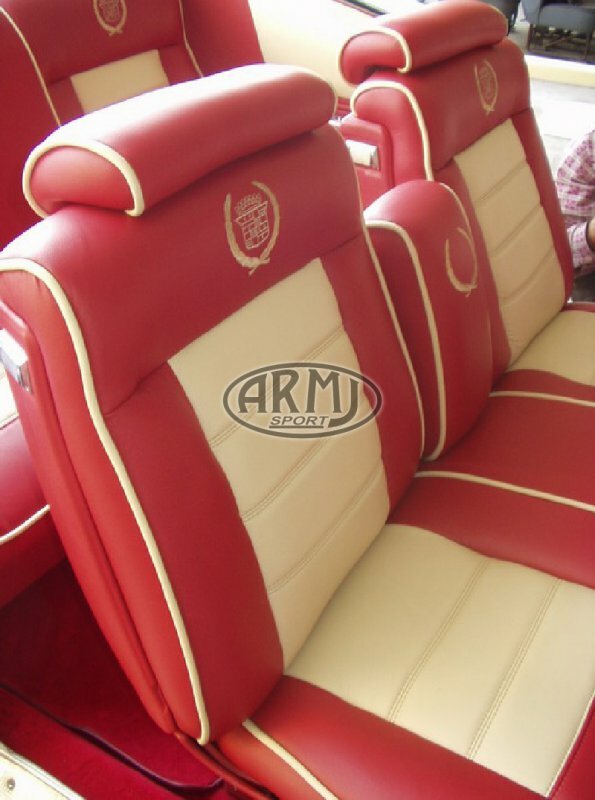 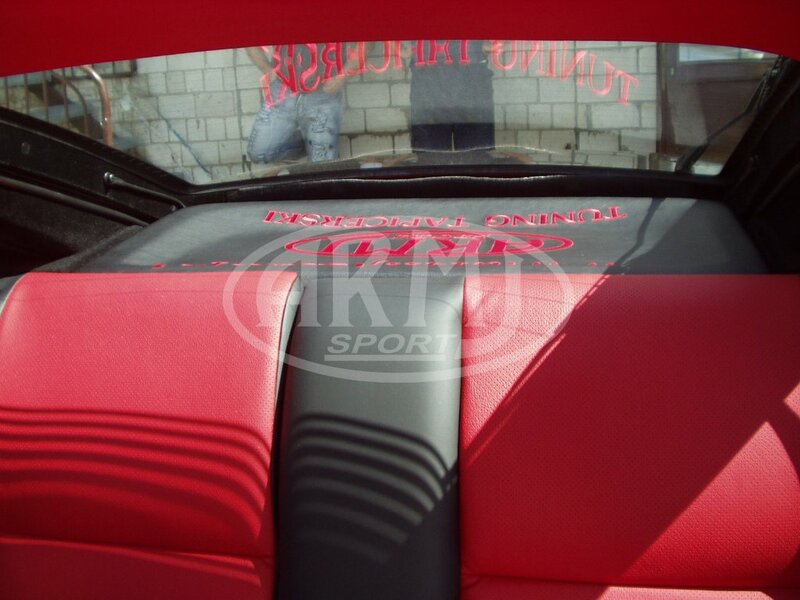 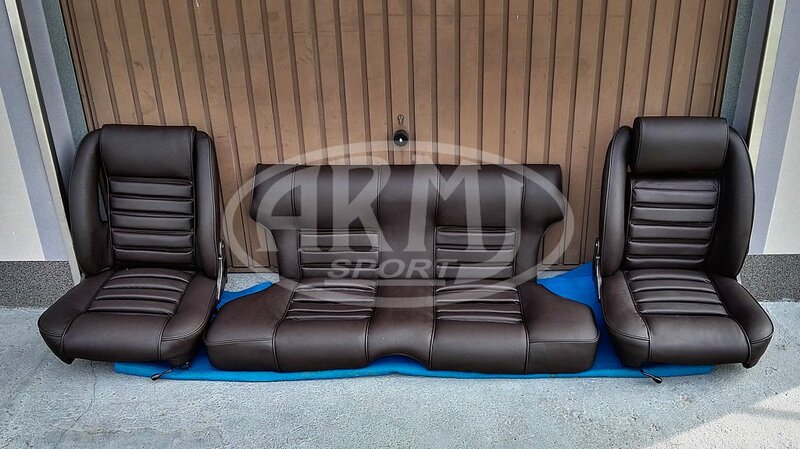 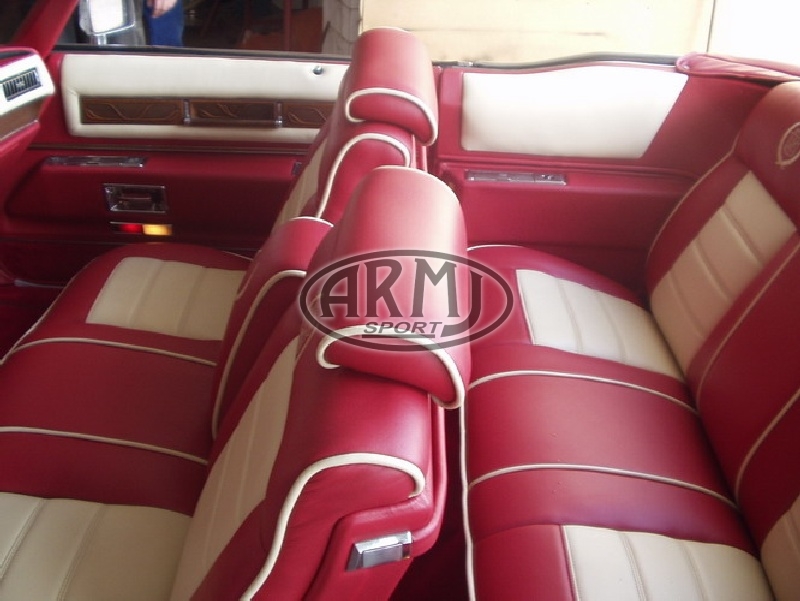 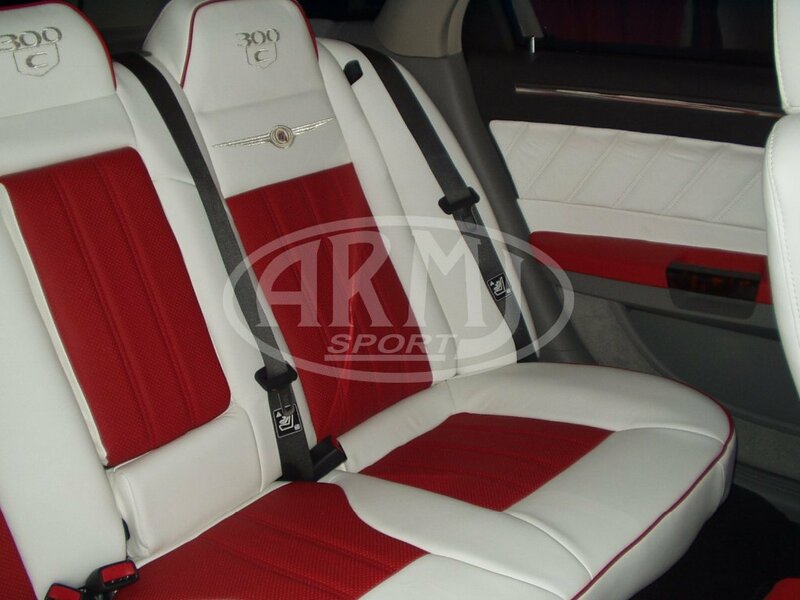 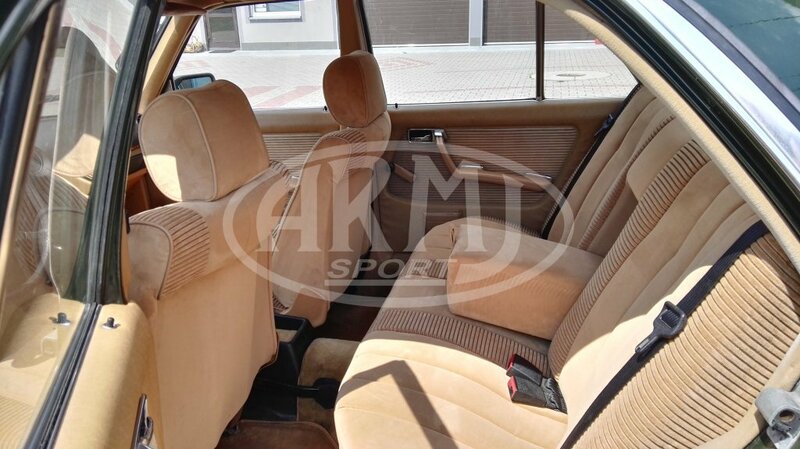 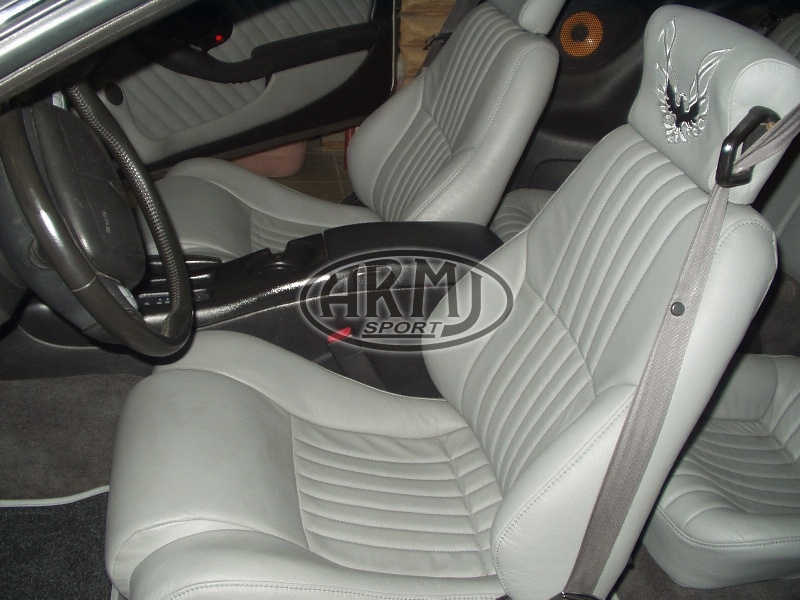 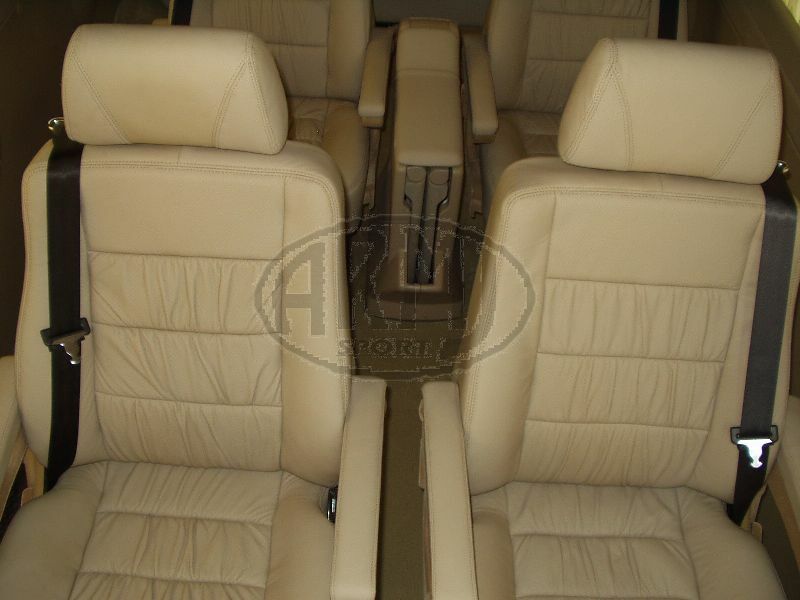 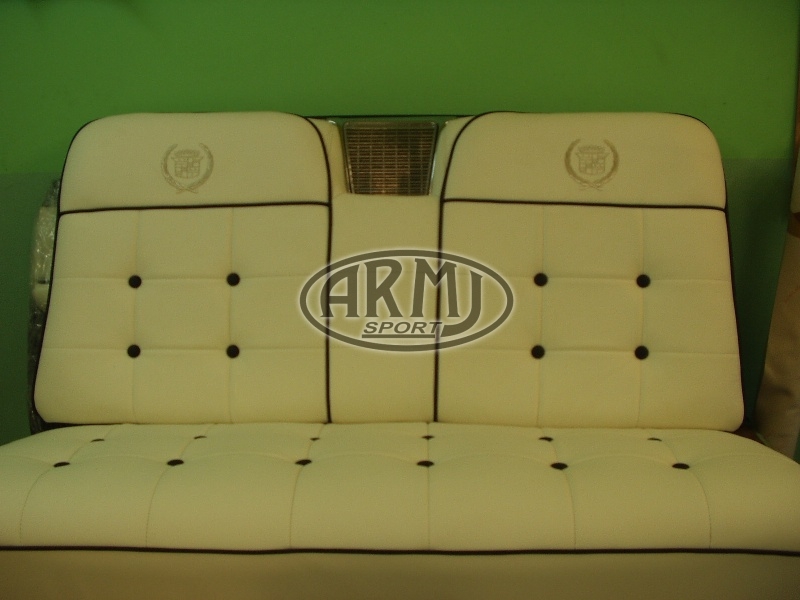 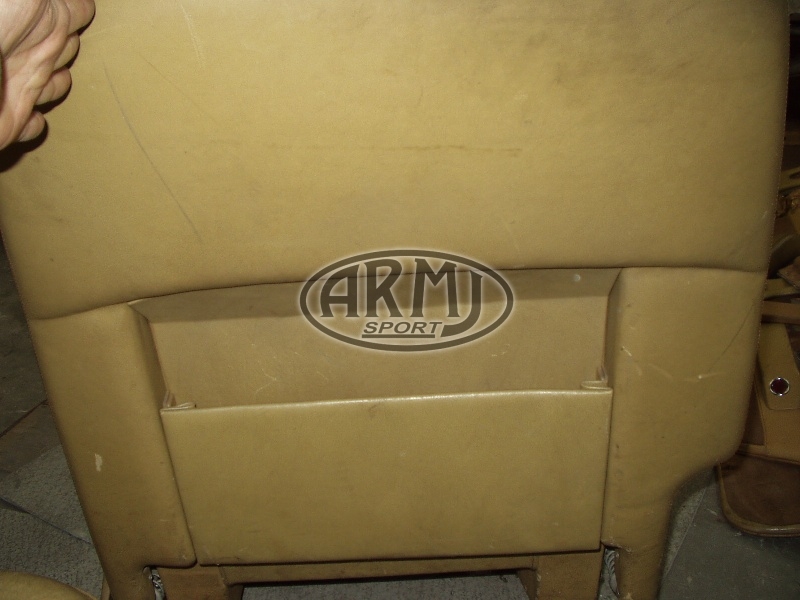 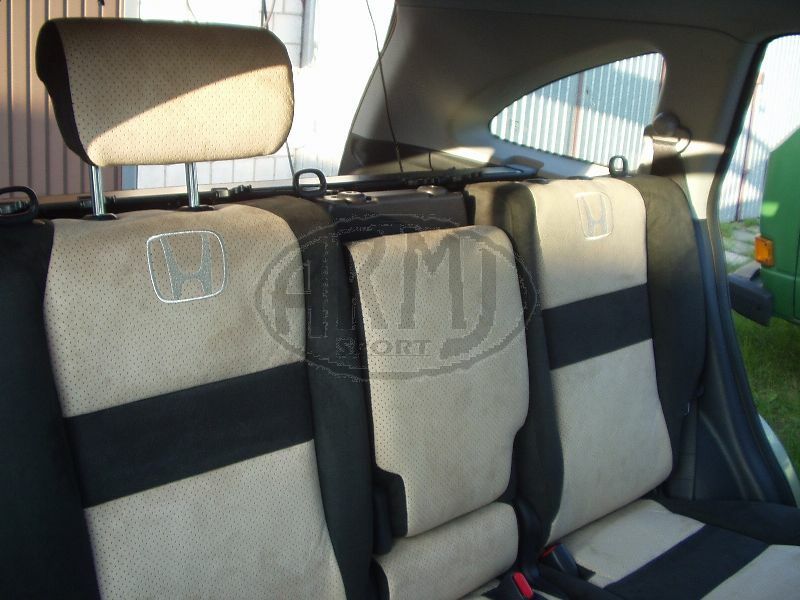 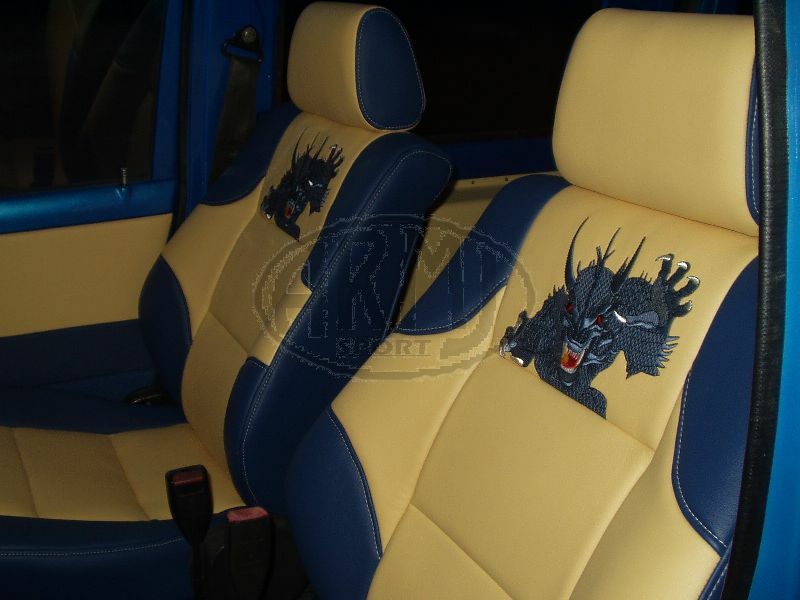 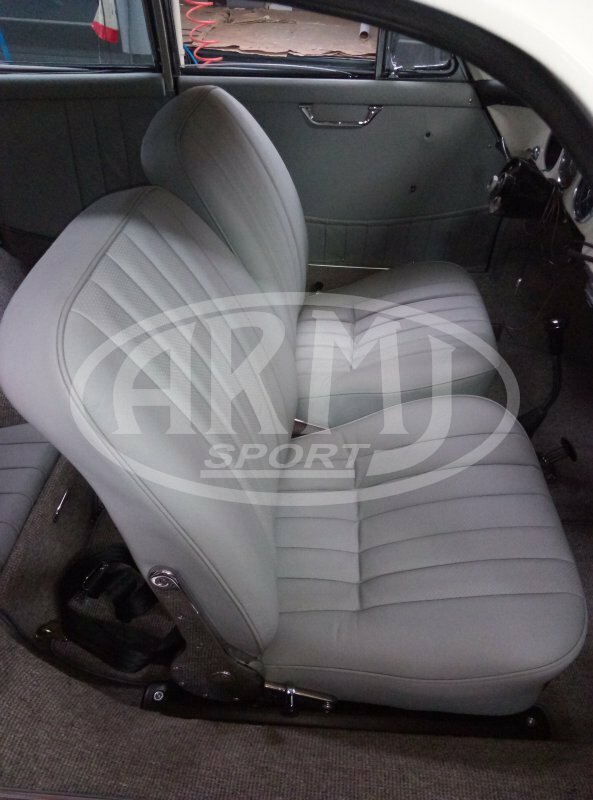 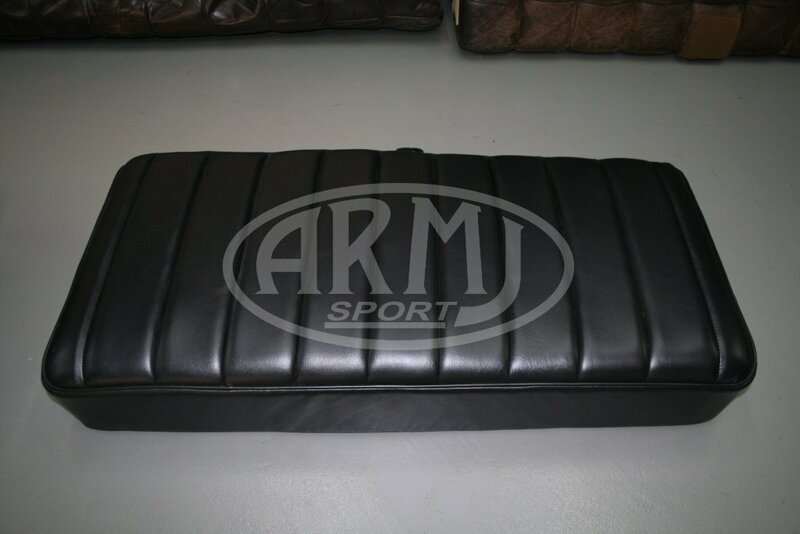 Originally, the seats were trimmed with artificial leather, replaced with genuine leather, embroidery was also added. 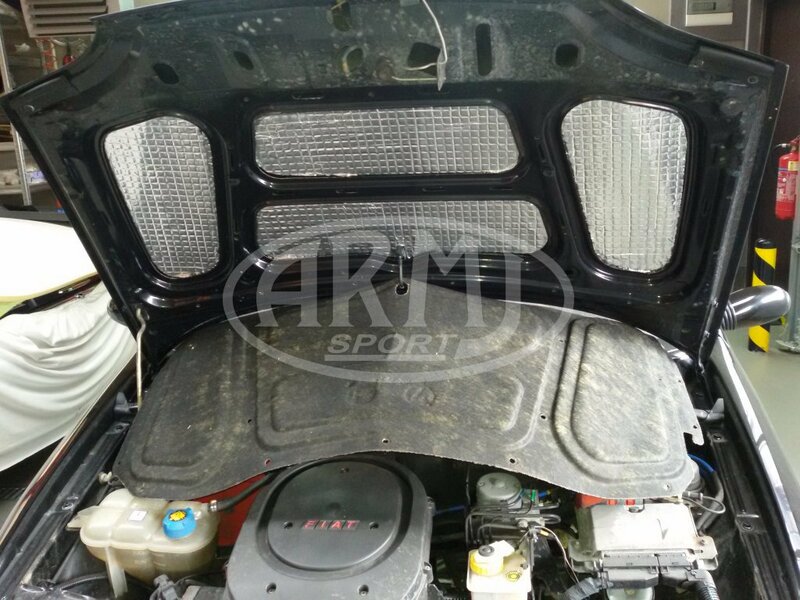 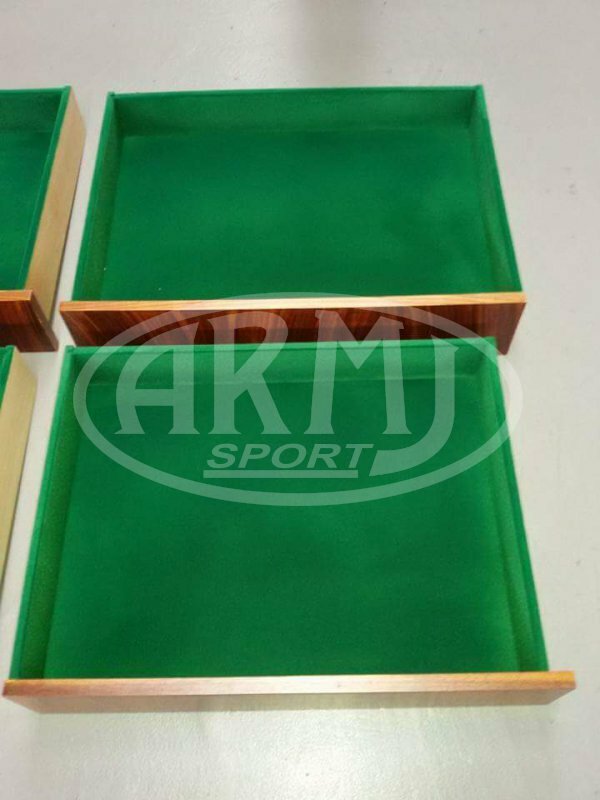 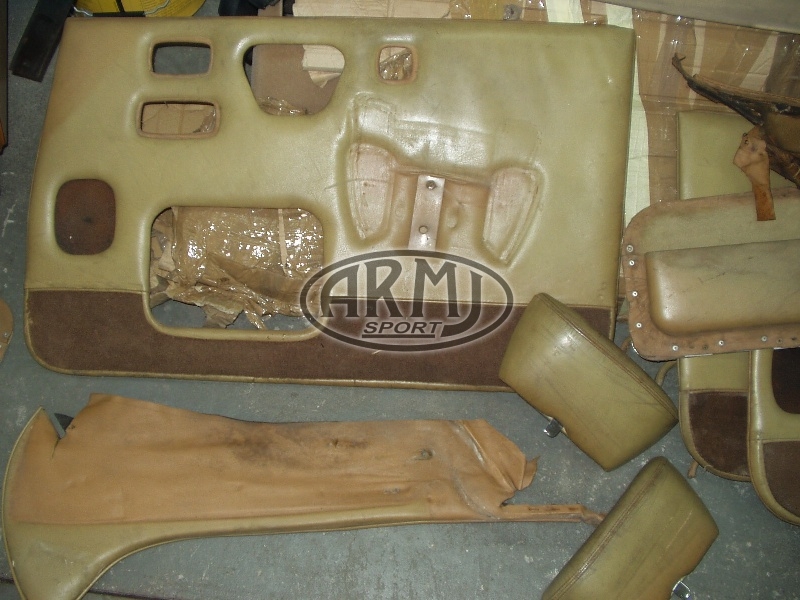 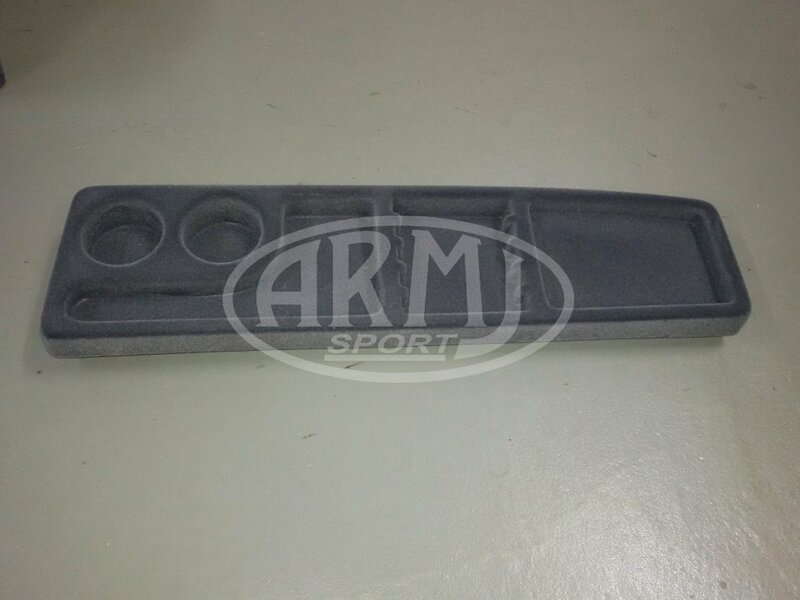 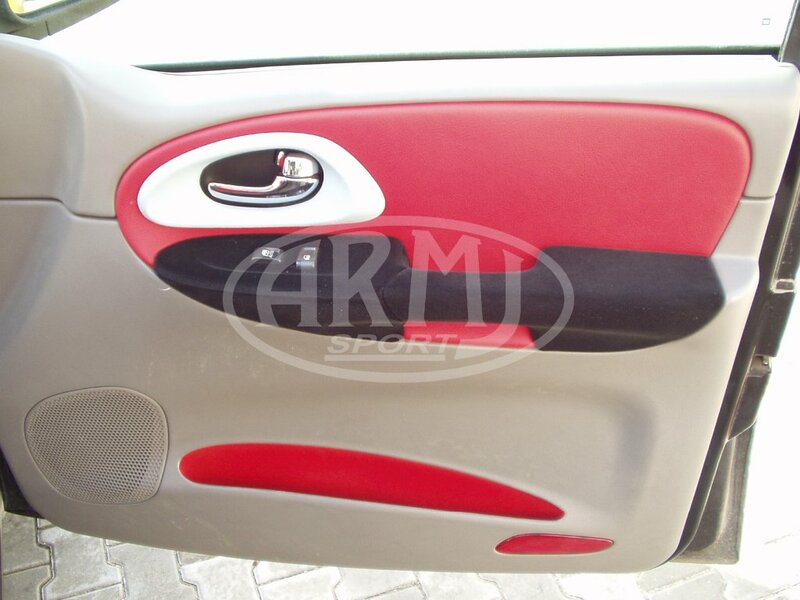 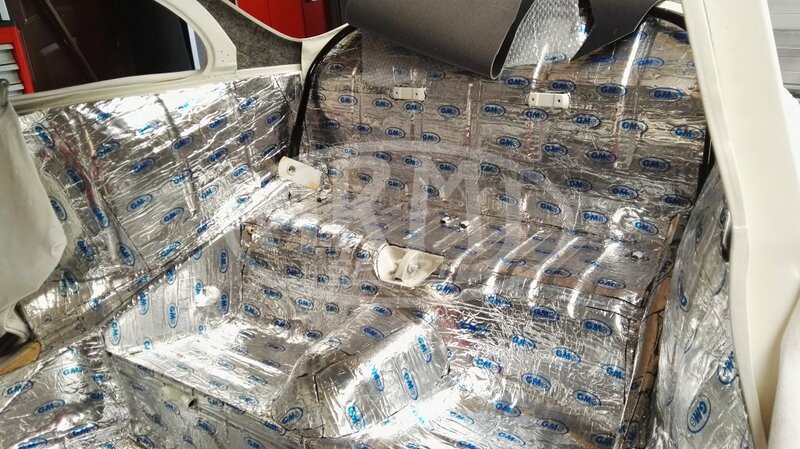 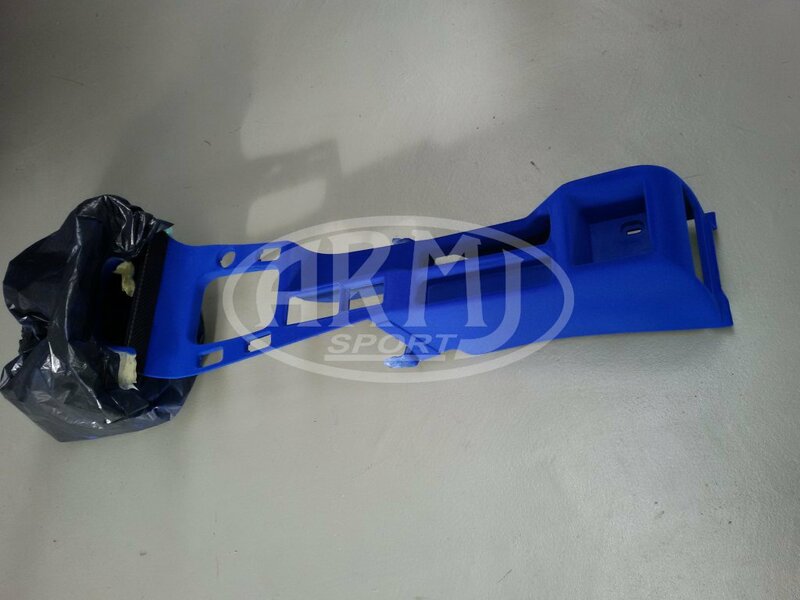 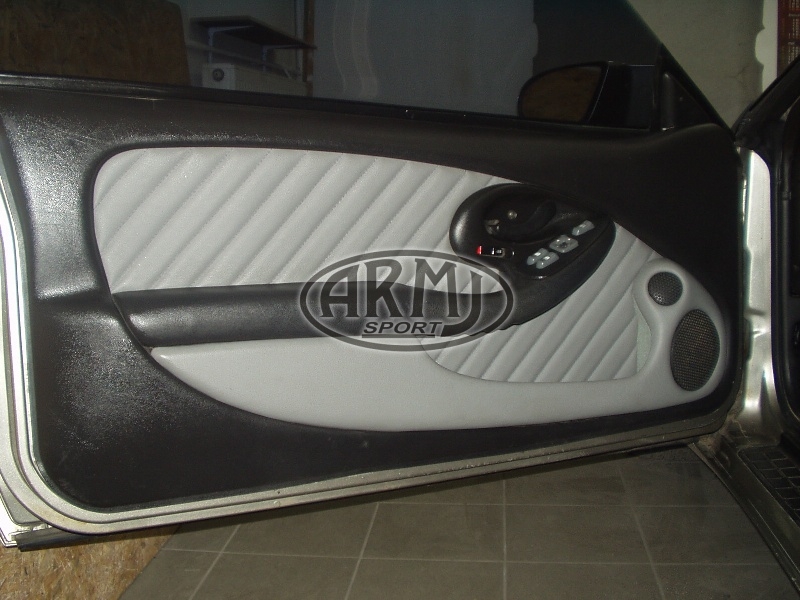 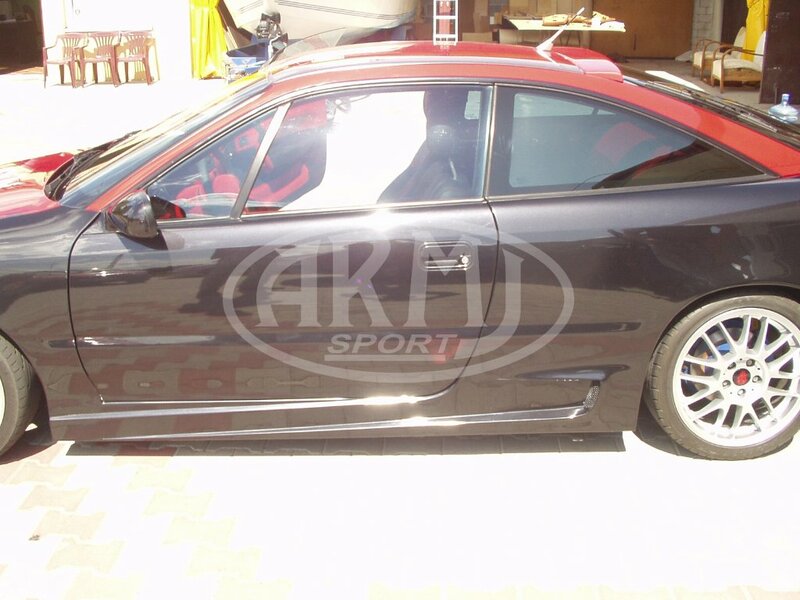 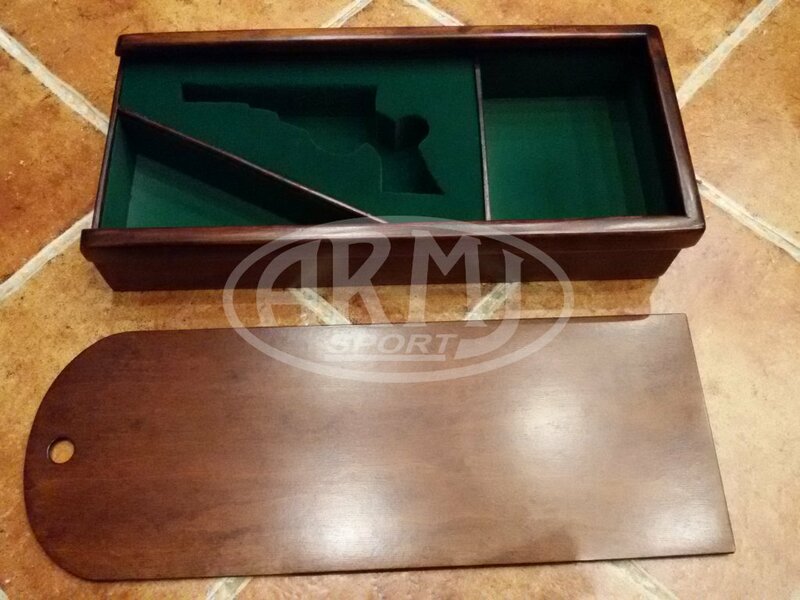 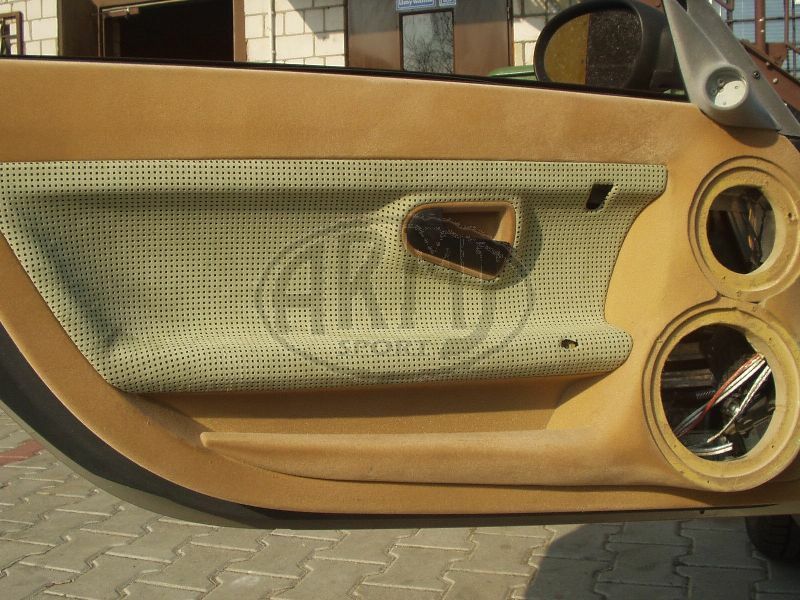 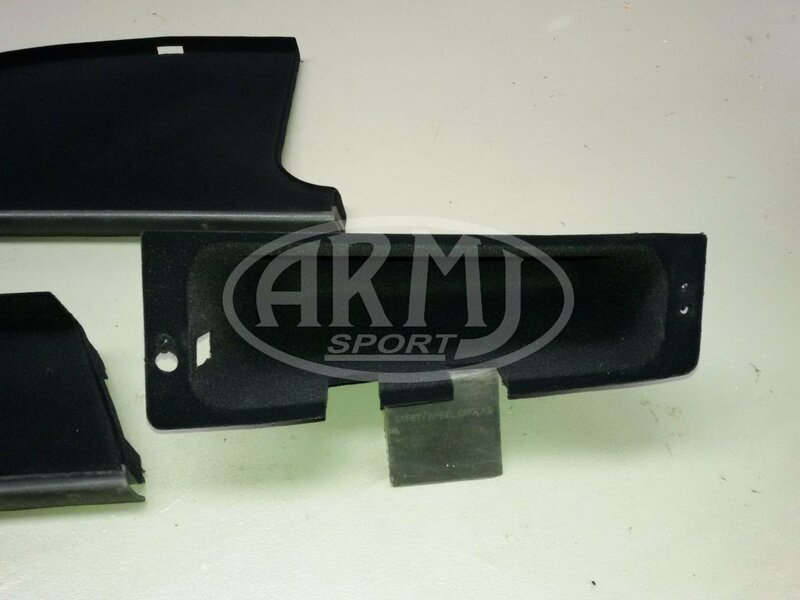 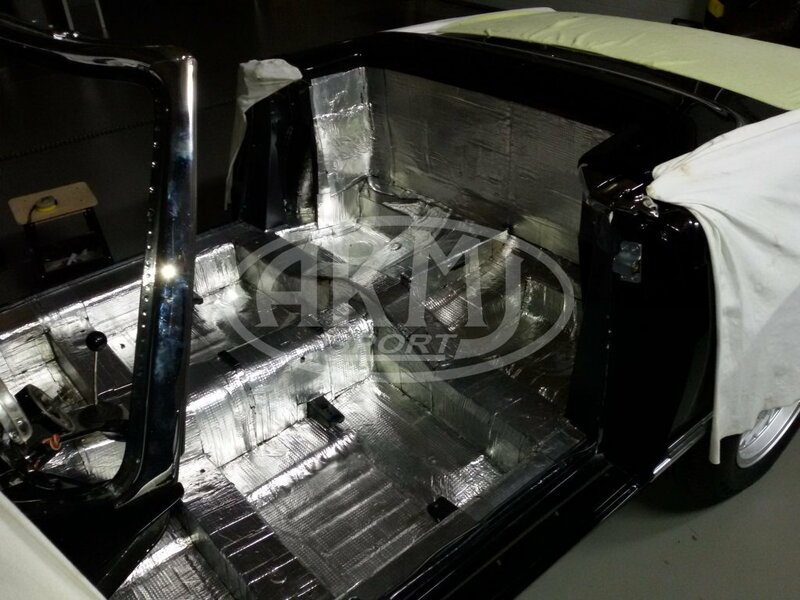 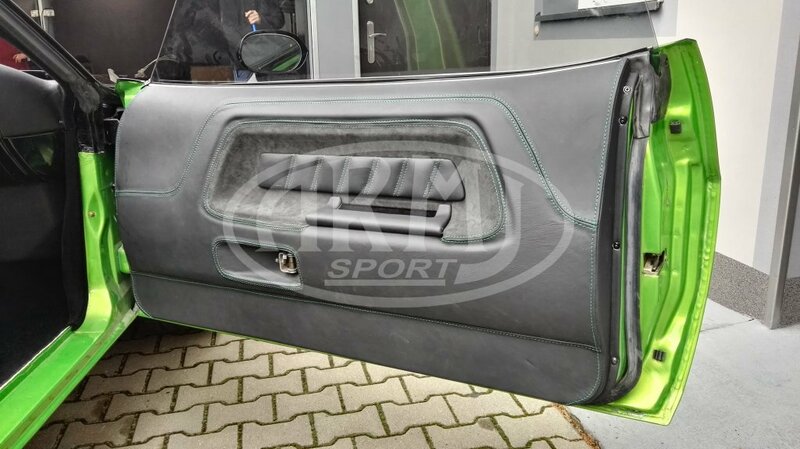 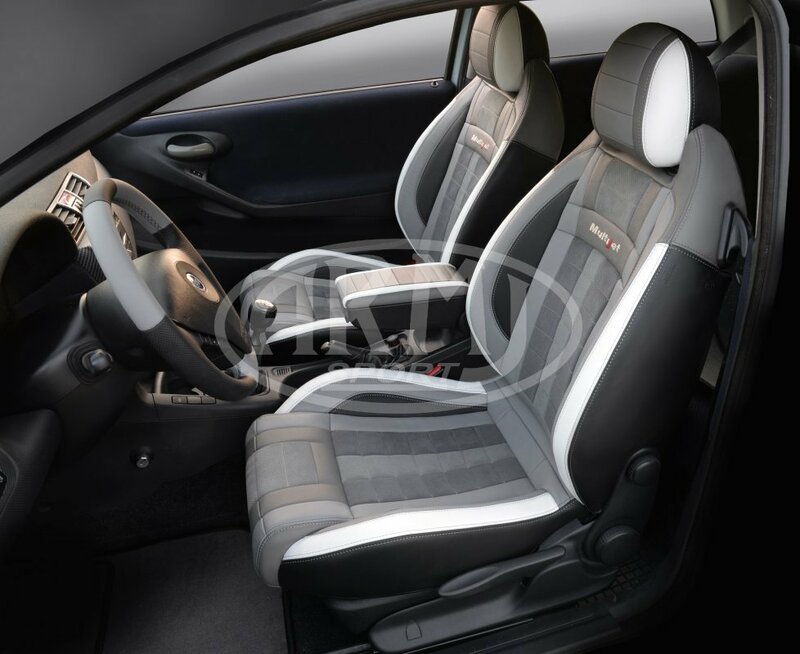 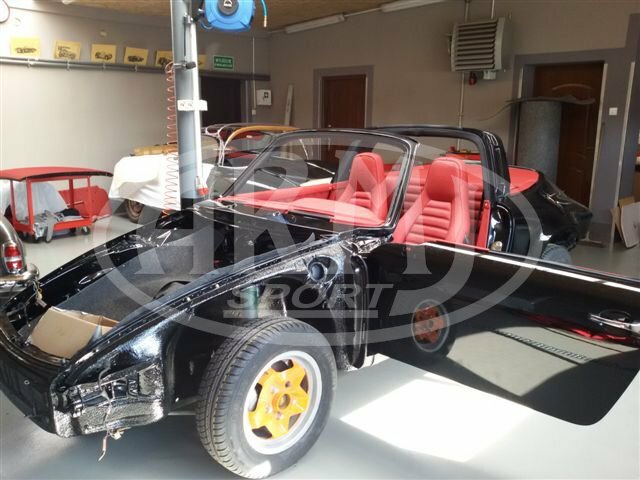 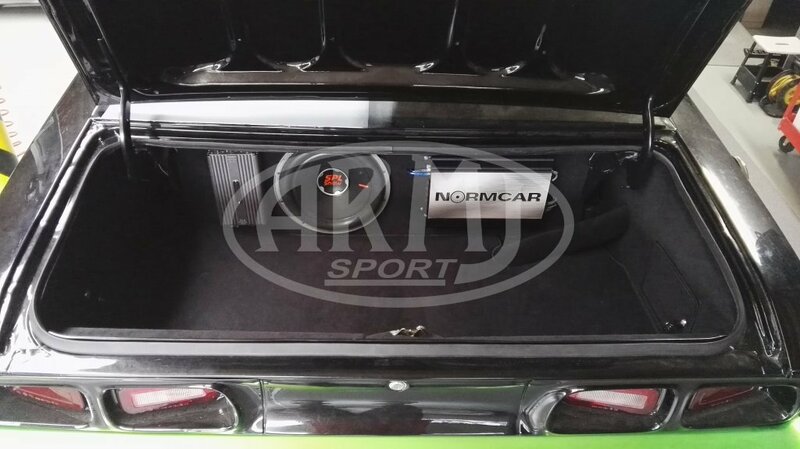 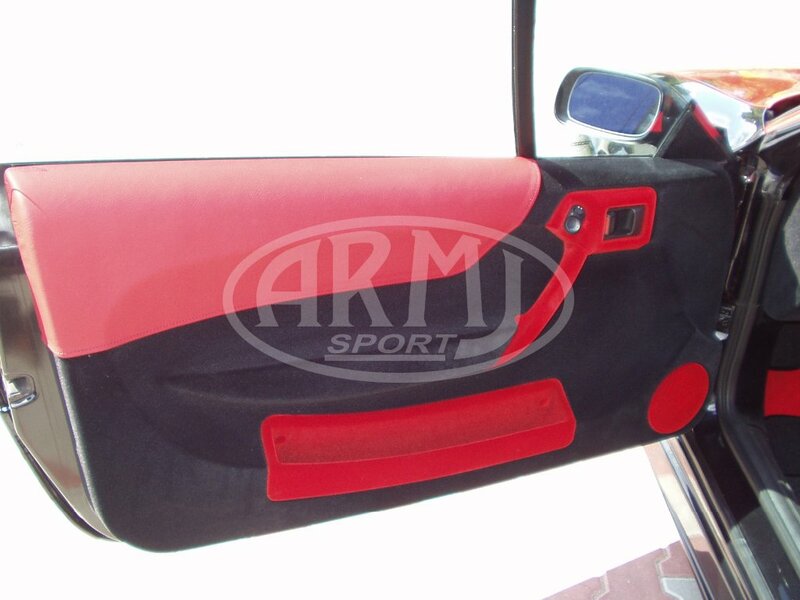 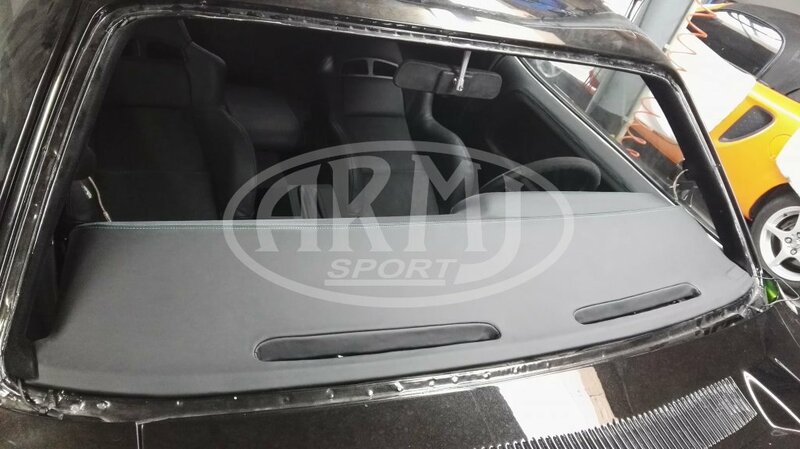 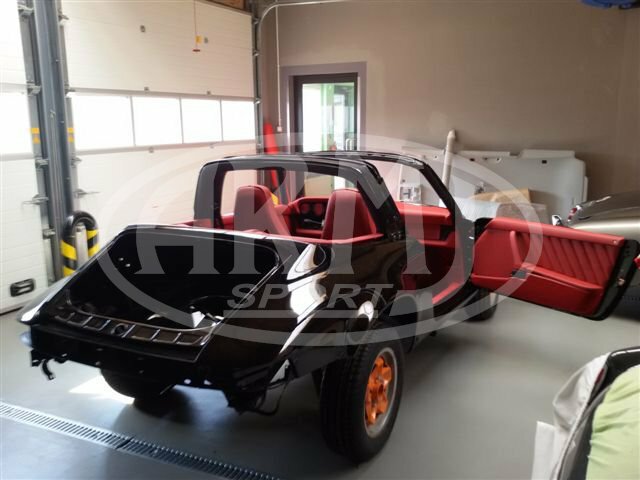 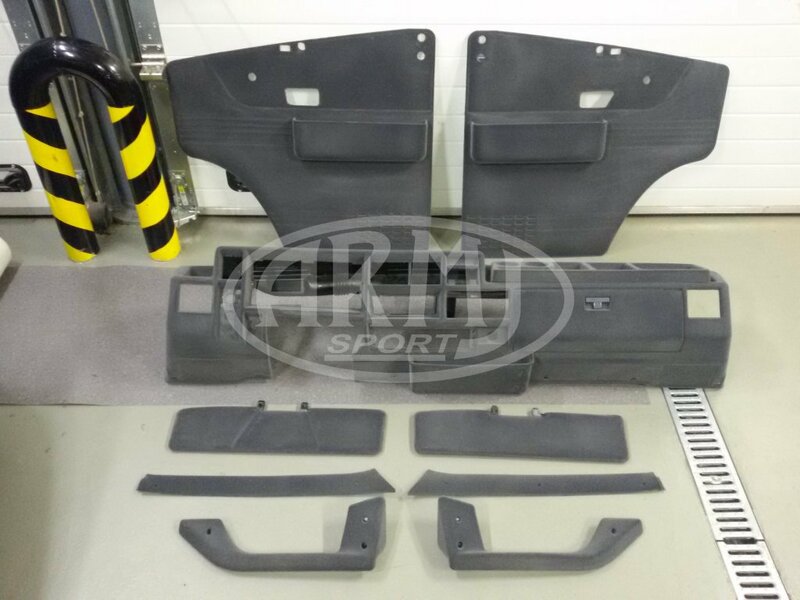 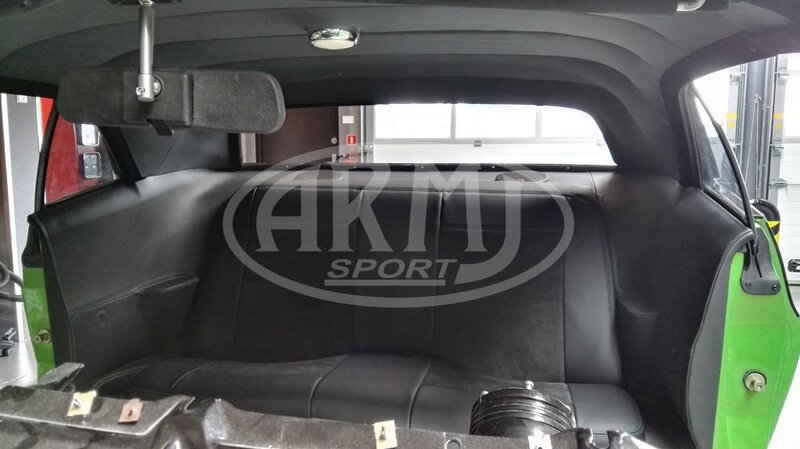 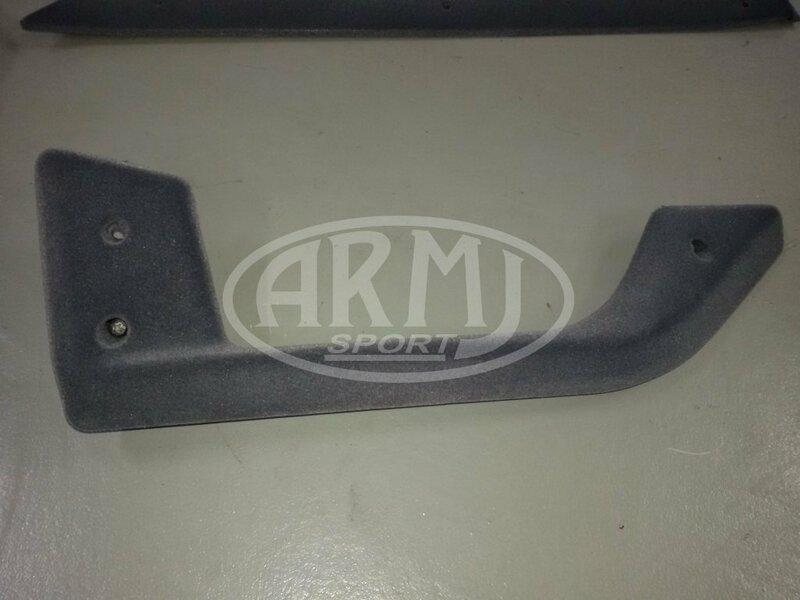 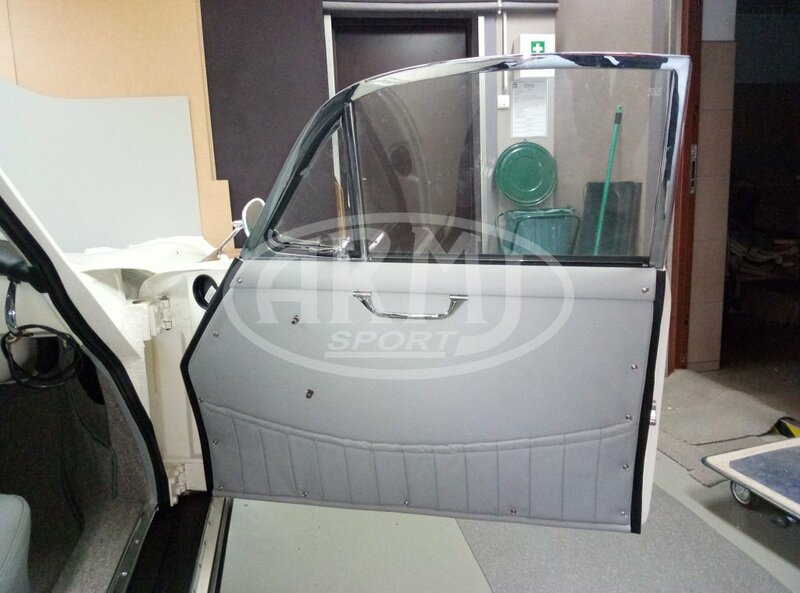 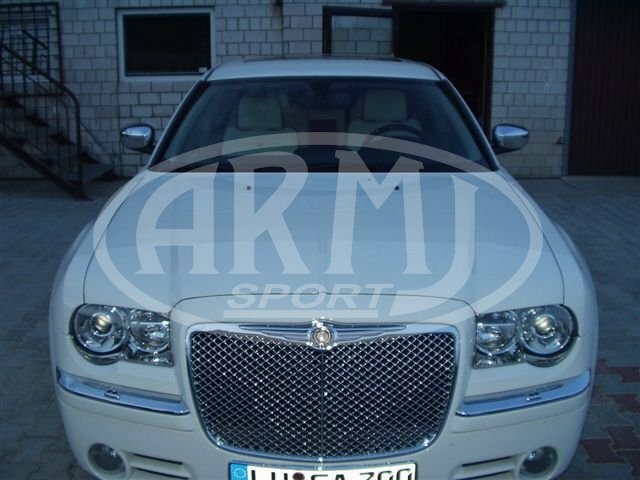 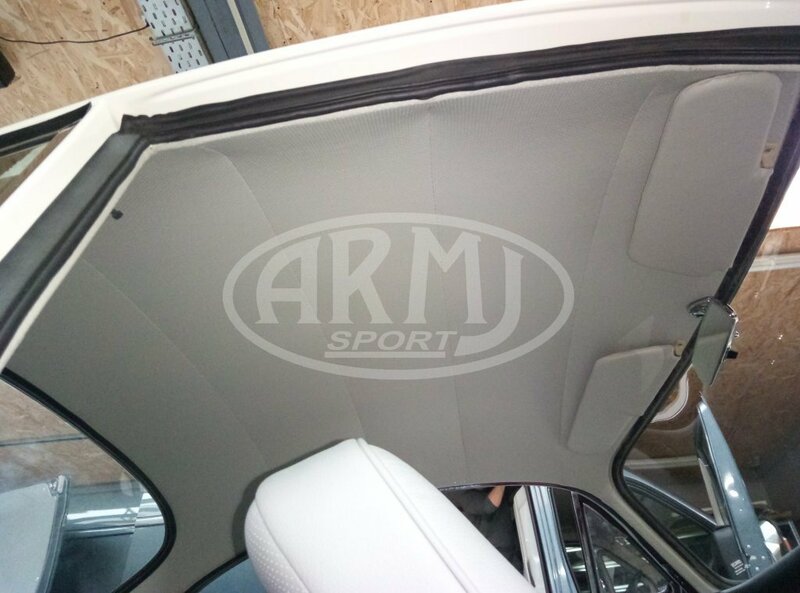 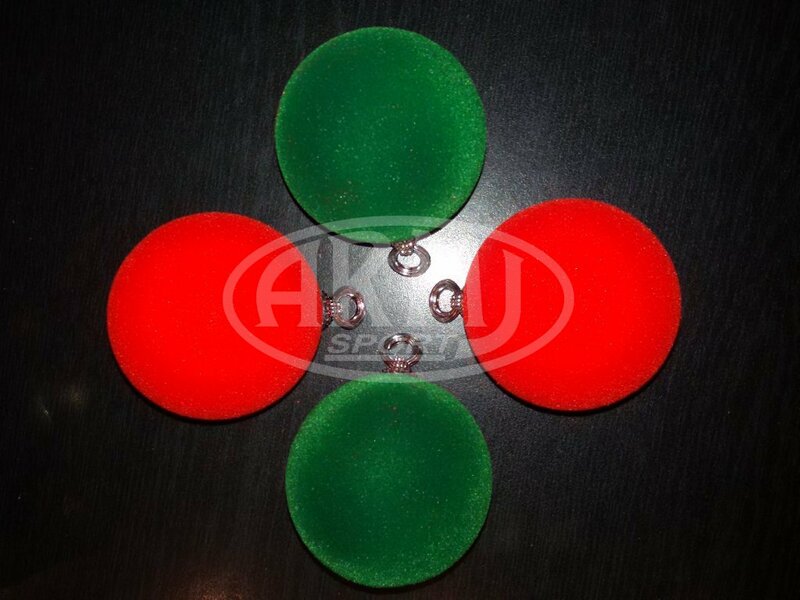 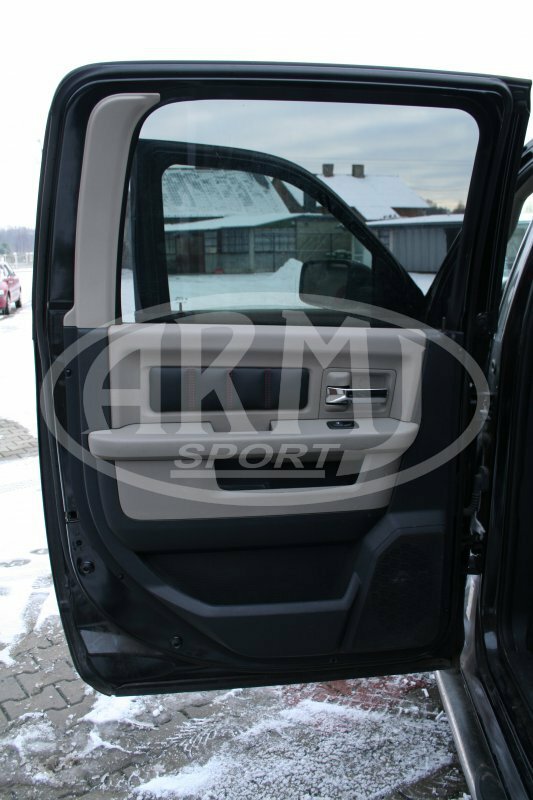 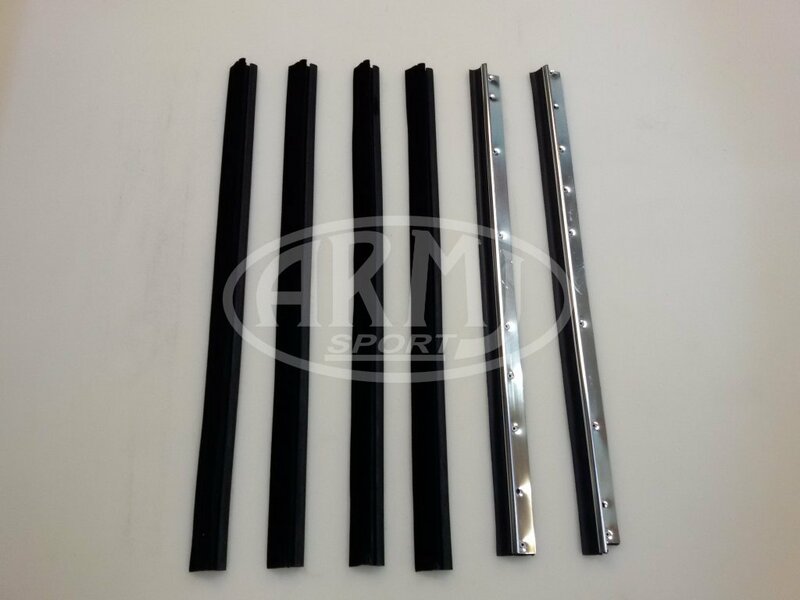 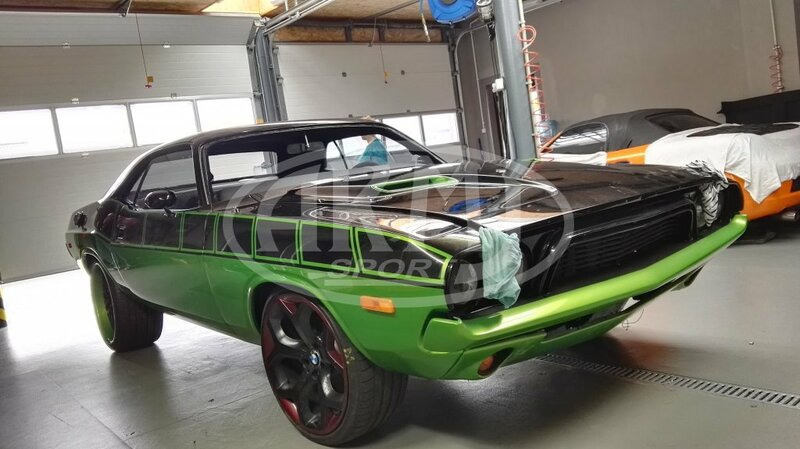 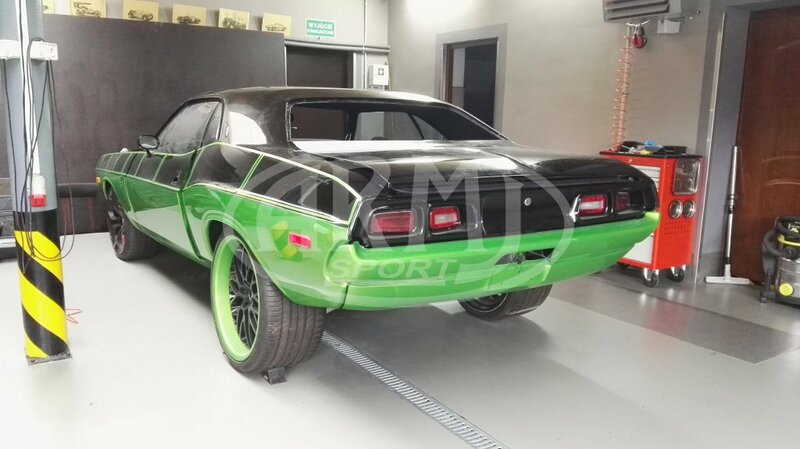 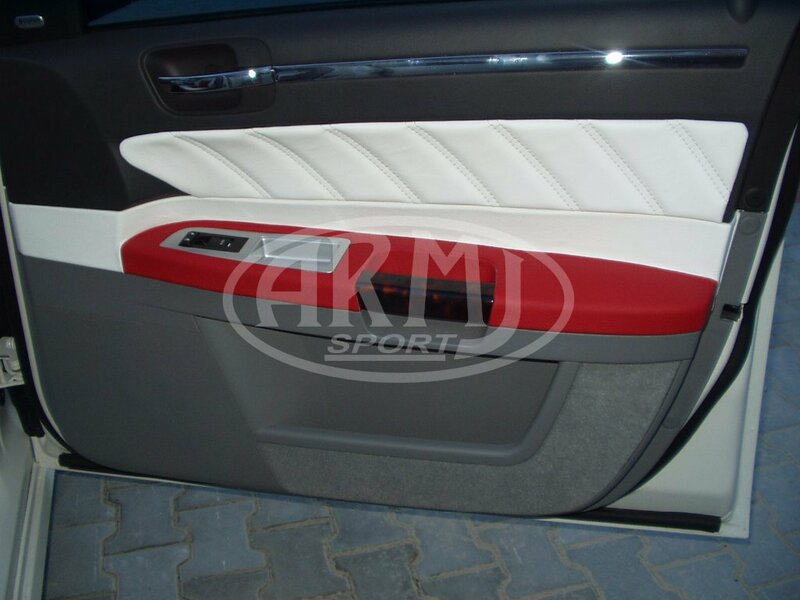 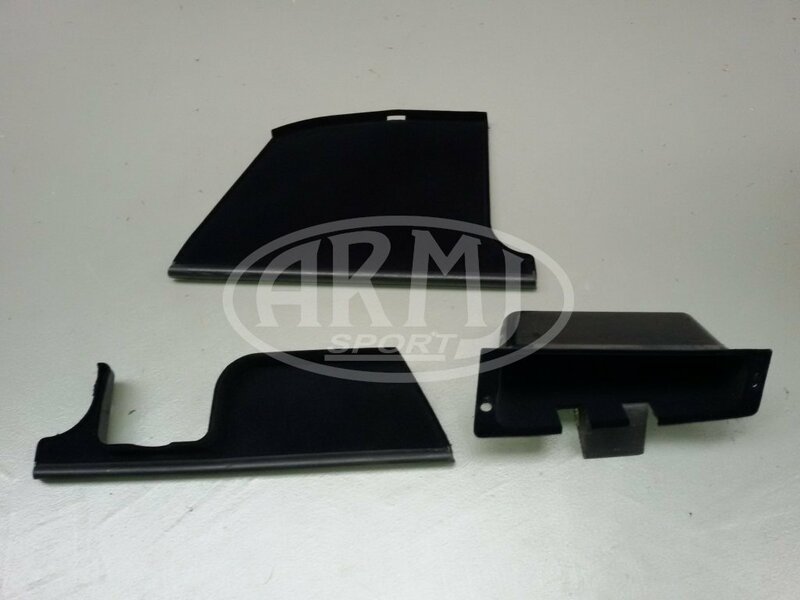 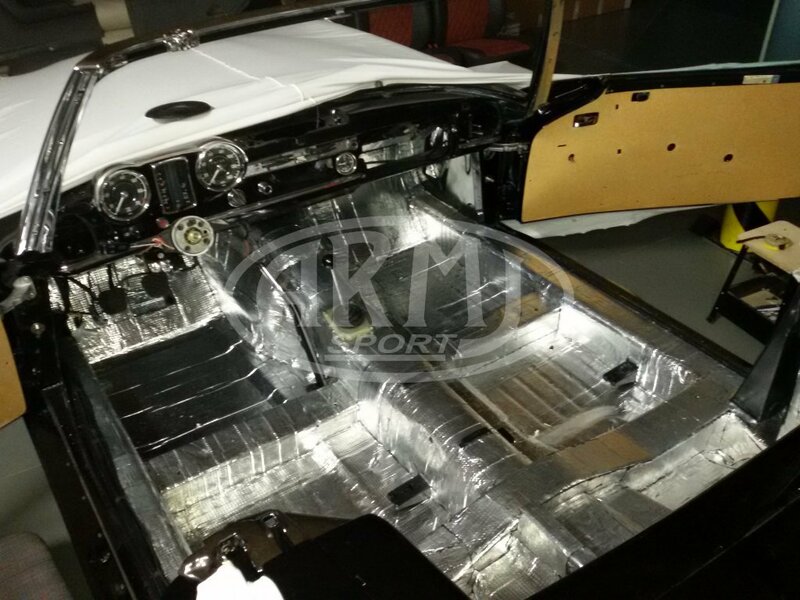 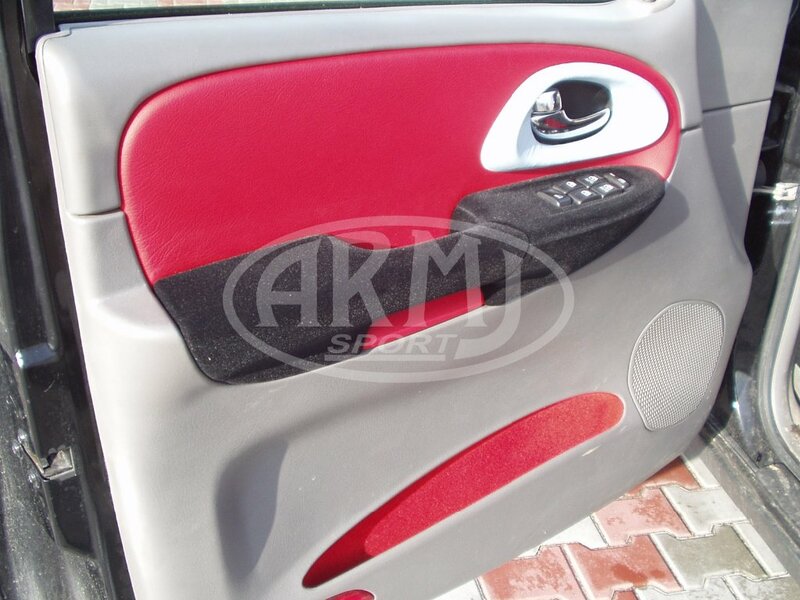 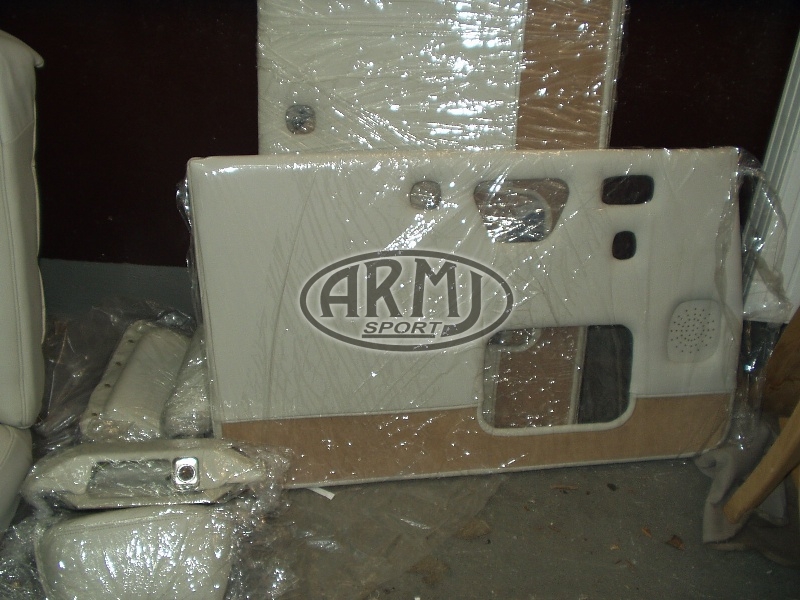 We flocking (method of spraying material "Flock" of material) elements of car interiors (plastics, boards, side panels, storage compartments, pockets, handle) as well as any other individual offers. 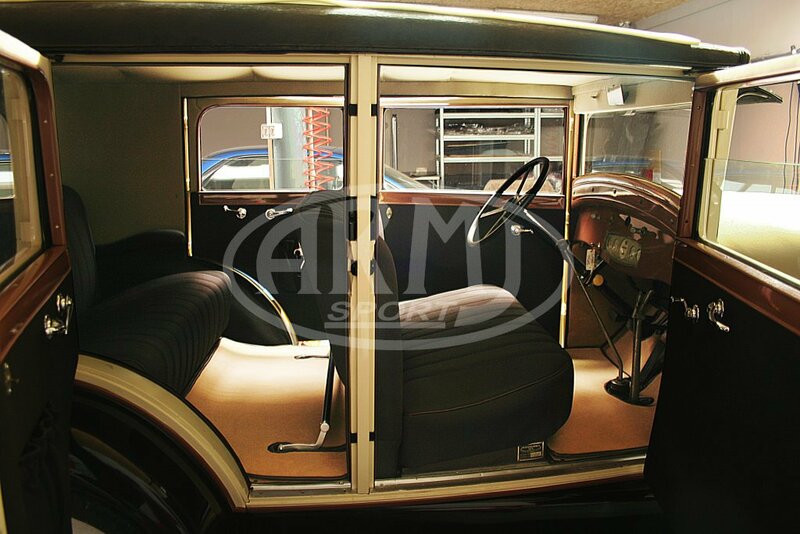 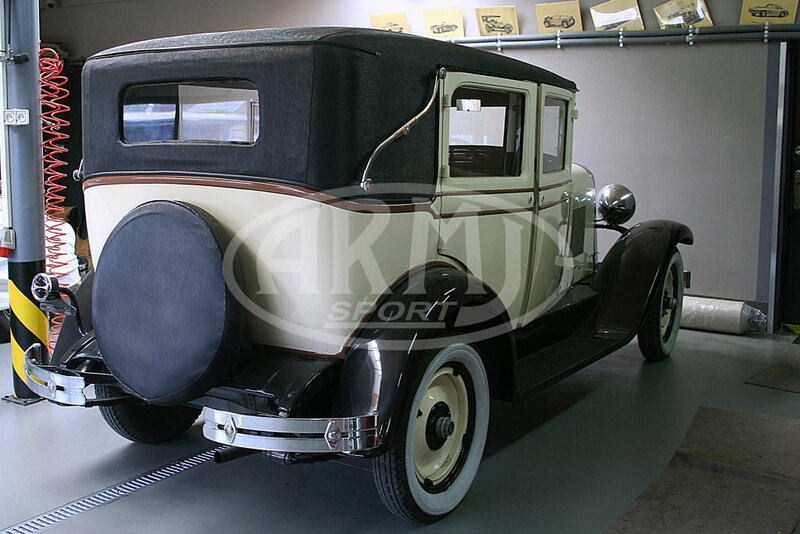 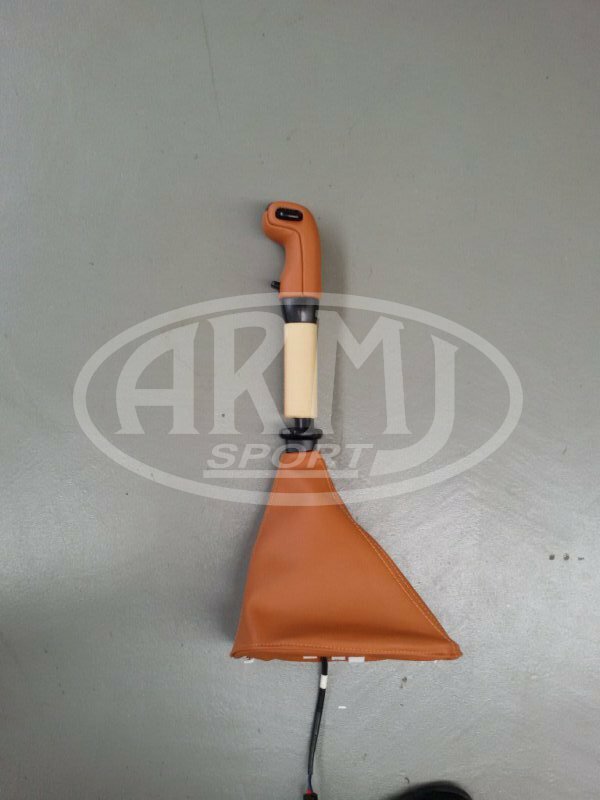 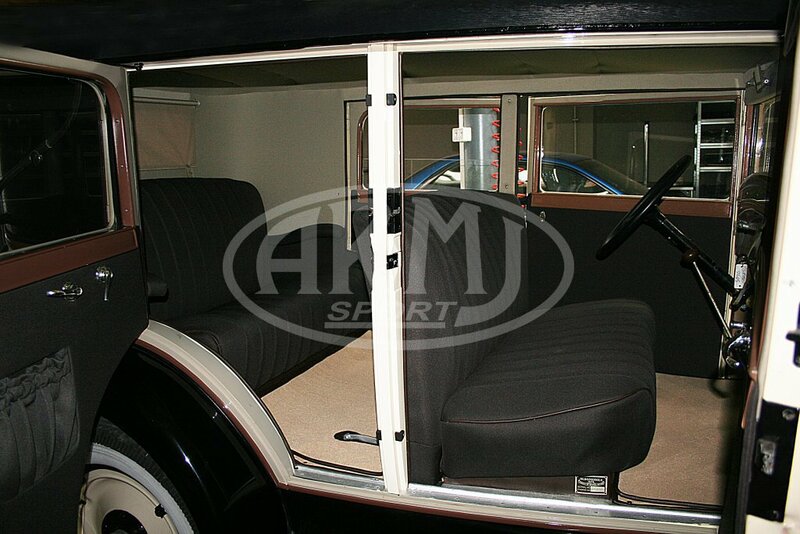 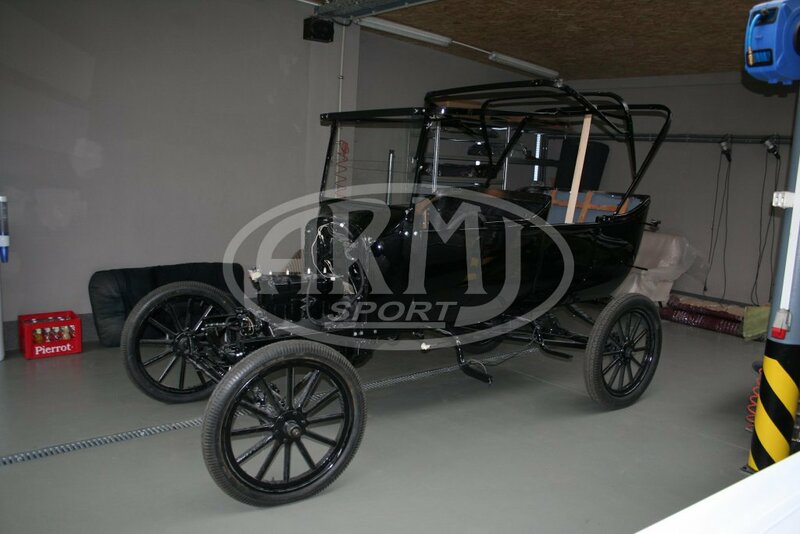 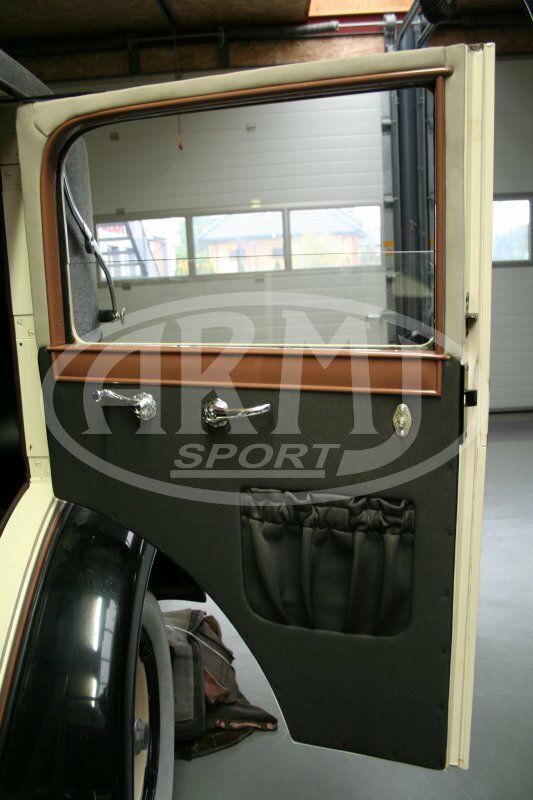 For this classic from 1925 seats (seats and door panels) have been made in natural leather, the roof used material type Sonnenland. 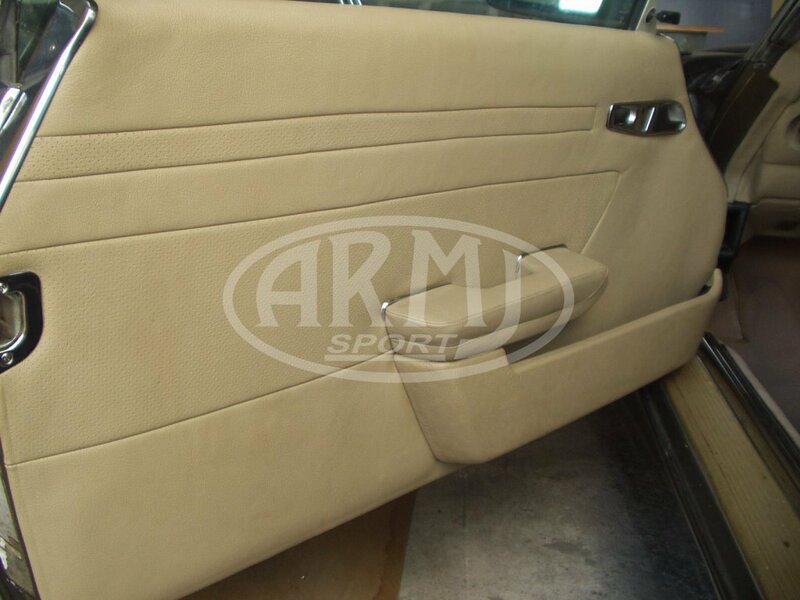 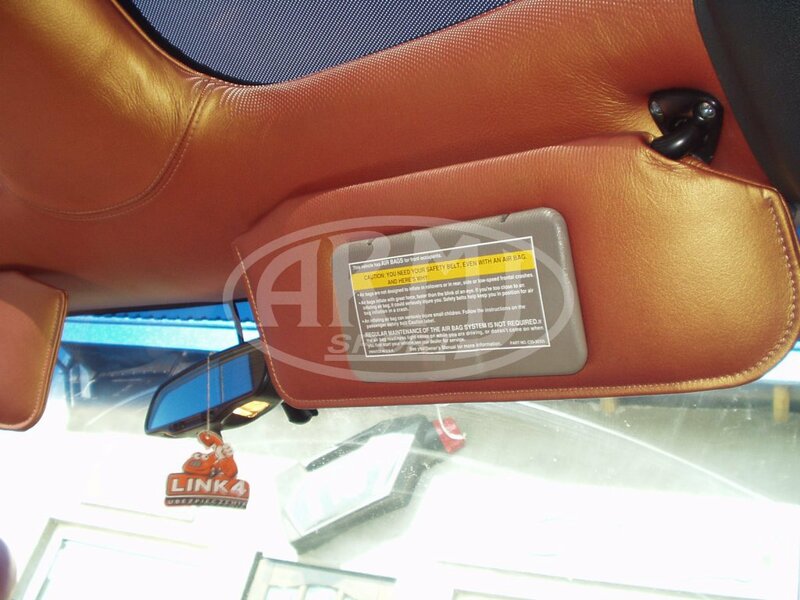 The scope of works included replacing the cover for alcantara (smooth alcantara combined with the perforated one). 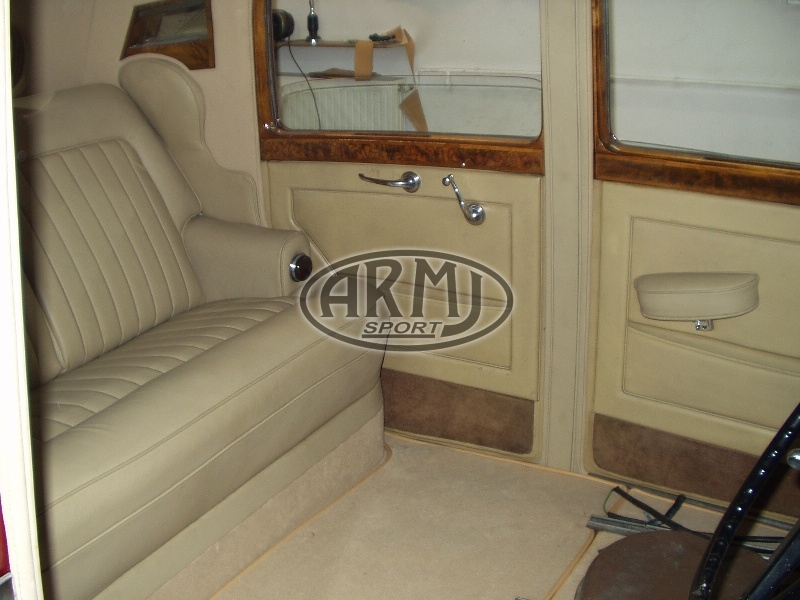 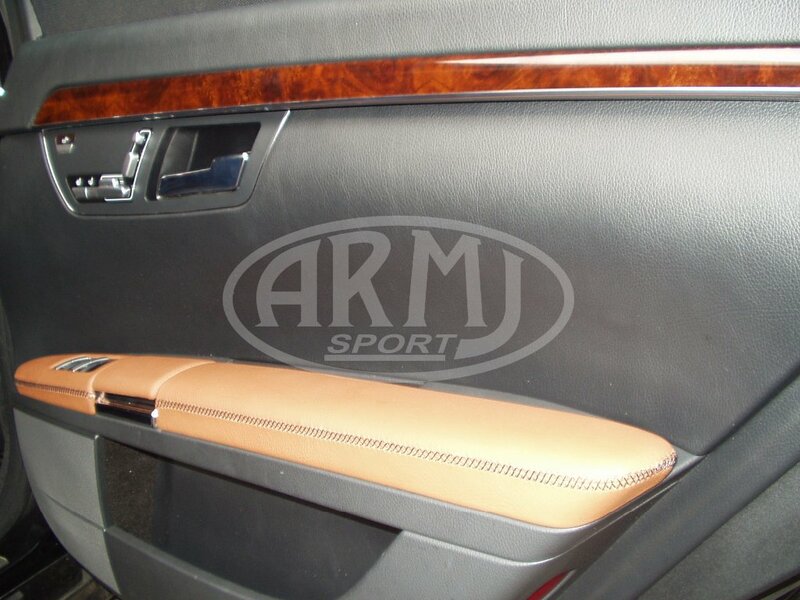 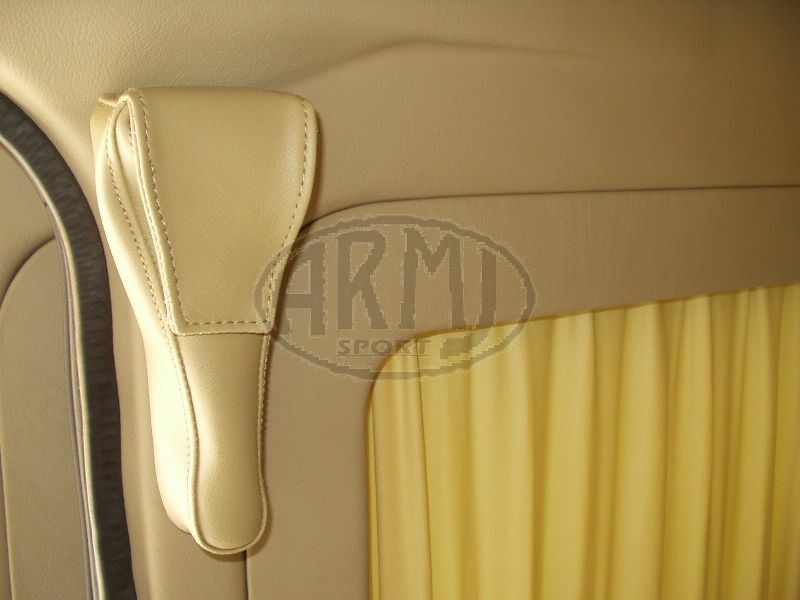 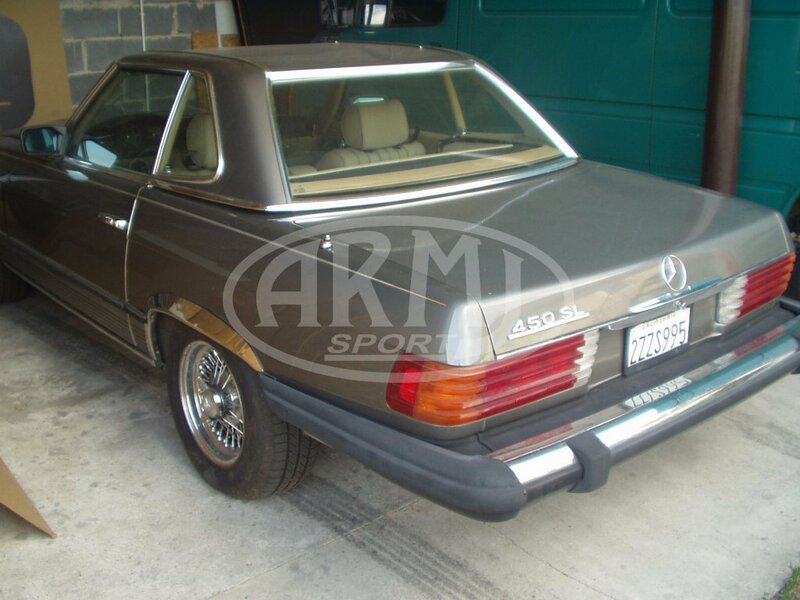 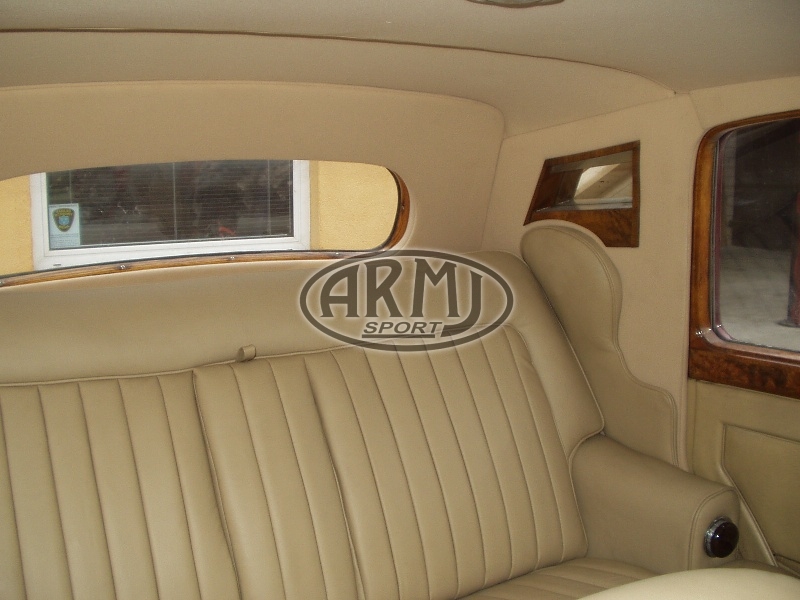 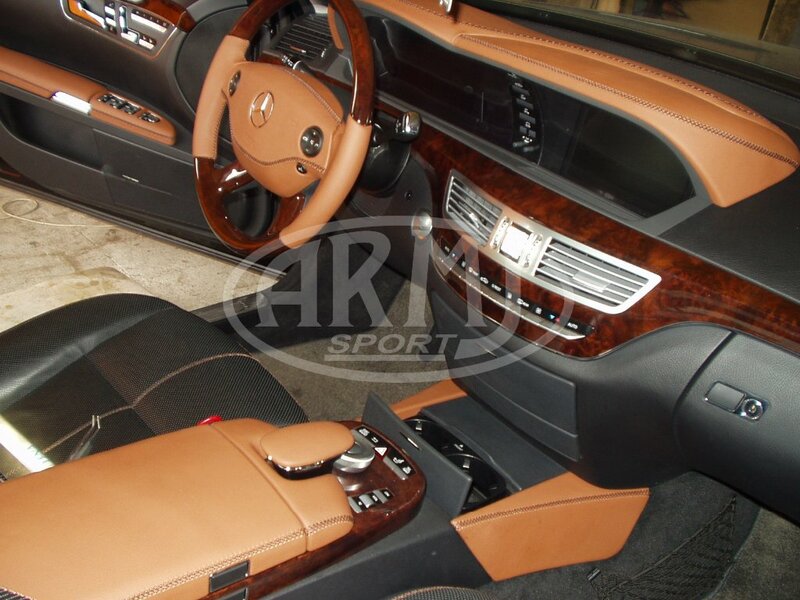 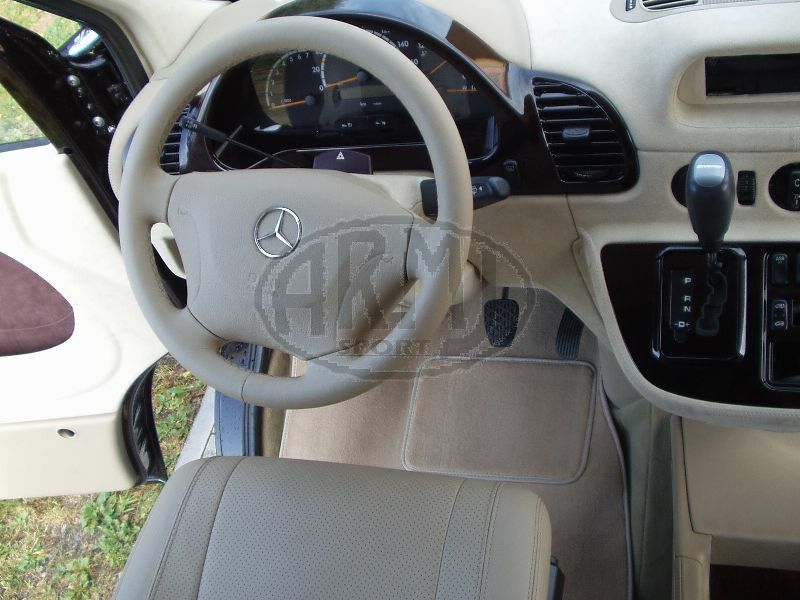 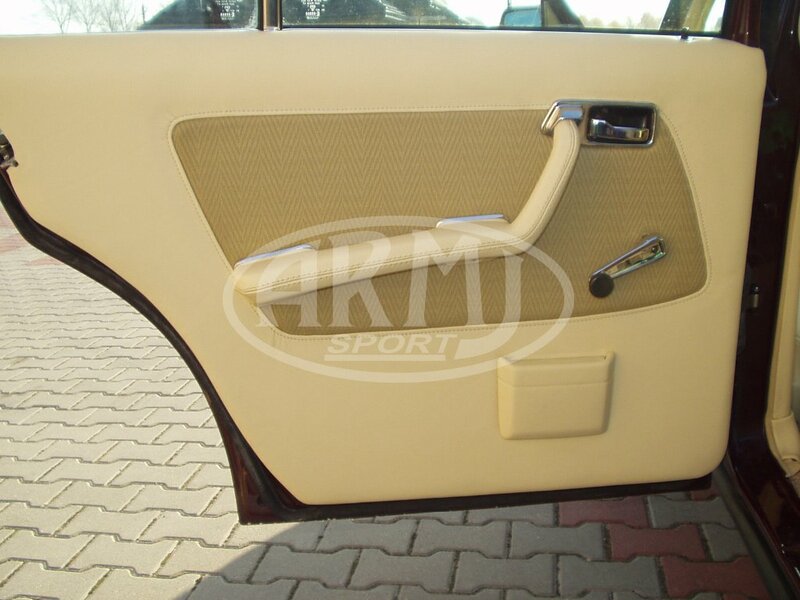 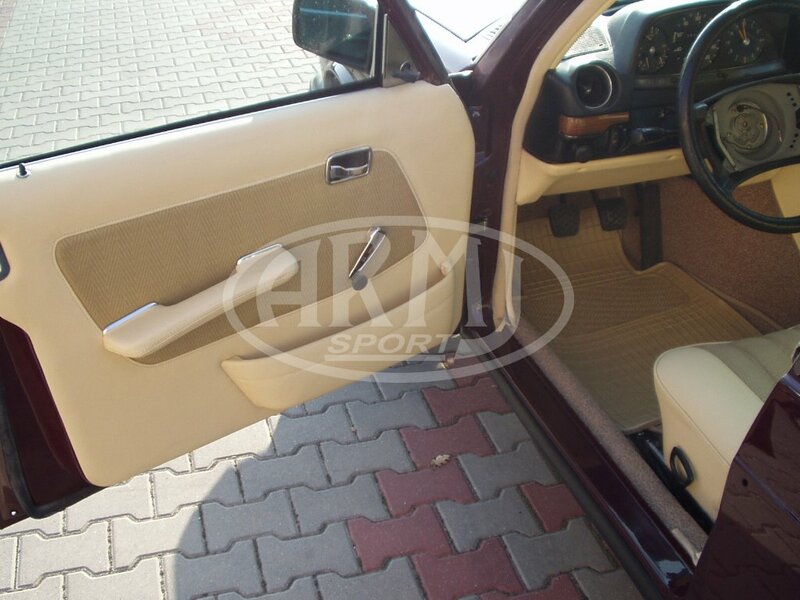 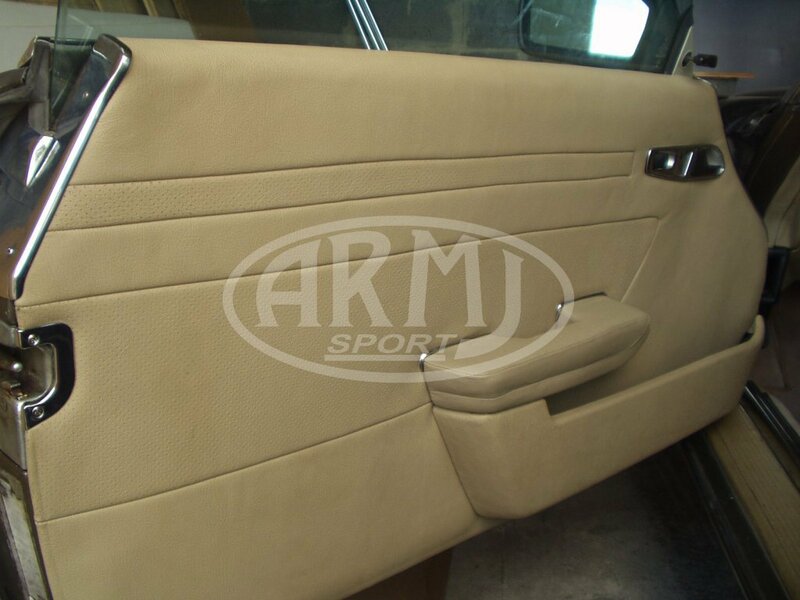 Trimming the interior with natural leather and the original fabric for Mercedes cars. 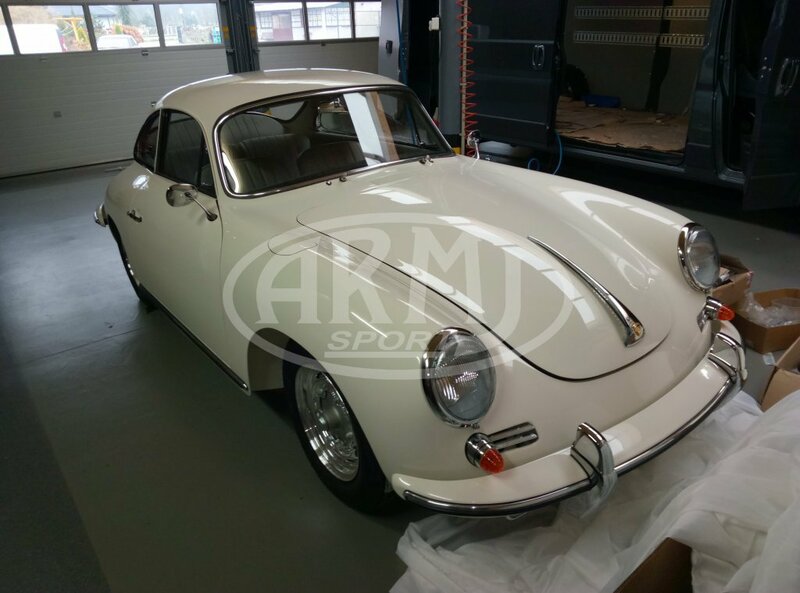 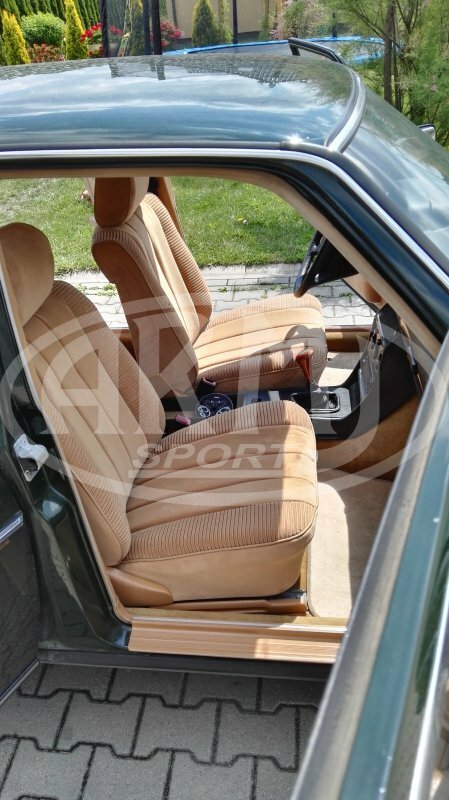 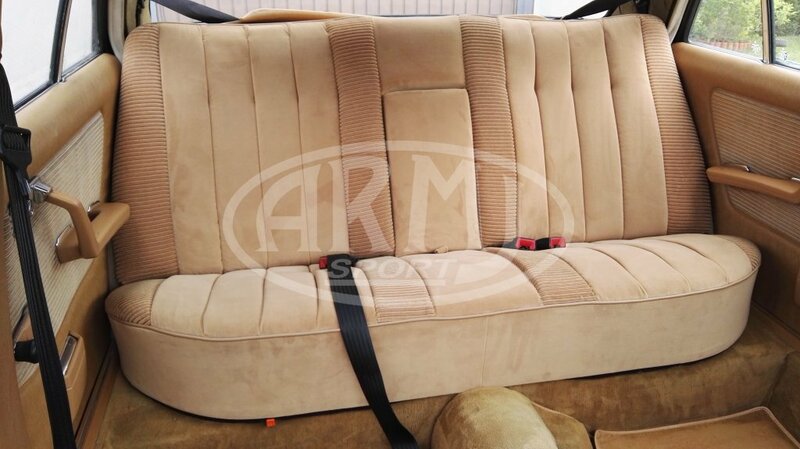 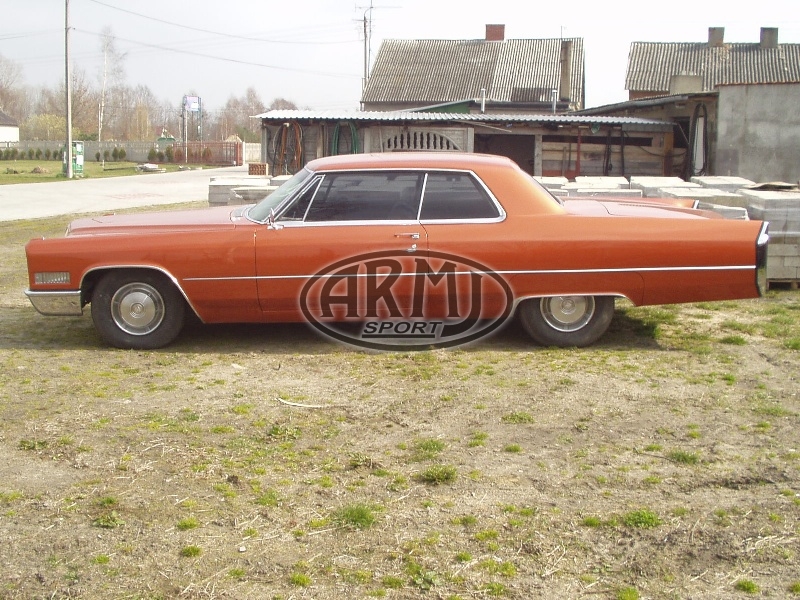 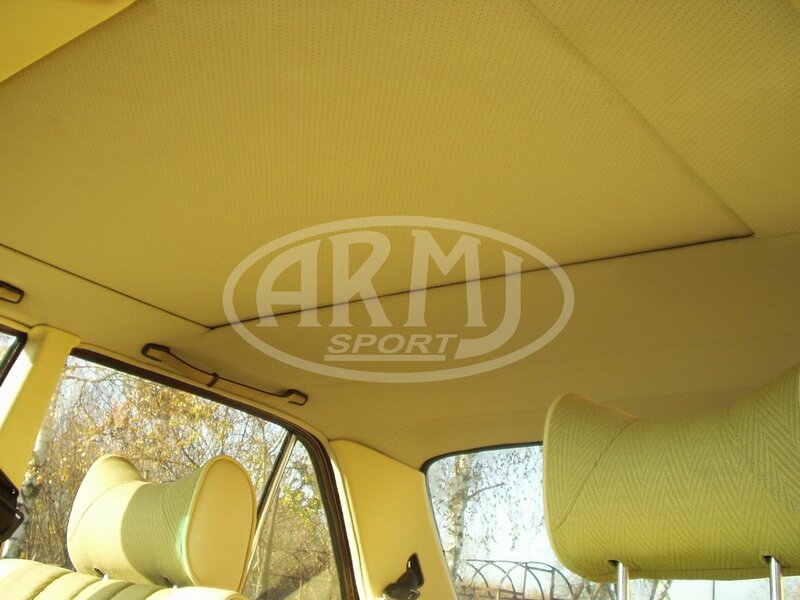 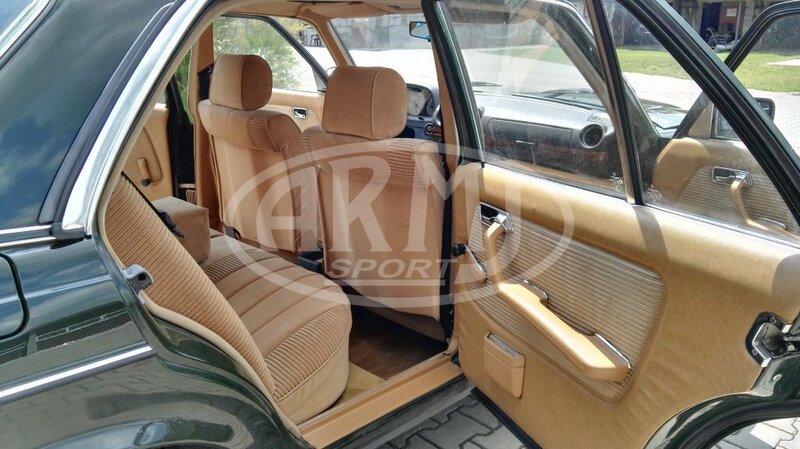 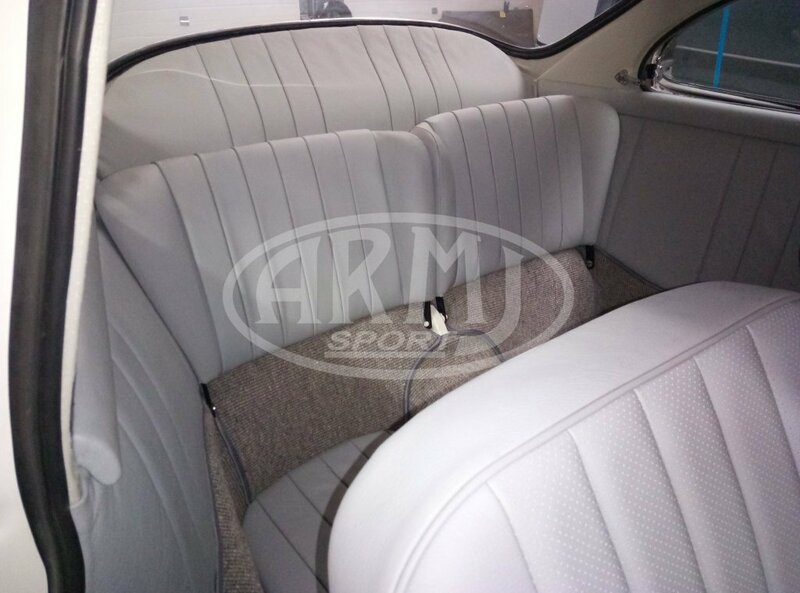 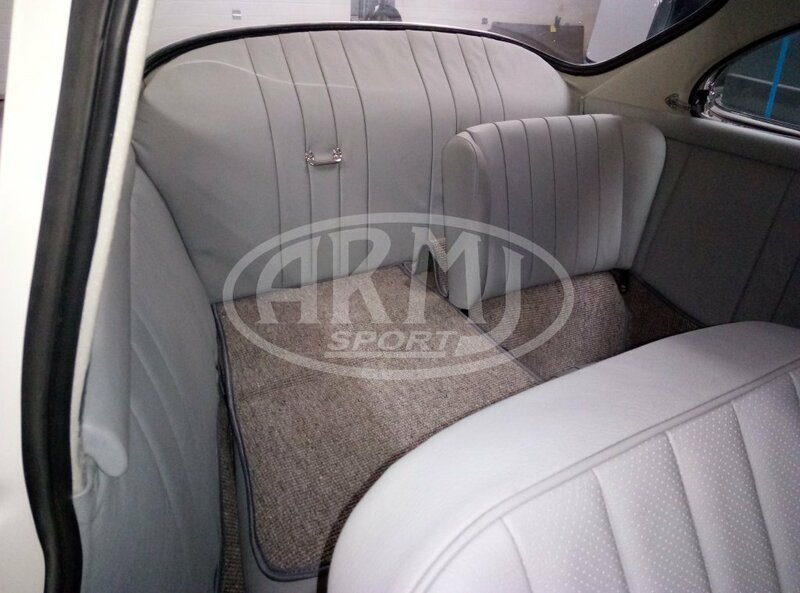 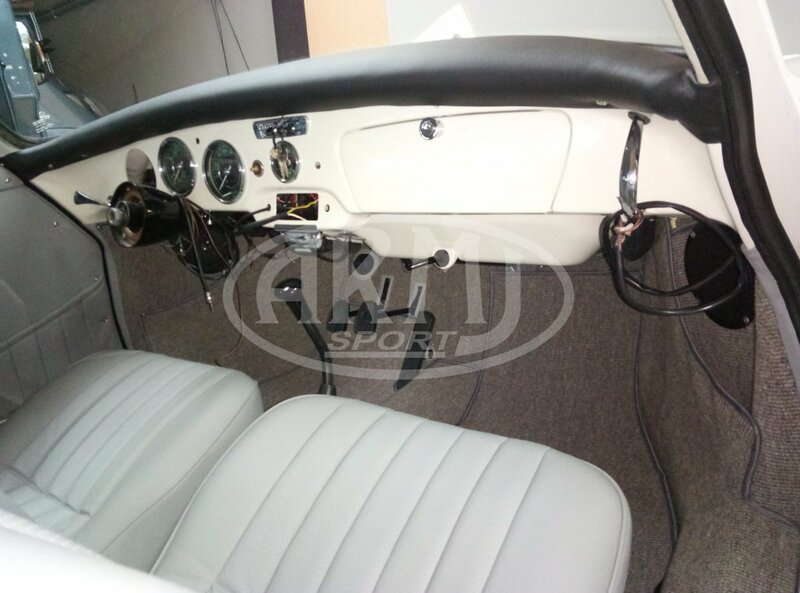 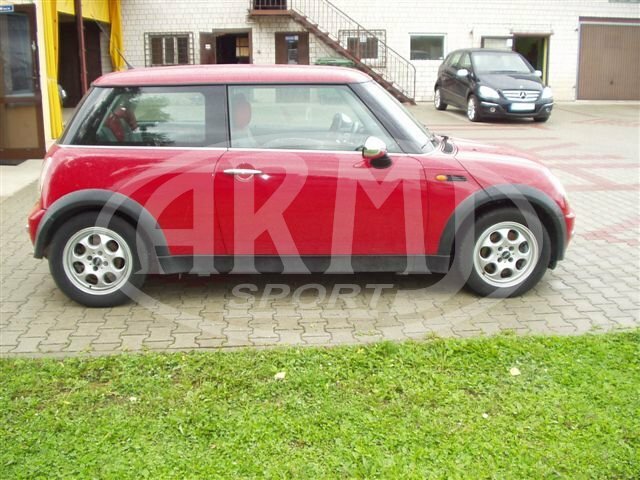 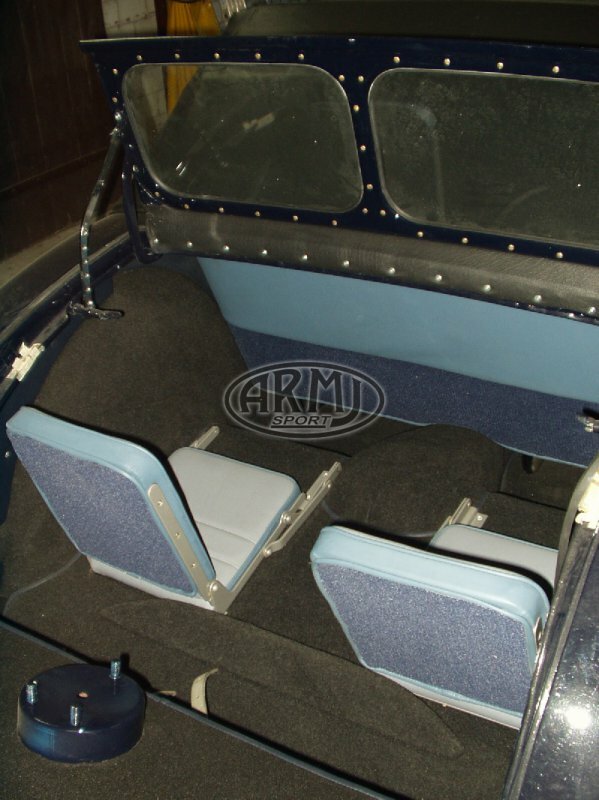 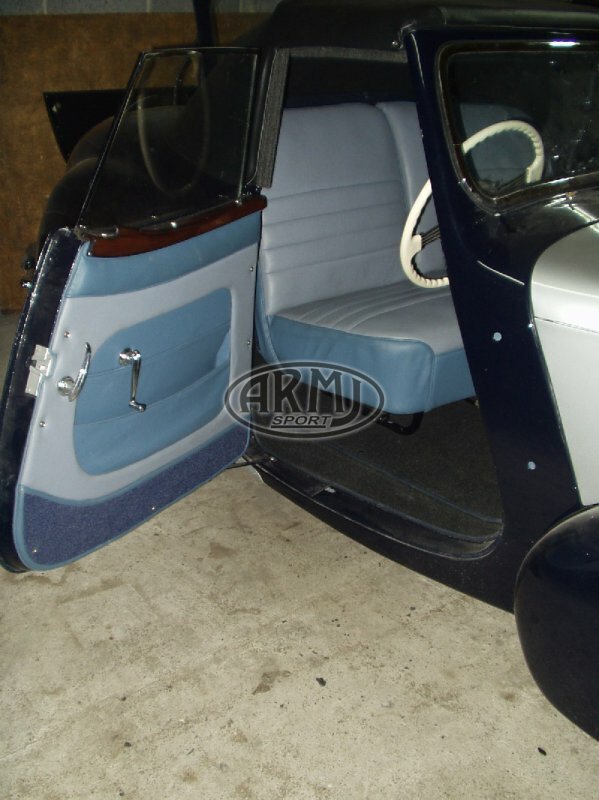 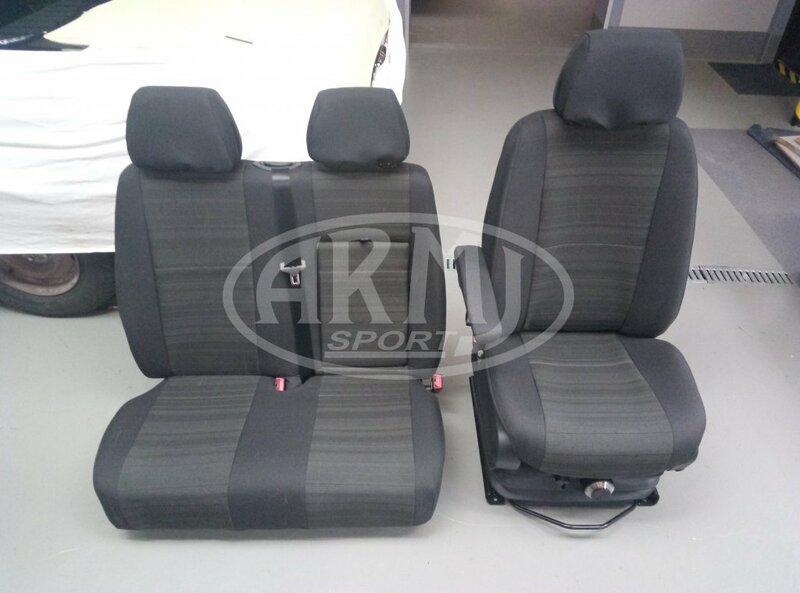 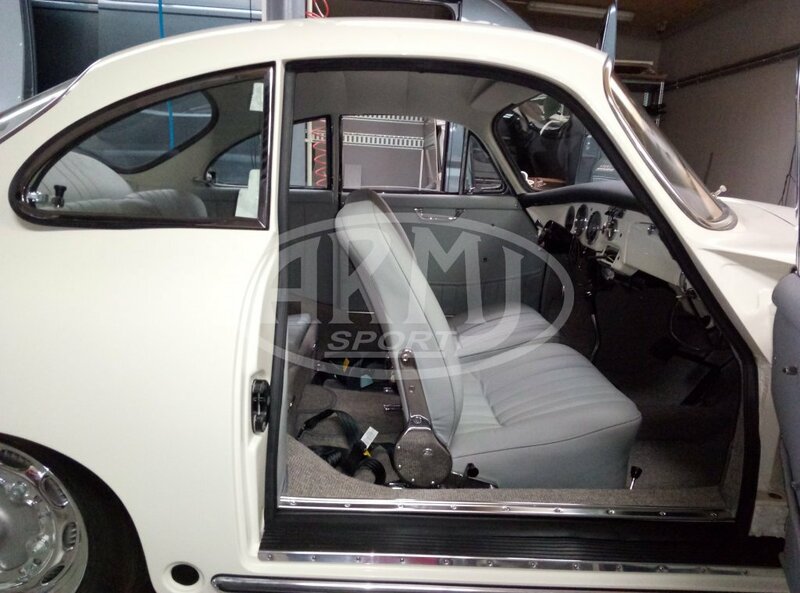 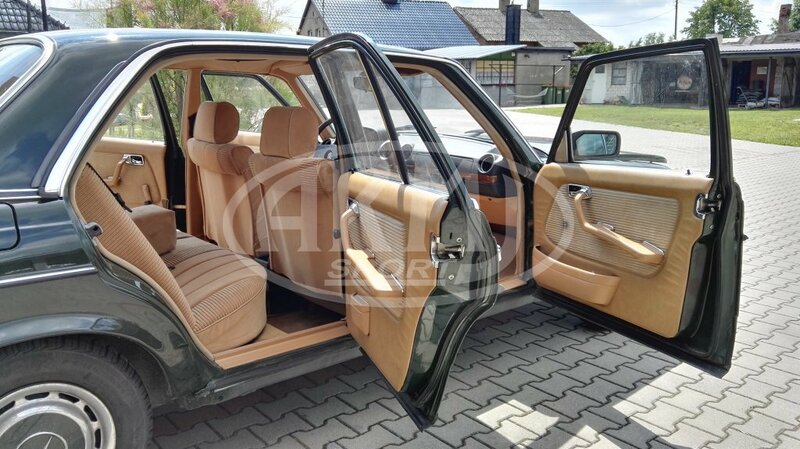 All elements trimmed with leather, on the floor and in the trunk - carpets, new roof cover, refreshed wood, new filling of the headrests, seats and backrests. 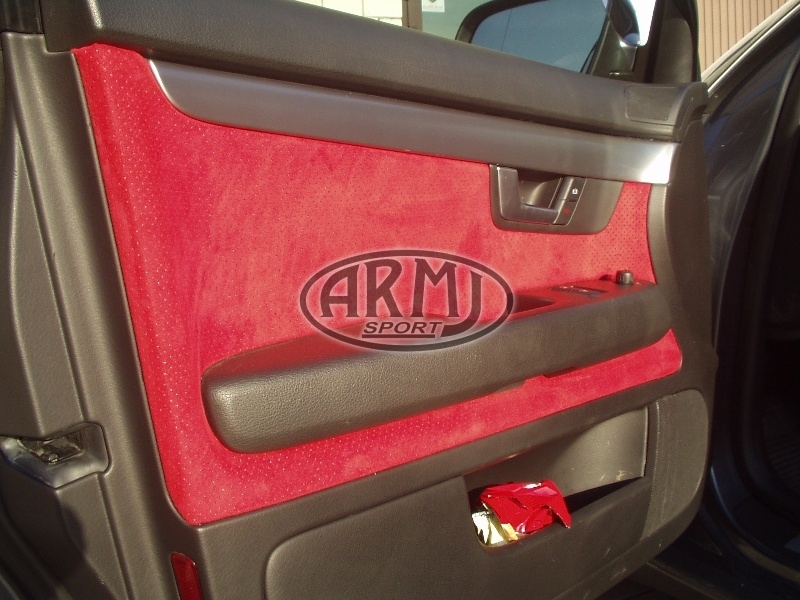 Red leather accessories and stitching of the same color. 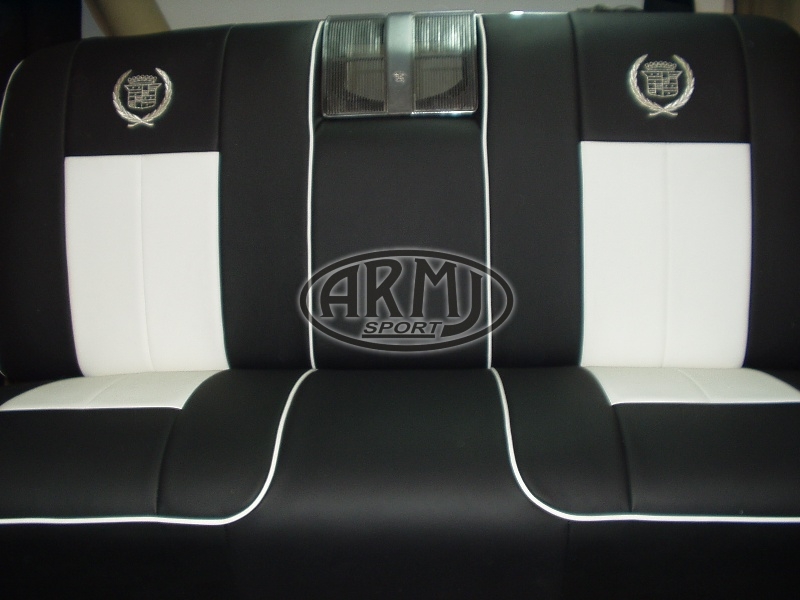 Upholstery velor fabric and smooth fabric made in accordance with the original. 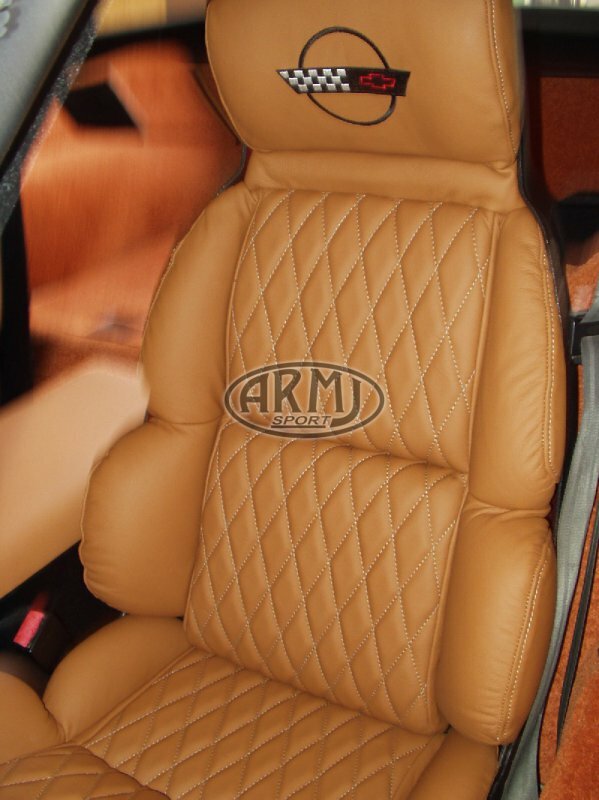 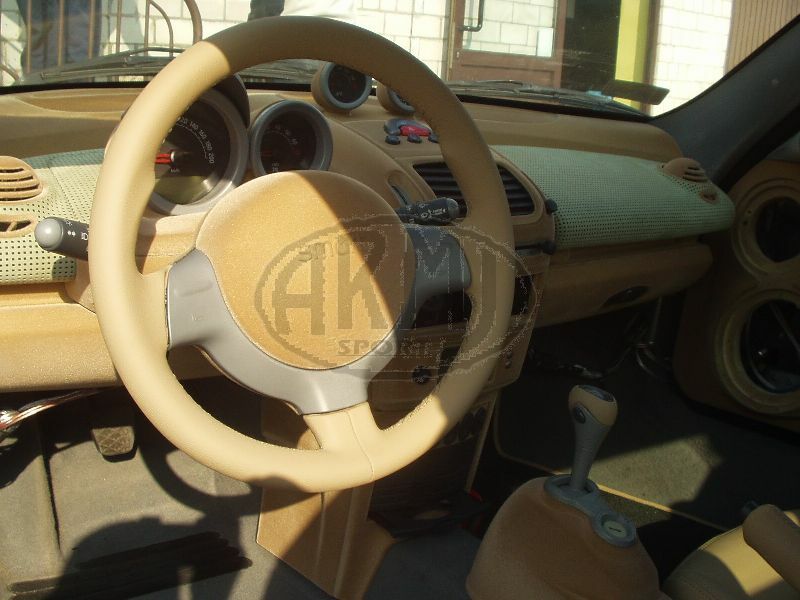 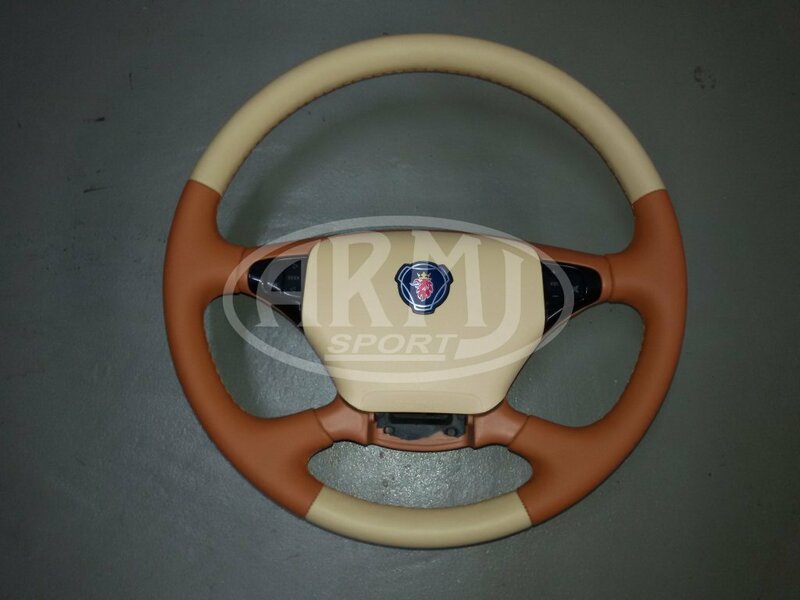 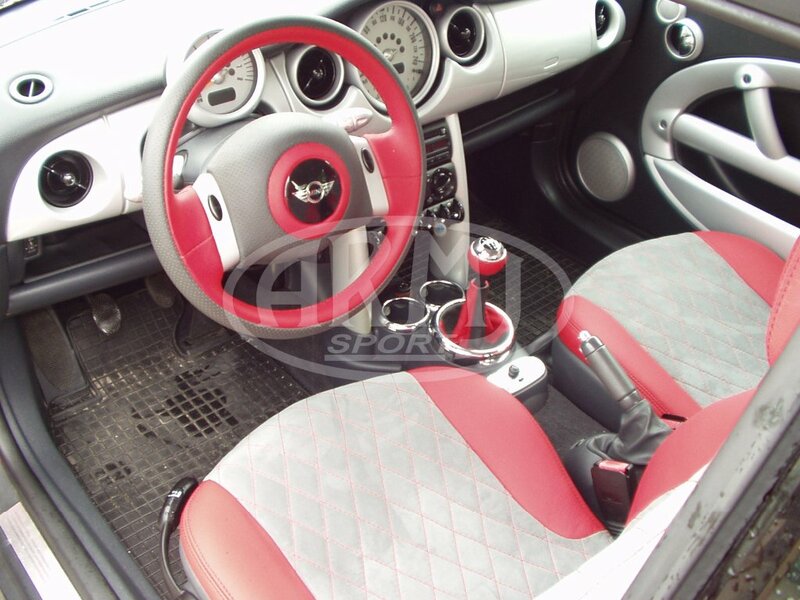 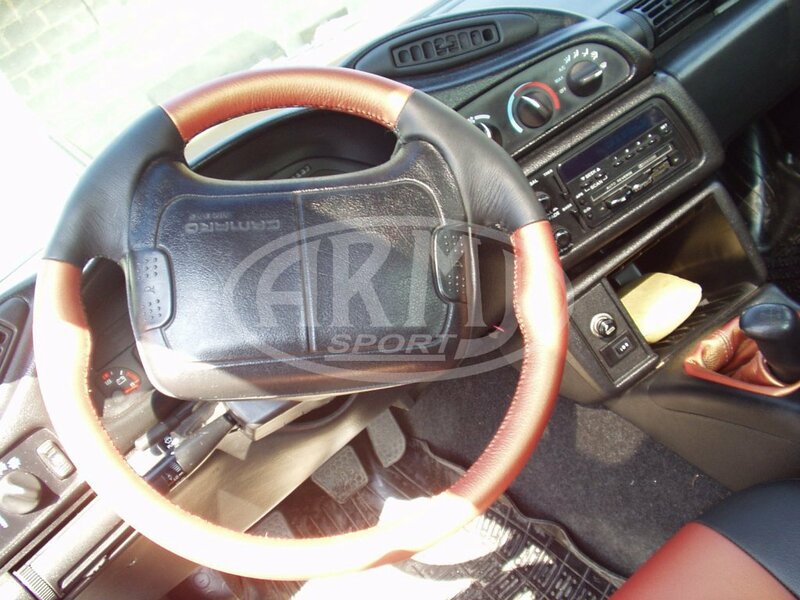 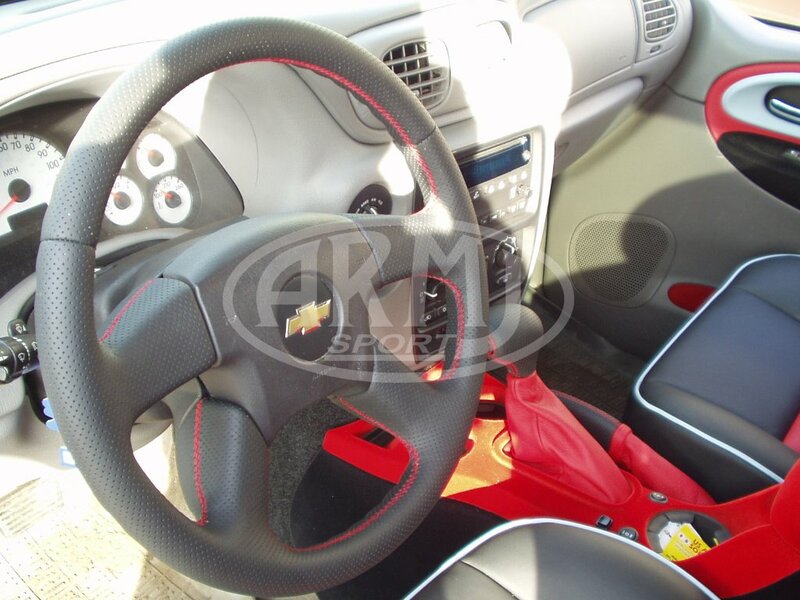 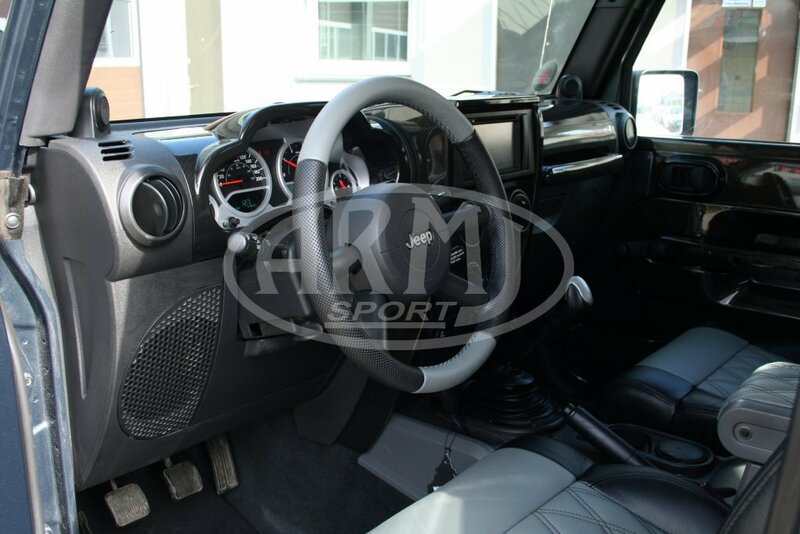 Seats, steering wheel and knob trimmed with natural leather and quilted alcantara. 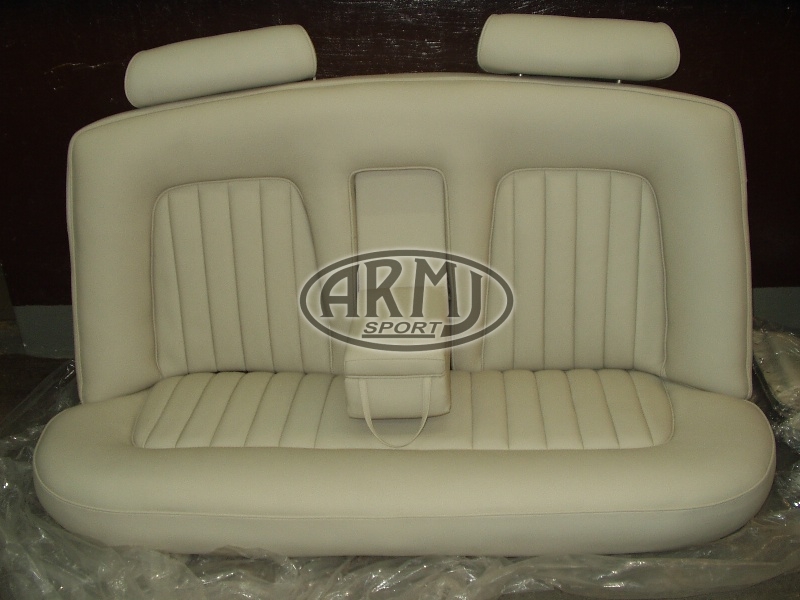 Set upholstery made ​​of imitation leather. 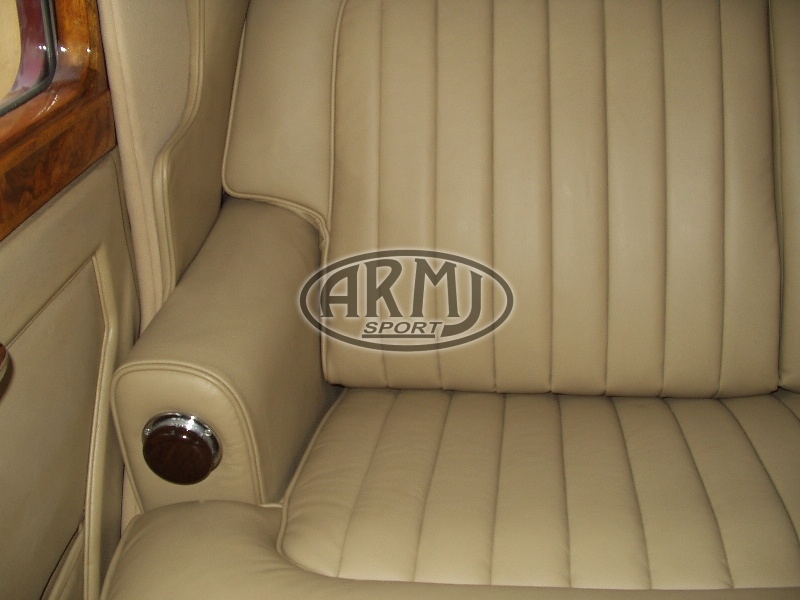 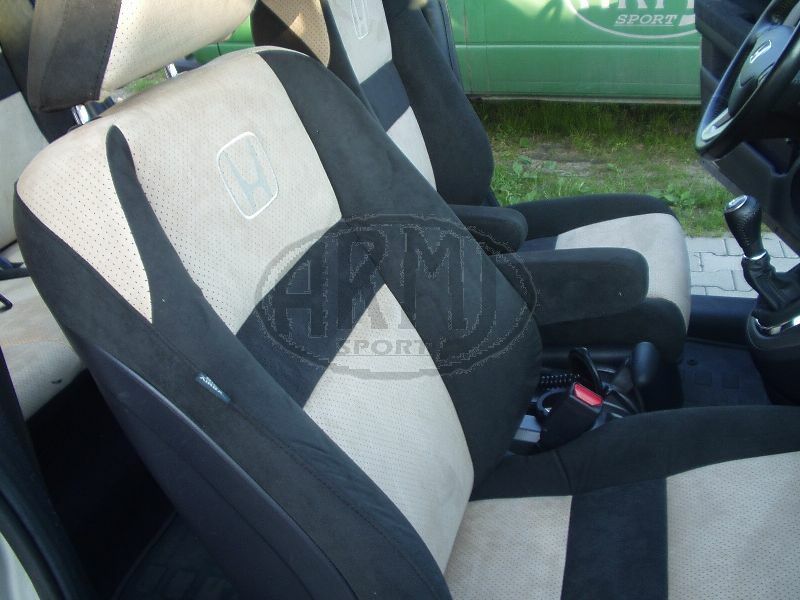 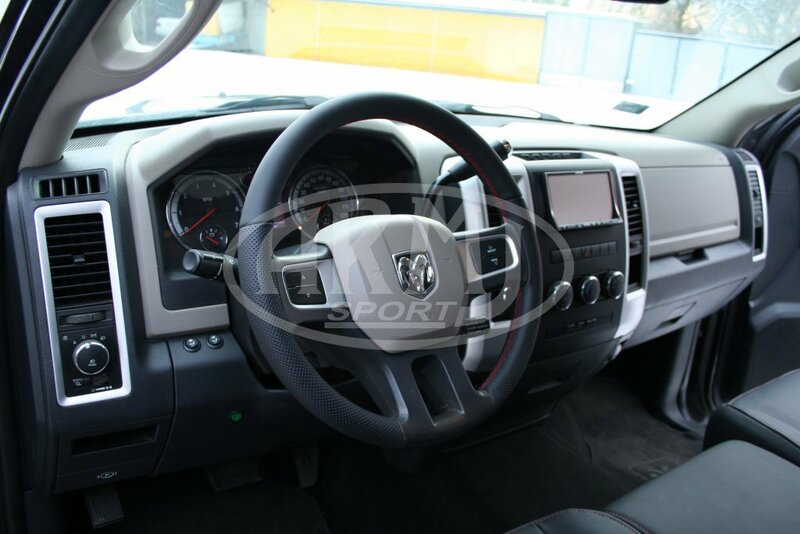 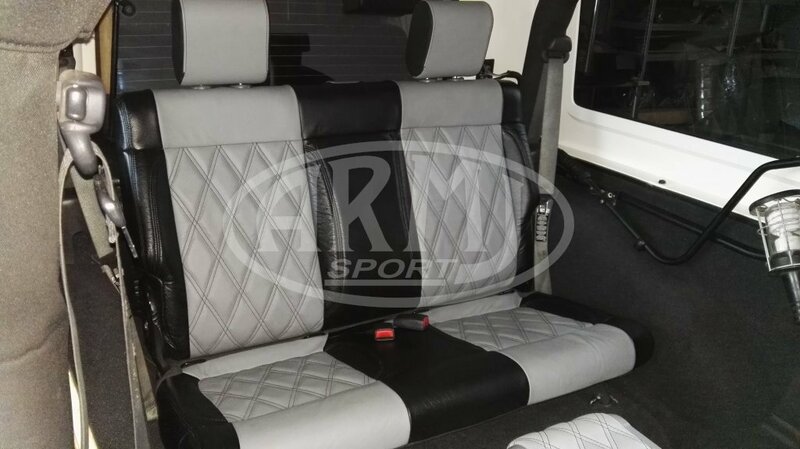 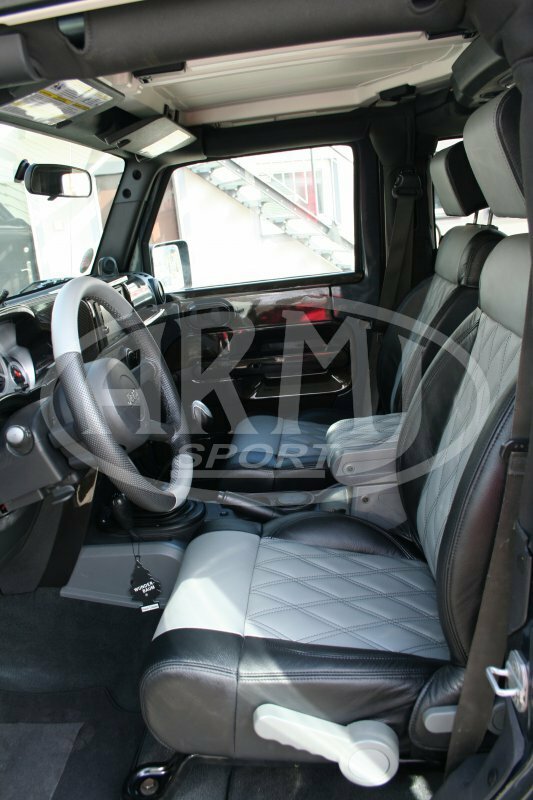 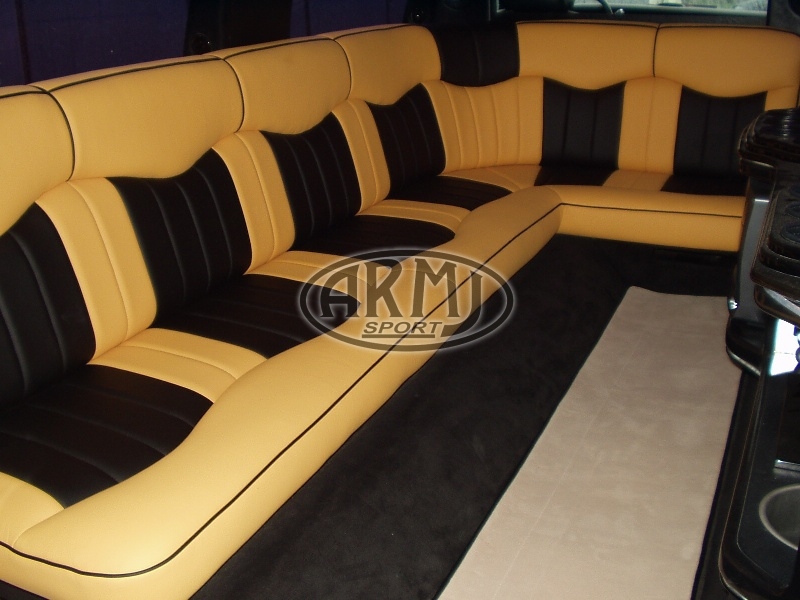 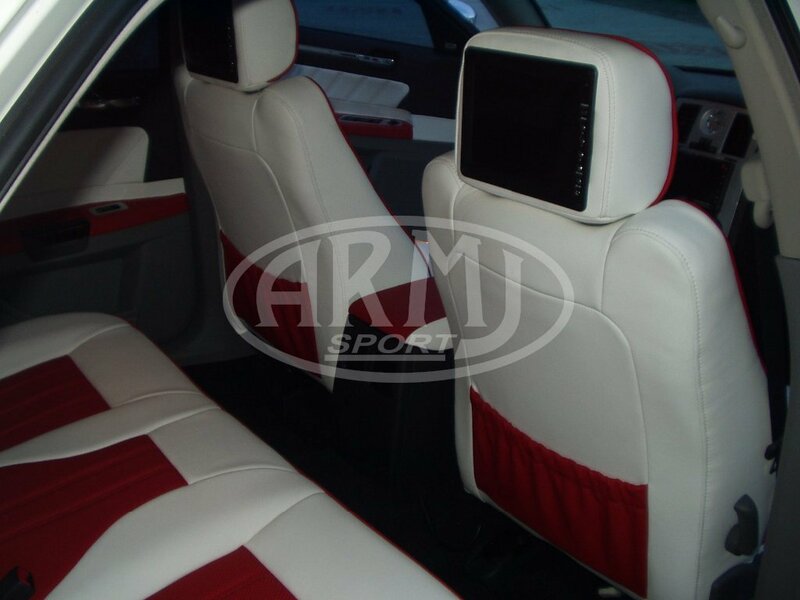 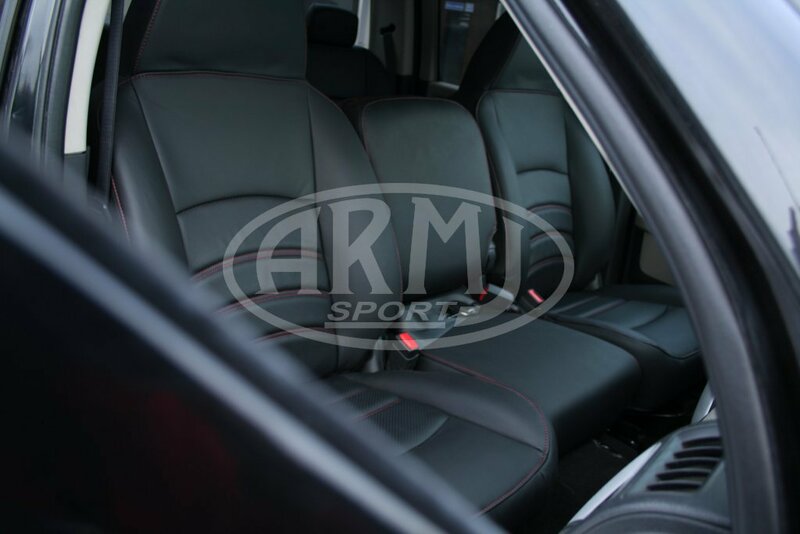 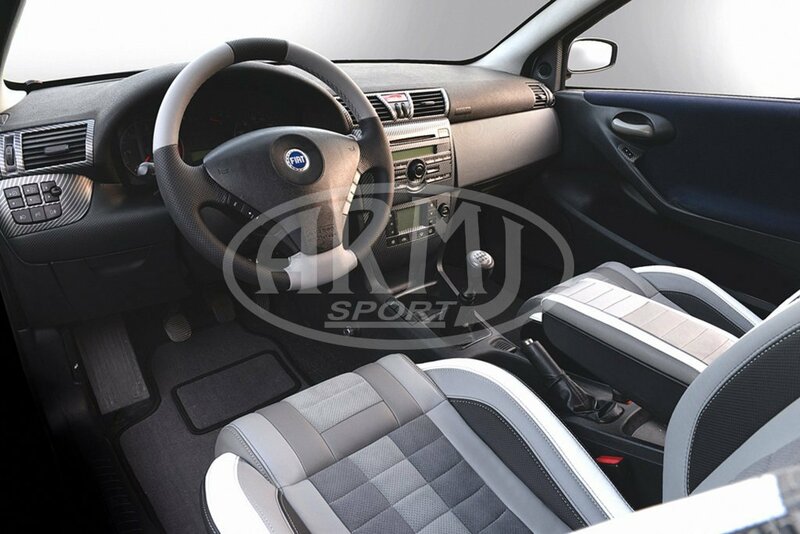 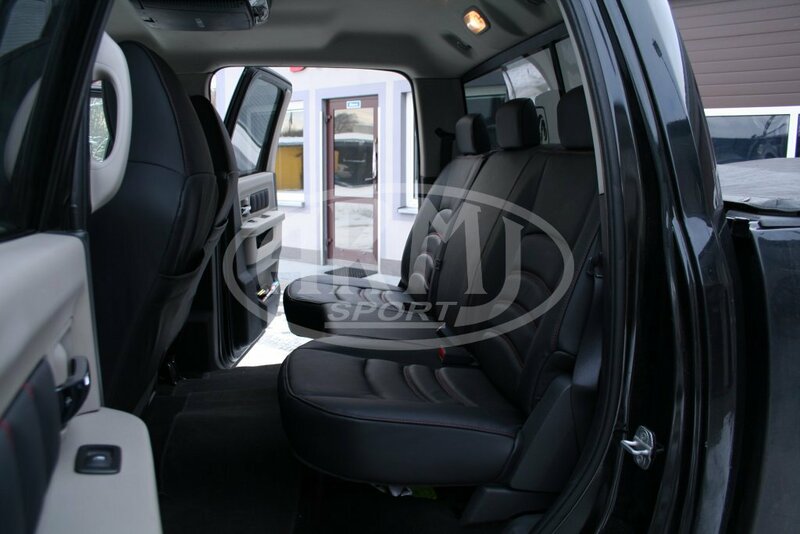 The whole interior trimmed with eco-leather combined with fabric. 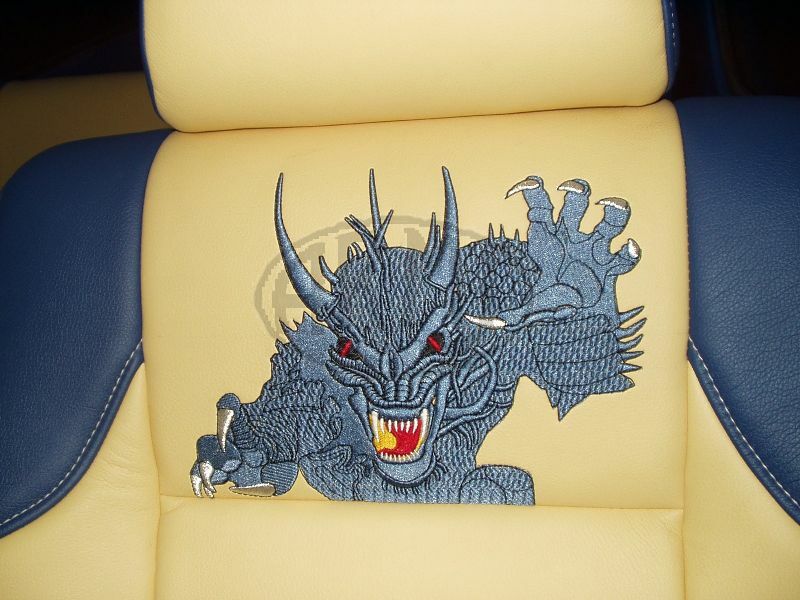 Quilting made using ultrasounds. 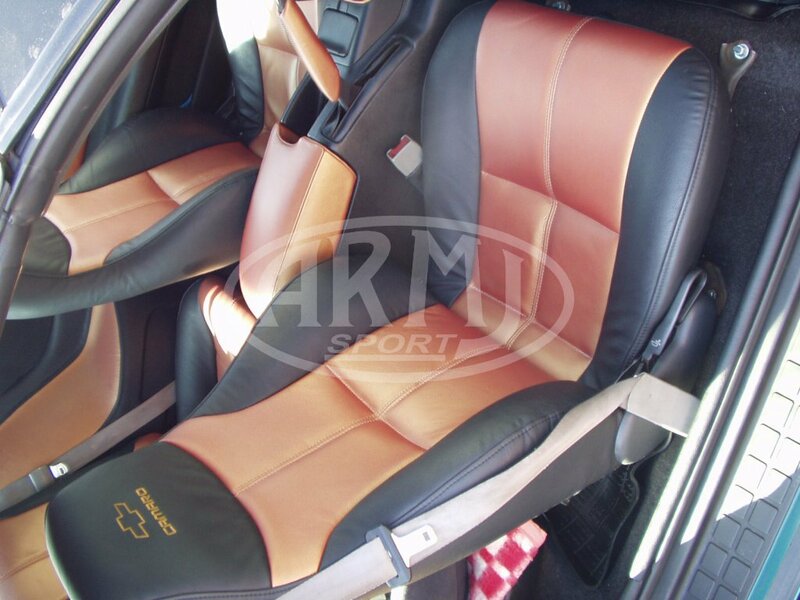 Interior trimming, combination of fabrics with natural leather, eco-leather and flock. 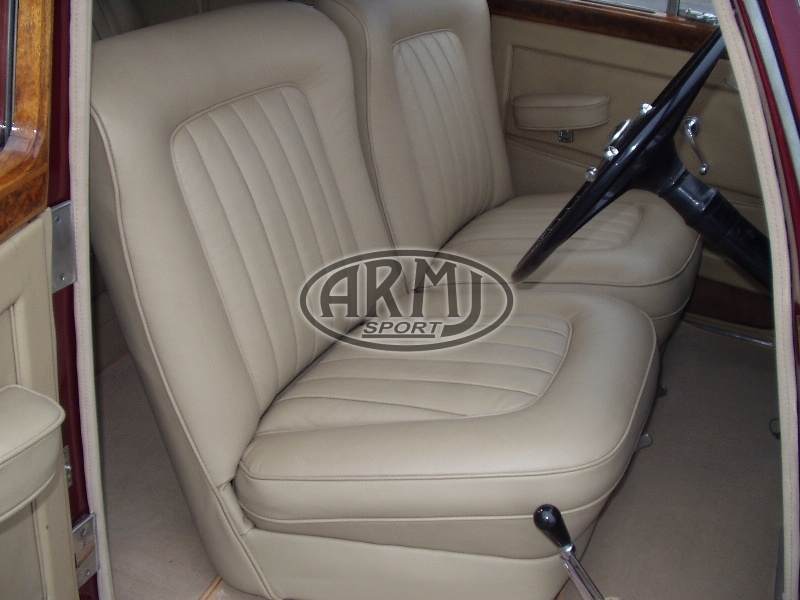 Made in leather upholstery complete the original from 1960. 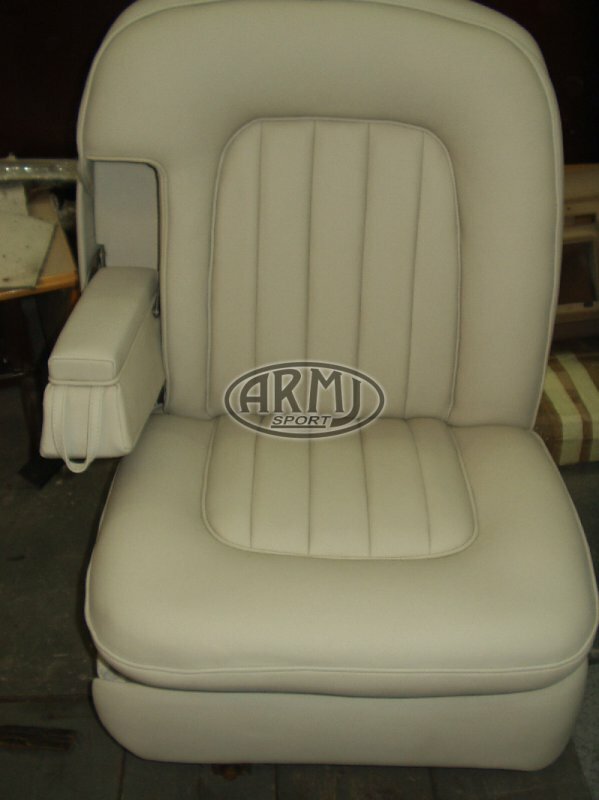 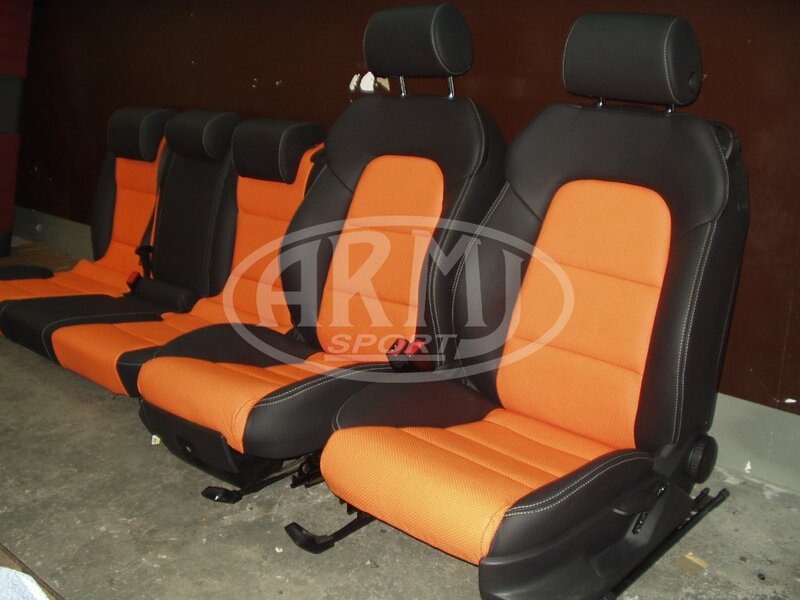 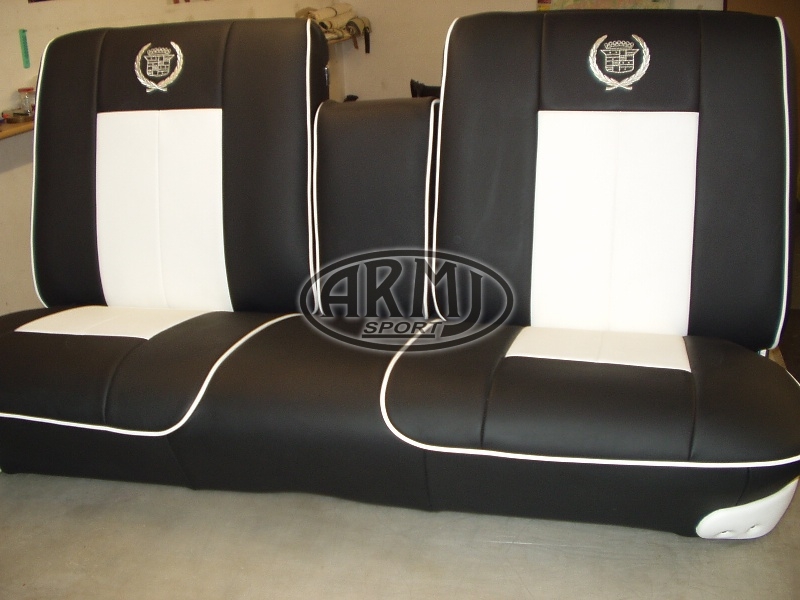 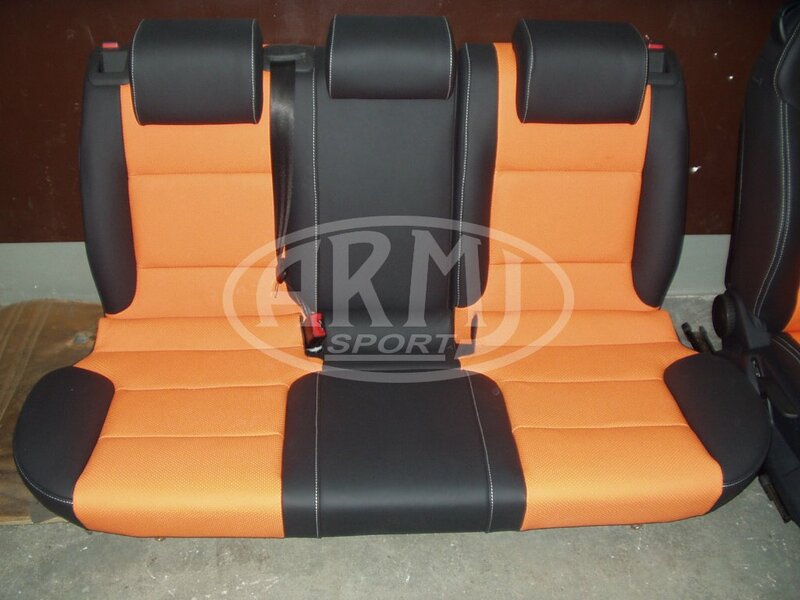 Lining artificial leather and fabric seats. 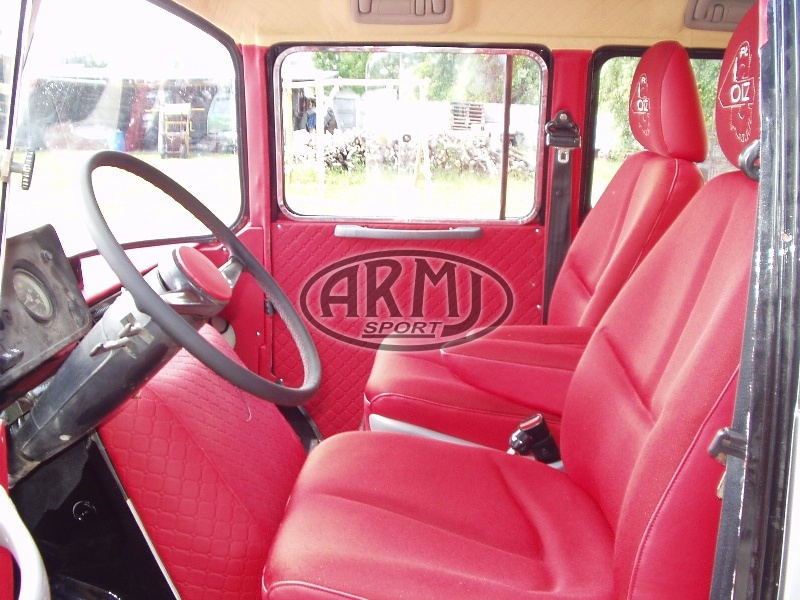 Complete interior of the original in nappa leather. 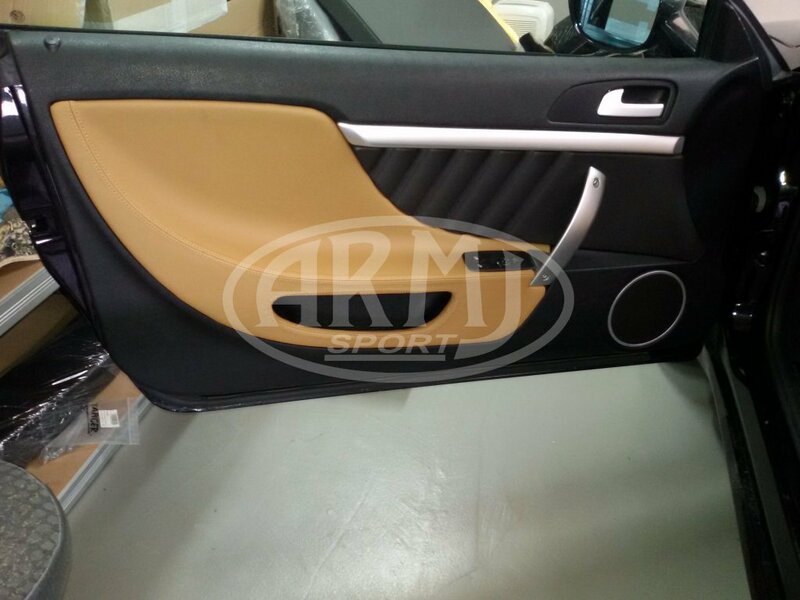 On request, all the elements have been trimmed white skin. 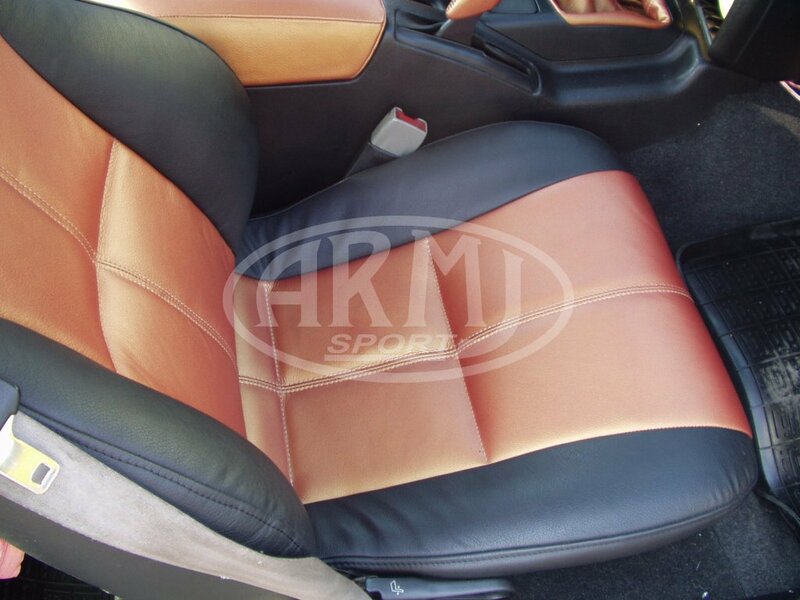 For comparison, old and new trimming with nappa leather. 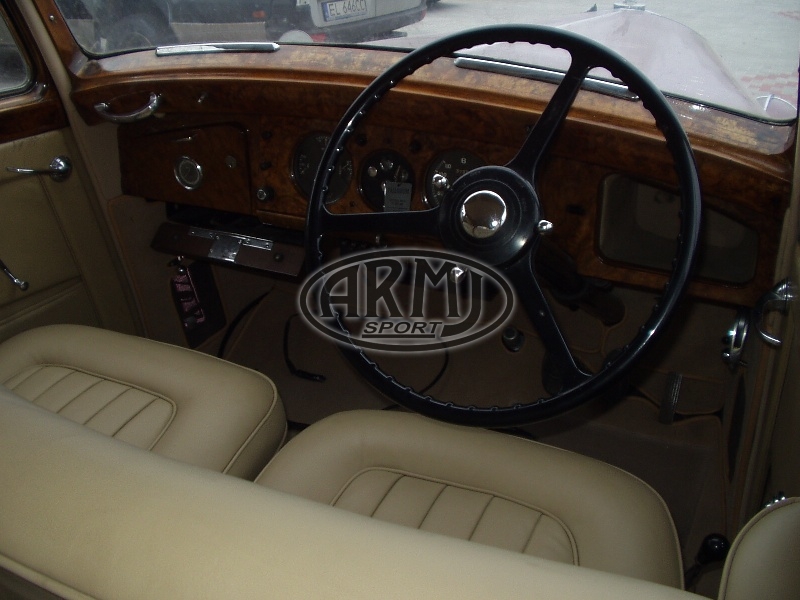 Combination of almost all elements, i.e. 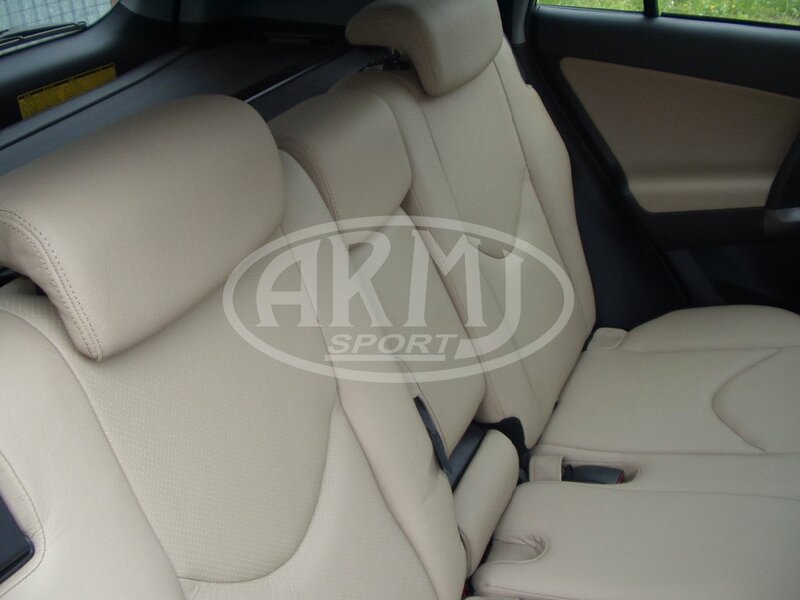 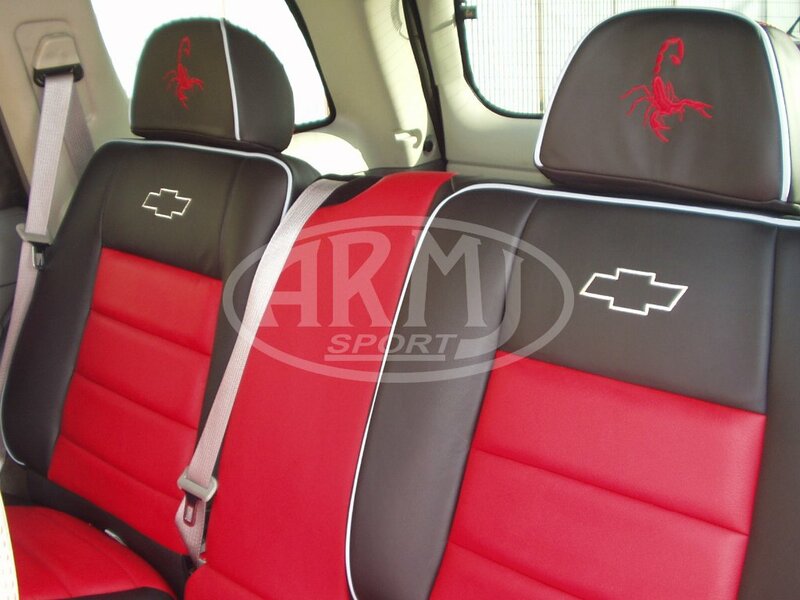 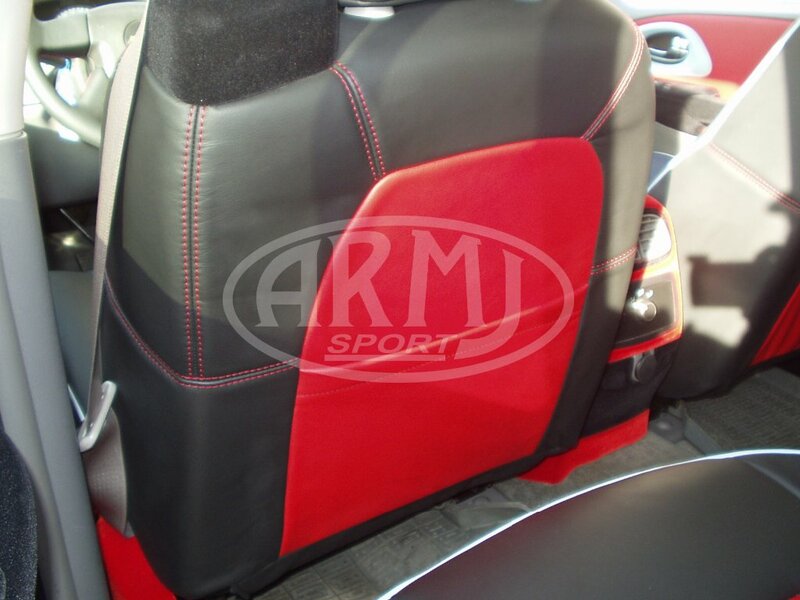 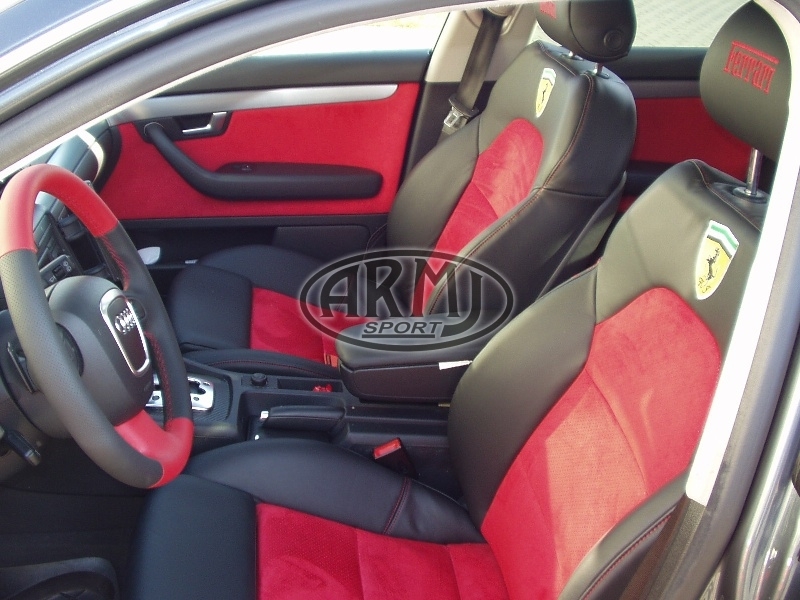 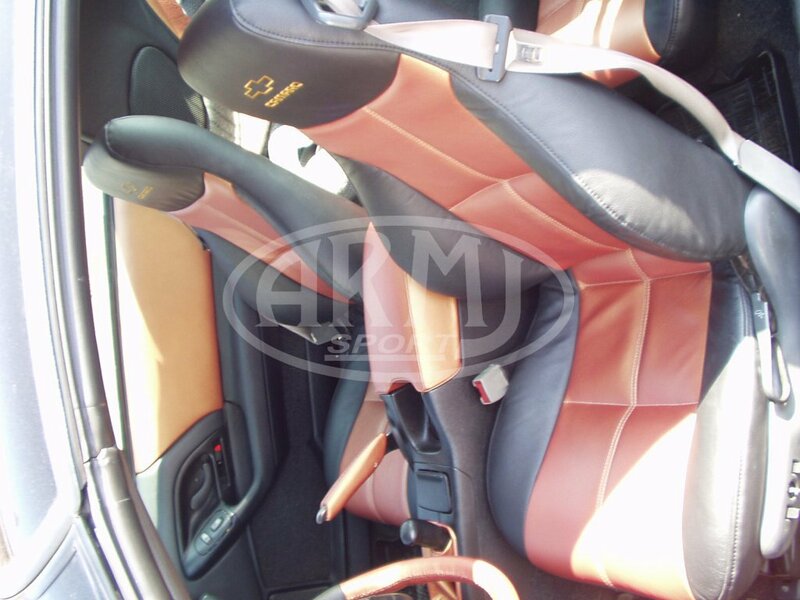 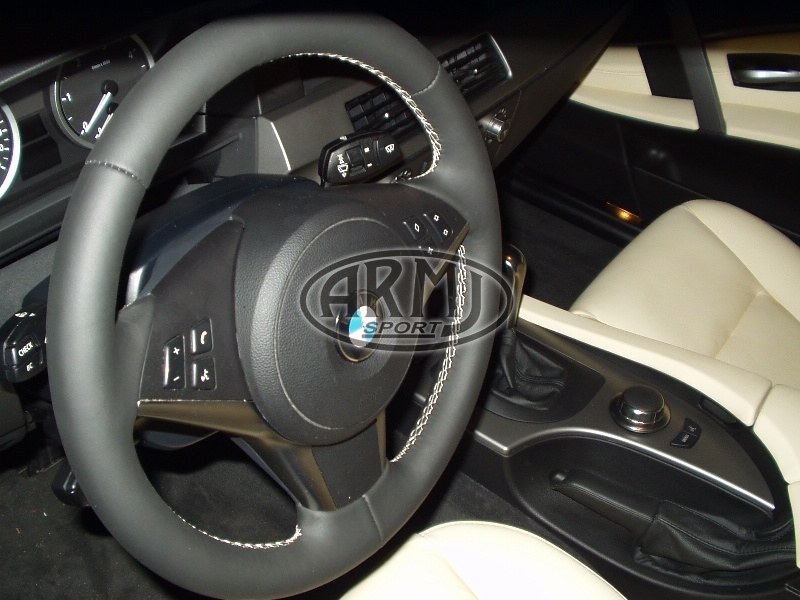 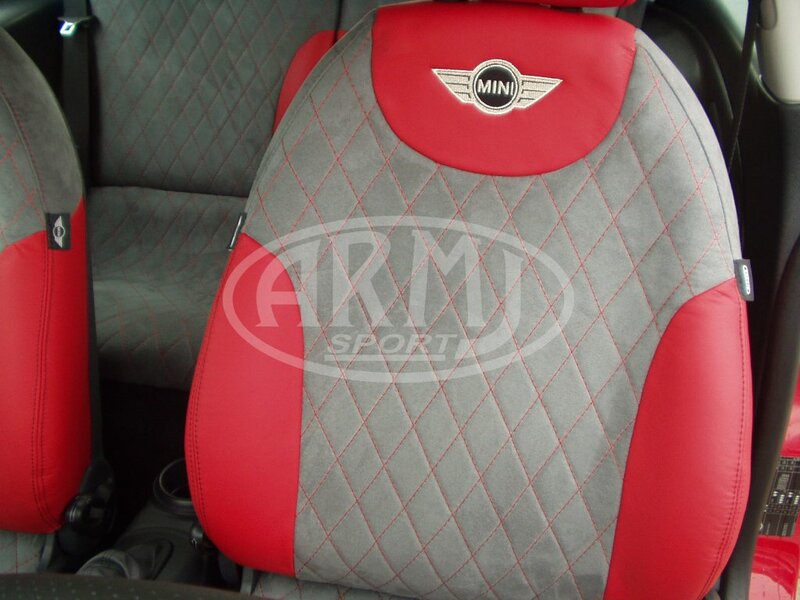 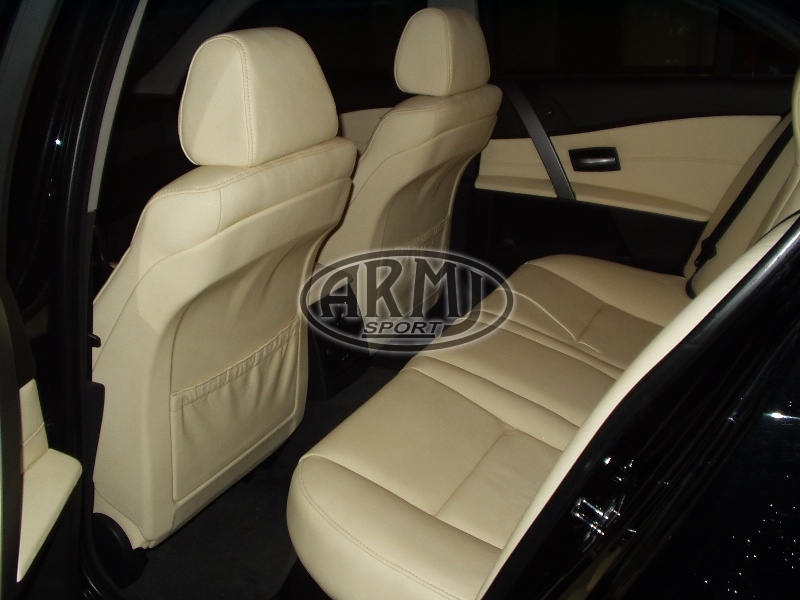 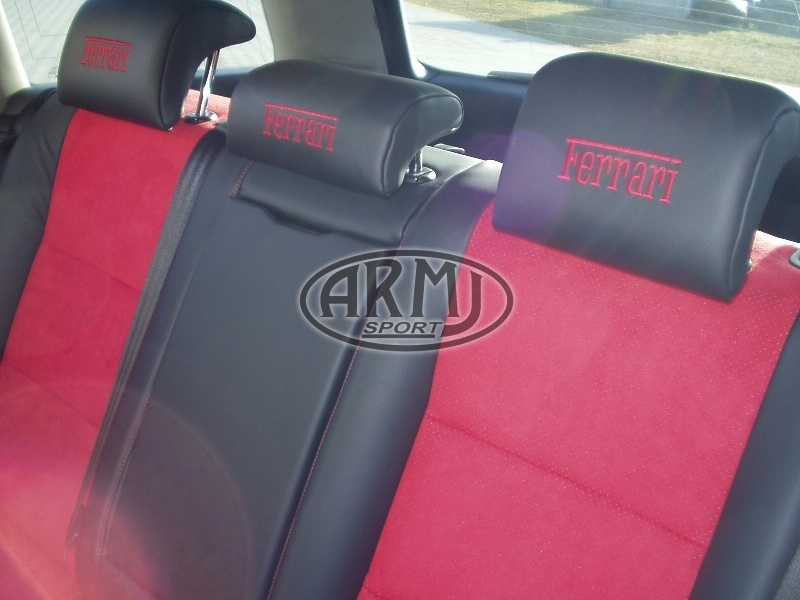 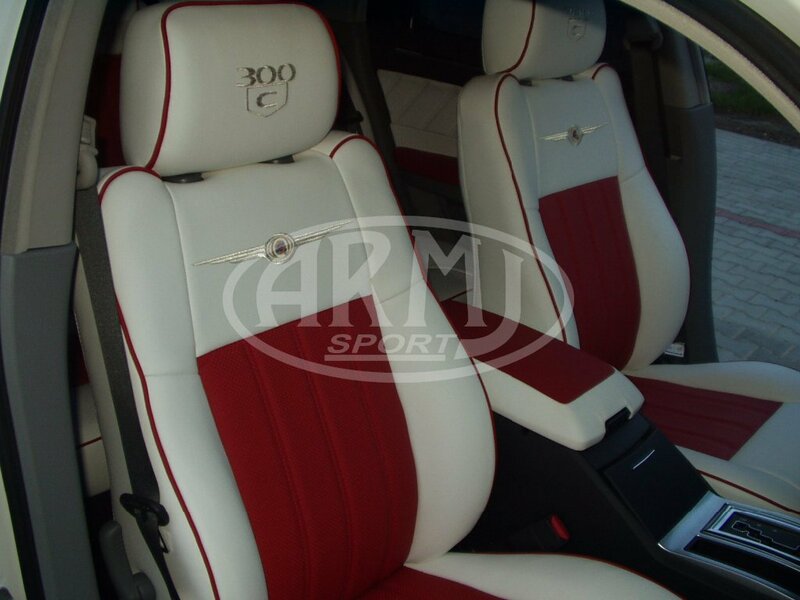 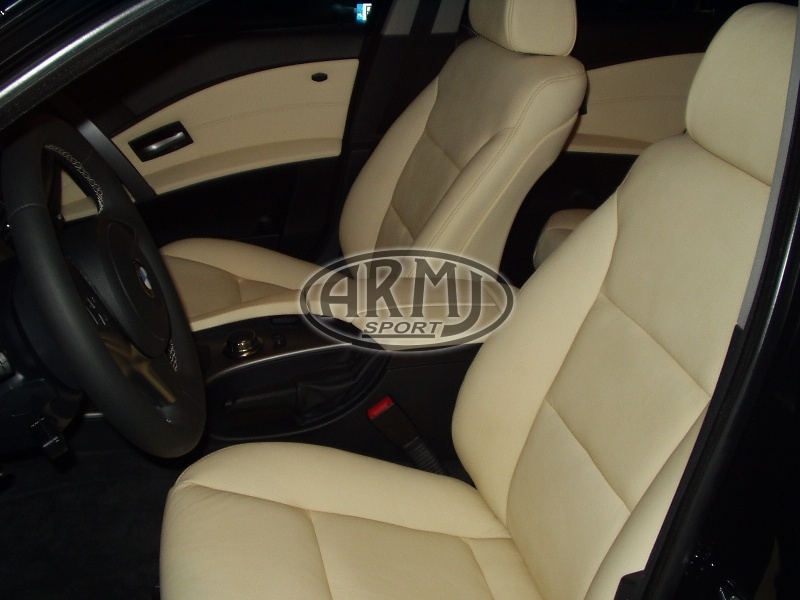 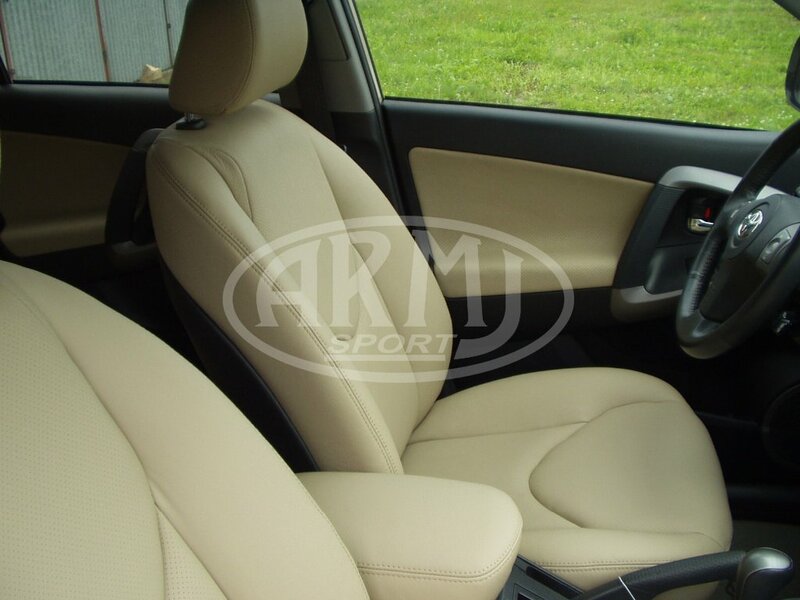 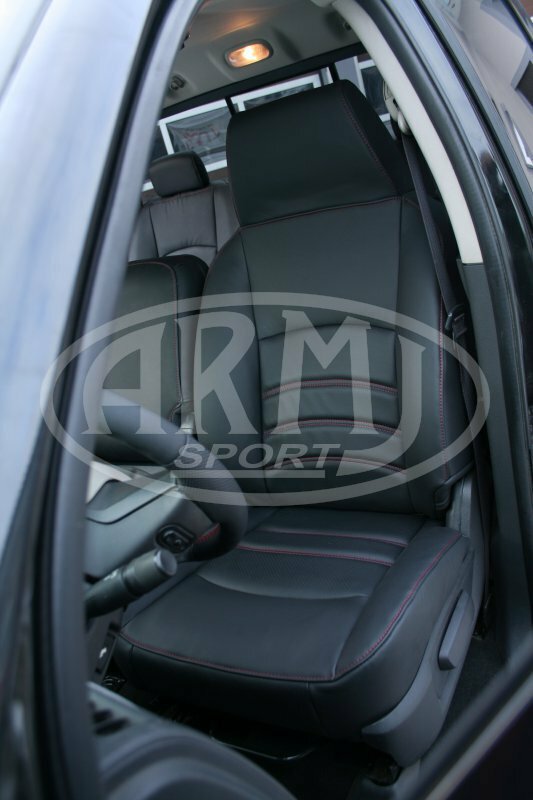 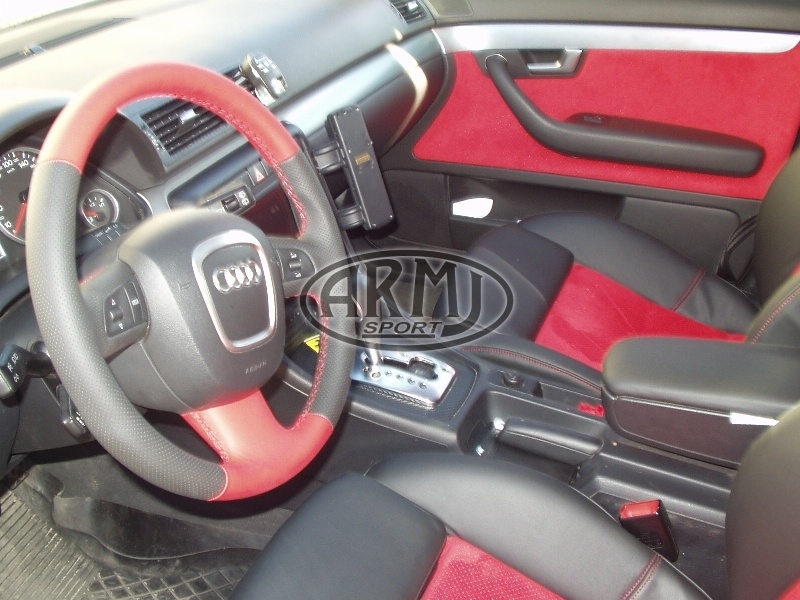 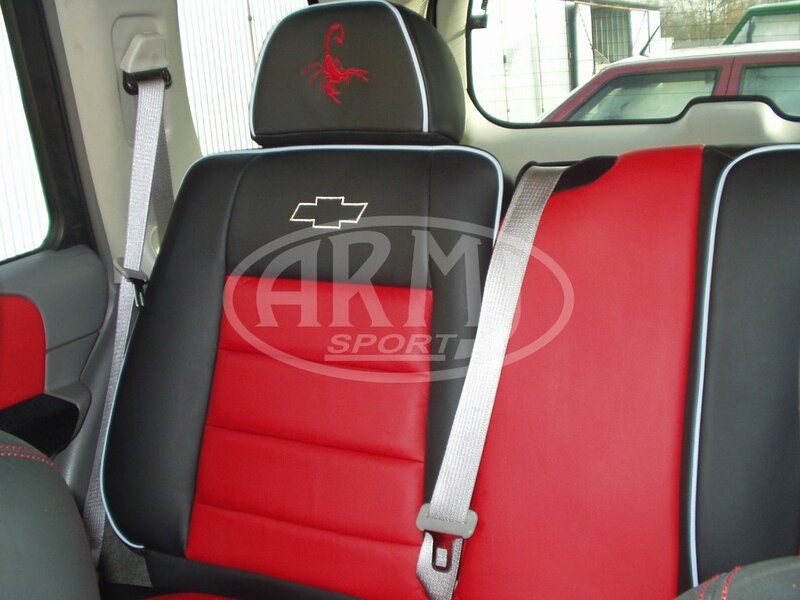 leather, artificial leather, flock and alcantara. 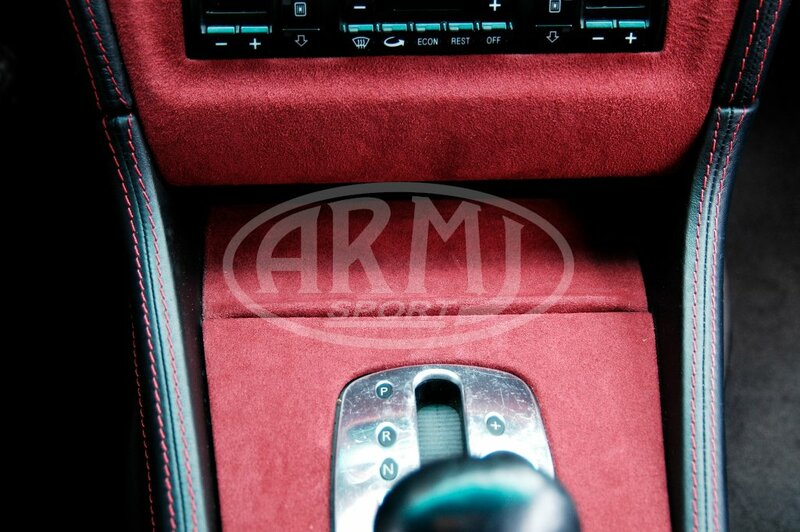 Combination of leather and alcantara, flock. 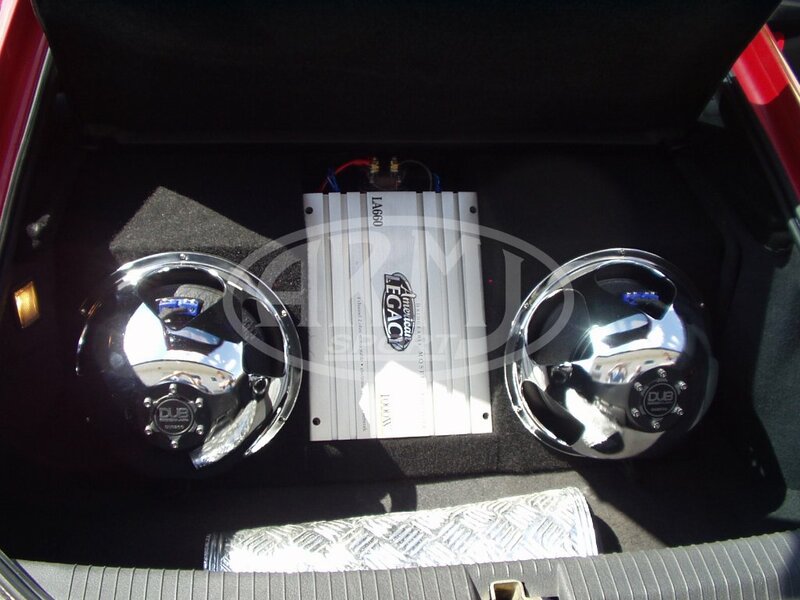 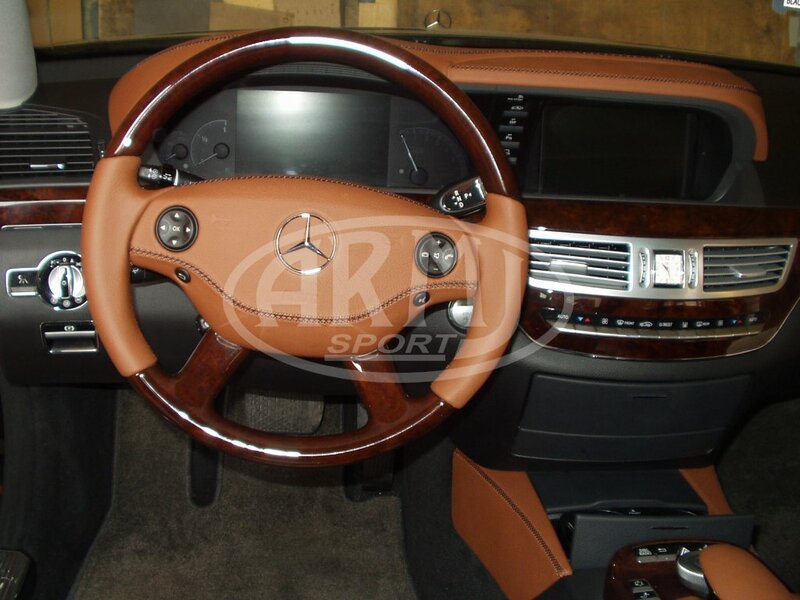 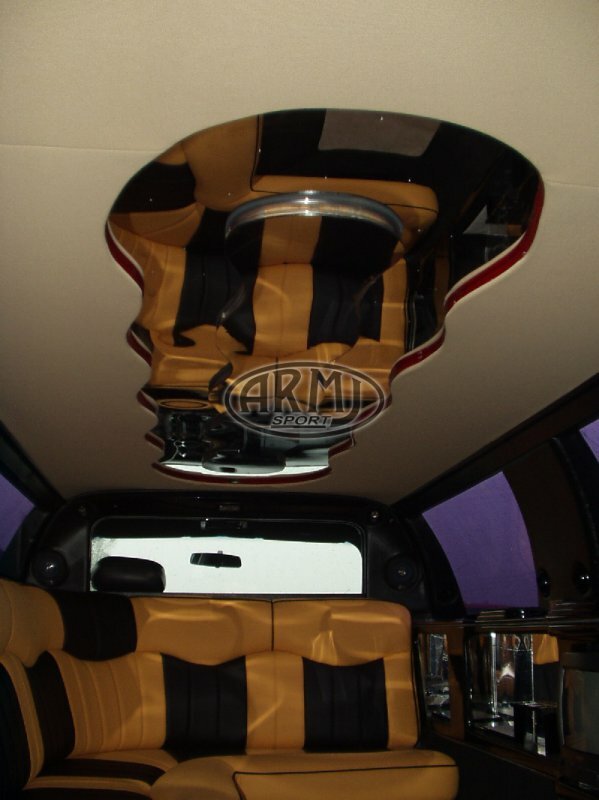 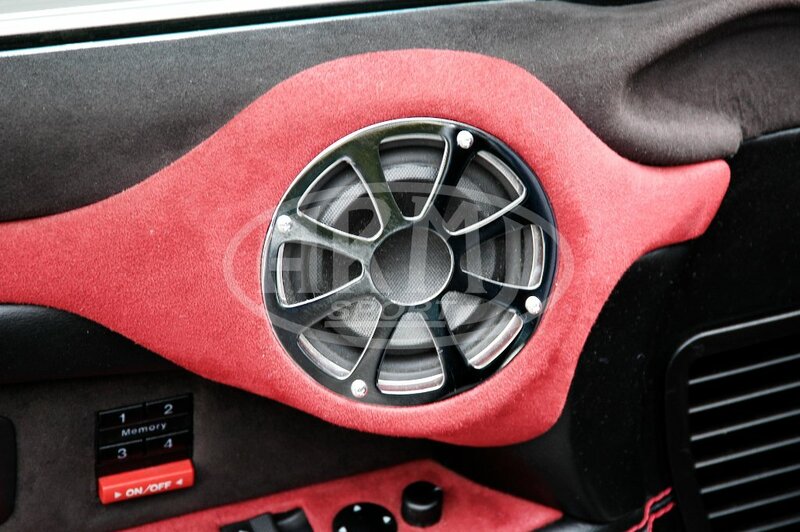 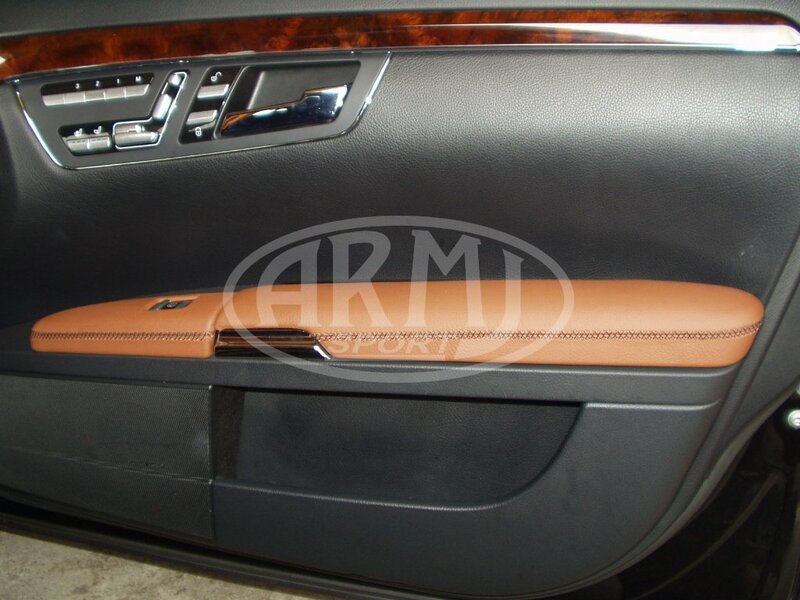 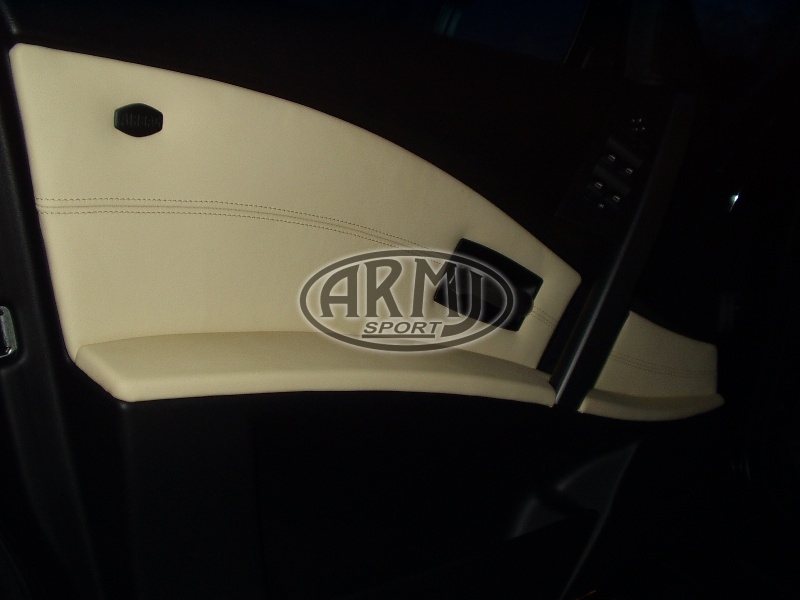 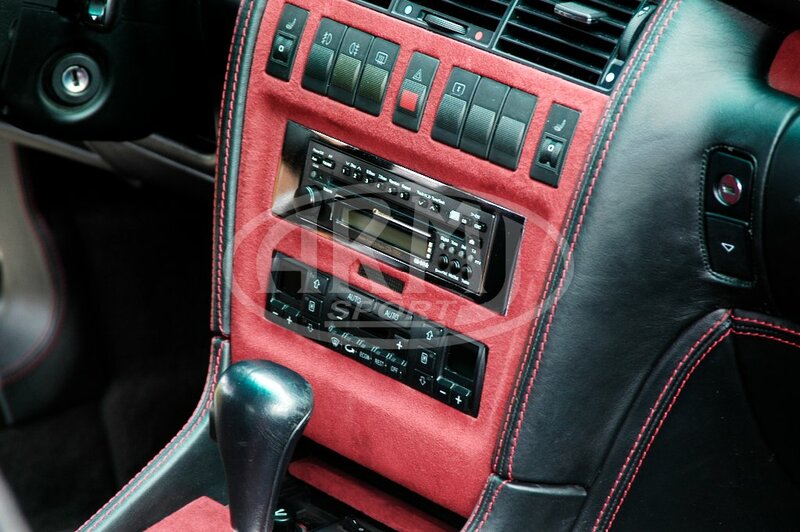 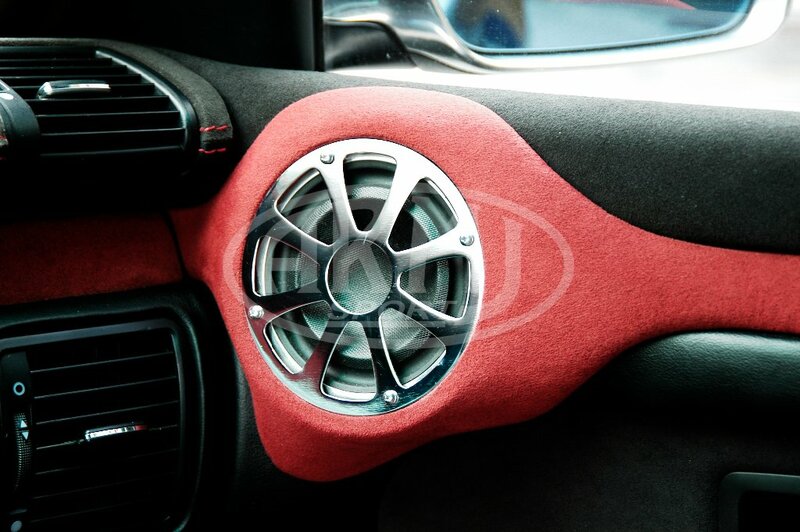 The entire interior made of eco-leather, side covers for the speakers. 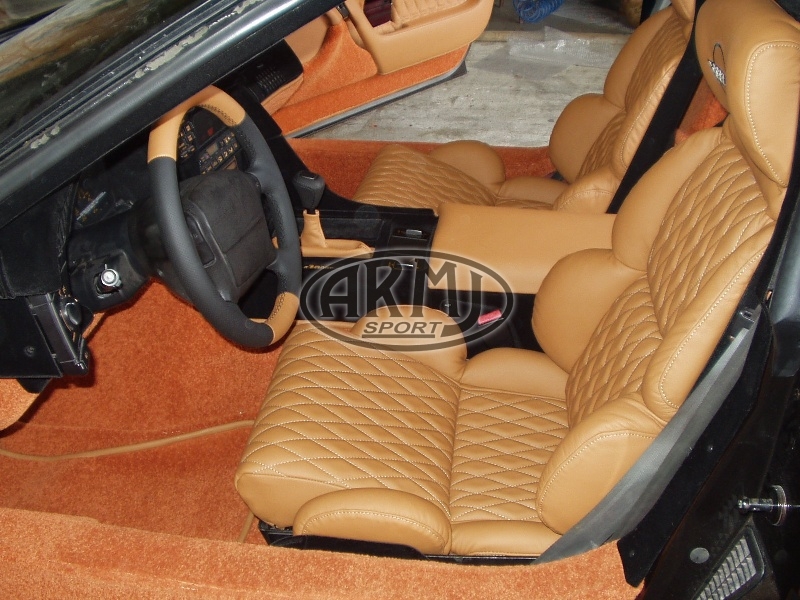 Trimming the interior with natural and perforated leather. 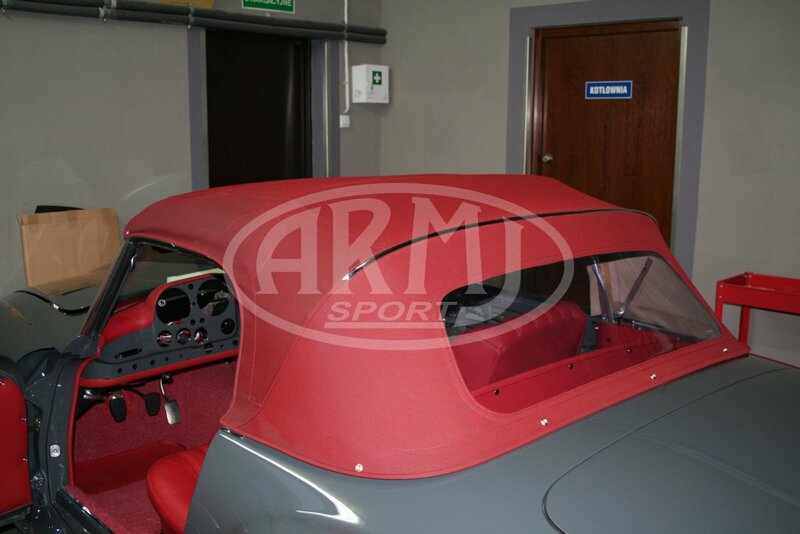 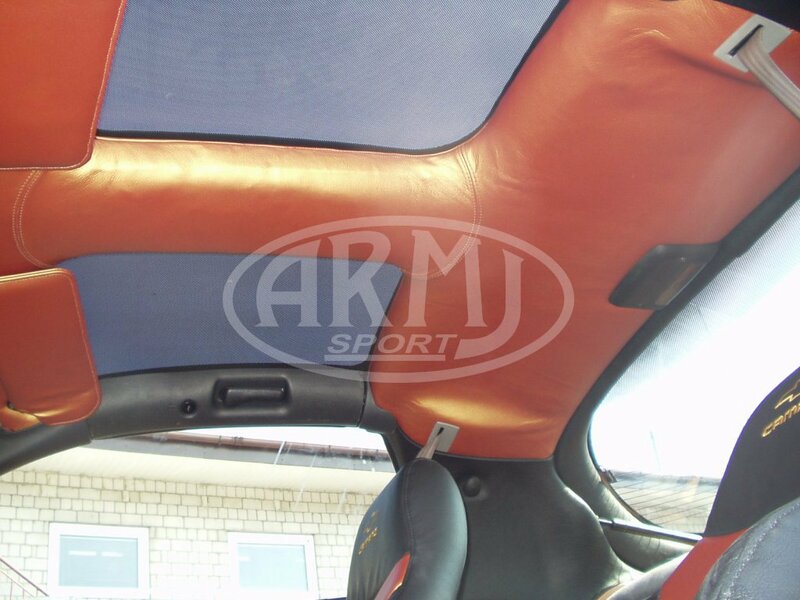 New convertible roof and the whole interior have been sewn. 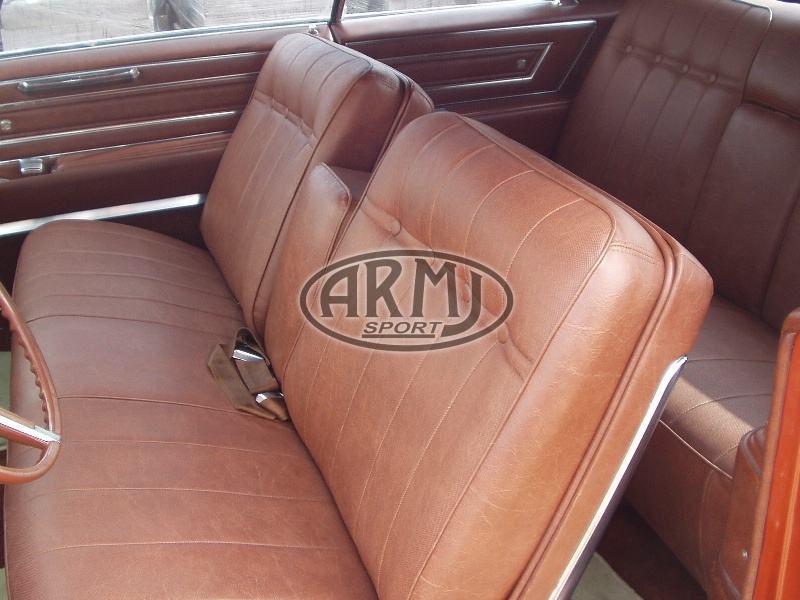 The seats covered with natural leather. 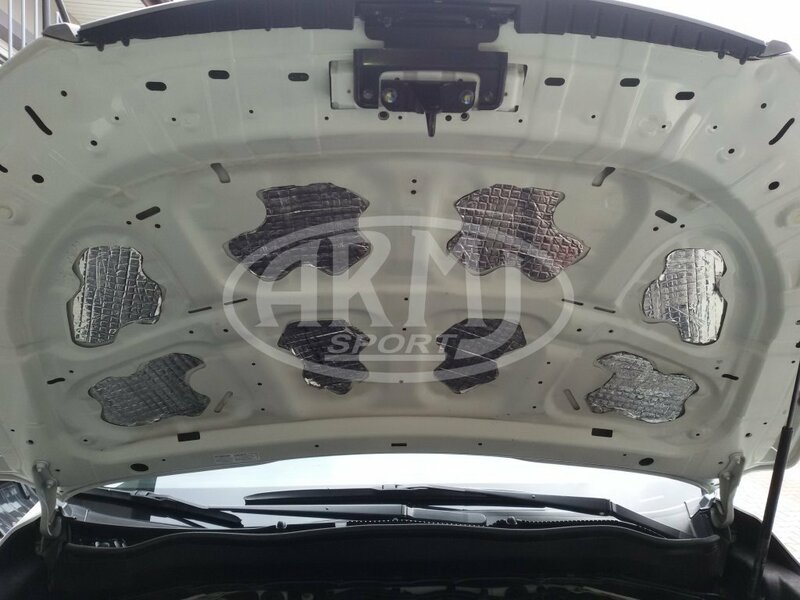 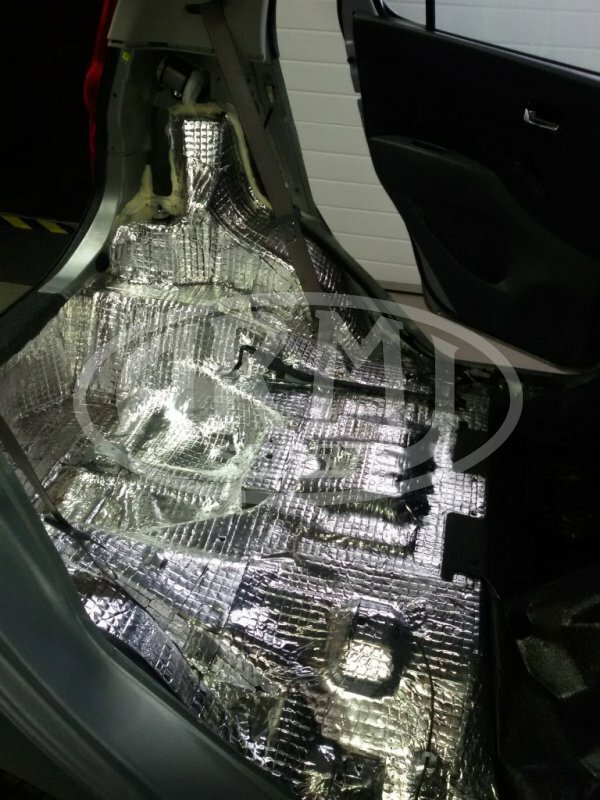 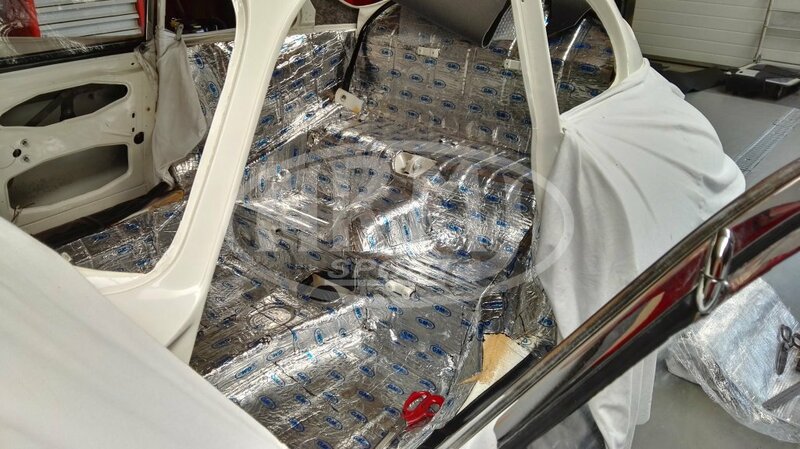 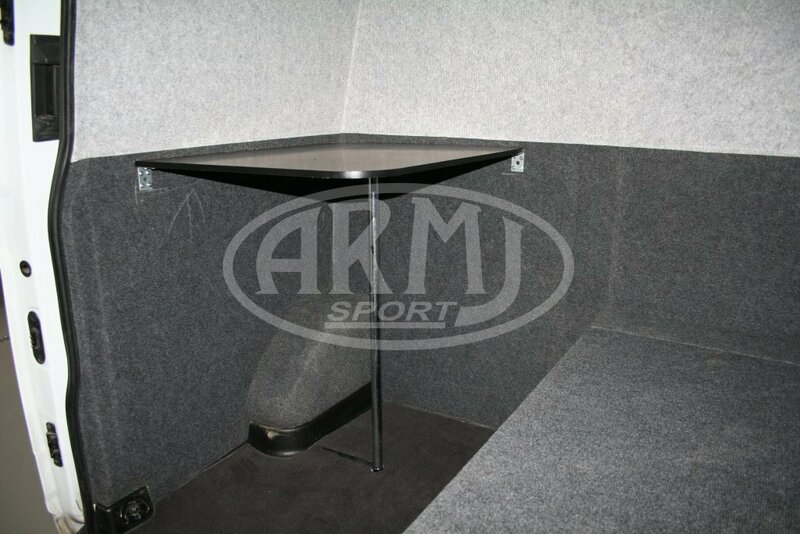 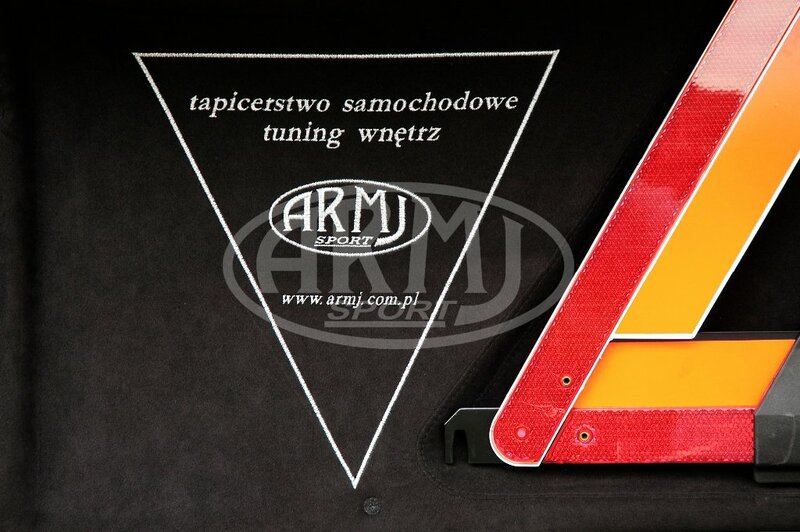 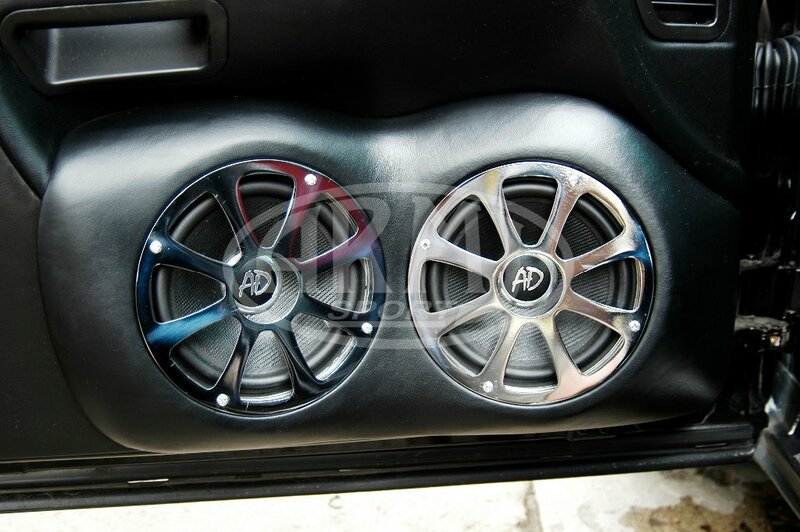 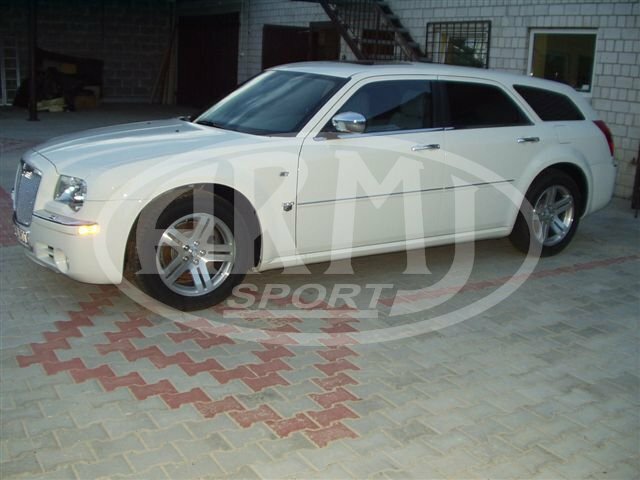 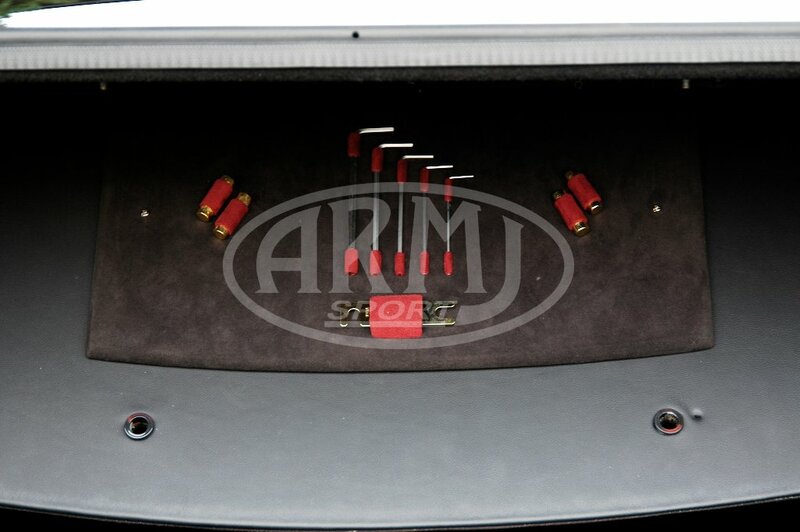 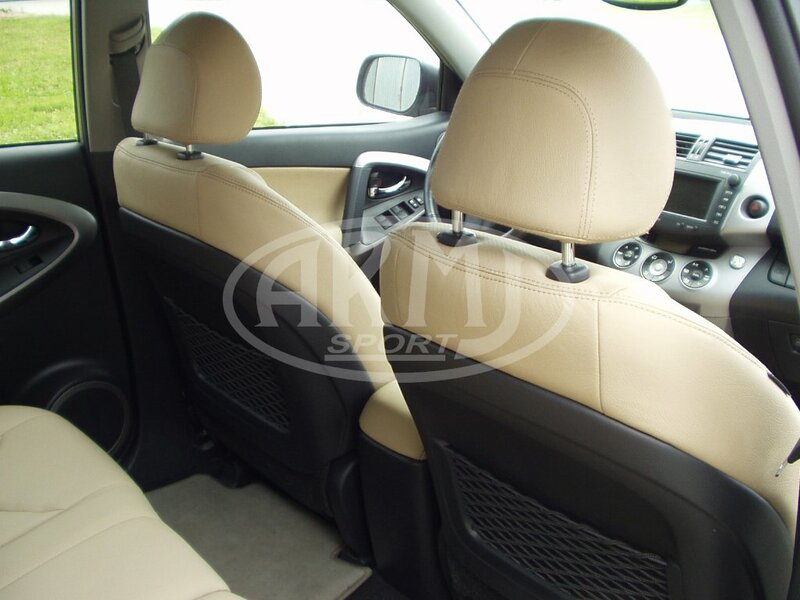 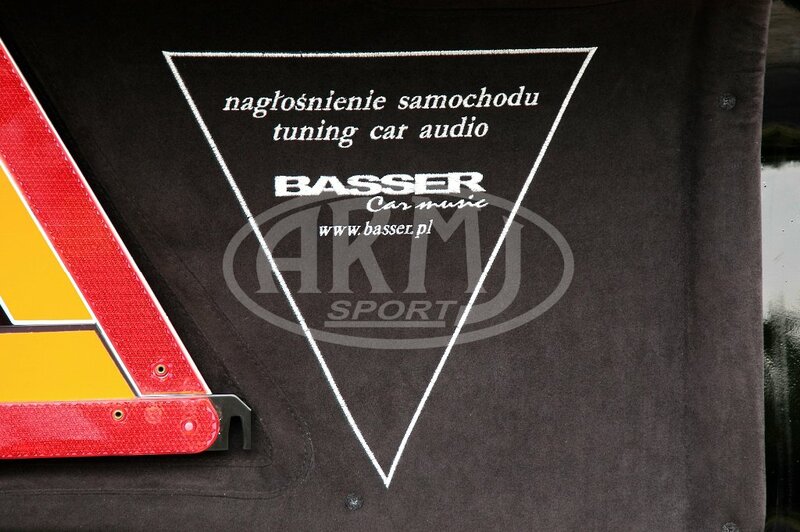 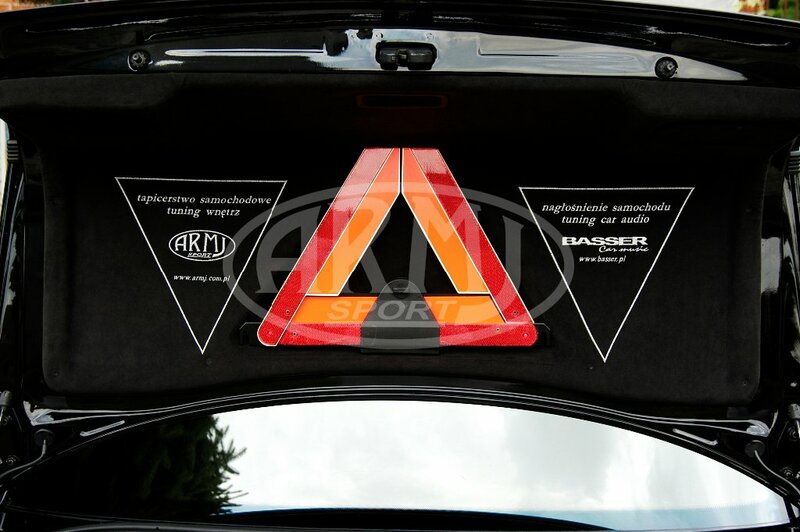 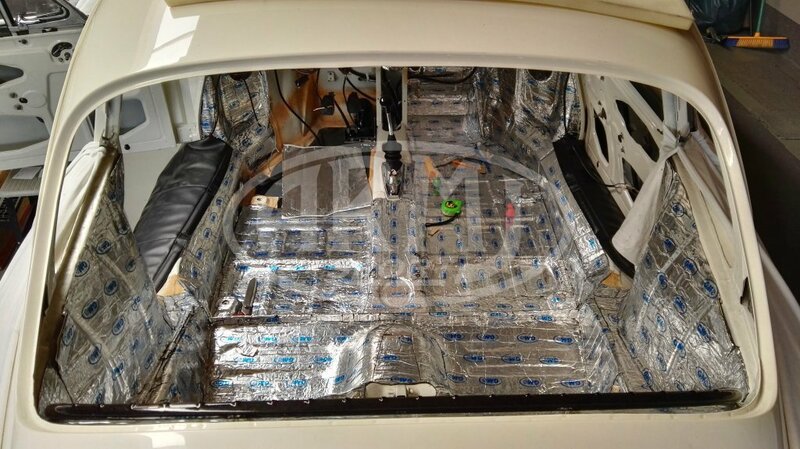 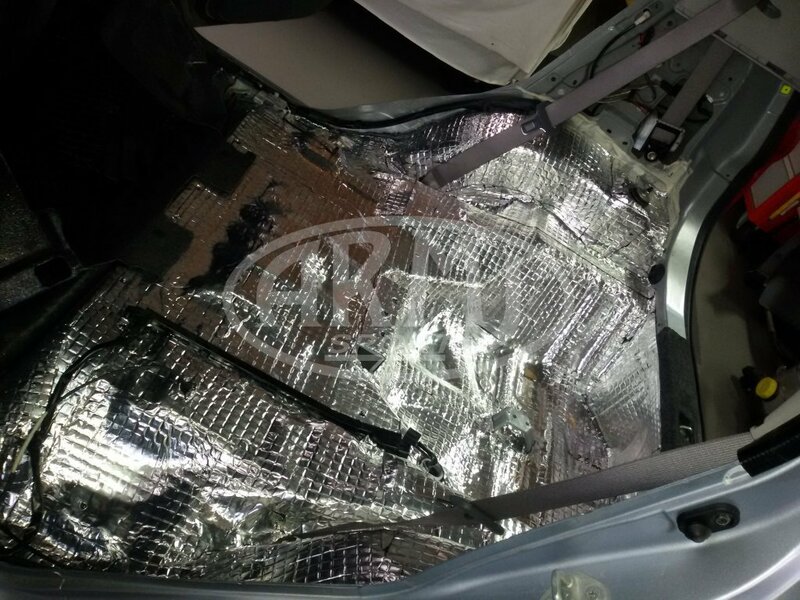 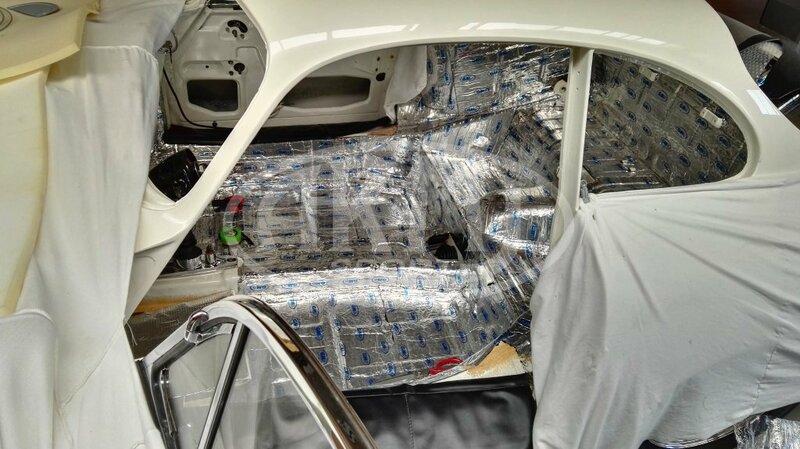 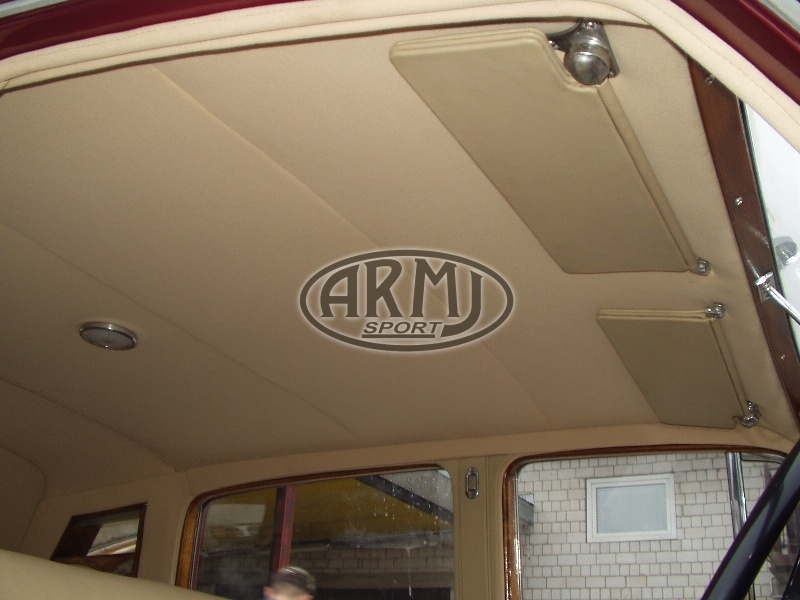 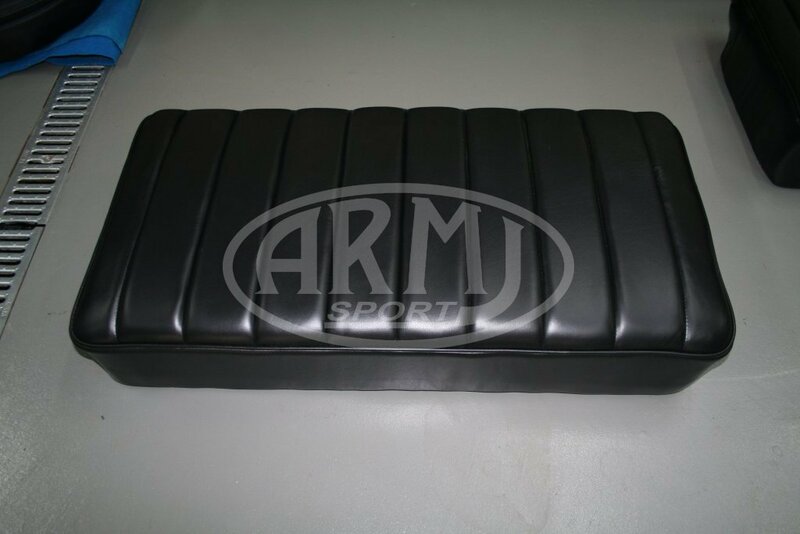 We soundproofing mat aluminum bituminous total body and separate elements: ie, trunk, hood, etc. 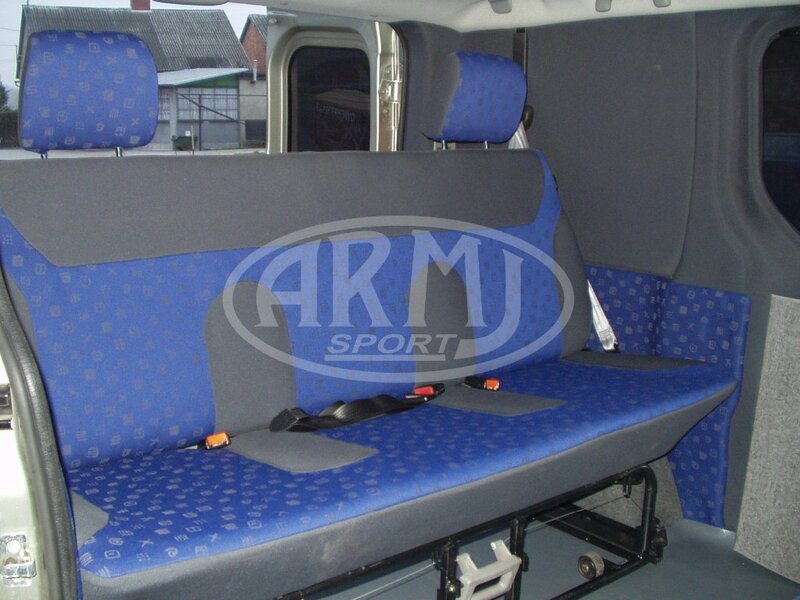 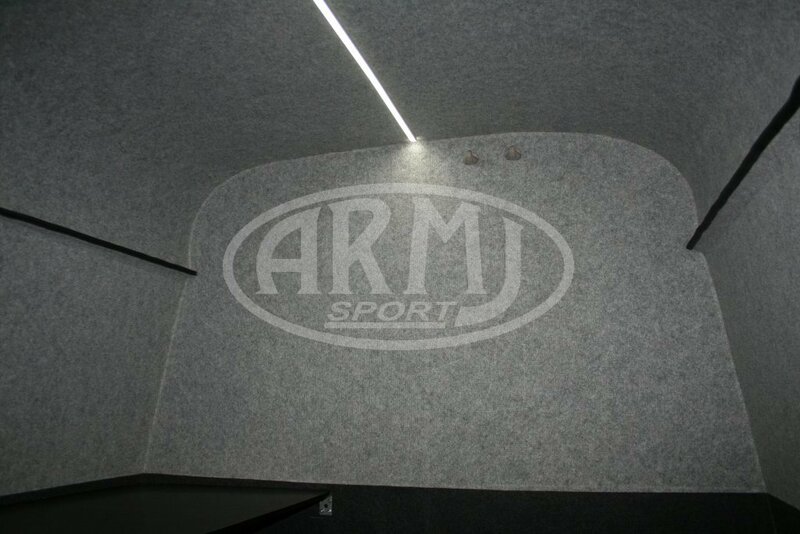 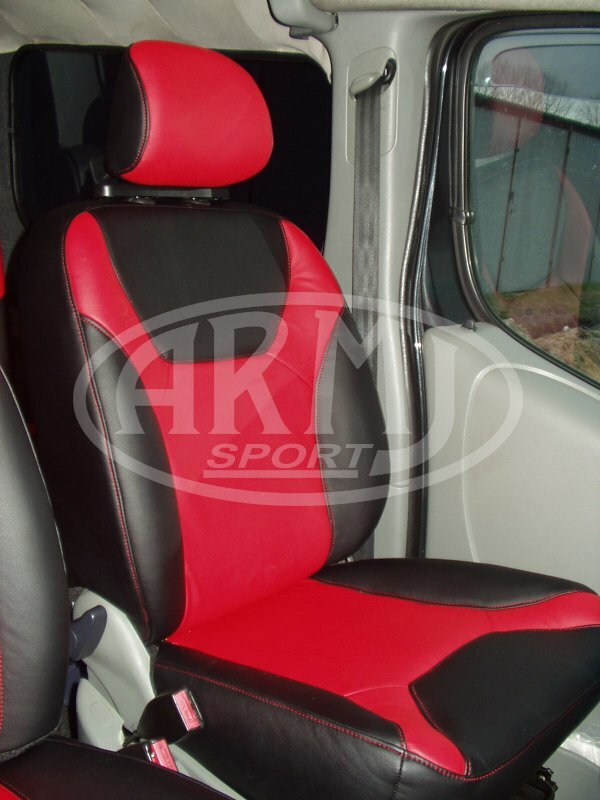 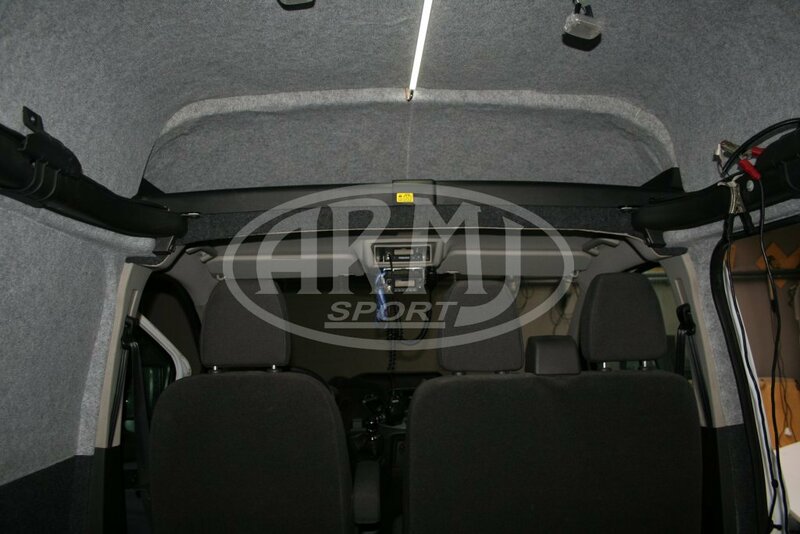 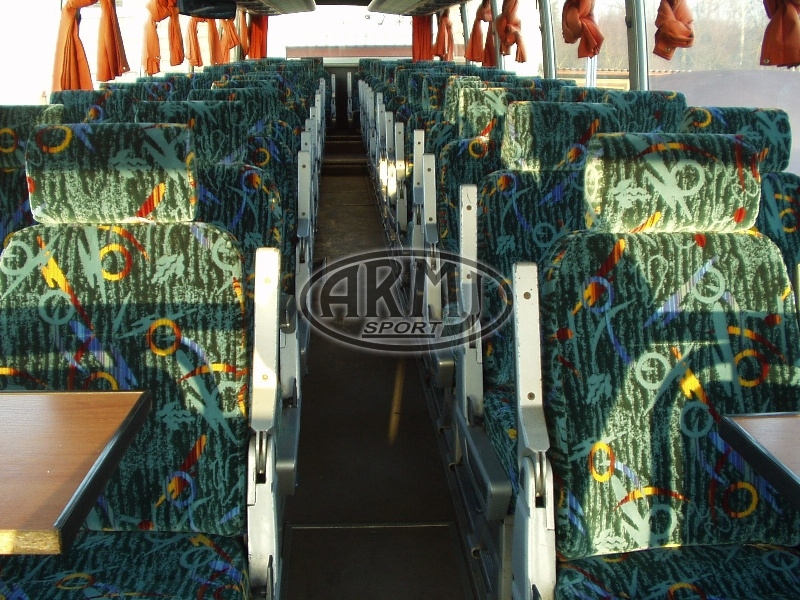 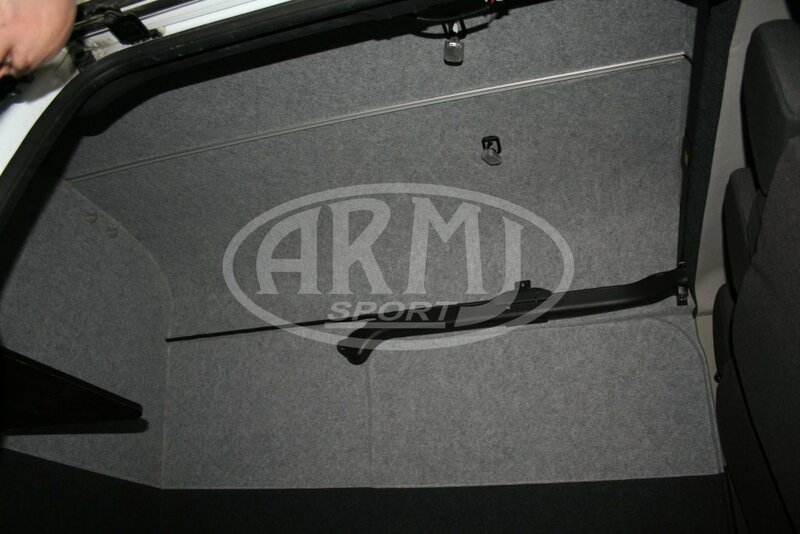 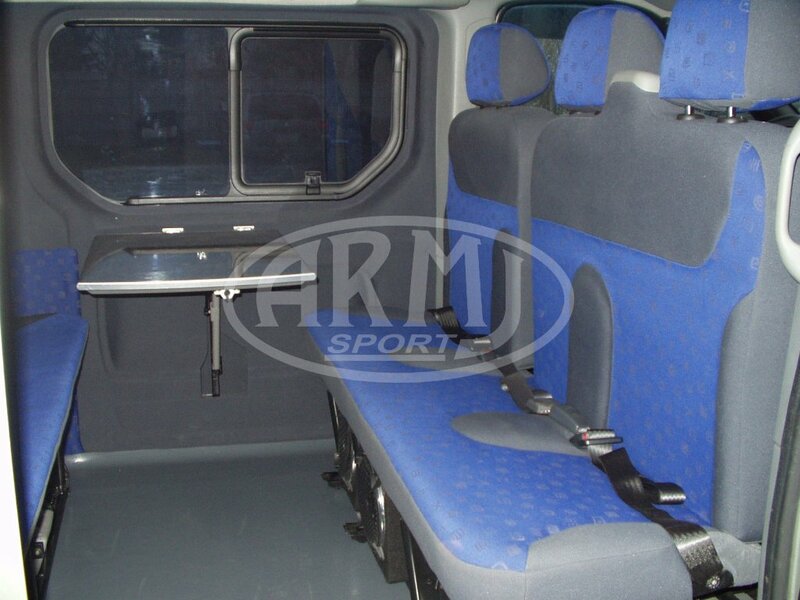 Interior for minibuses and buses. 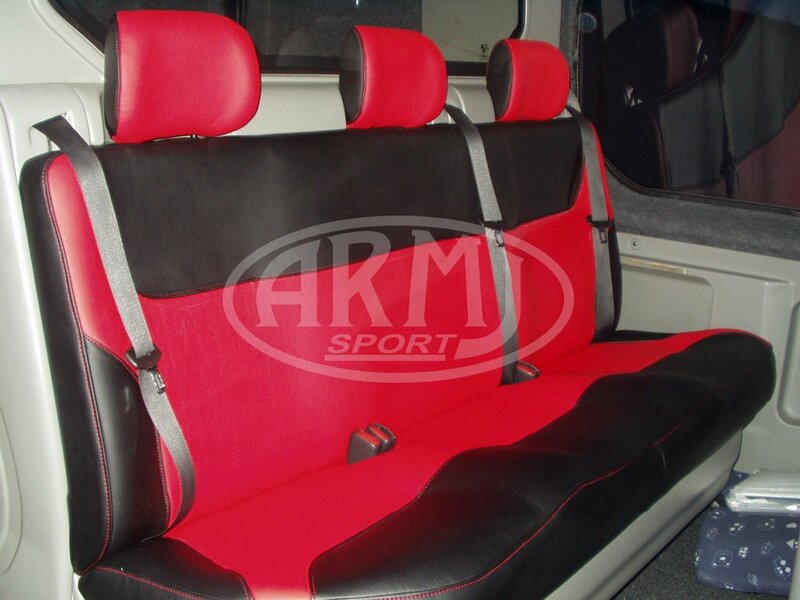 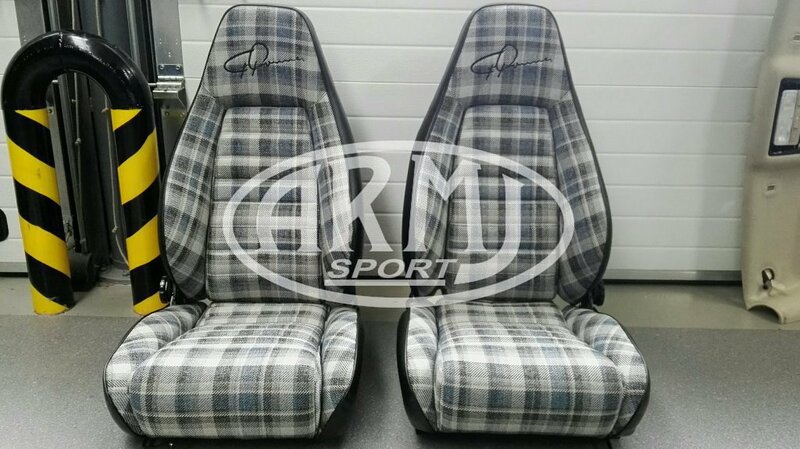 We make upholstery for the interiors and sew seat covers. 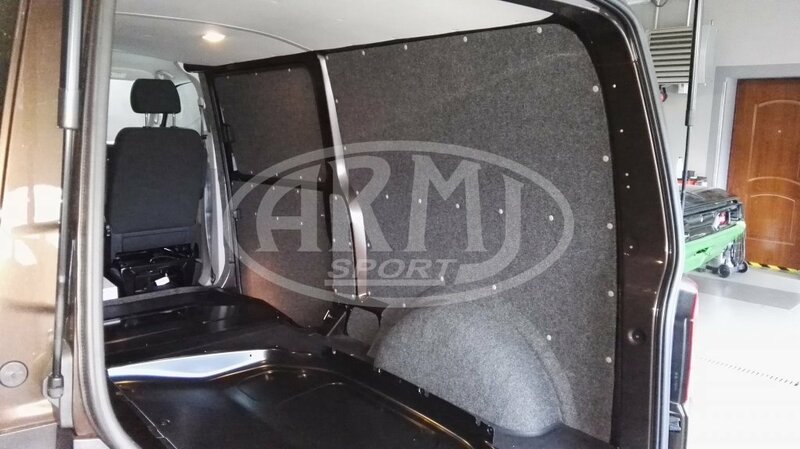 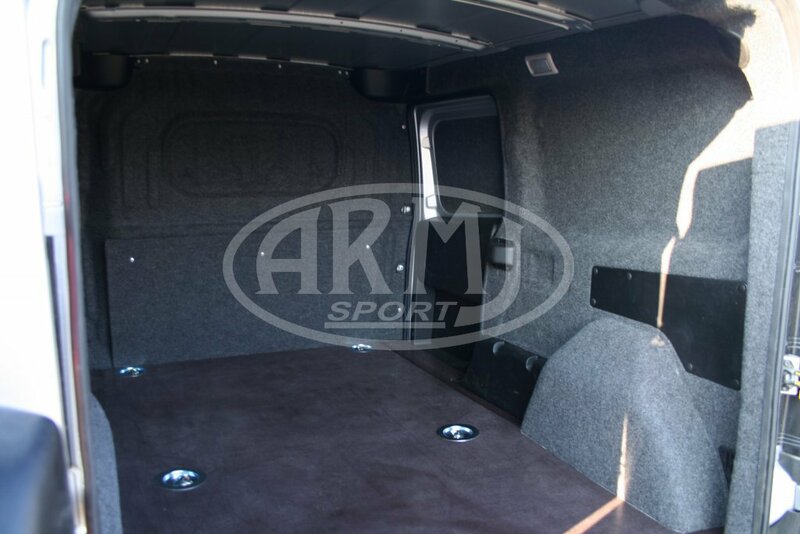 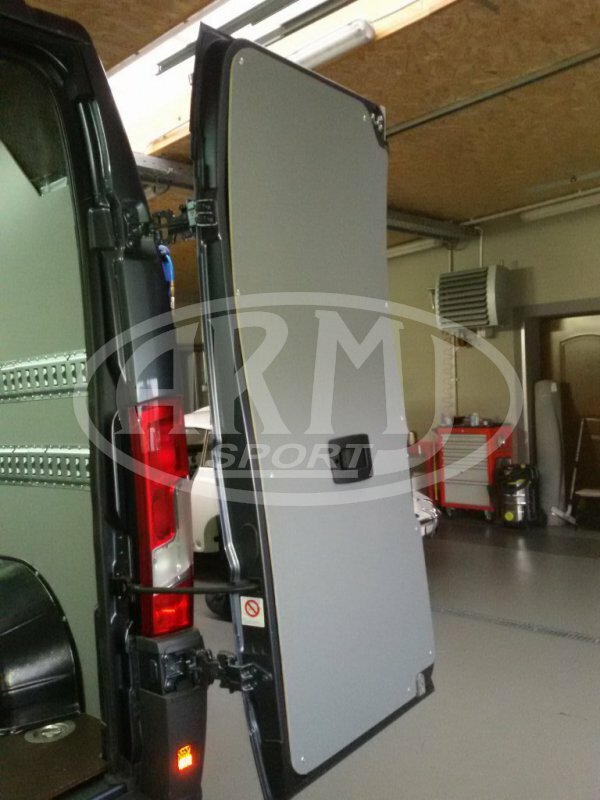 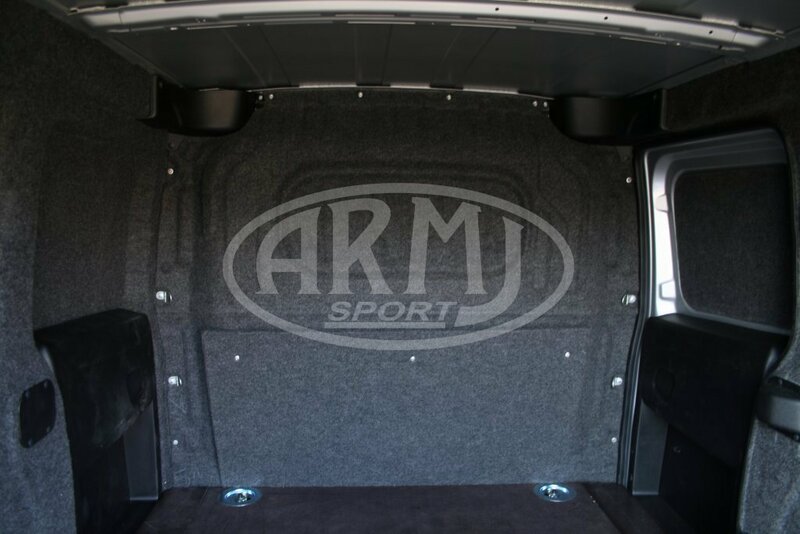 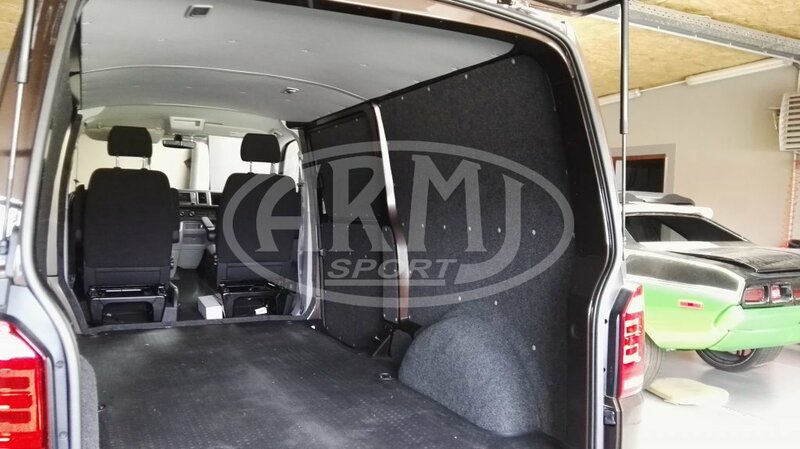 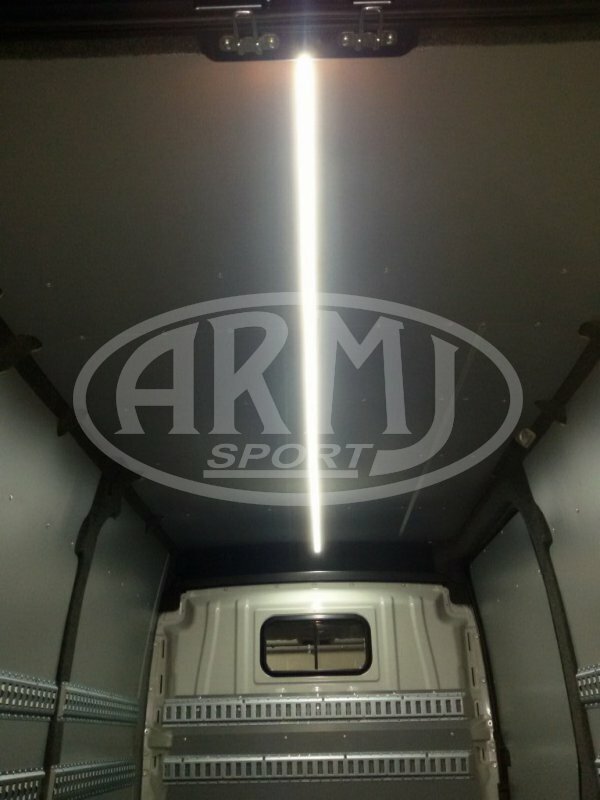 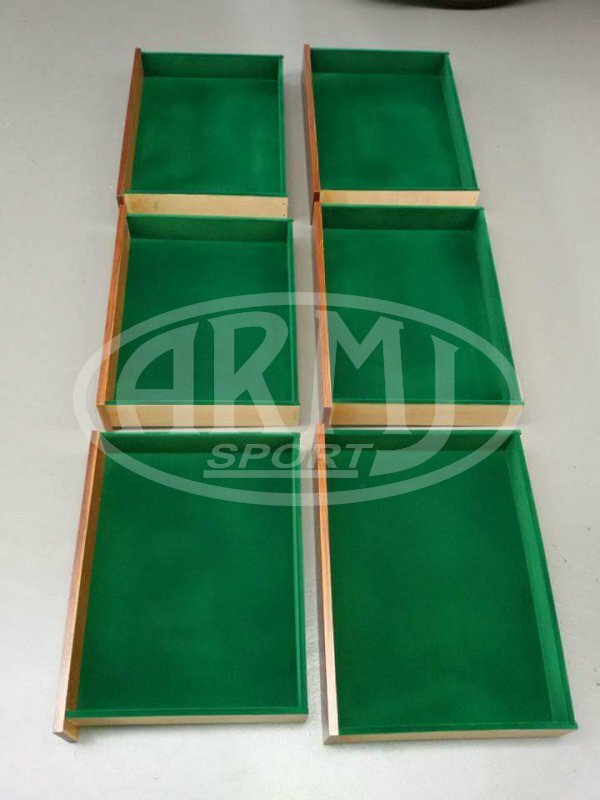 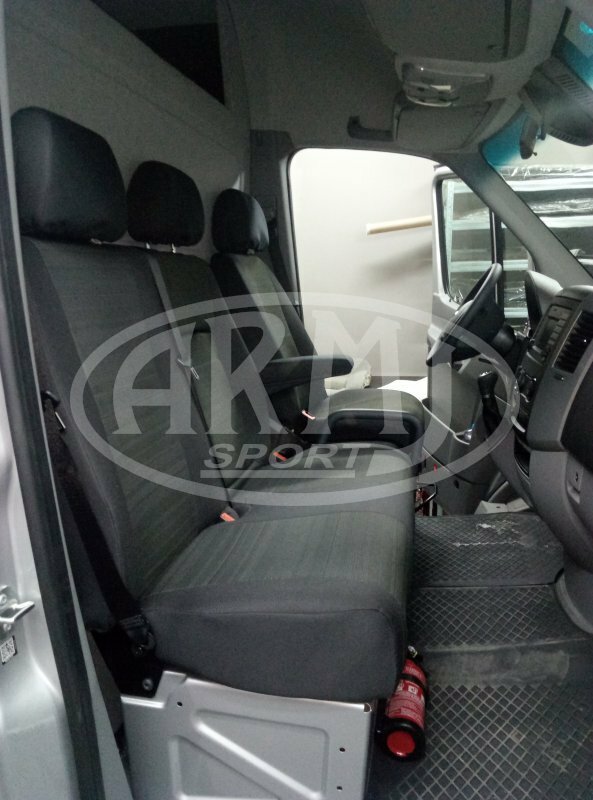 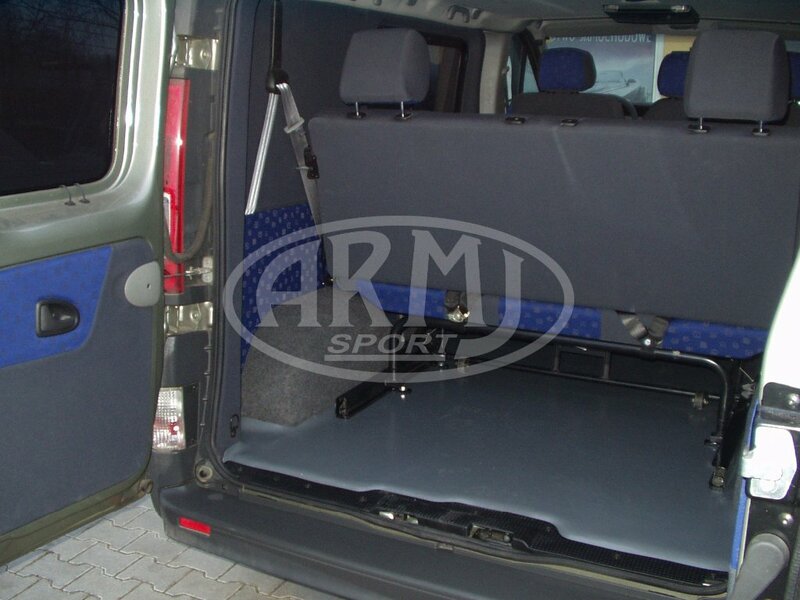 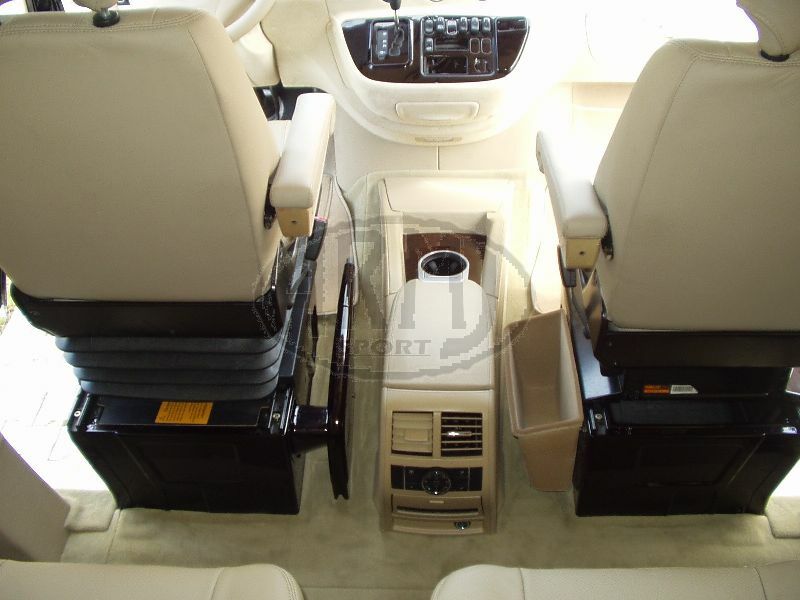 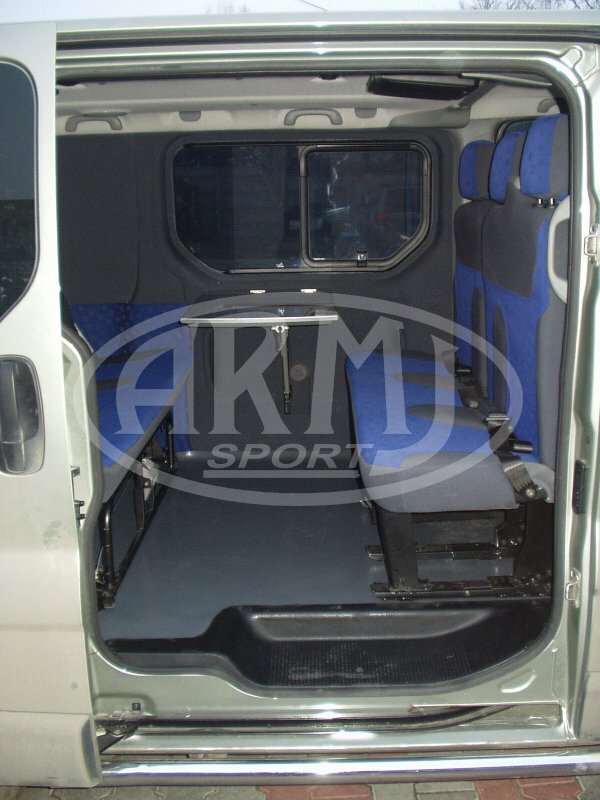 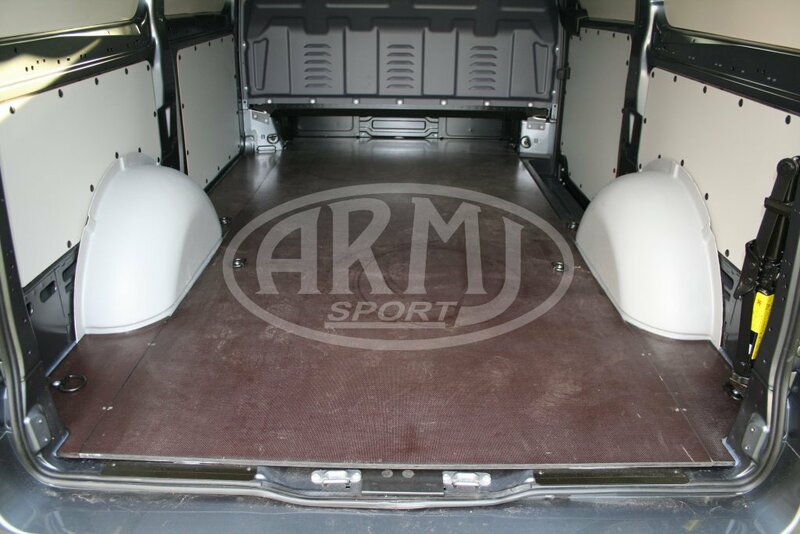 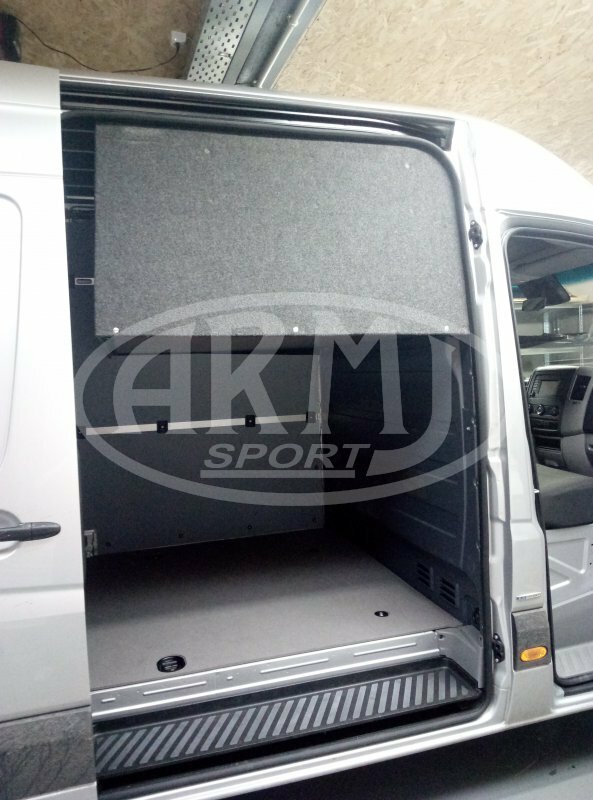 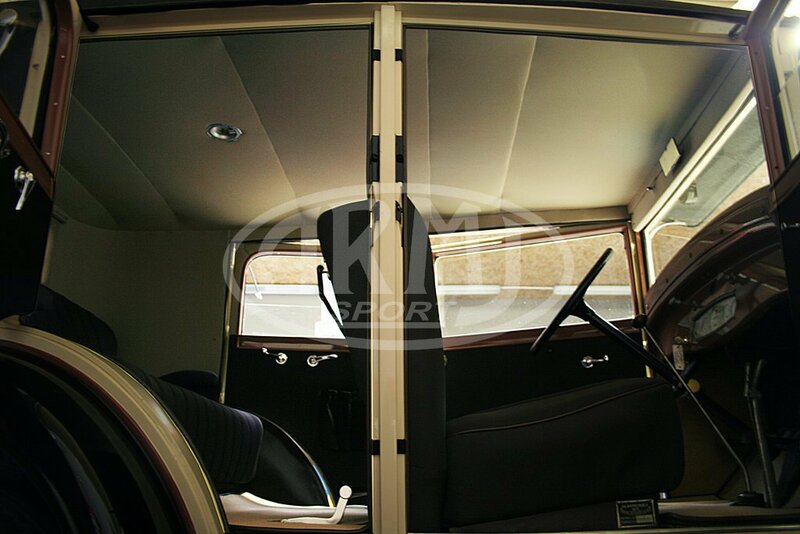 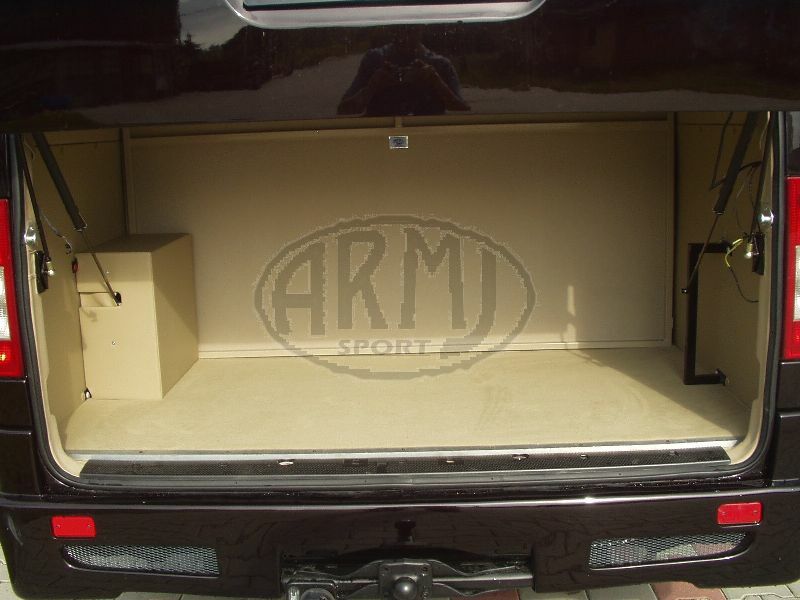 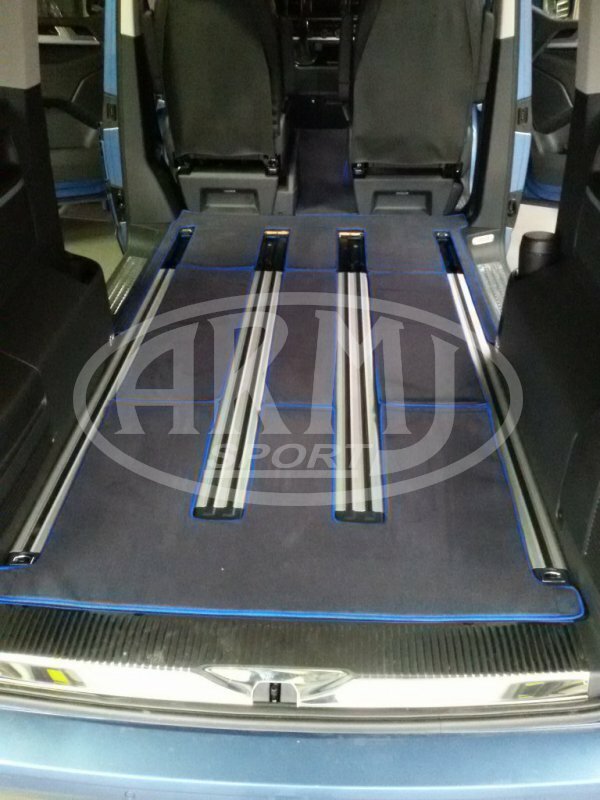 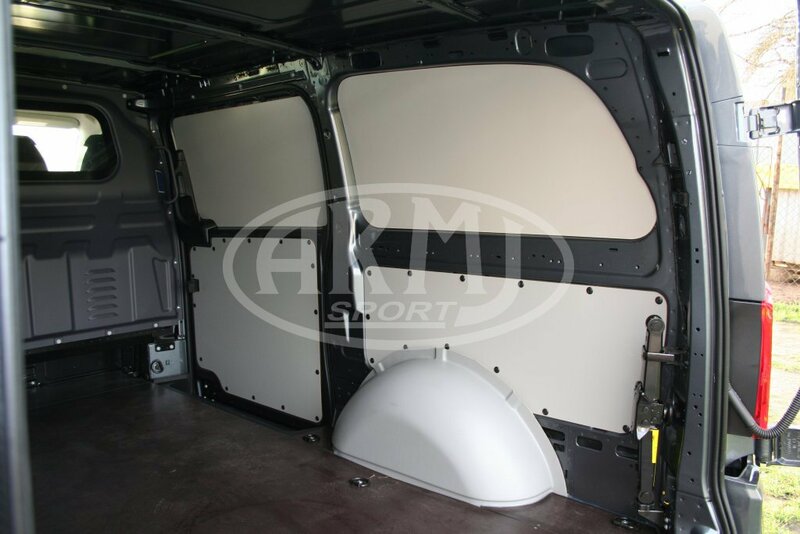 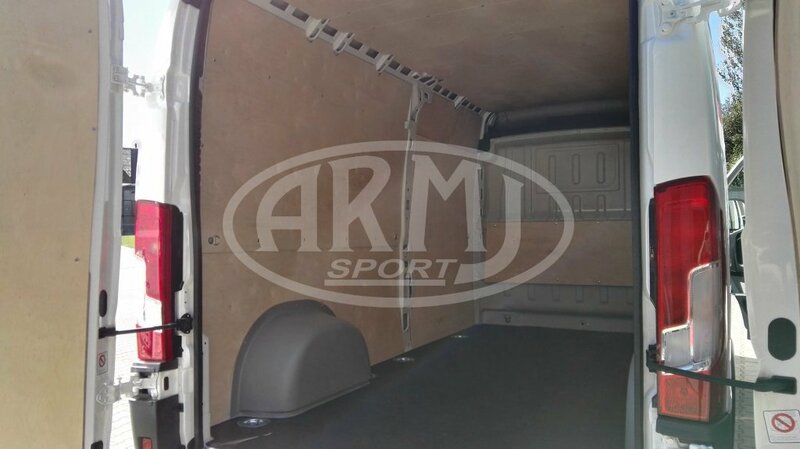 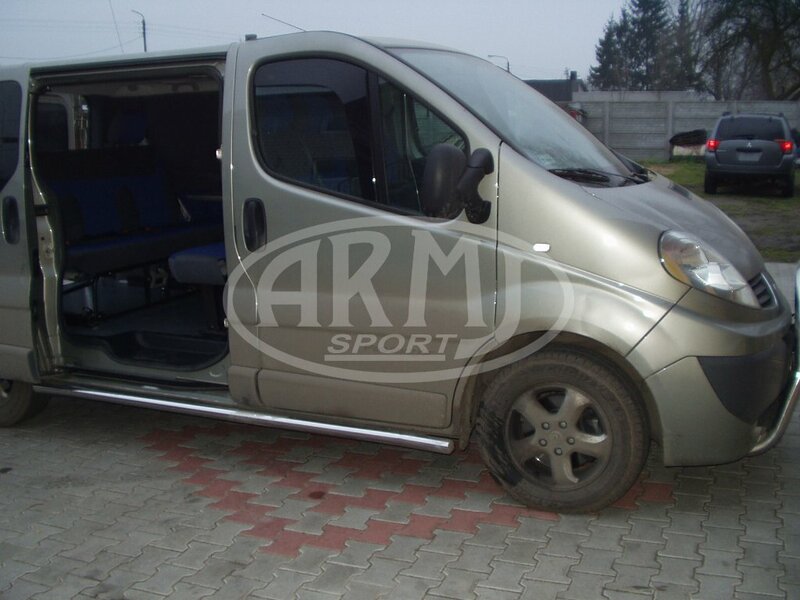 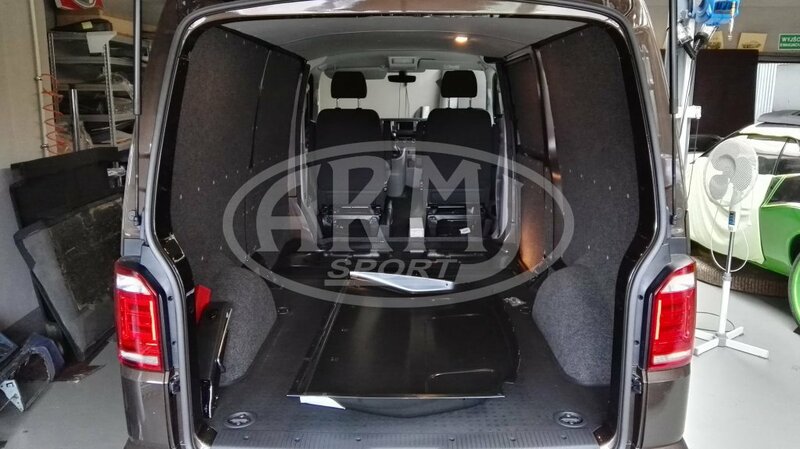 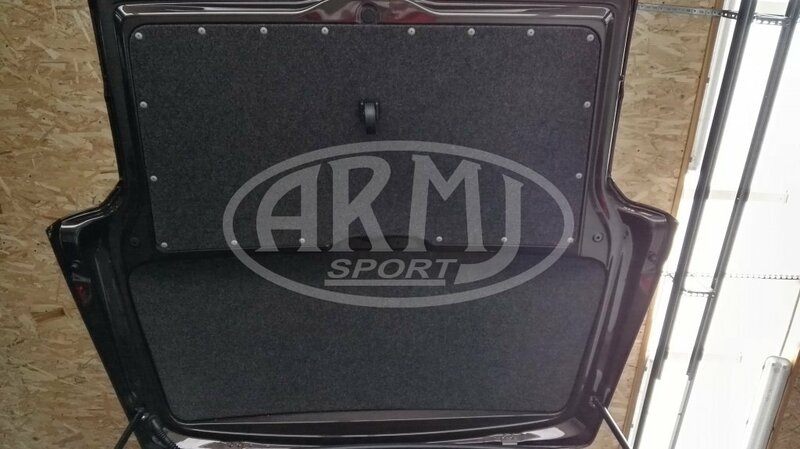 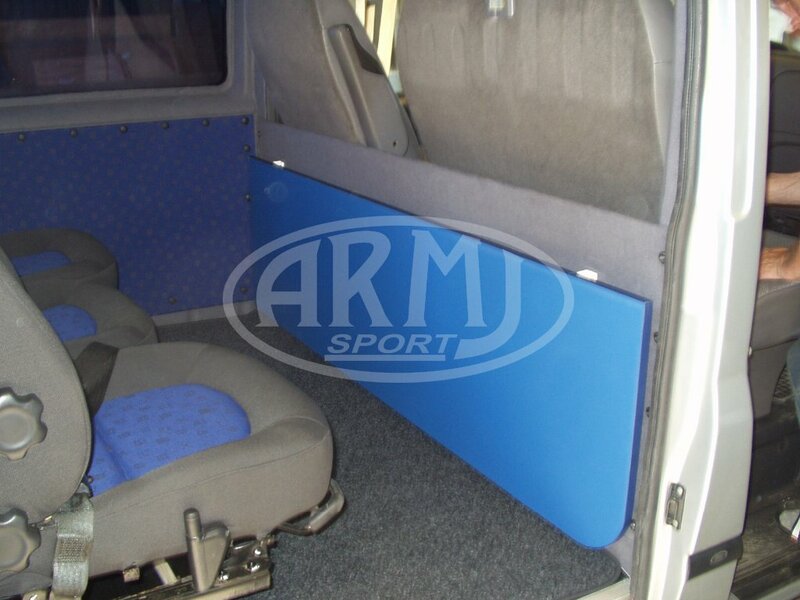 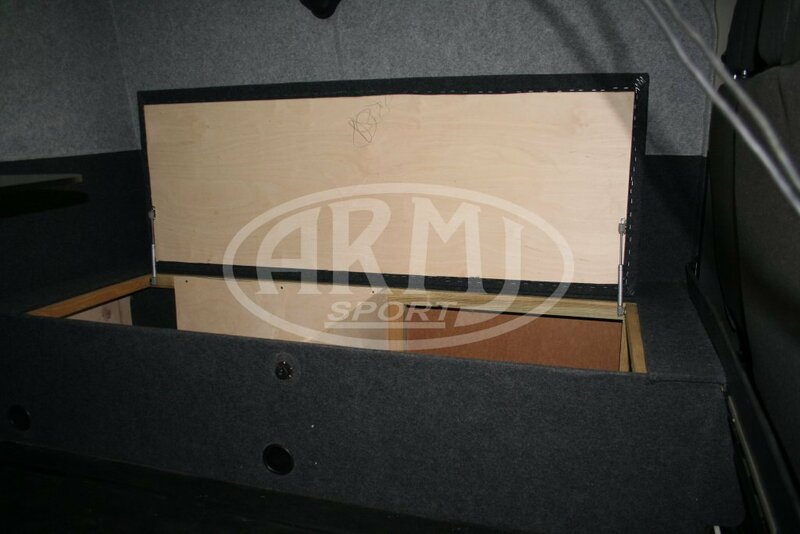 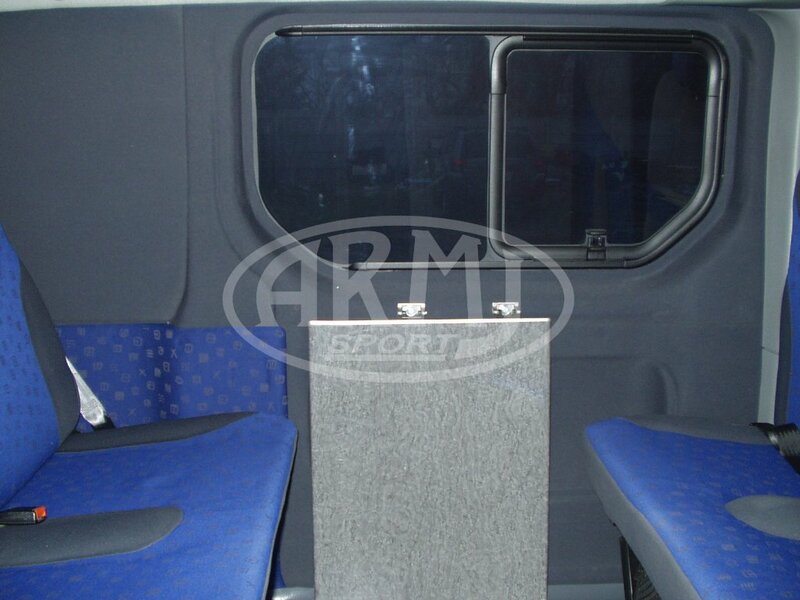 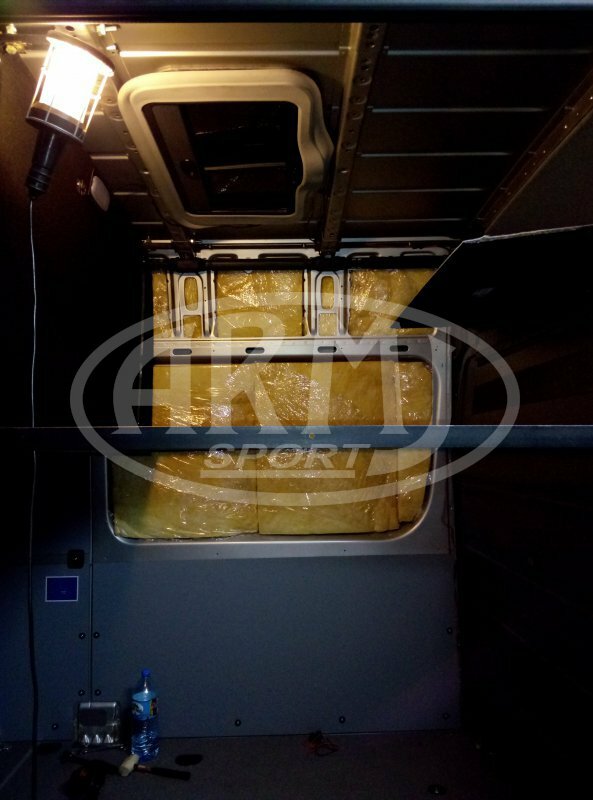 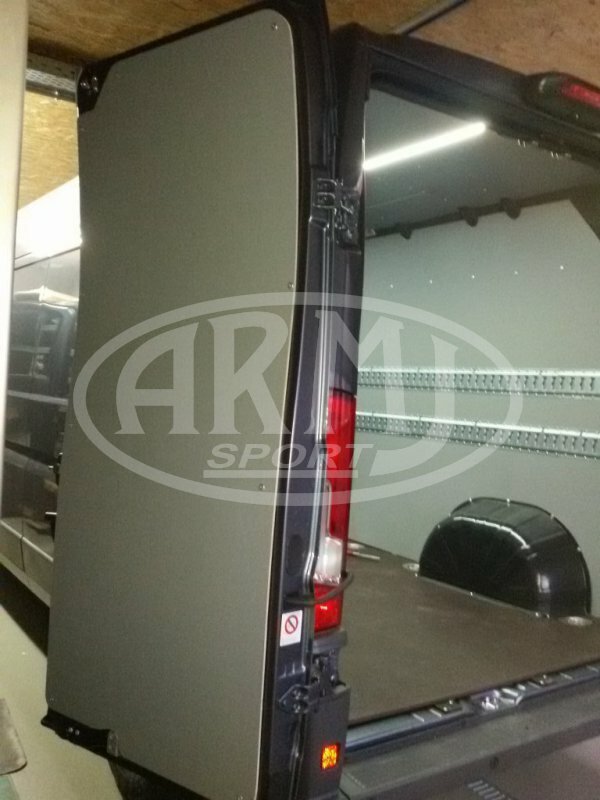 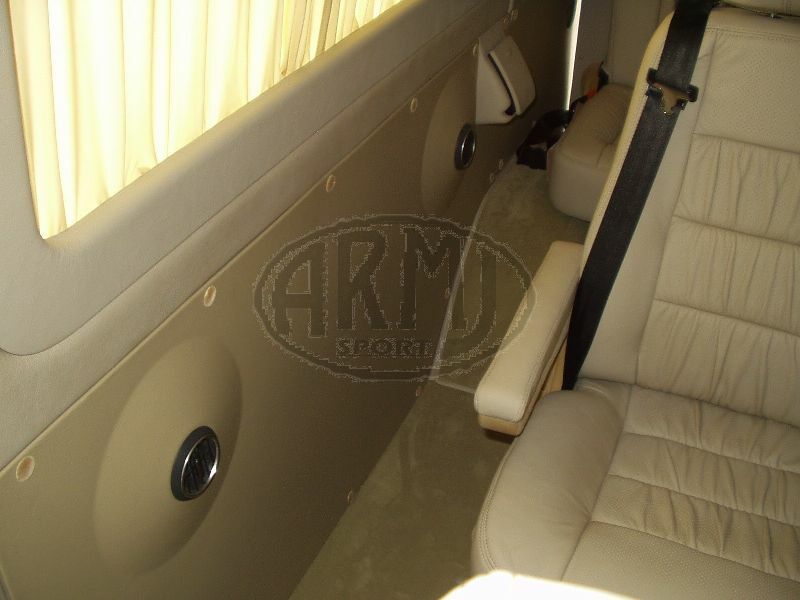 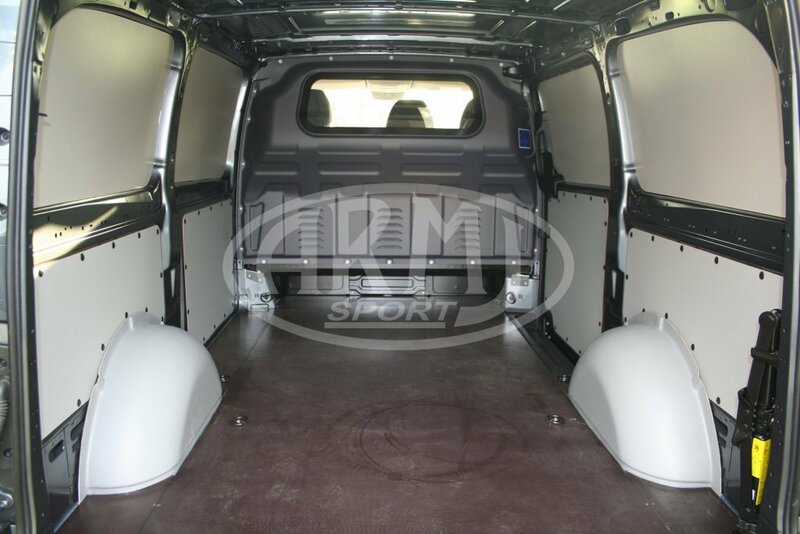 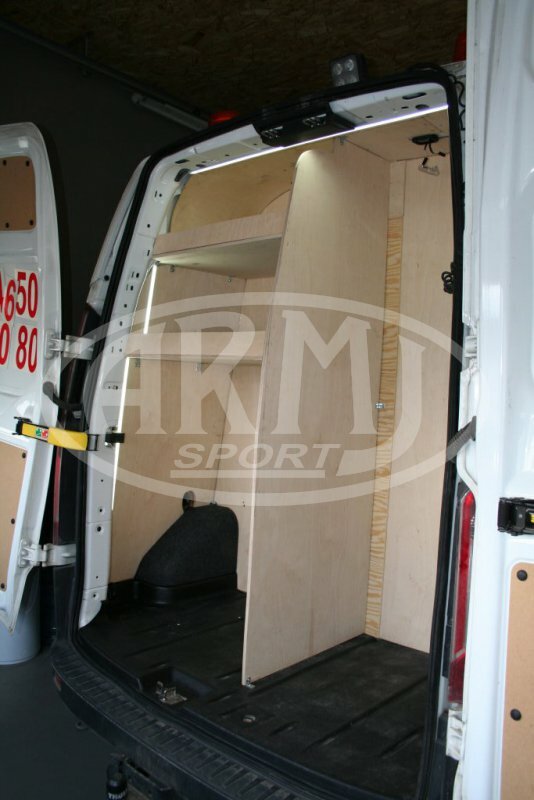 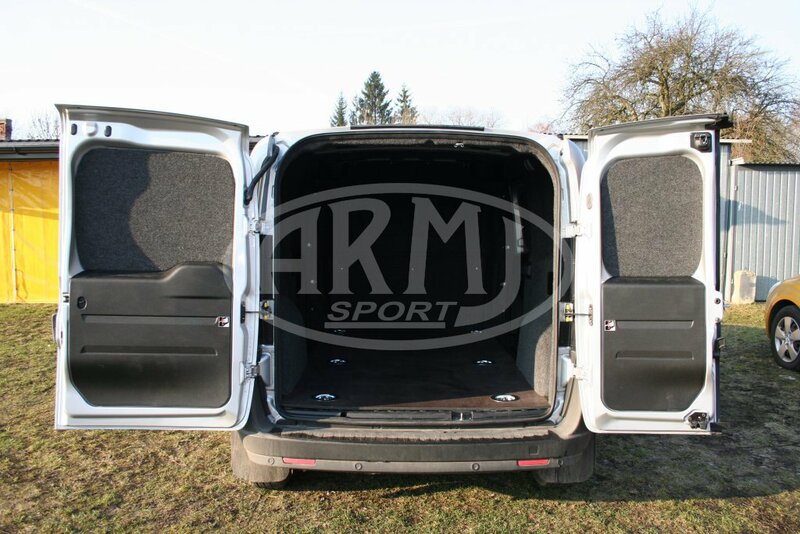 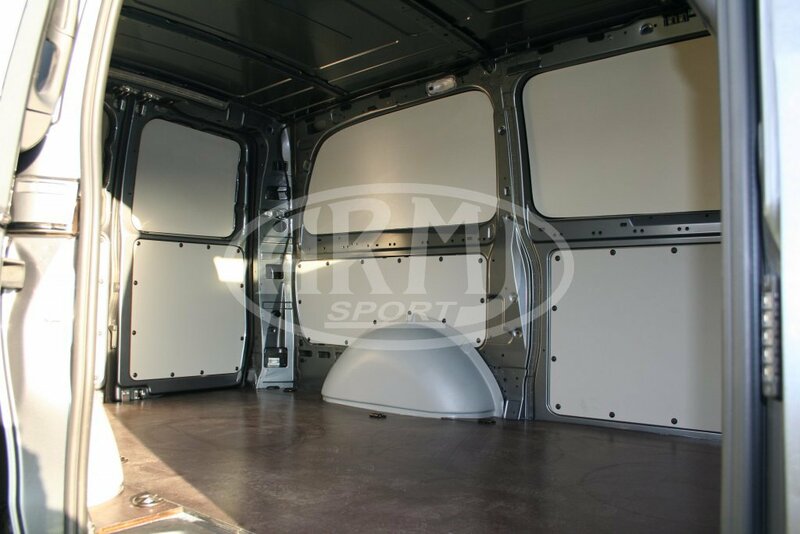 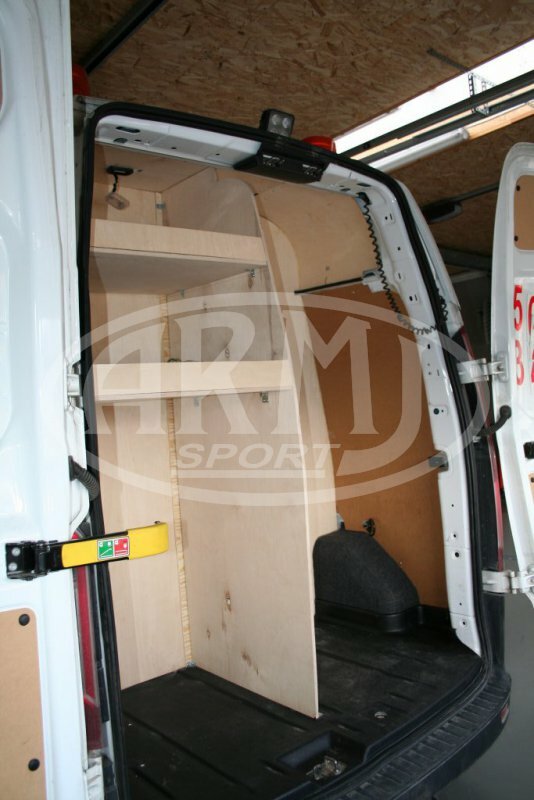 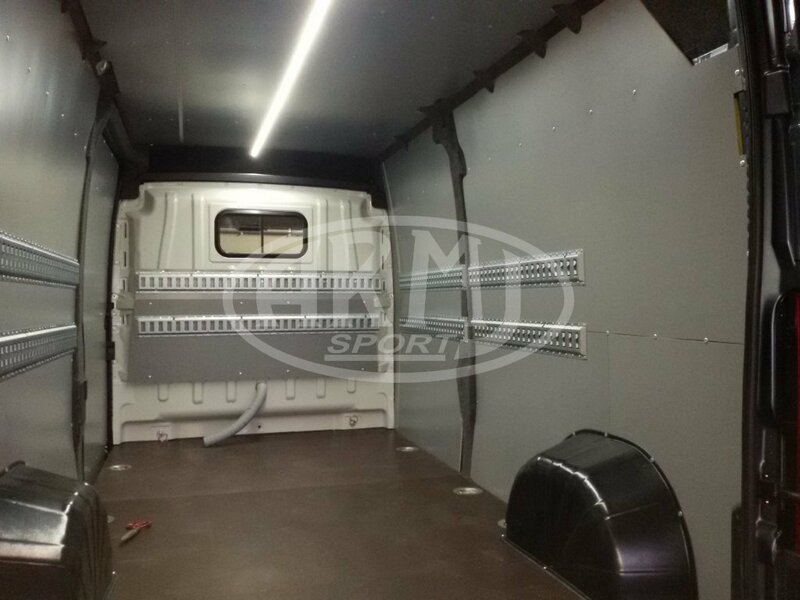 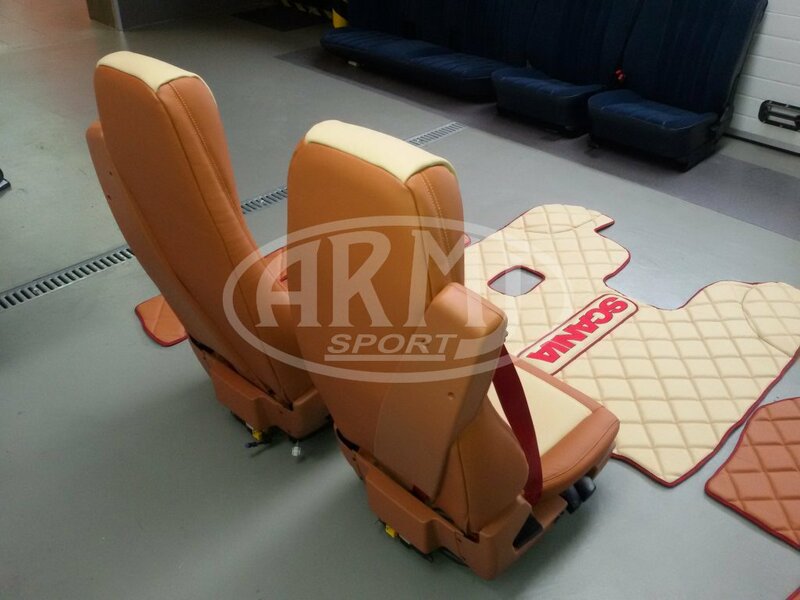 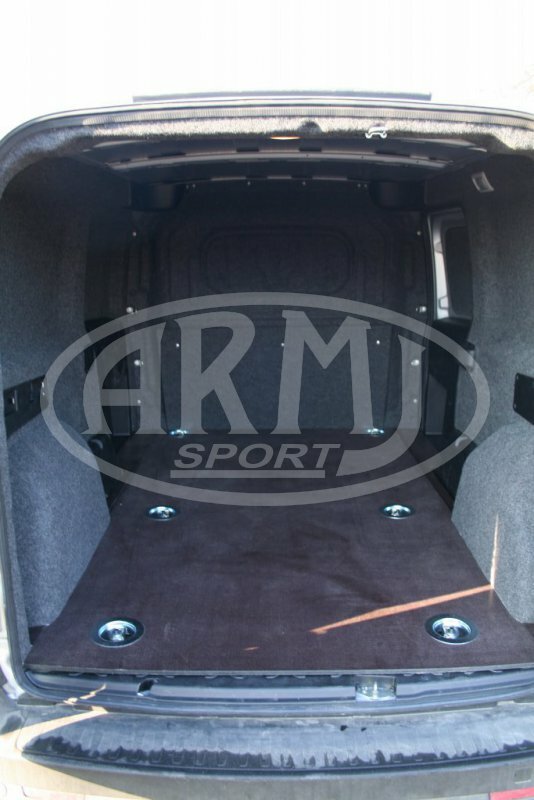 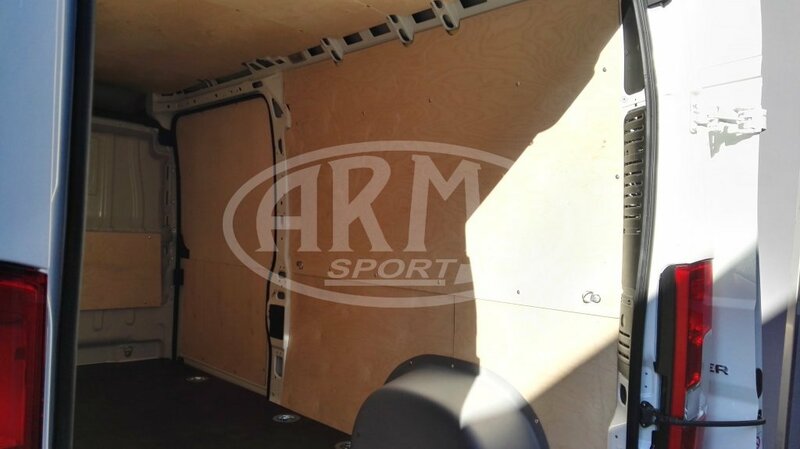 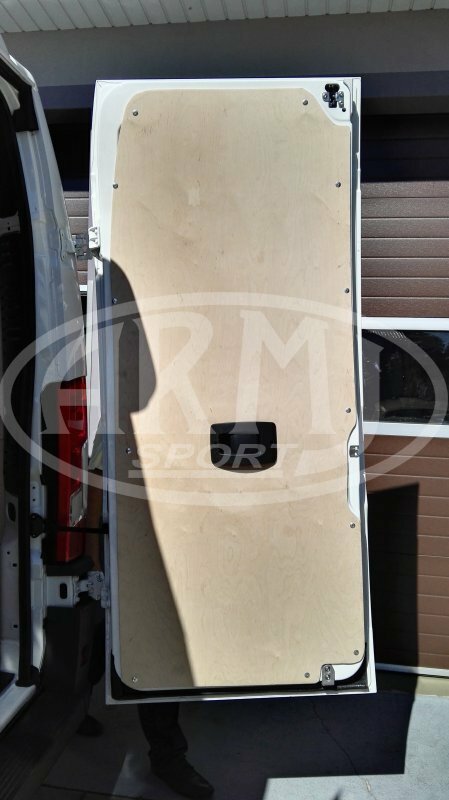 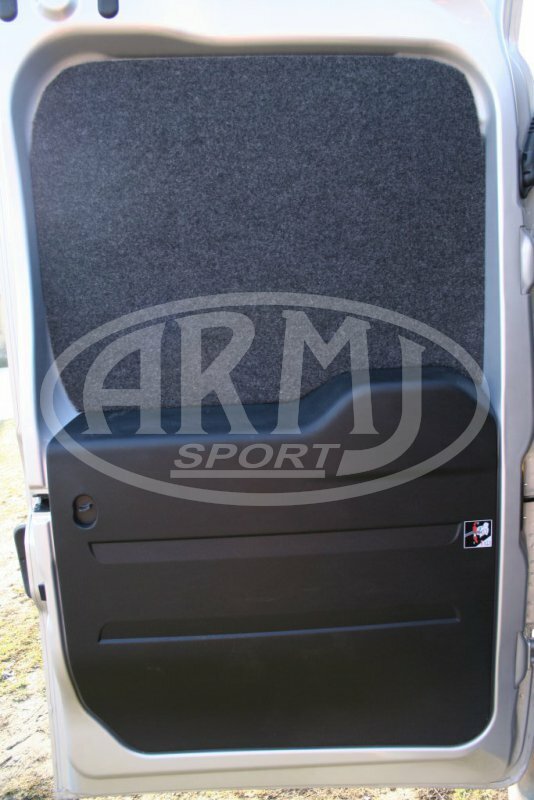 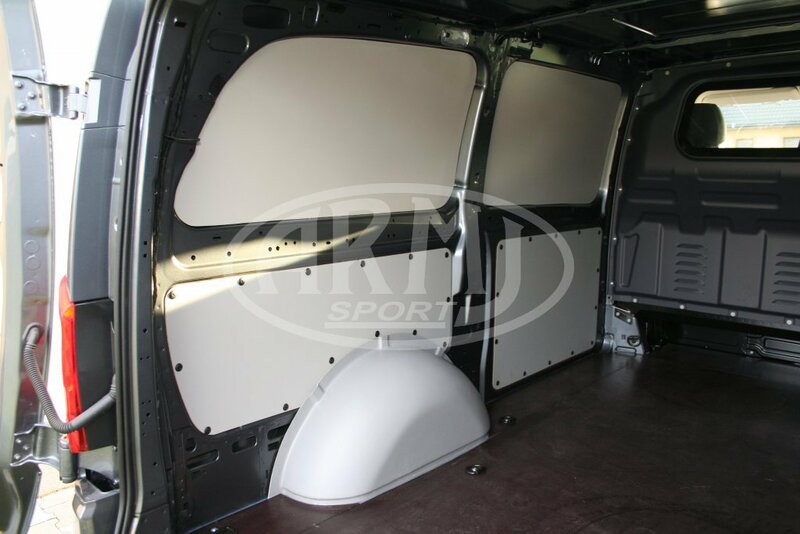 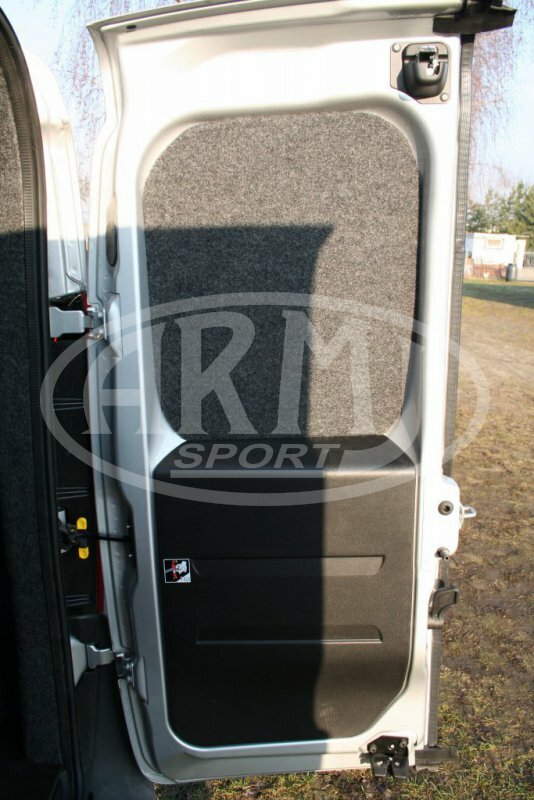 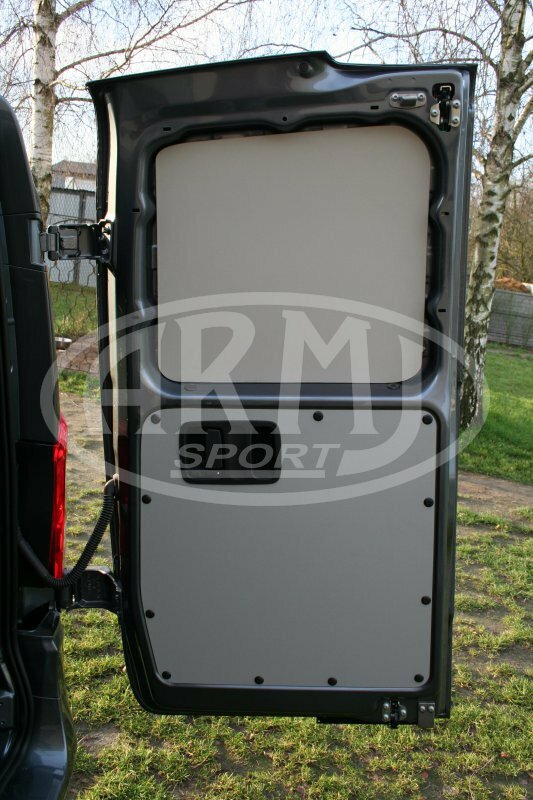 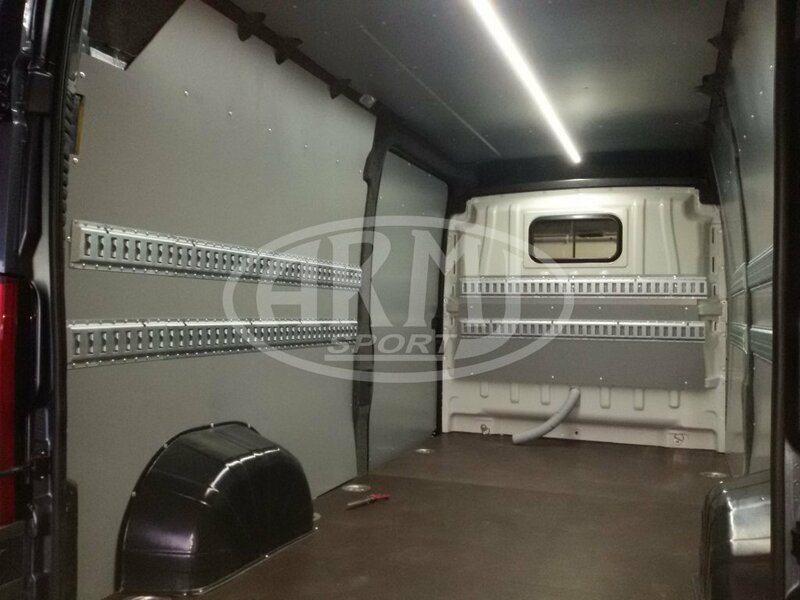 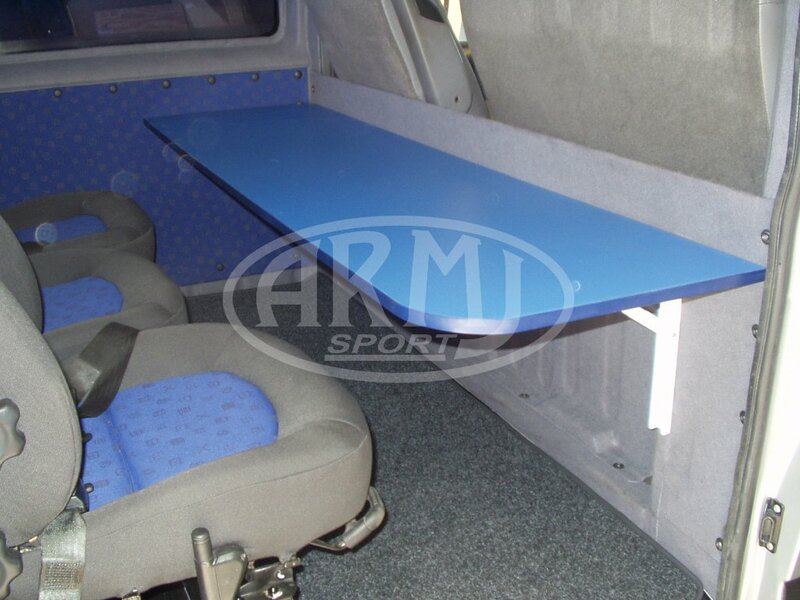 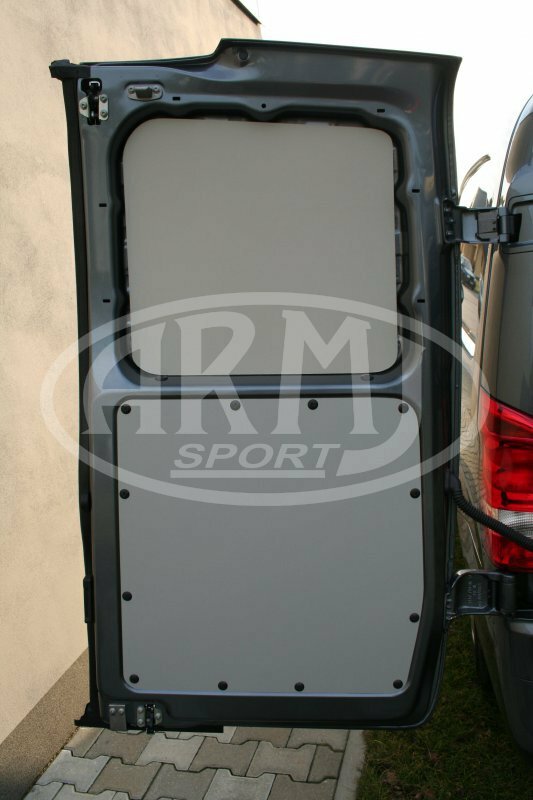 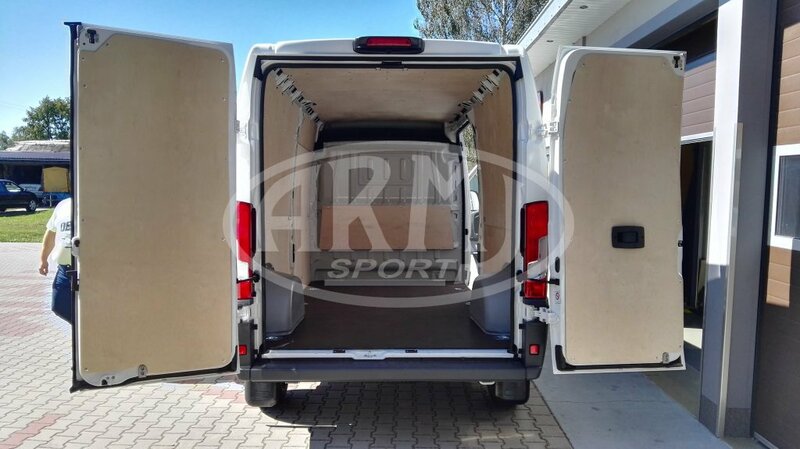 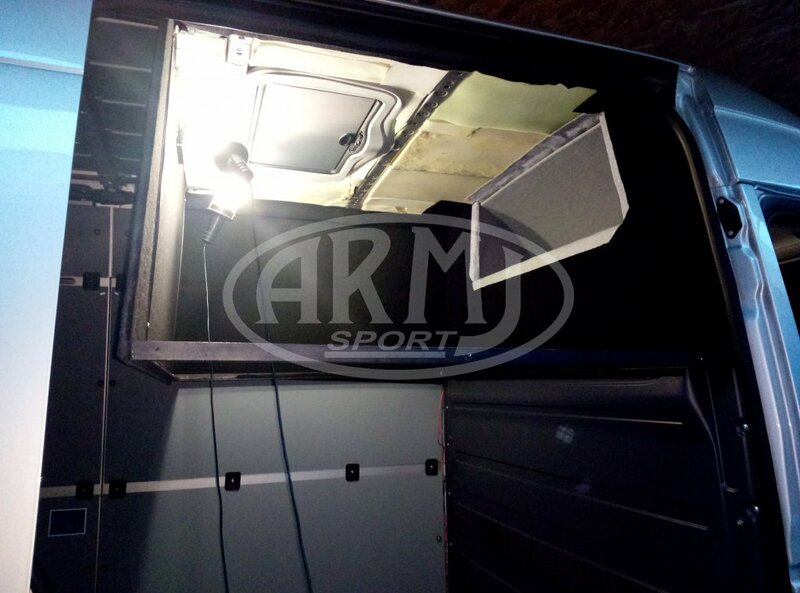 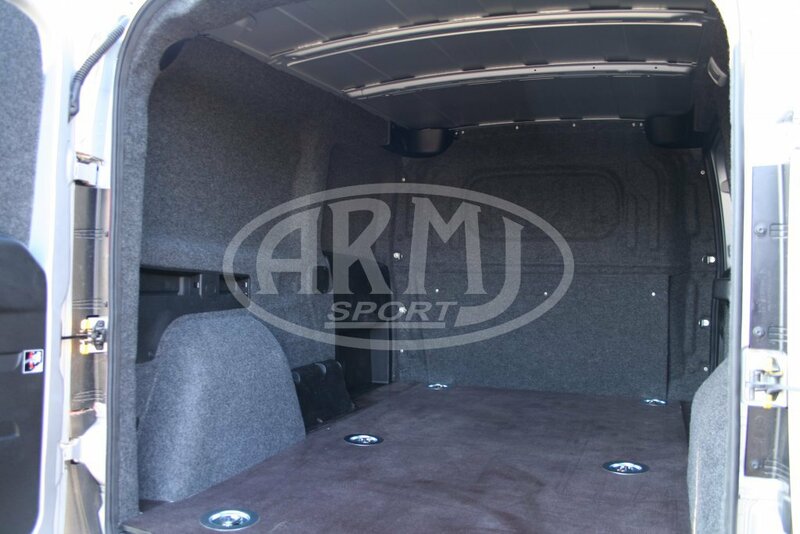 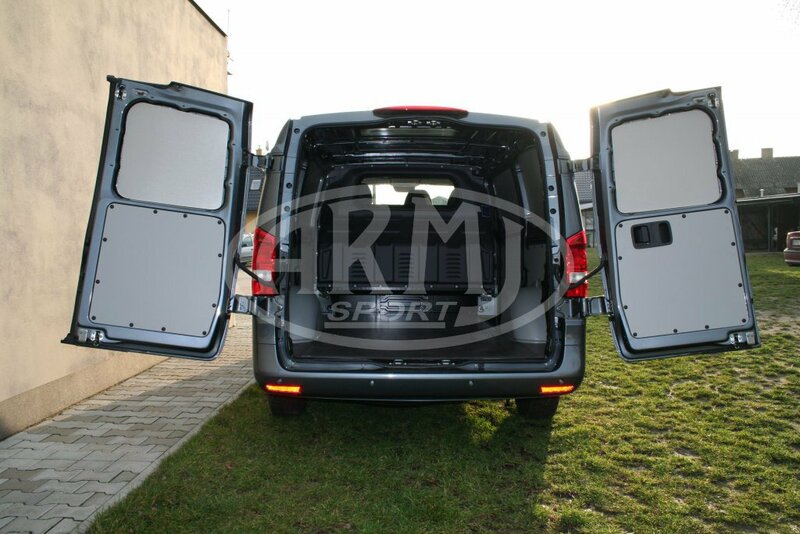 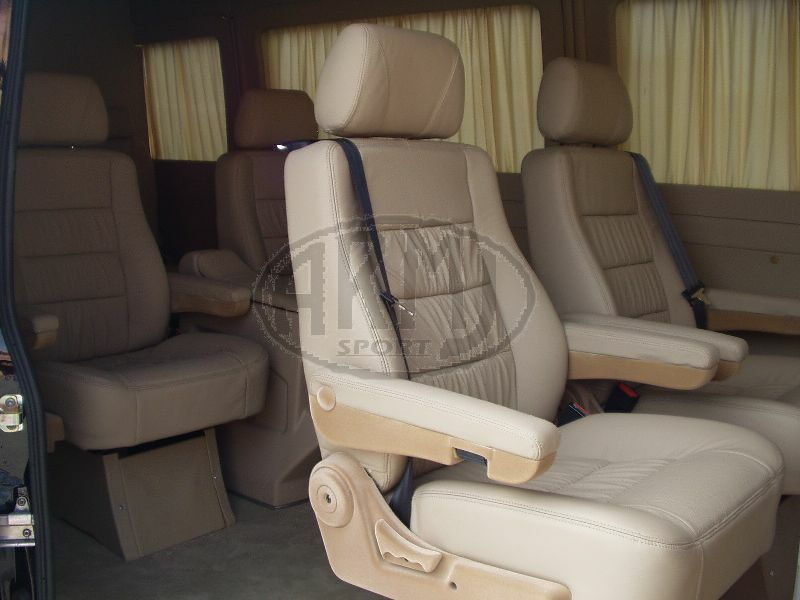 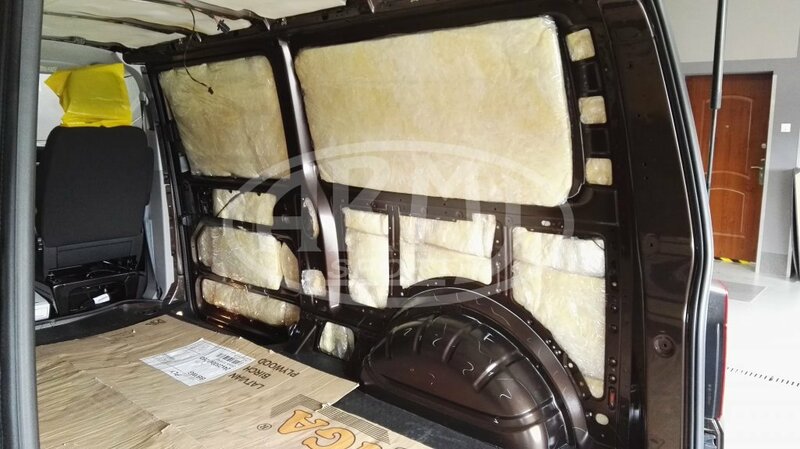 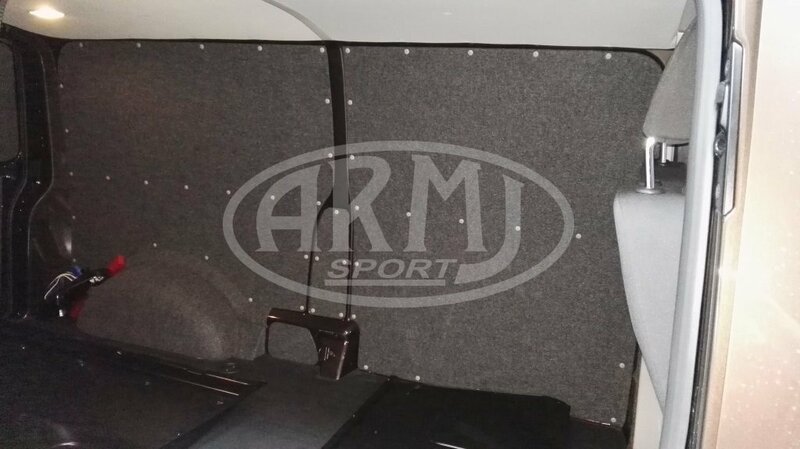 The cargo space in minibuses is soundproofed and covered with plywood, the floors are covered with anti-slip plate according to the client's wish.